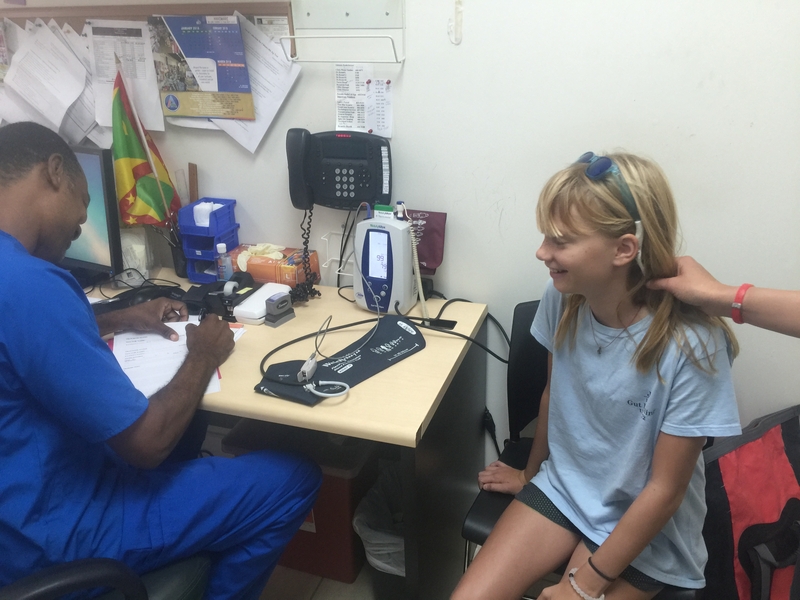 Here we sit at St George’s University Medical school, waiting to get the rabies immunization – argg. 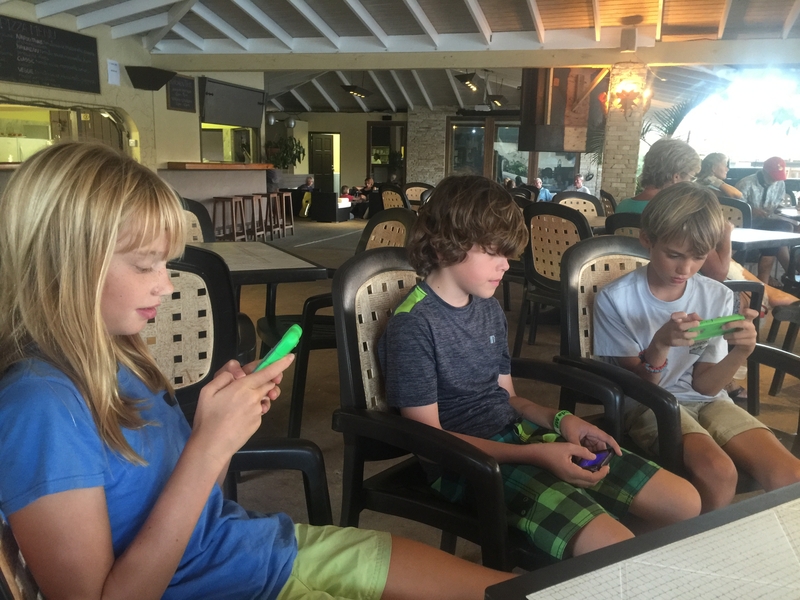 At least it gets me the time I needed to get a blog post out! 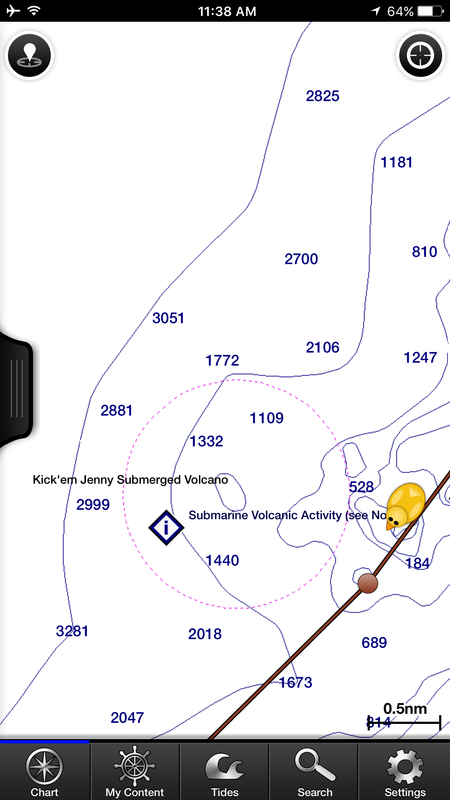 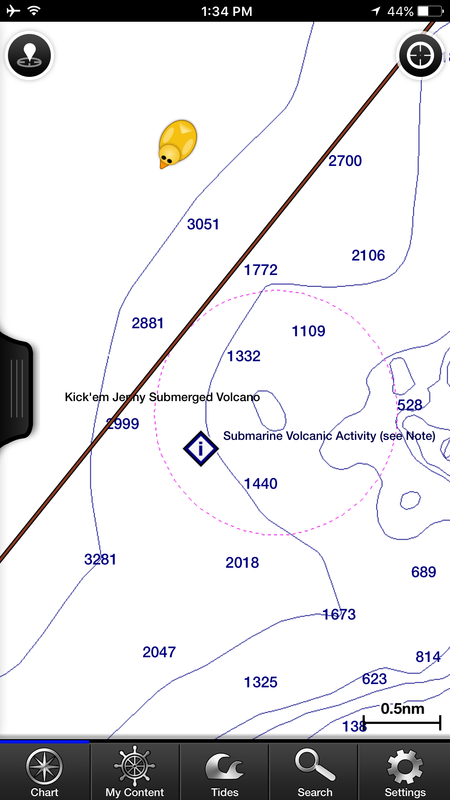 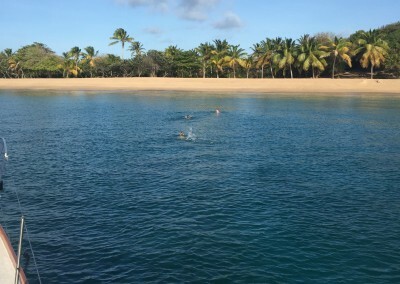 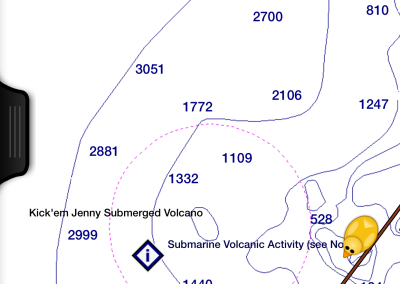 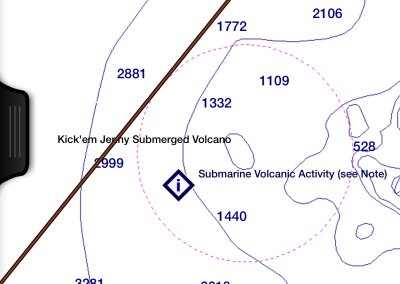 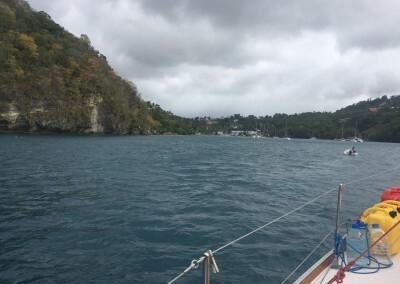 We are currently anchored in Prickly Bay on the south coast of Grenada. 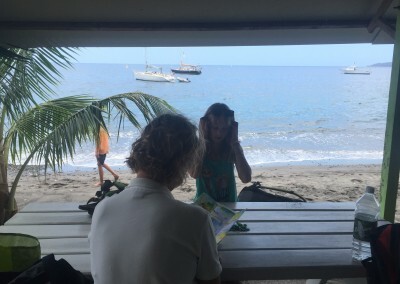 Sadly, this marks the furthest south we will go on our trip, but fortunately we have a ton more adventures ahead of us before we pack up Salmagal for the summer hurricane season here in Grenada. 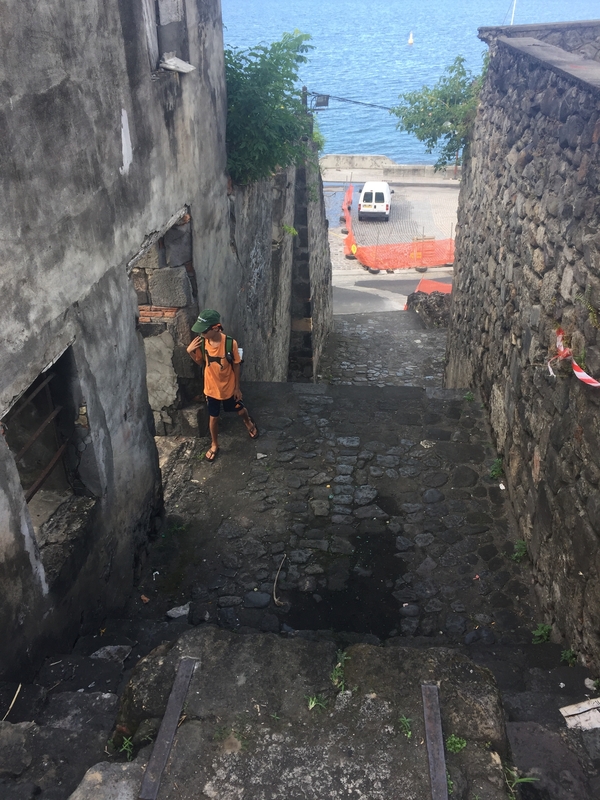 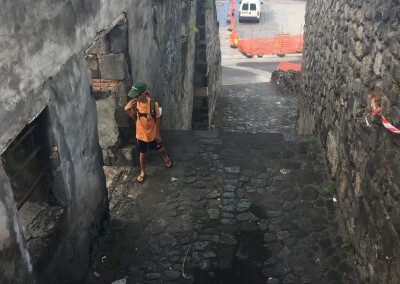 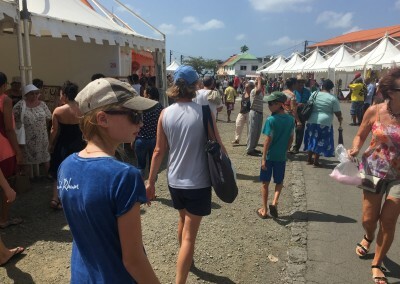 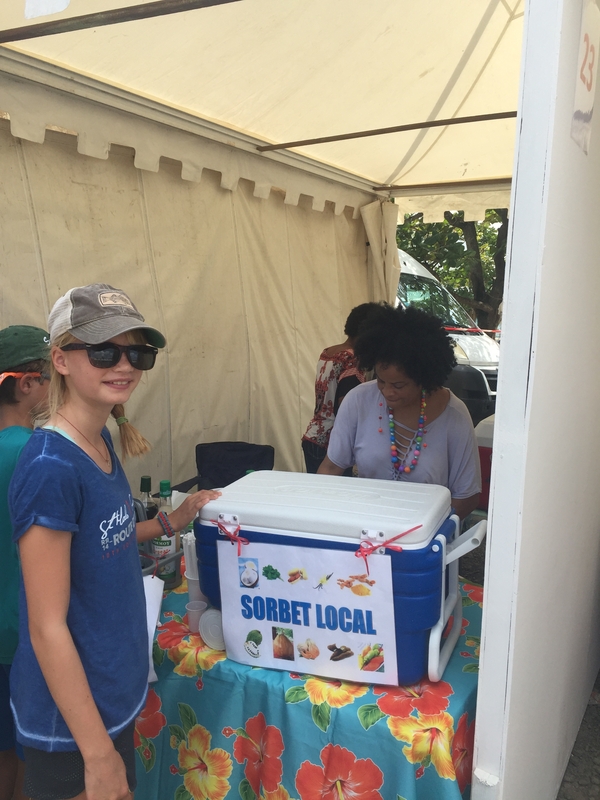 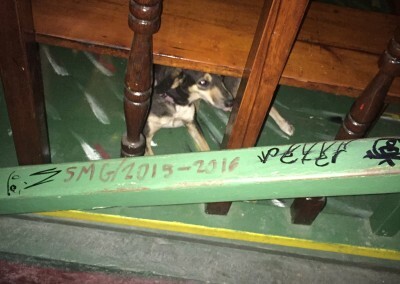 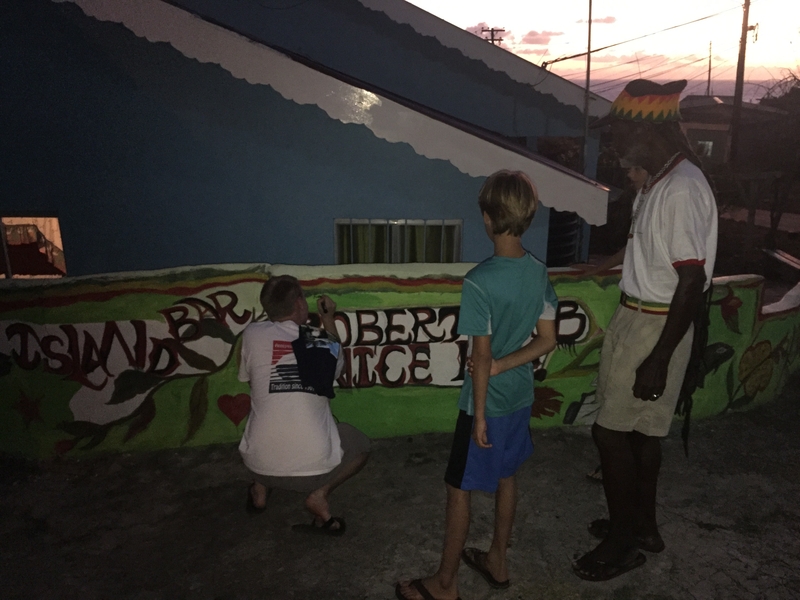 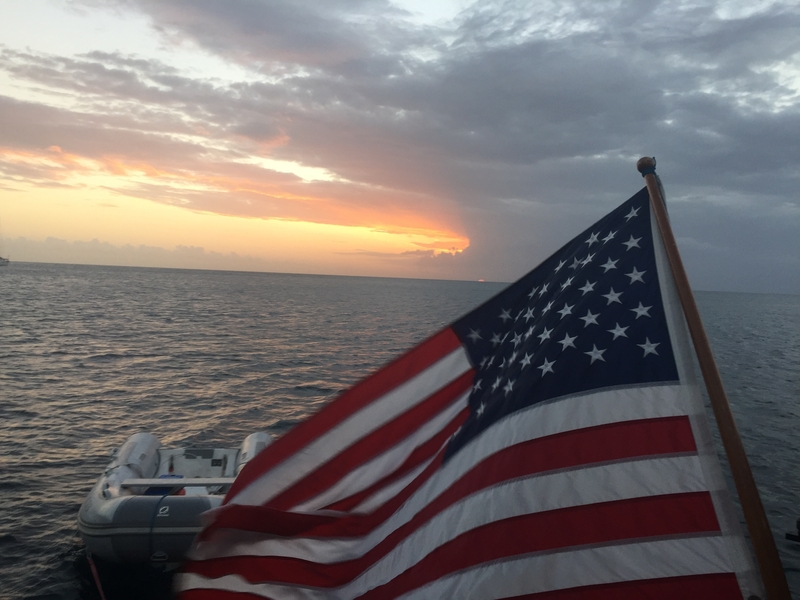 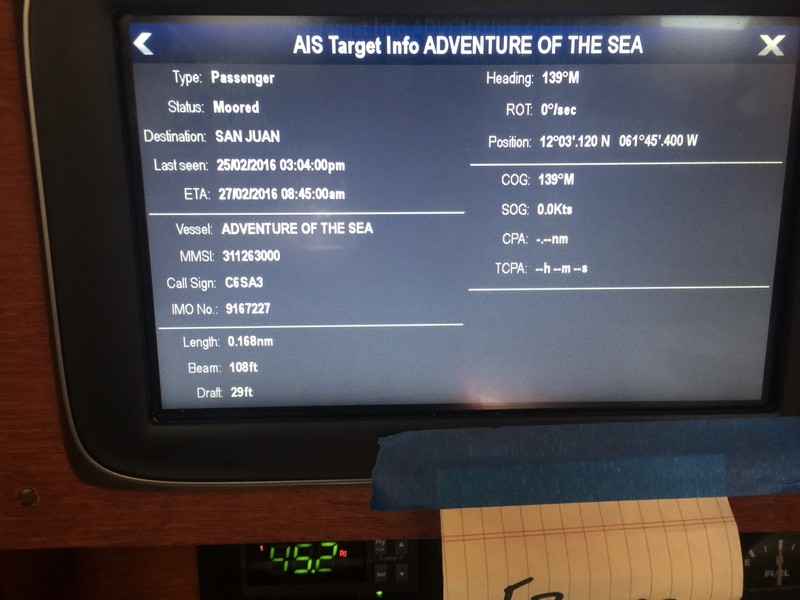 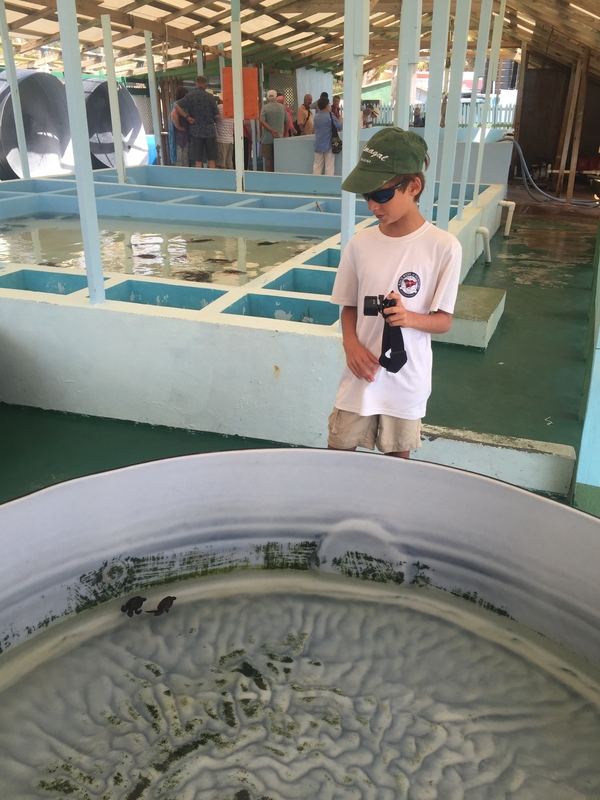 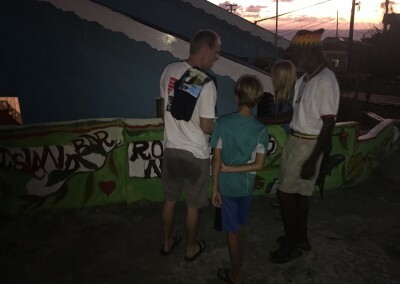 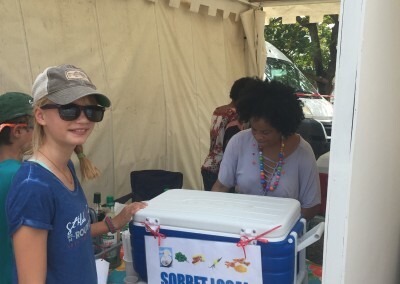 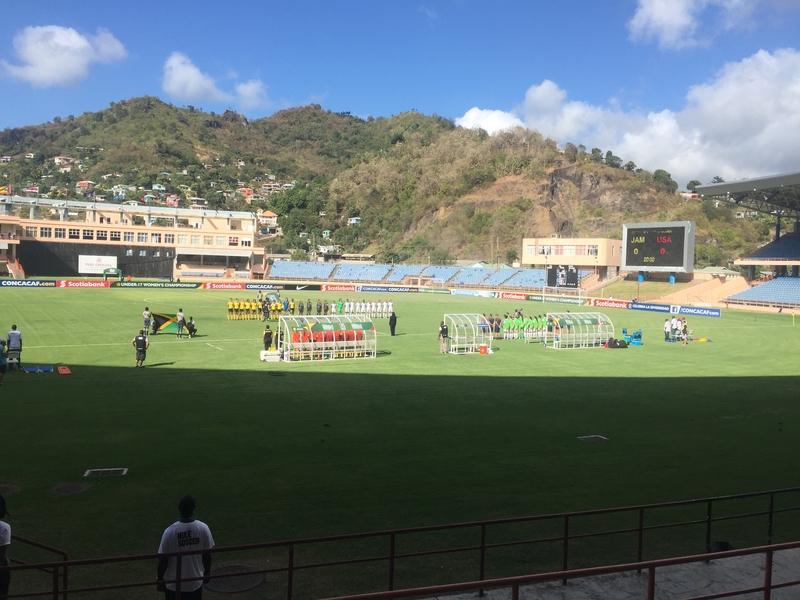 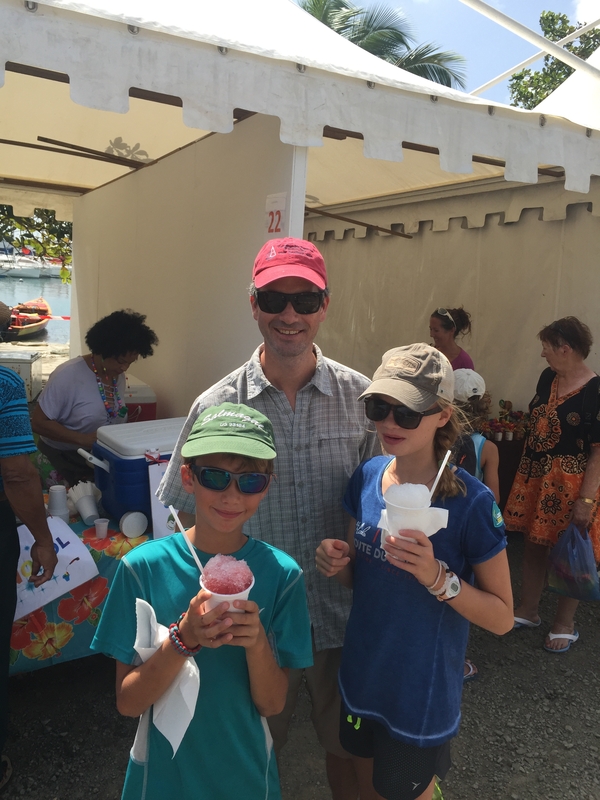 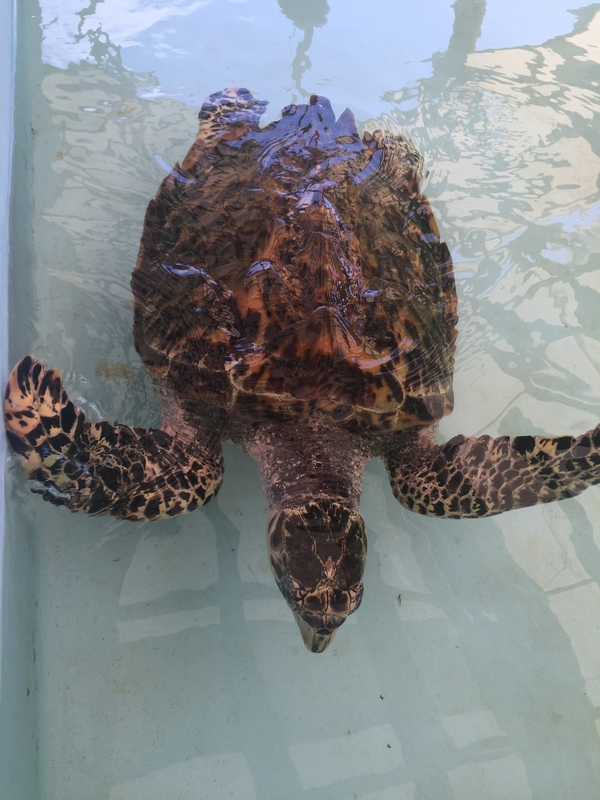 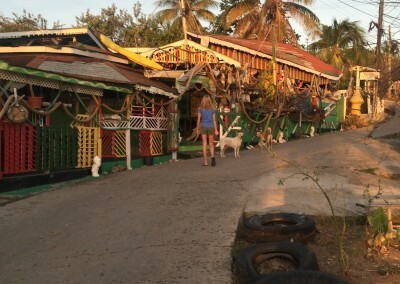 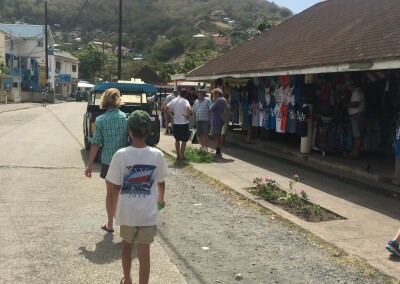 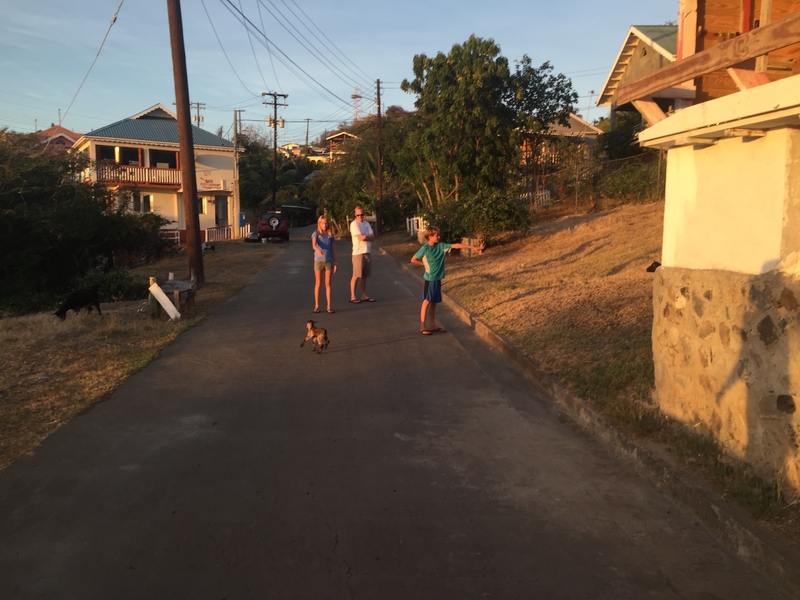 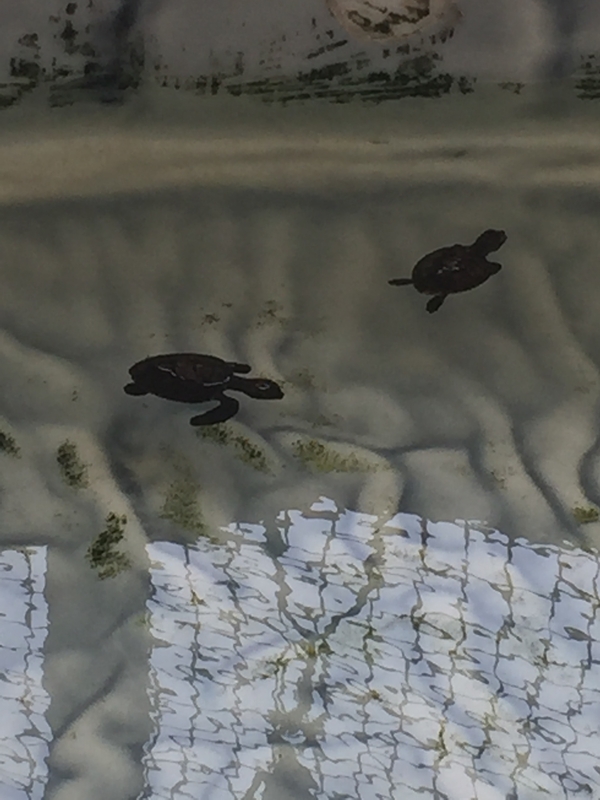 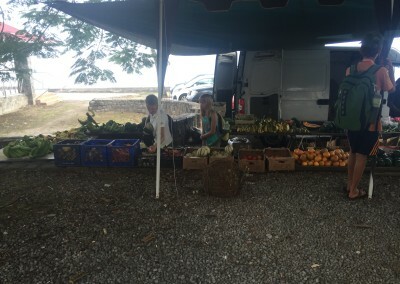 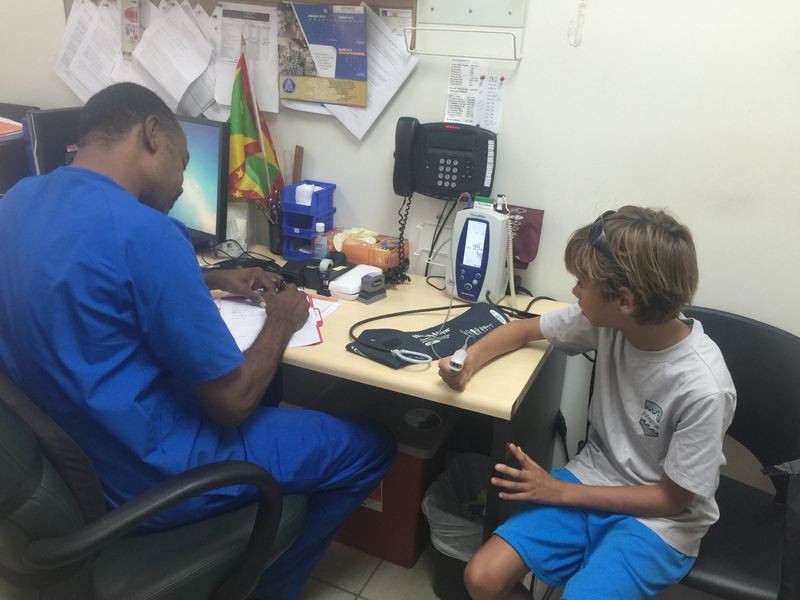 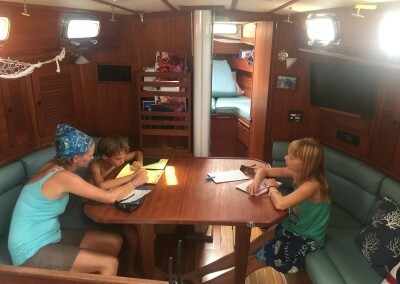 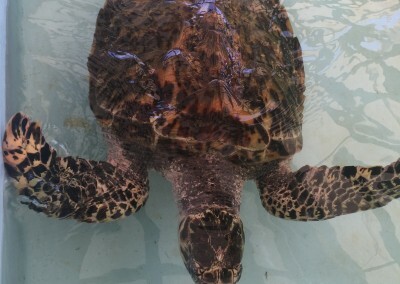 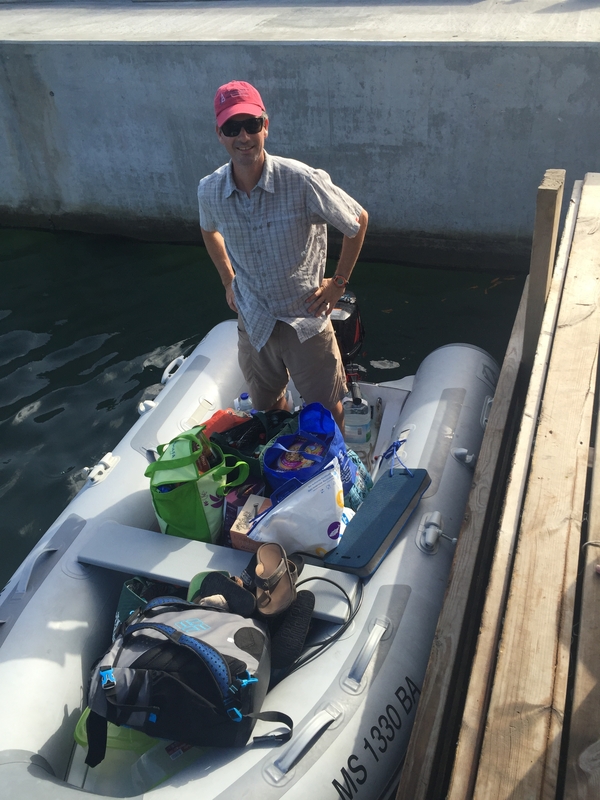 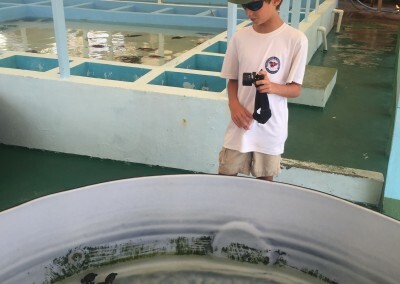 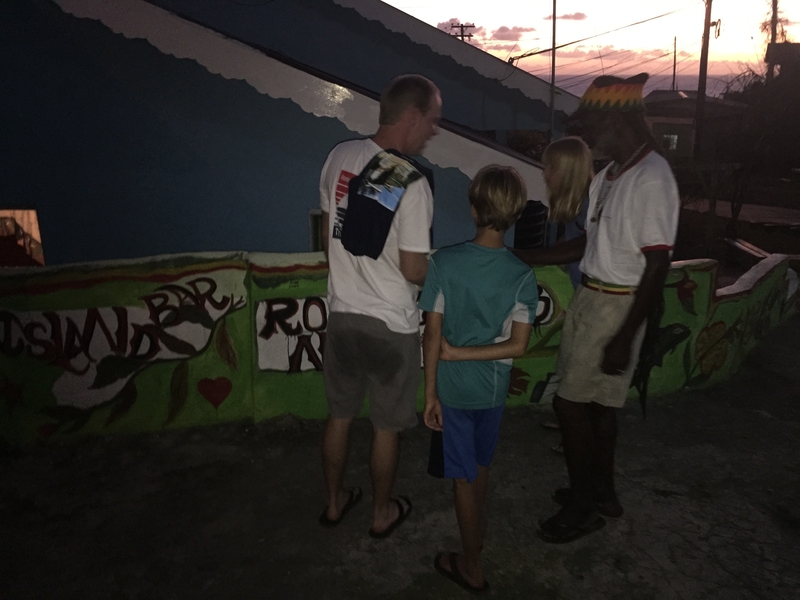 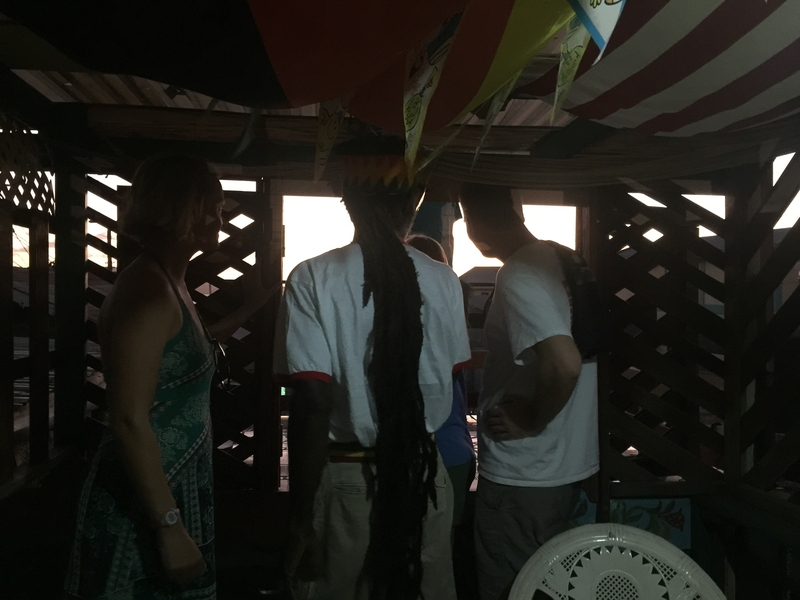 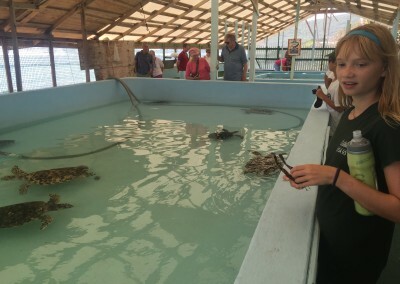 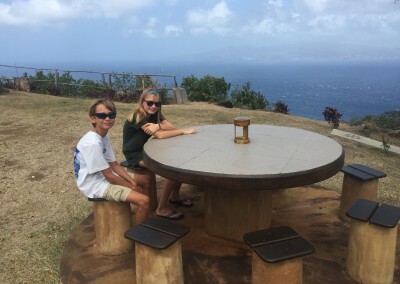 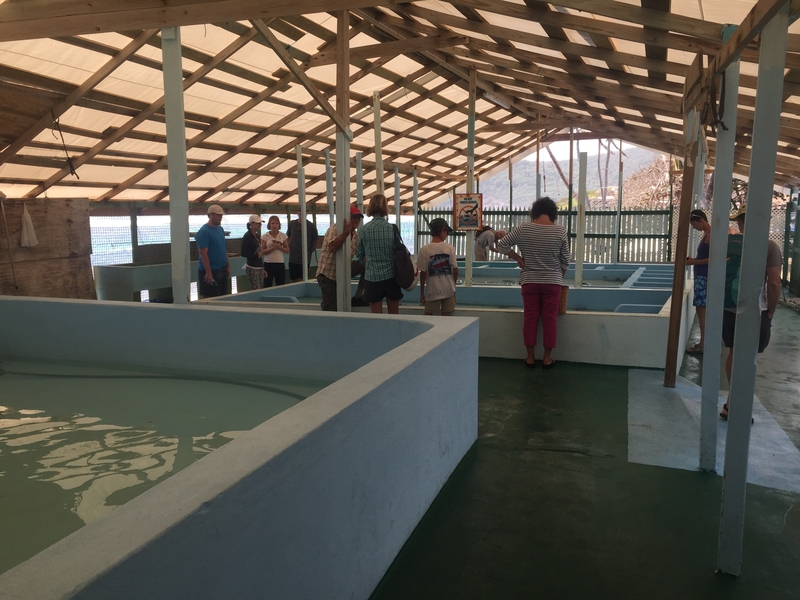 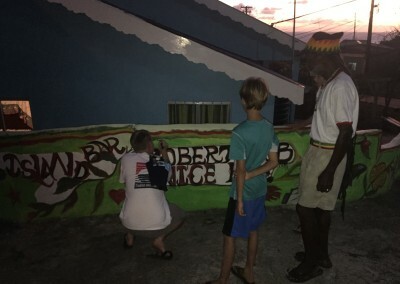 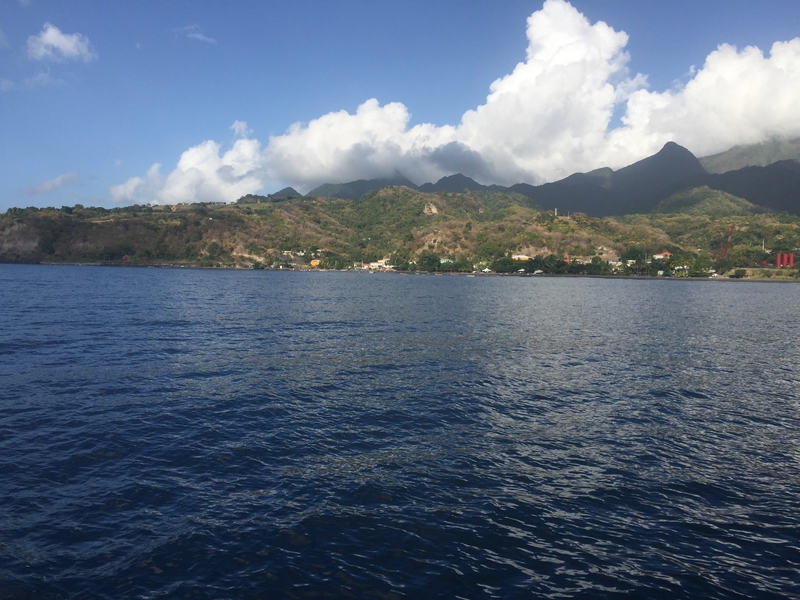 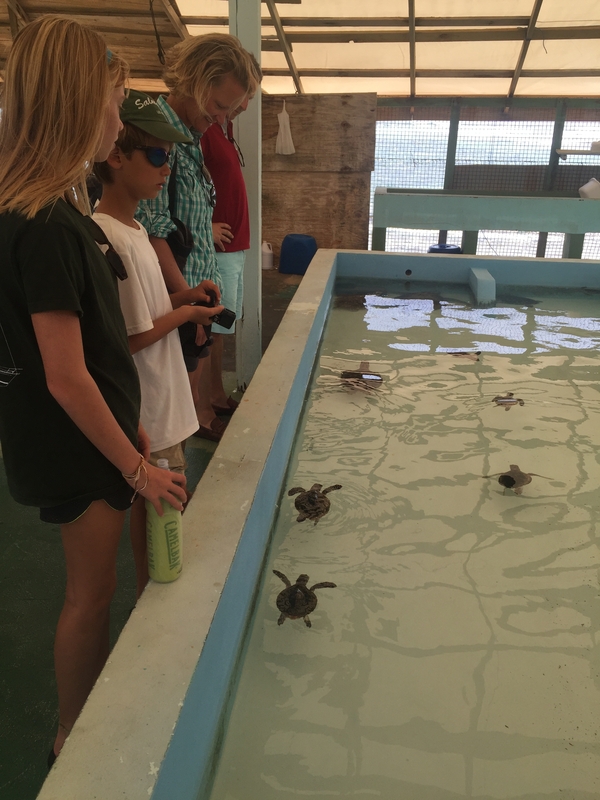 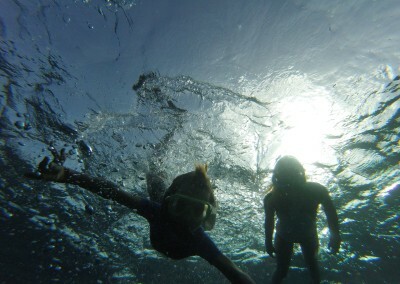 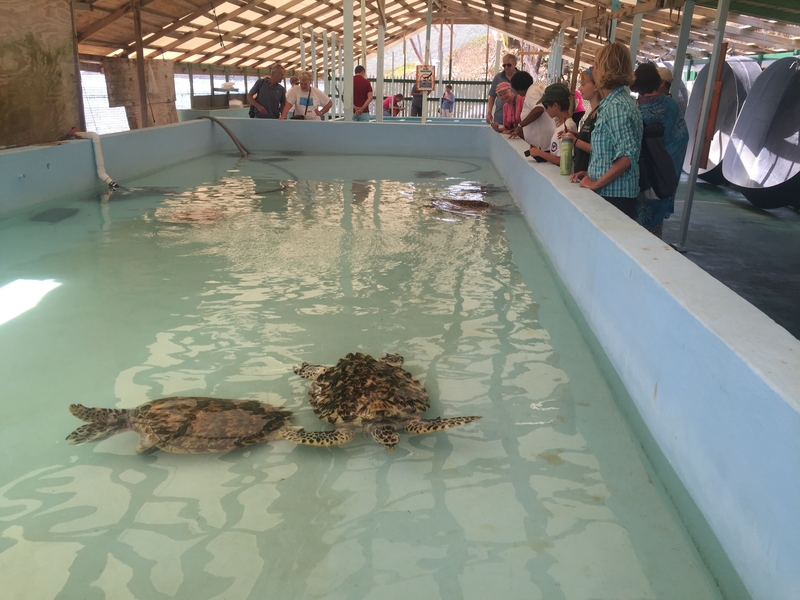 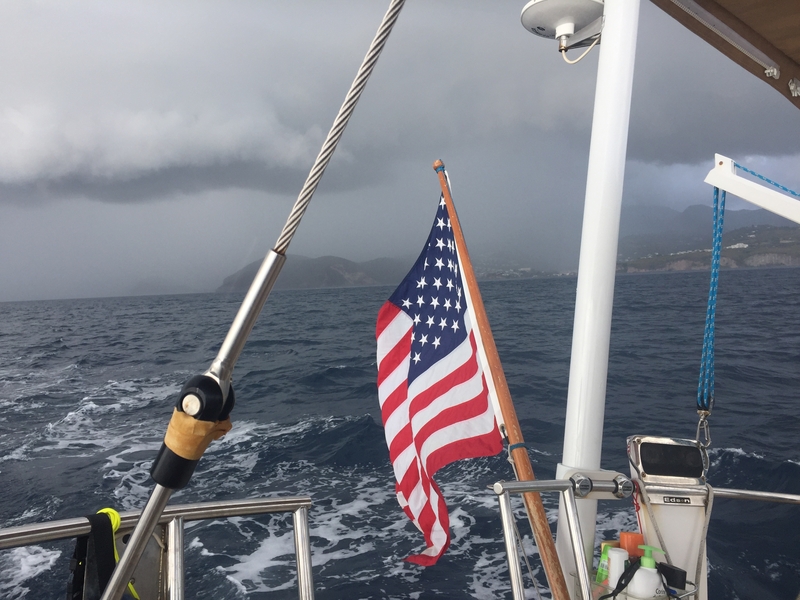 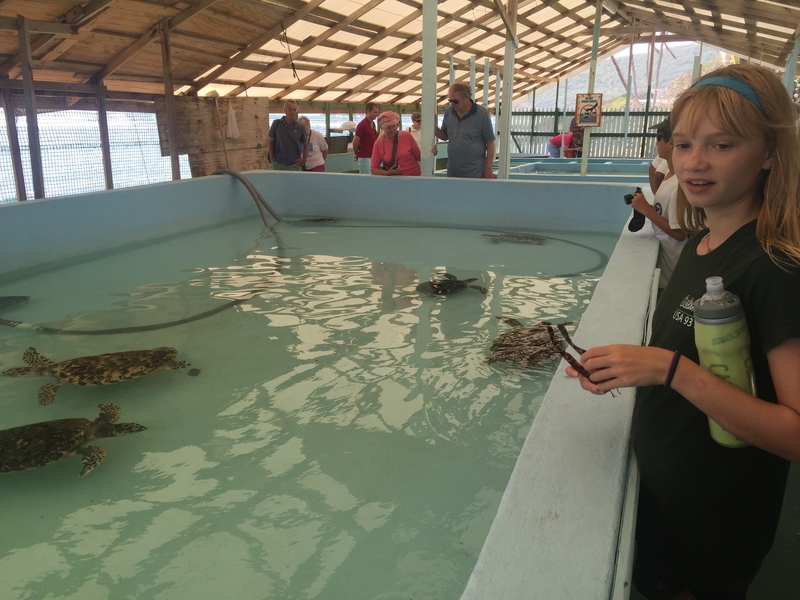 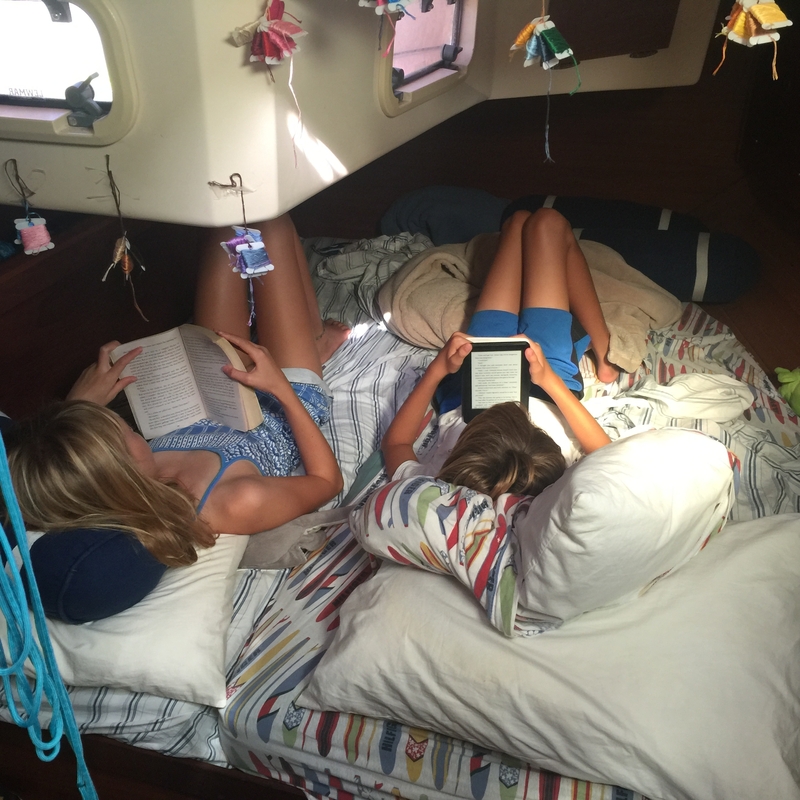 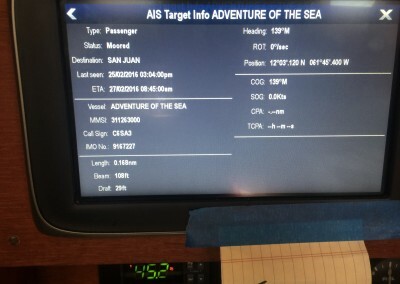 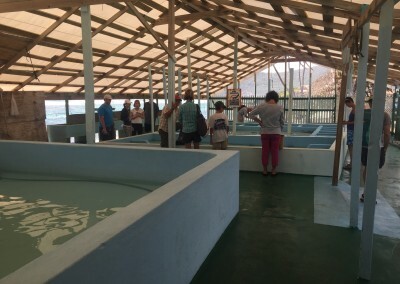 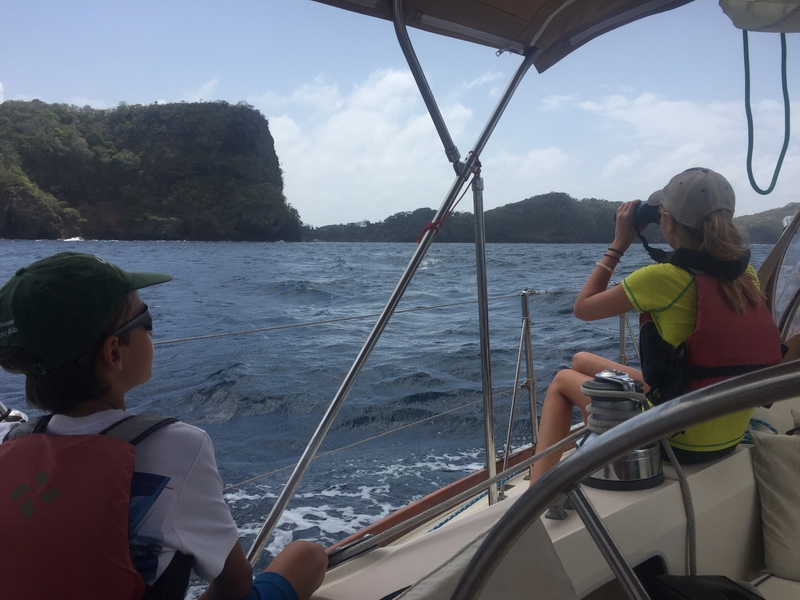 Here is a bit of a recap of what we have been up to since leaving Dominica on February second. 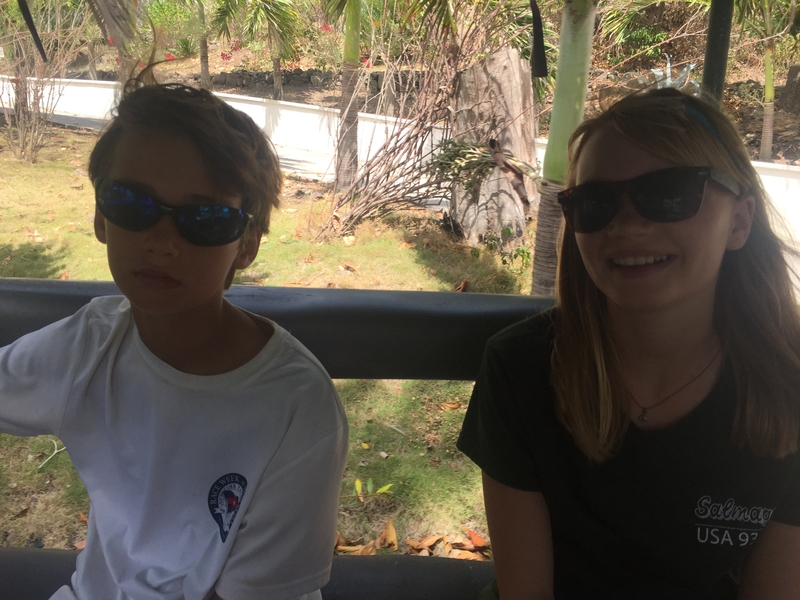 But as always, stand by for detailed reports from Mira and Peter! 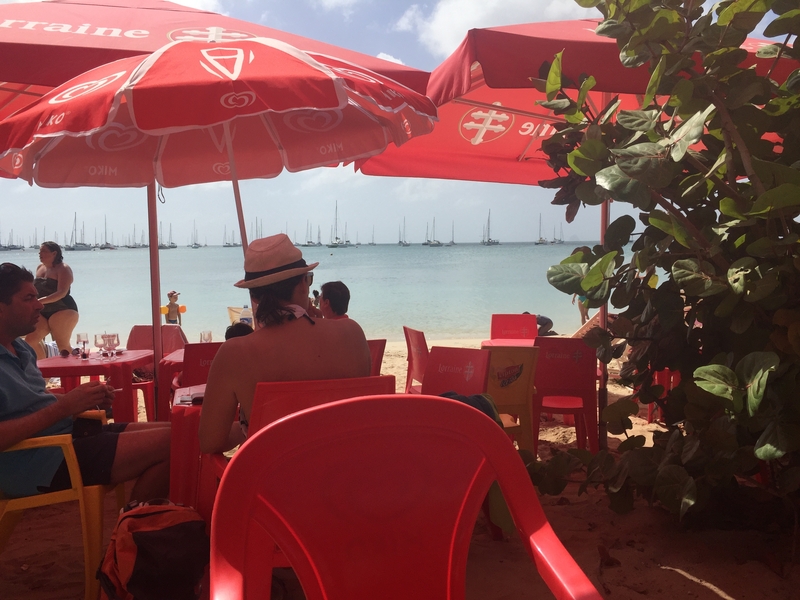 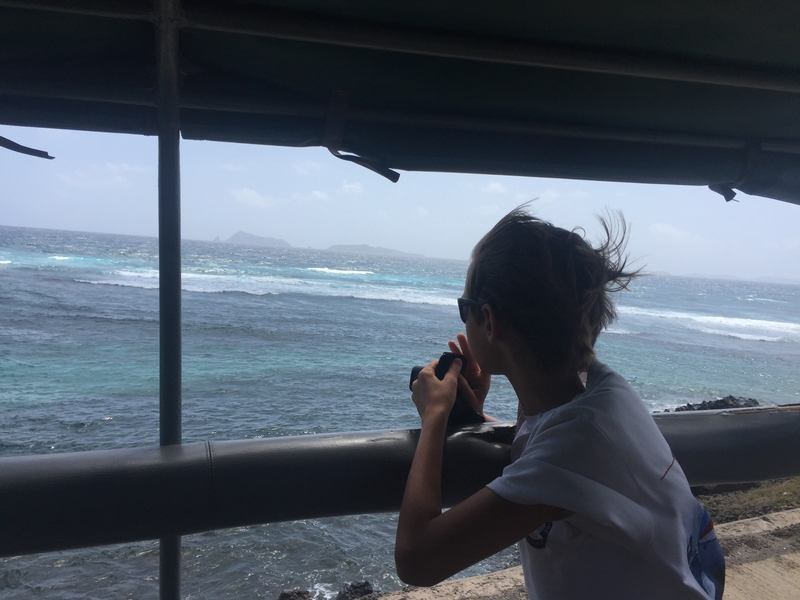 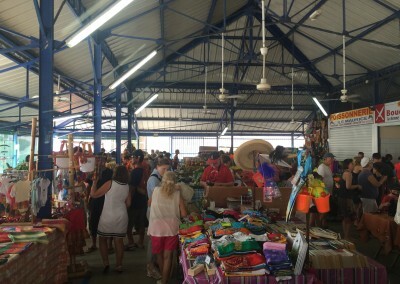 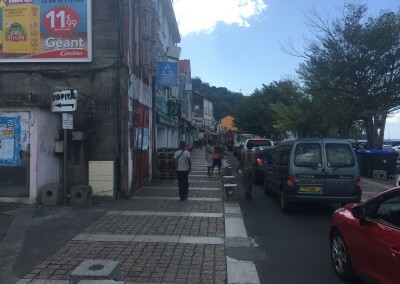 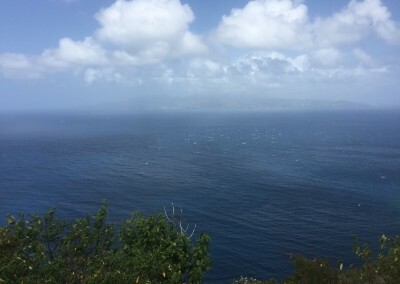 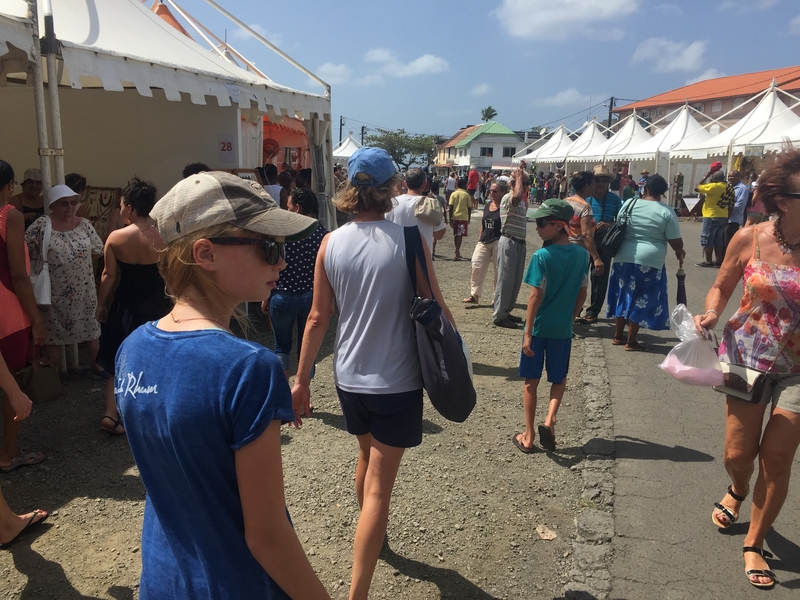 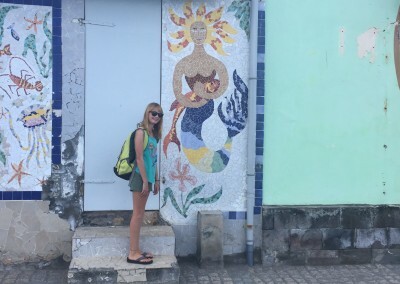 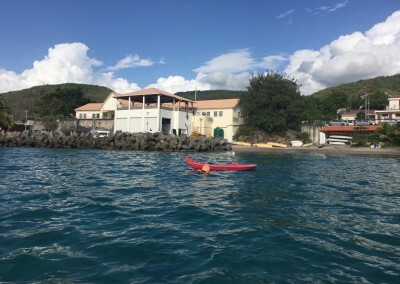 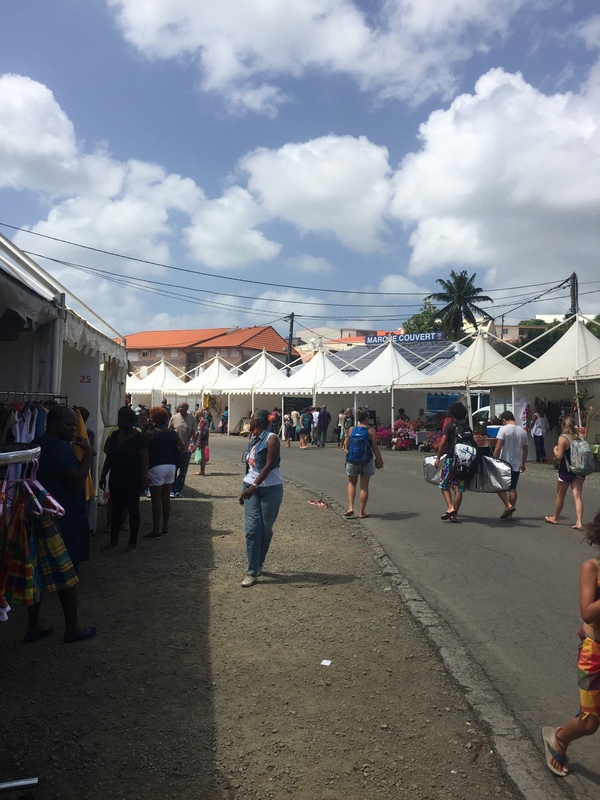 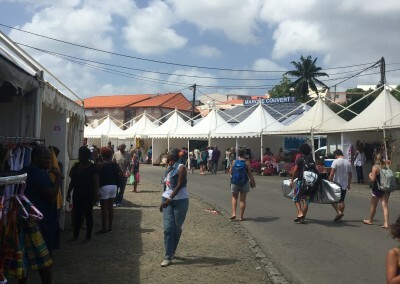 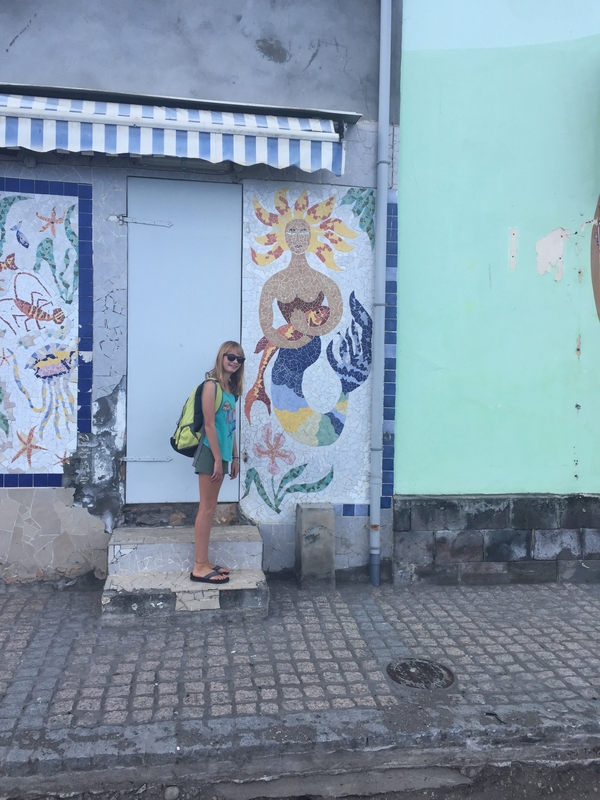 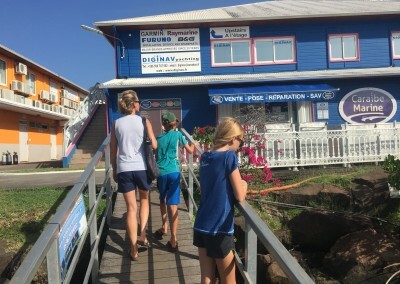 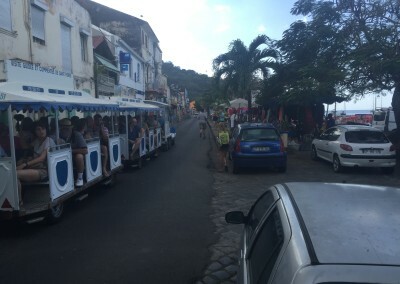 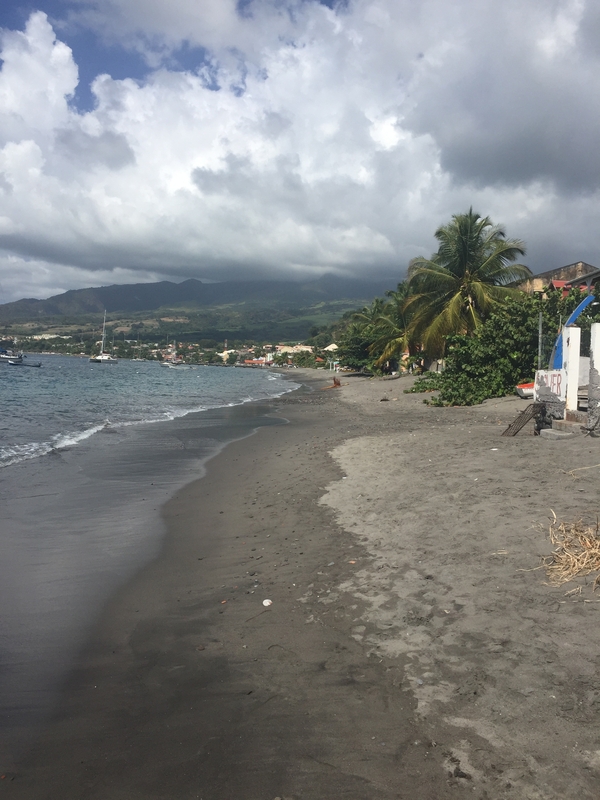 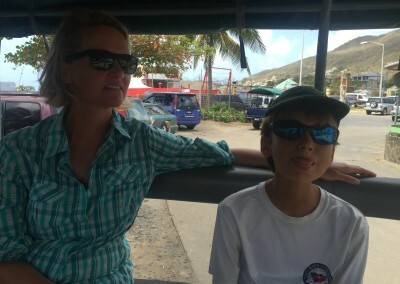 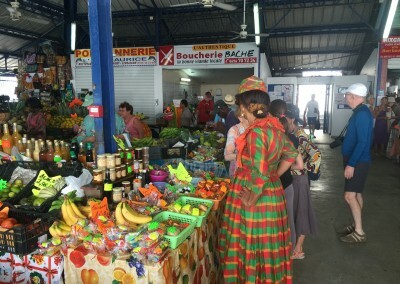 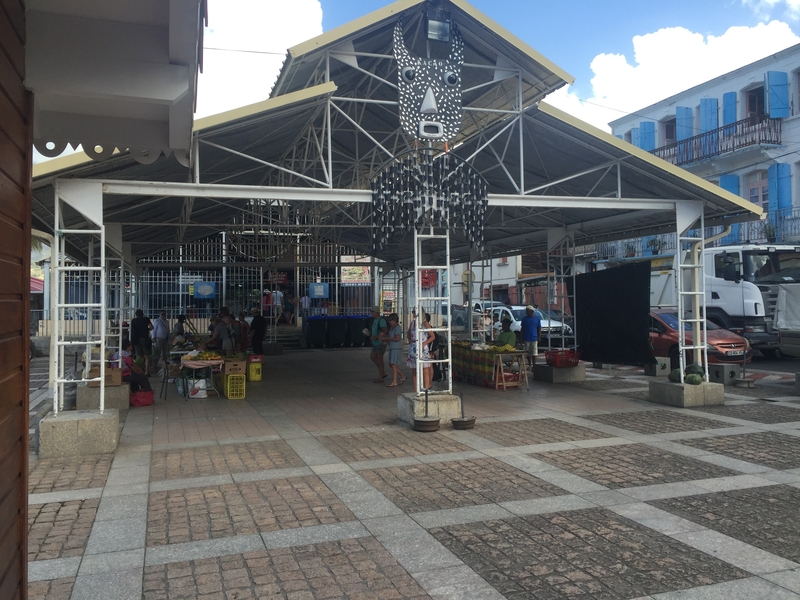 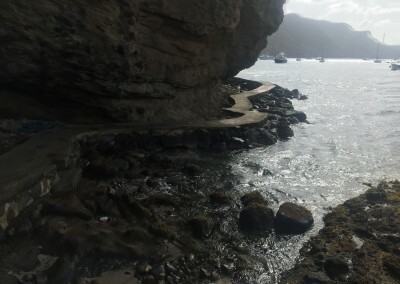 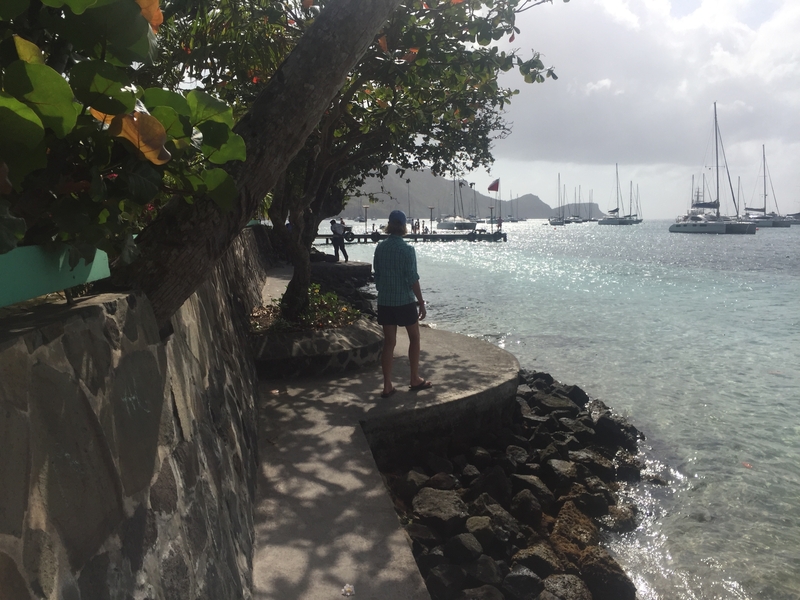 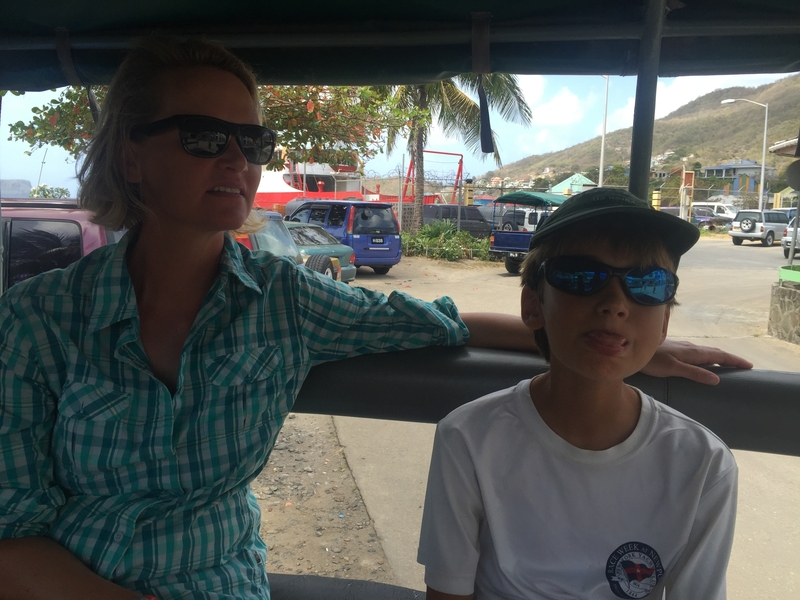 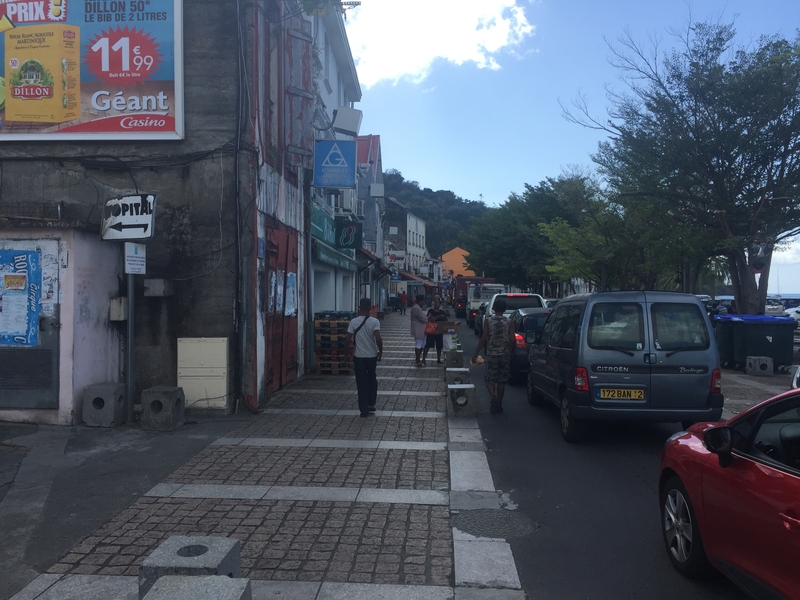 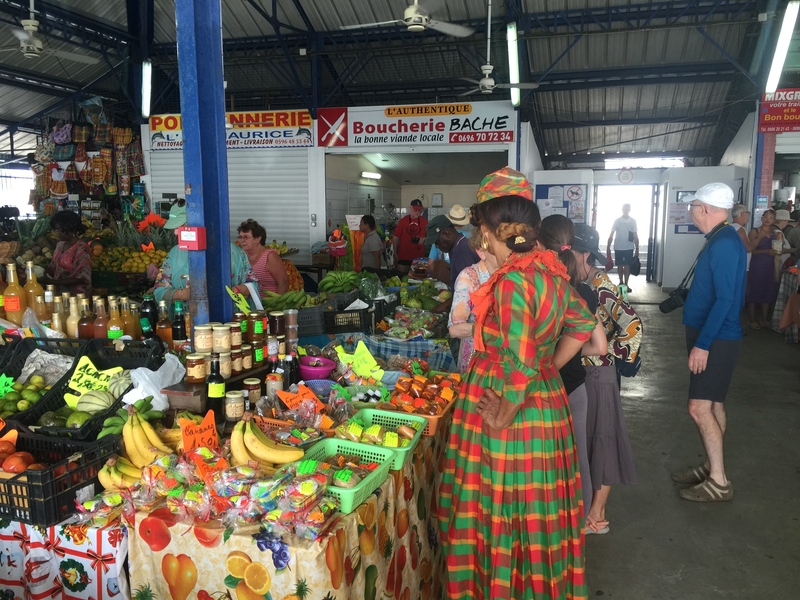 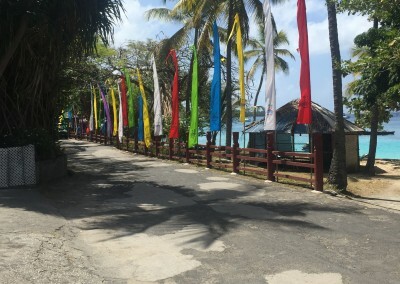 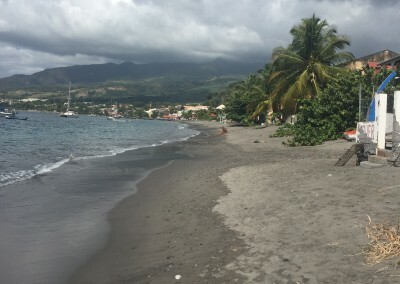 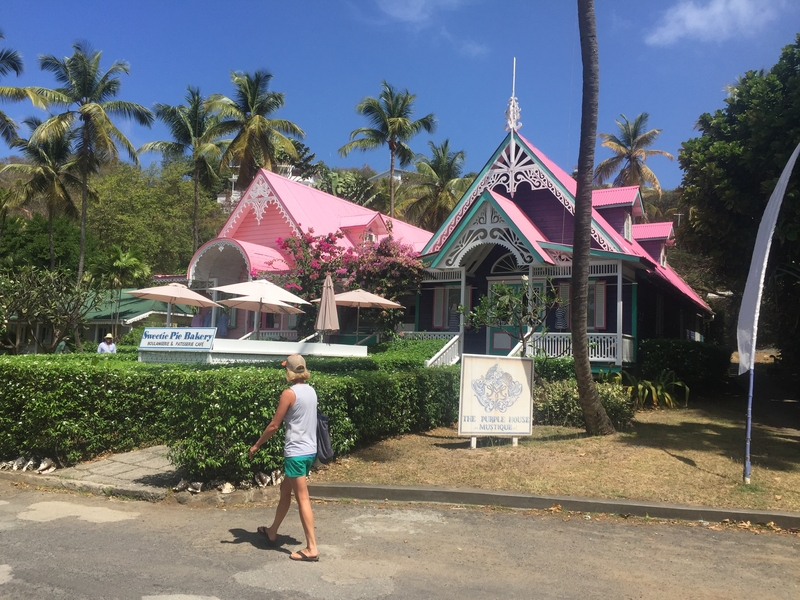 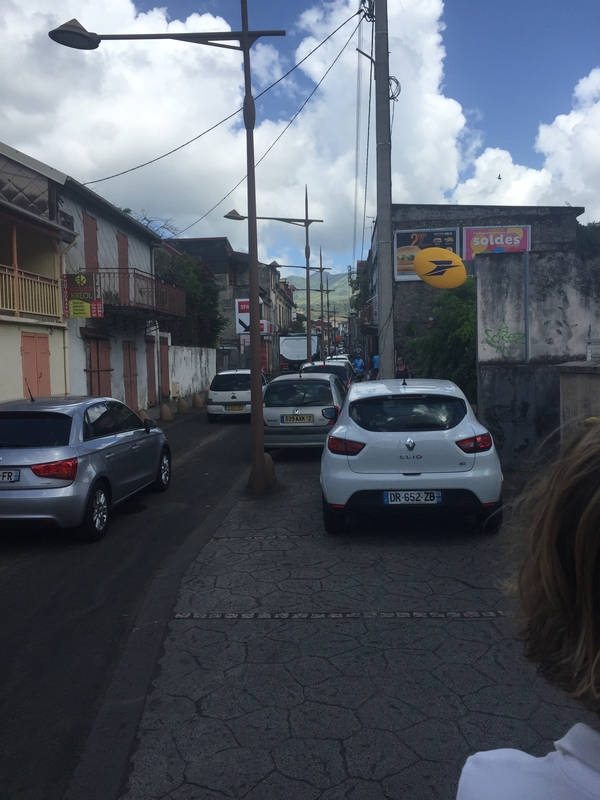 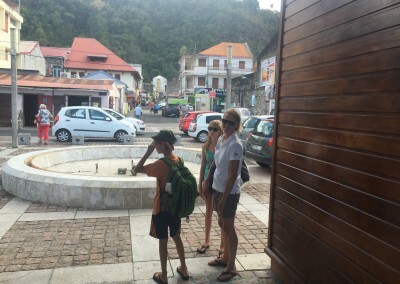 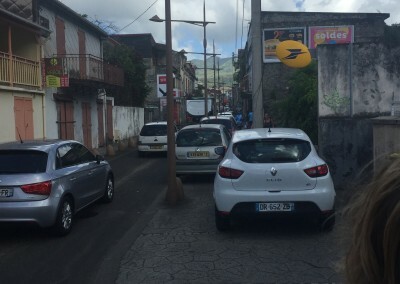 Explored Martinique – Sainte Pierre, Grande Anse d’Artlets, Le Marin (an amazing area for yachting, wowza) and Sainte Anne. 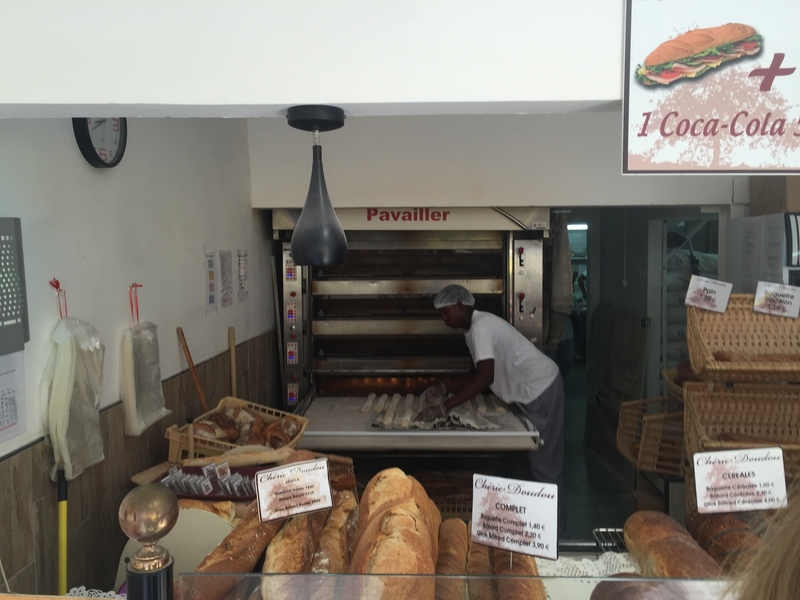 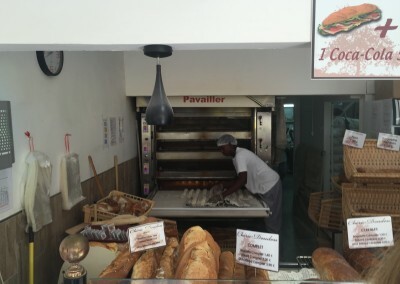 Back to the French food, we really love that French baguette! 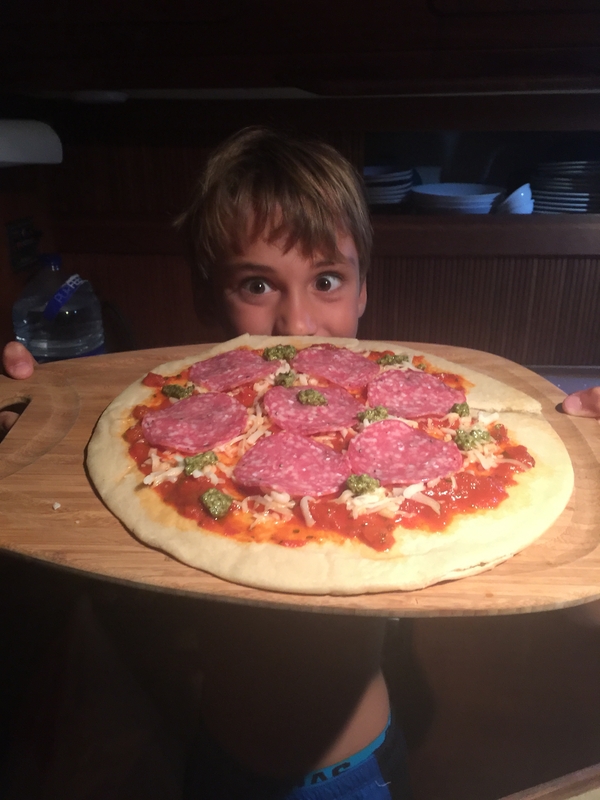 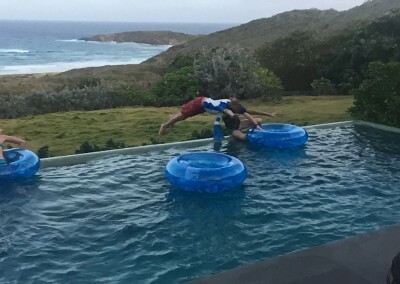 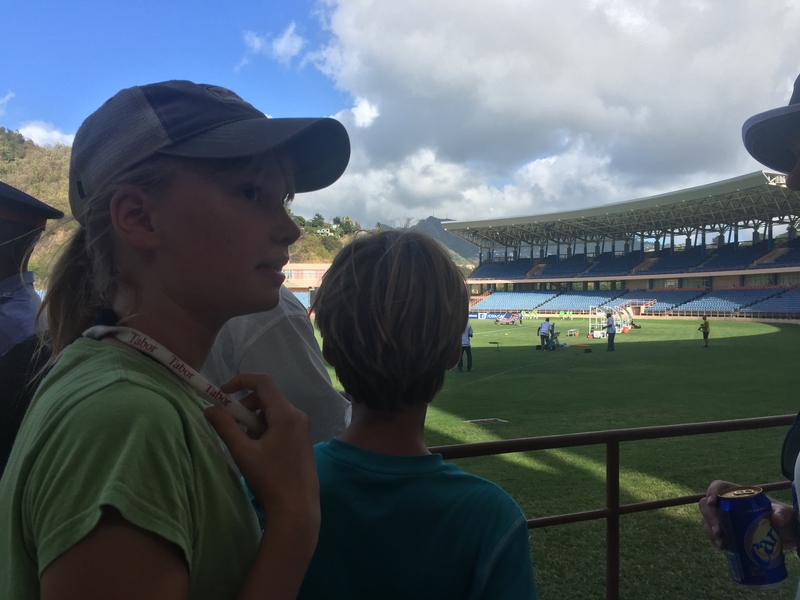 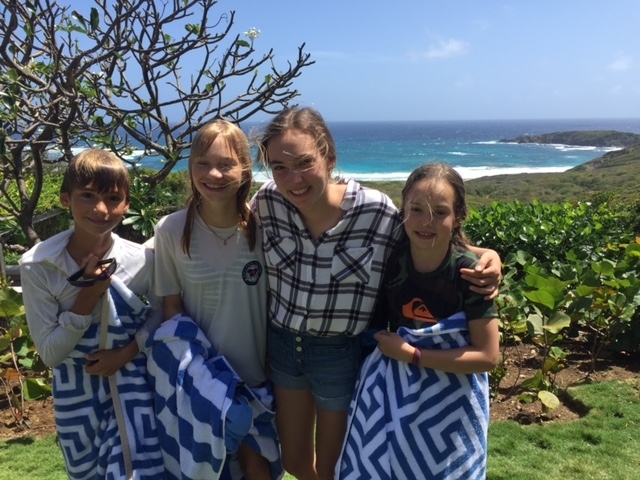 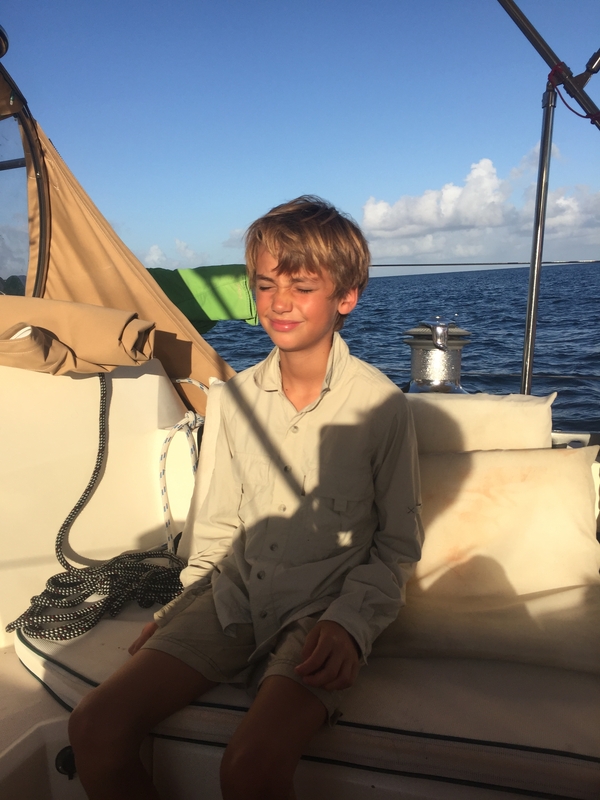 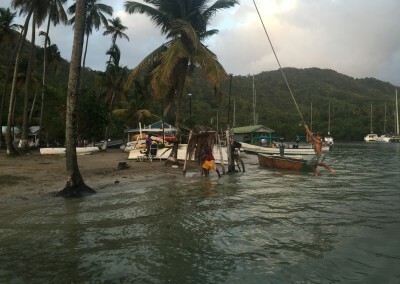 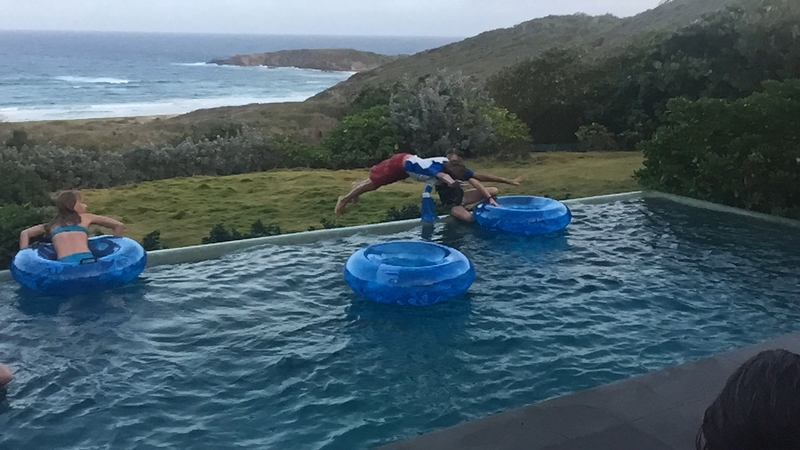 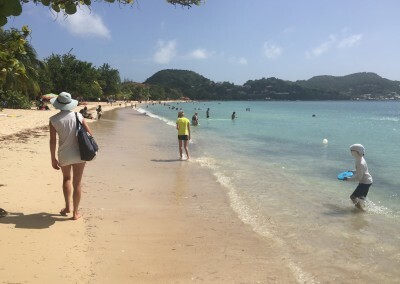 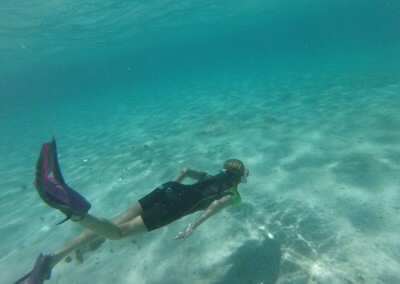 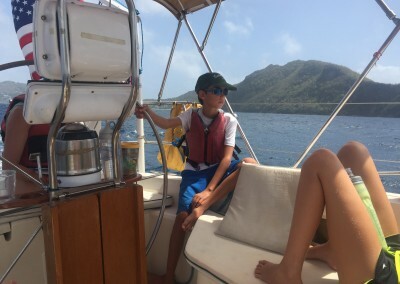 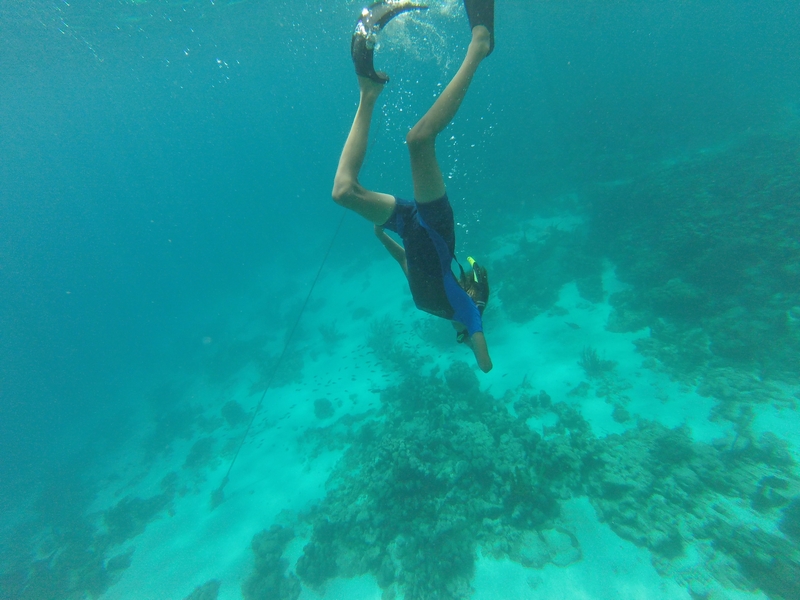 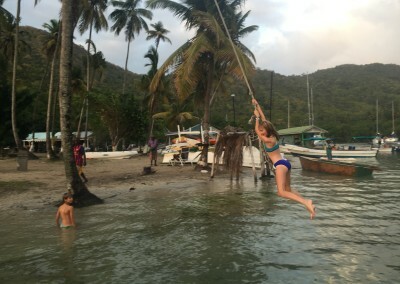 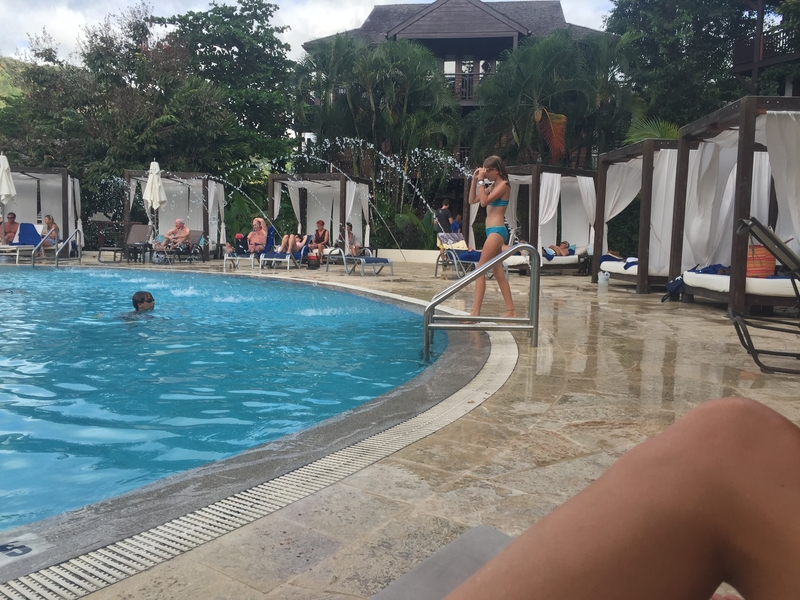 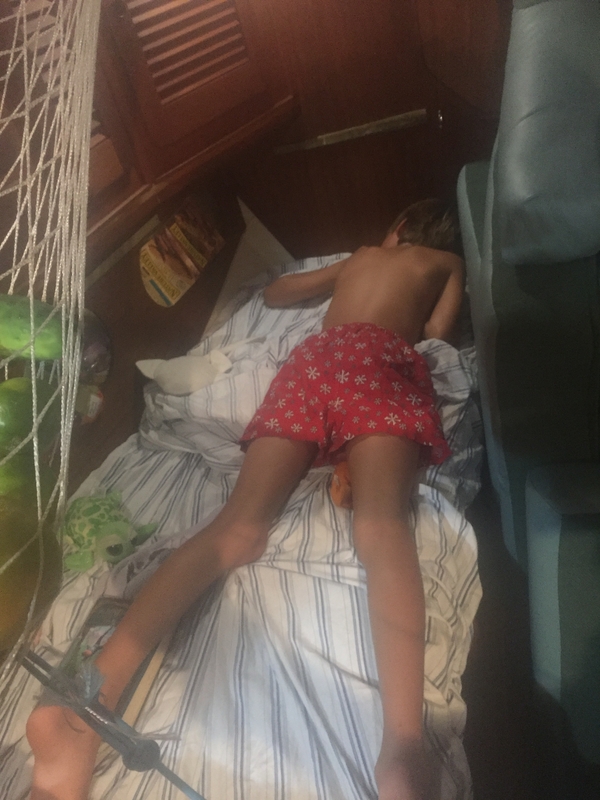 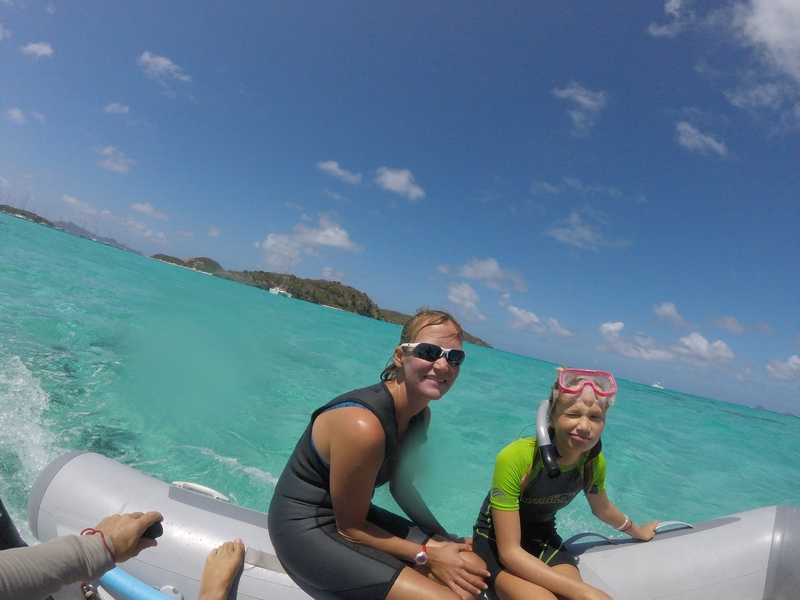 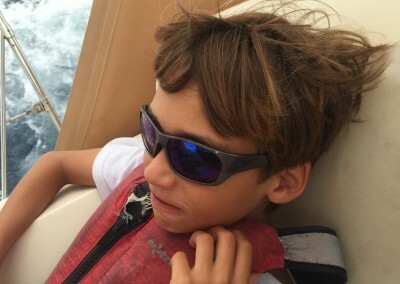 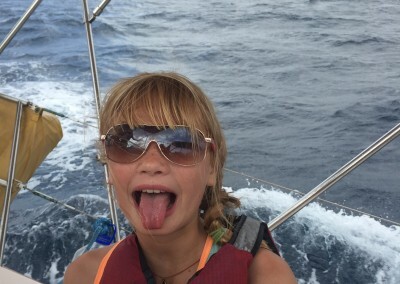 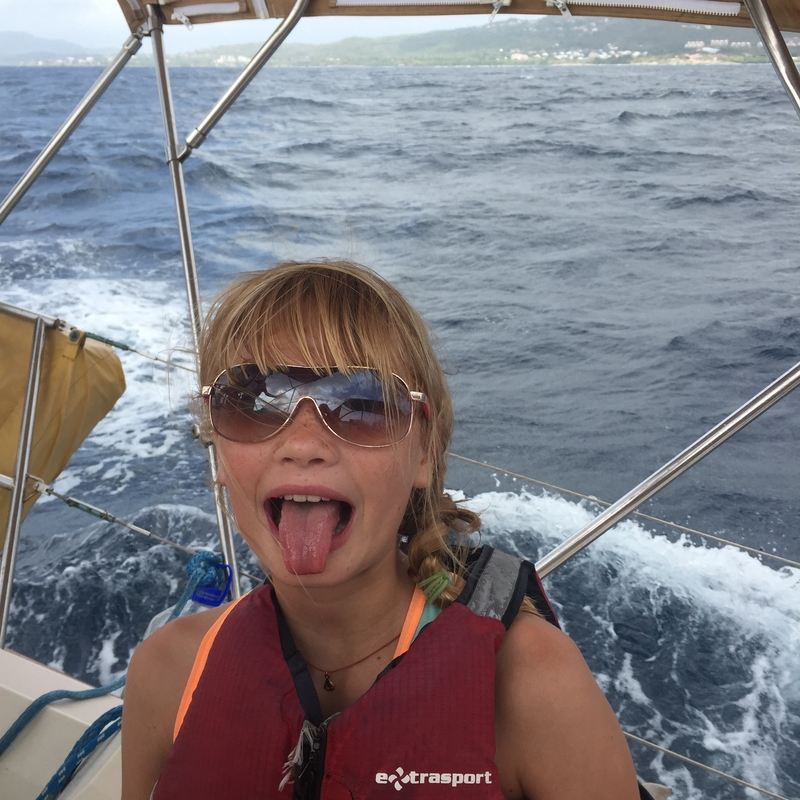 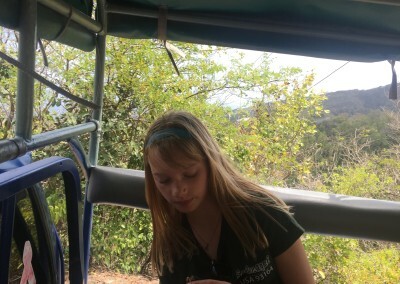 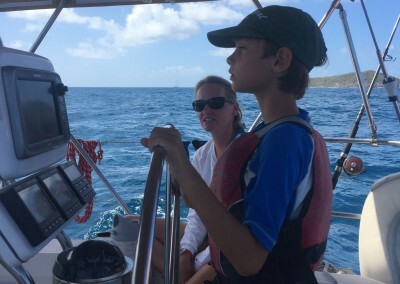 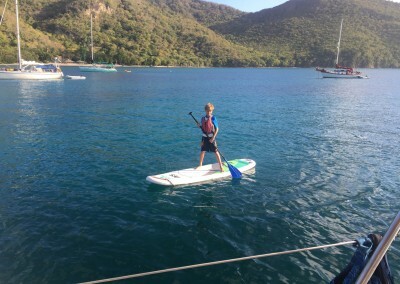 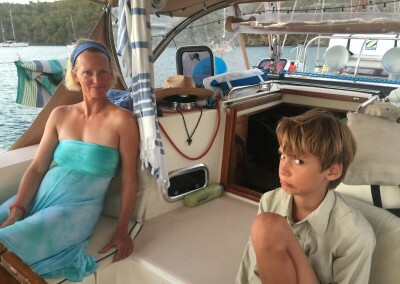 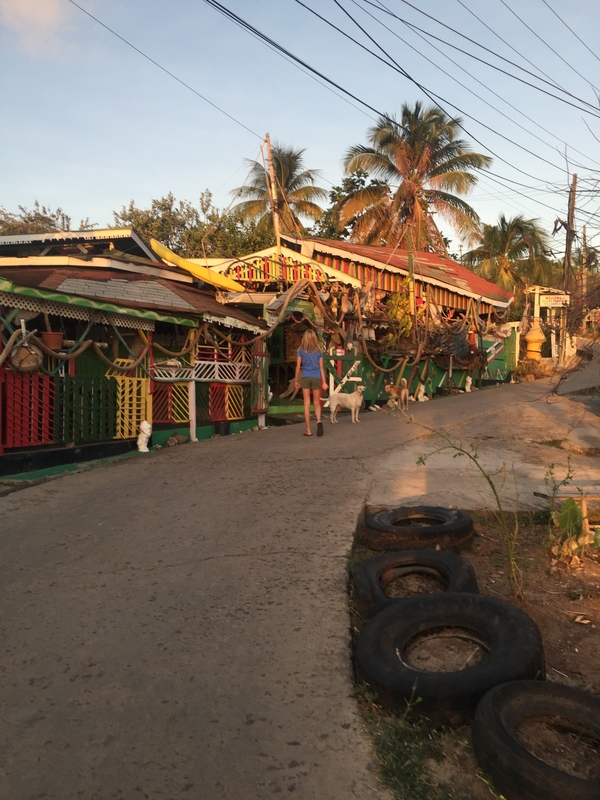 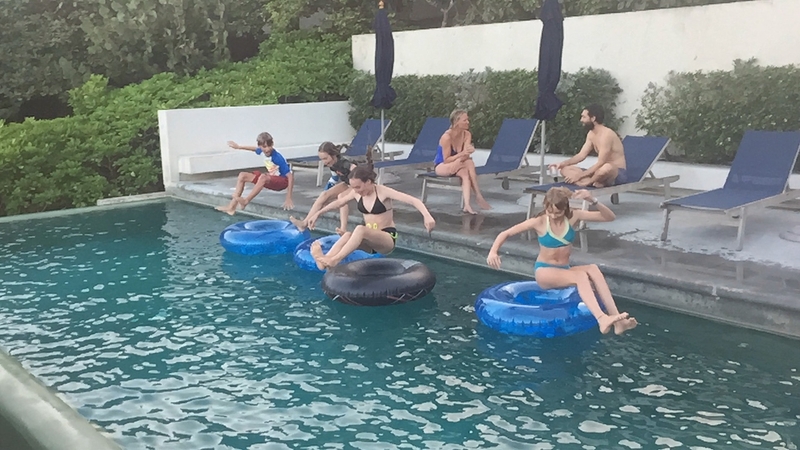 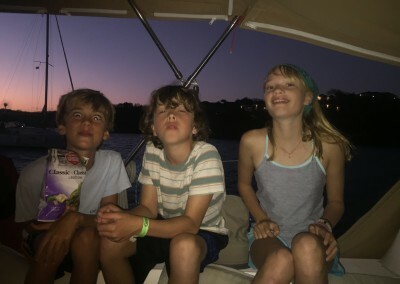 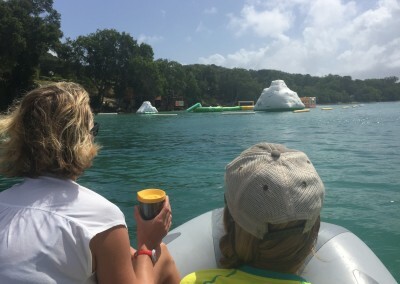 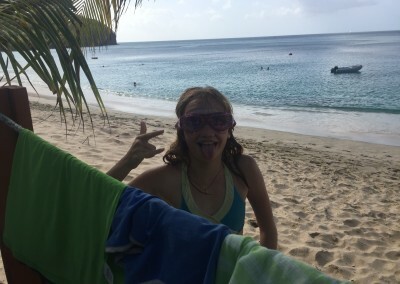 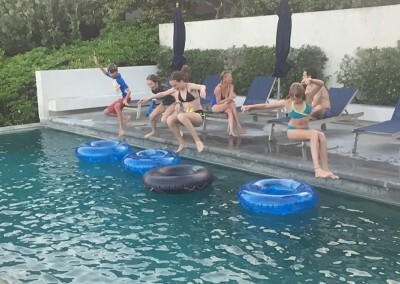 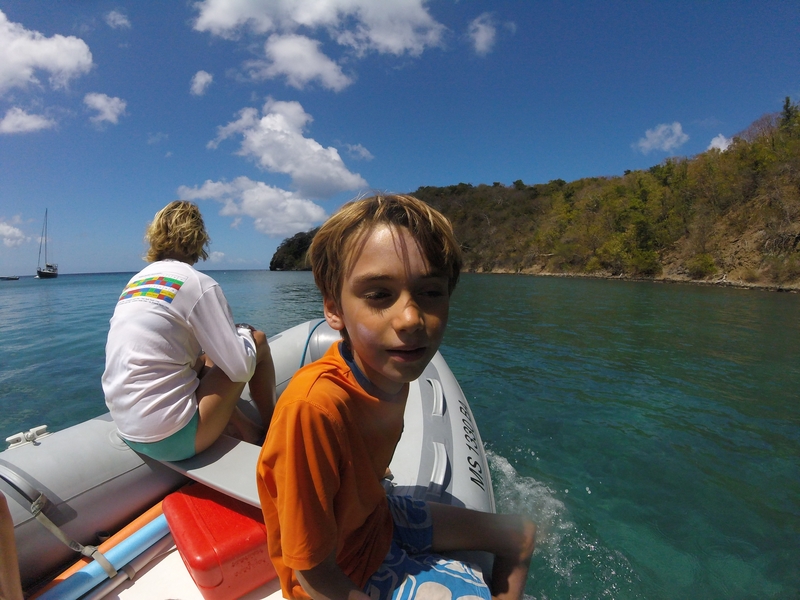 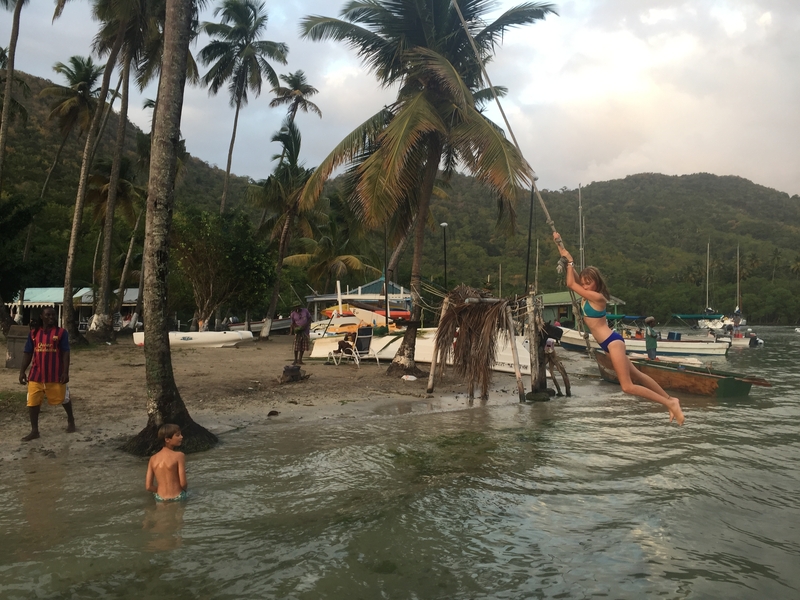 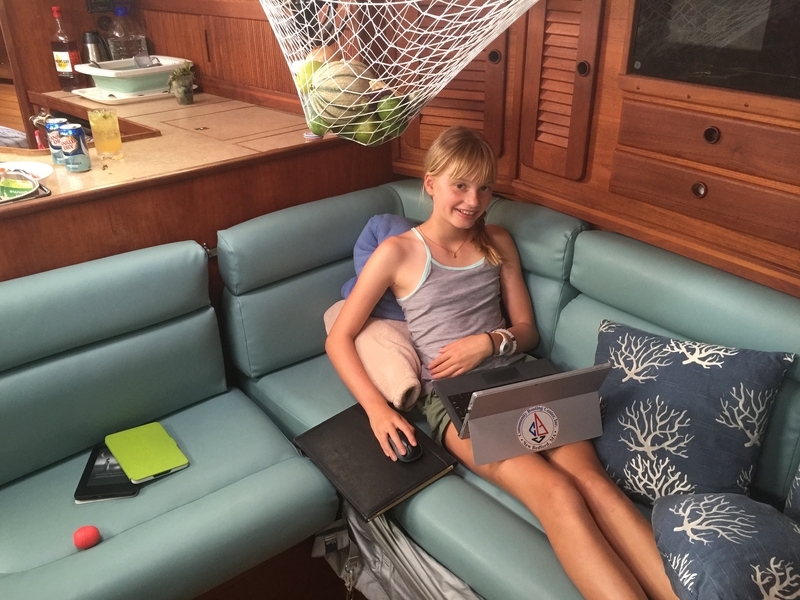 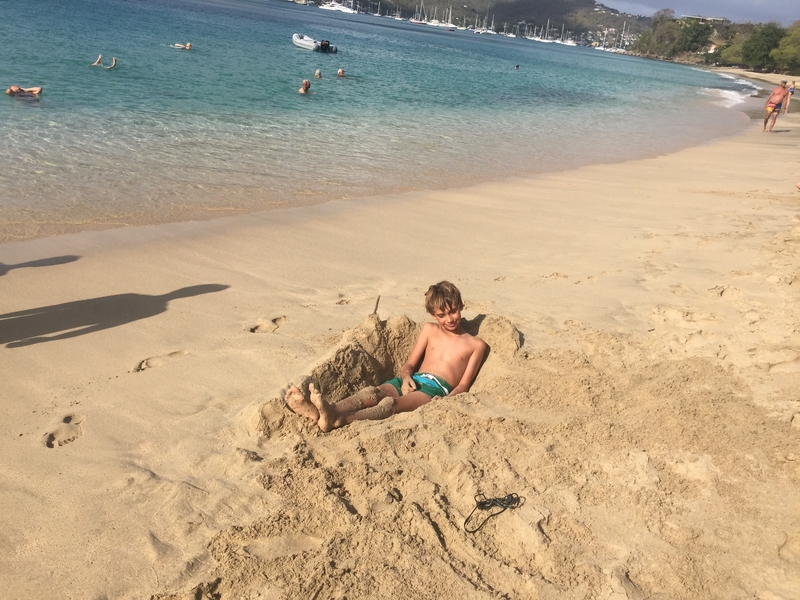 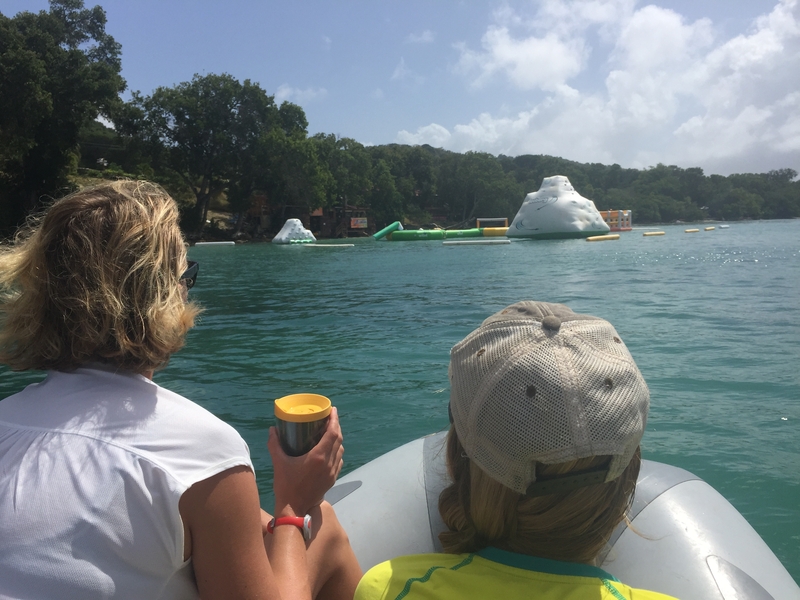 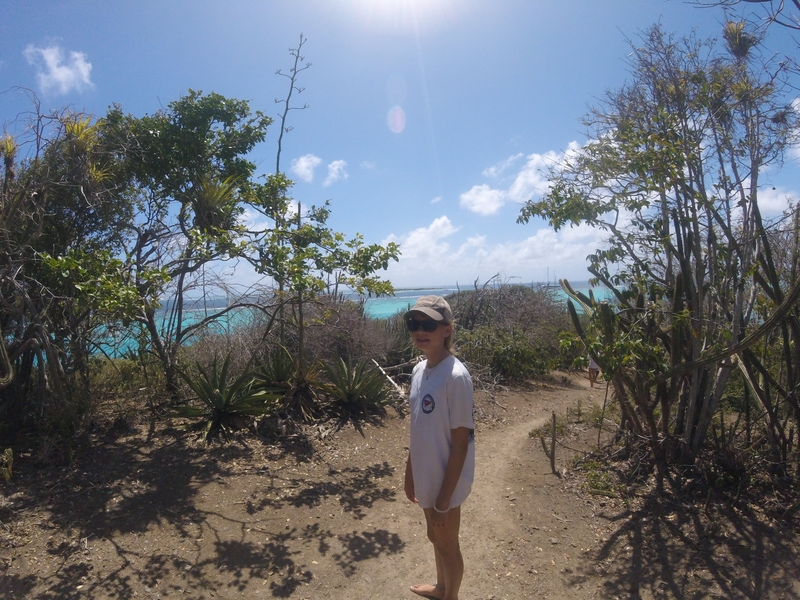 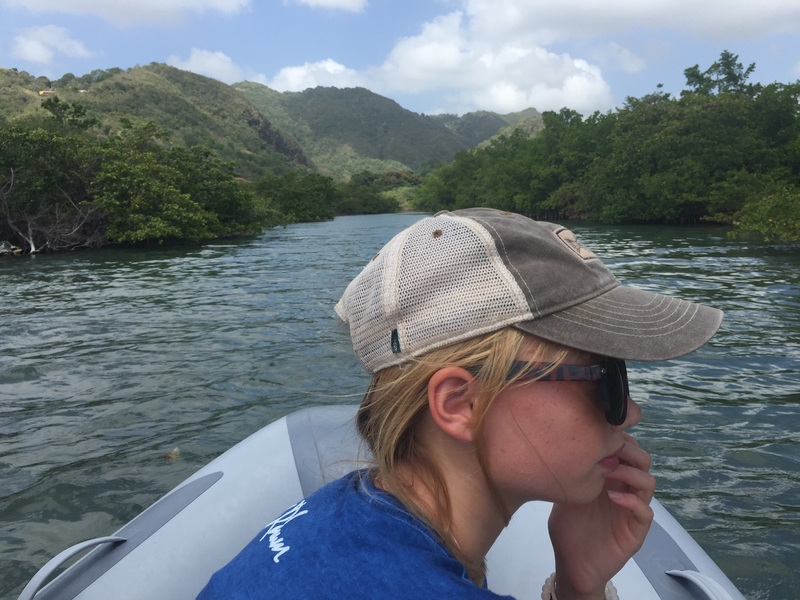 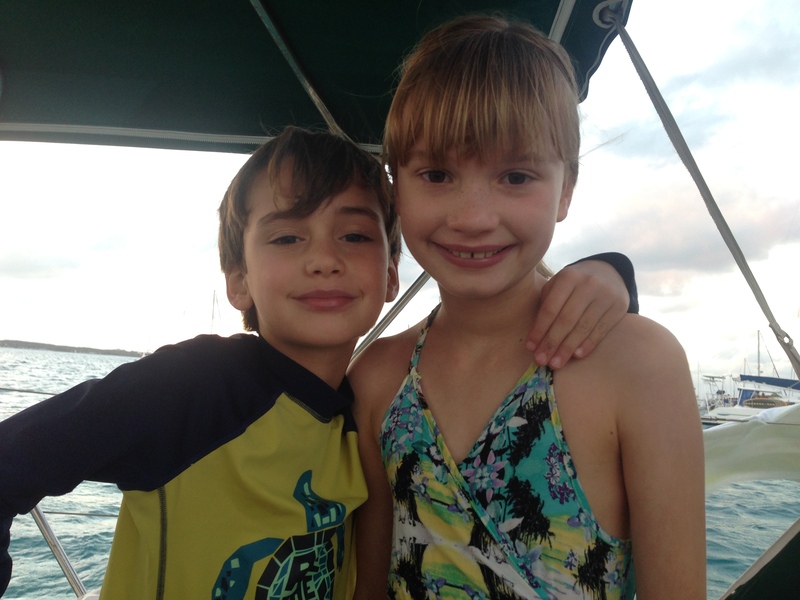 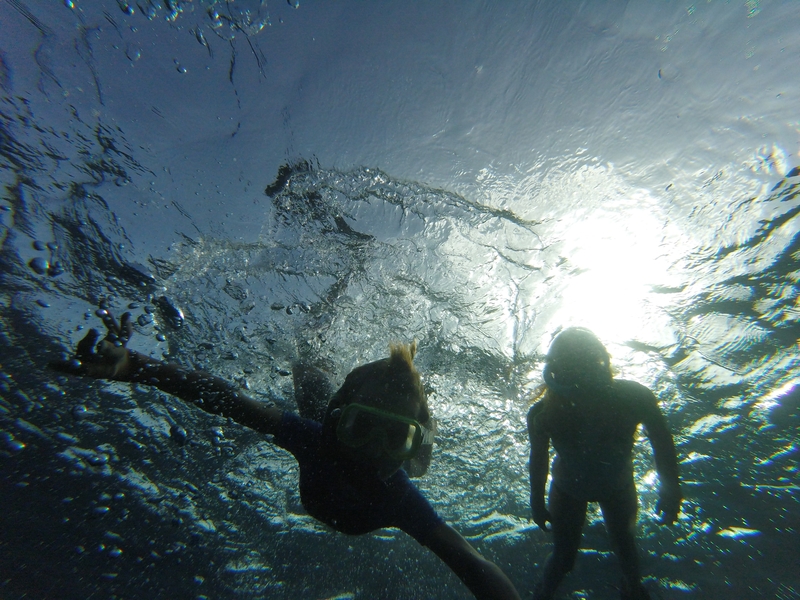 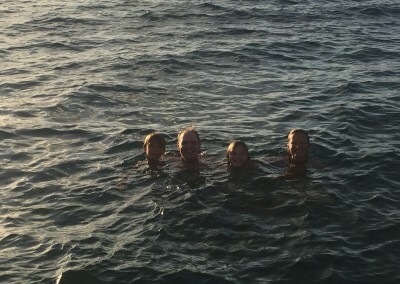 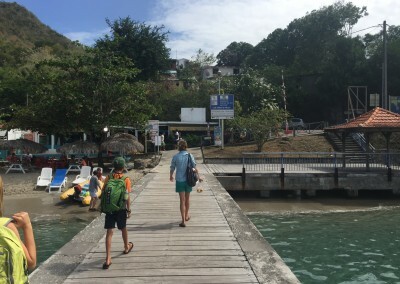 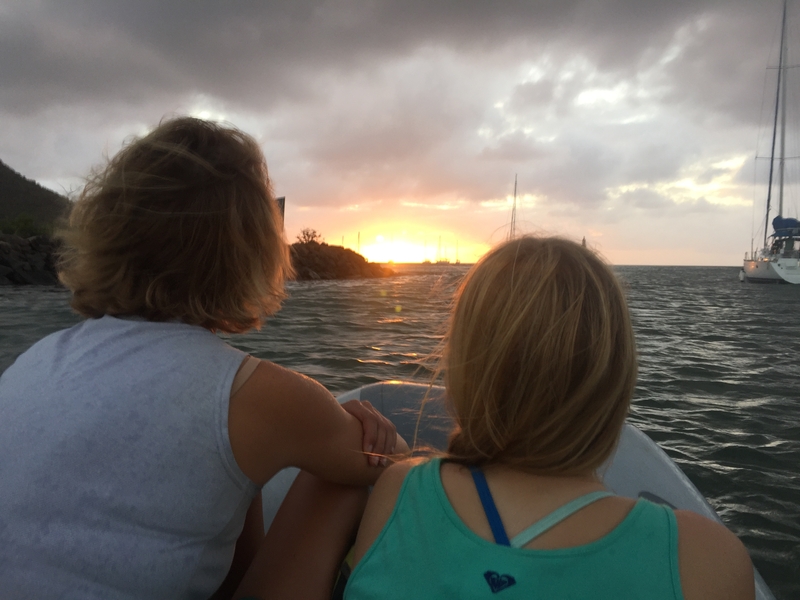 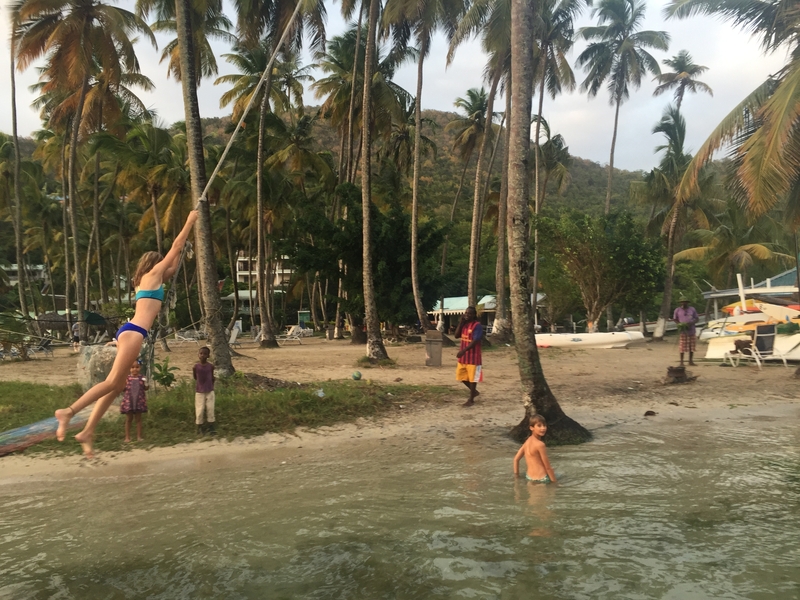 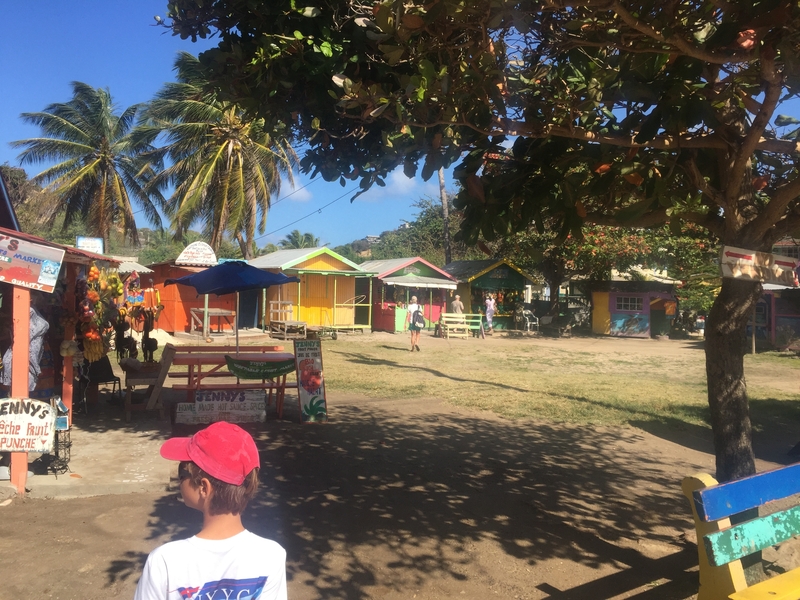 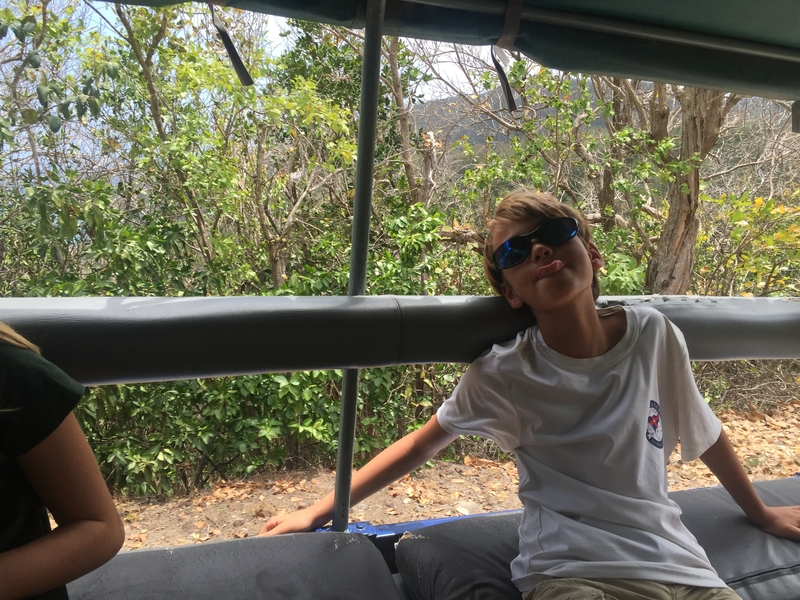 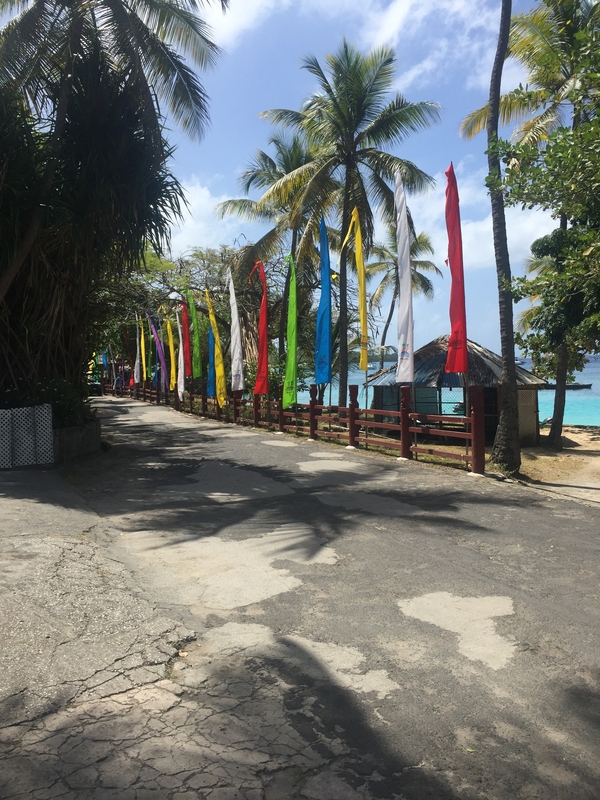 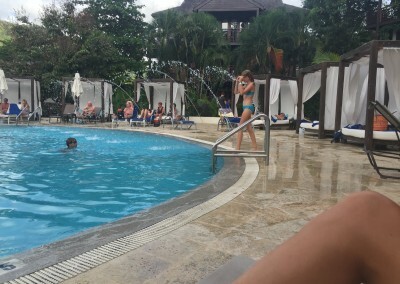 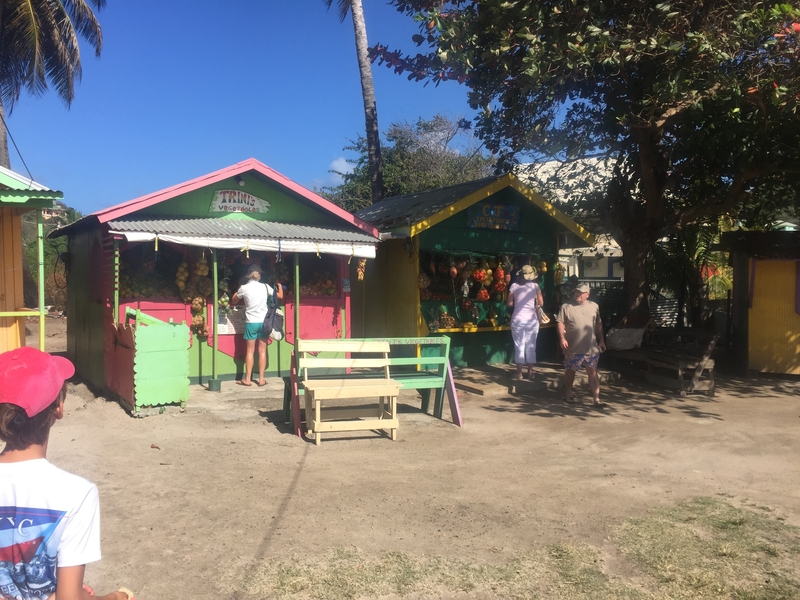 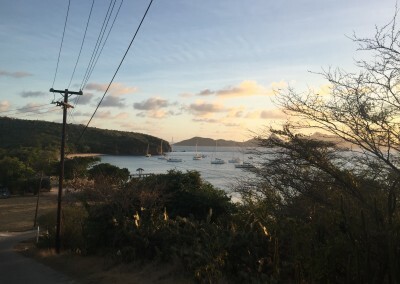 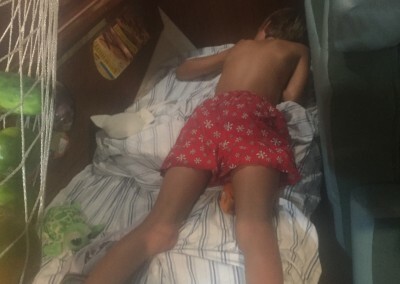 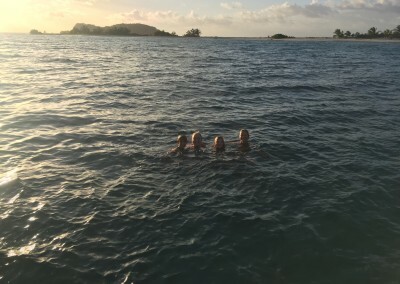 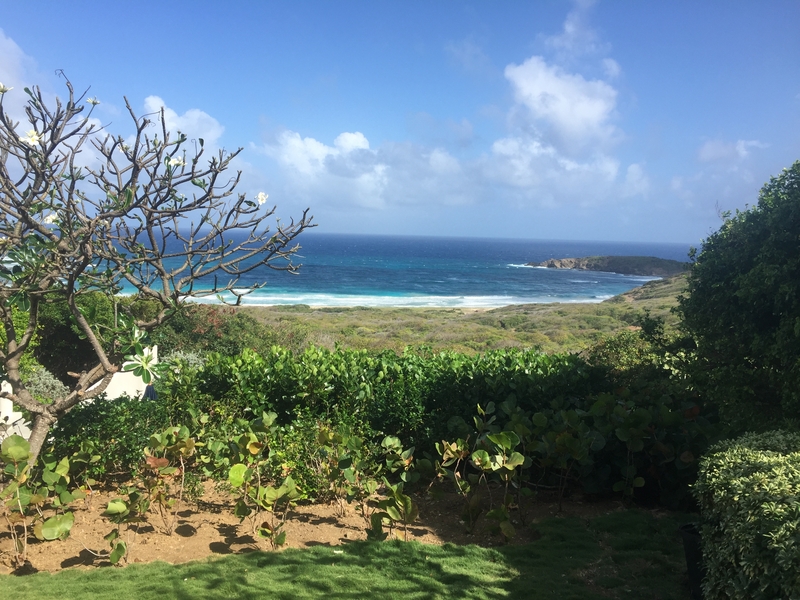 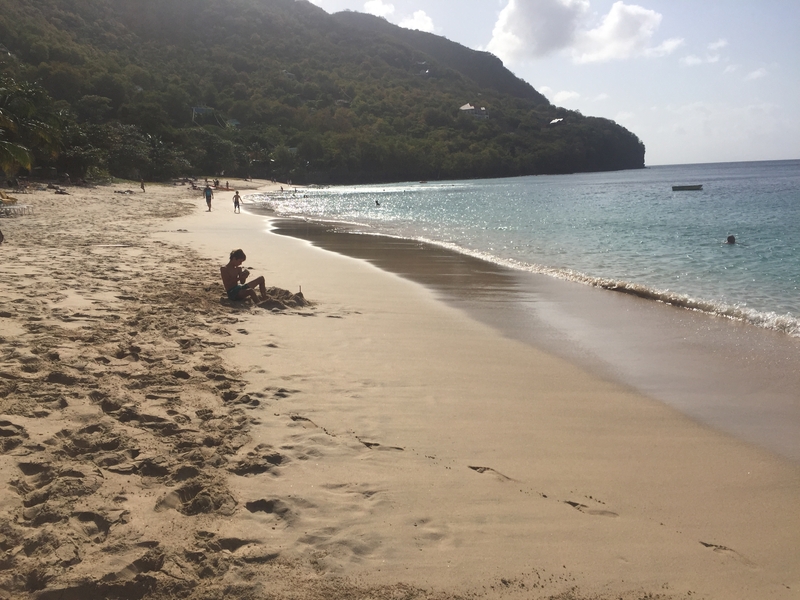 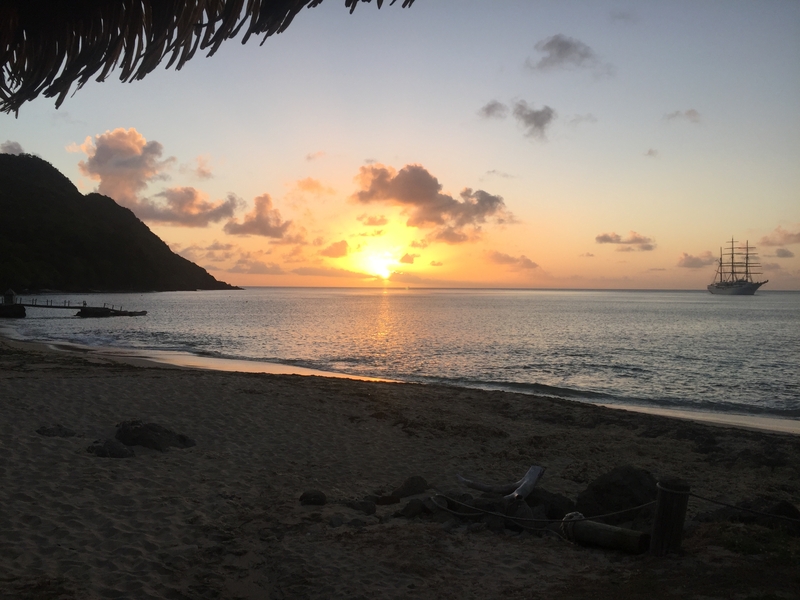 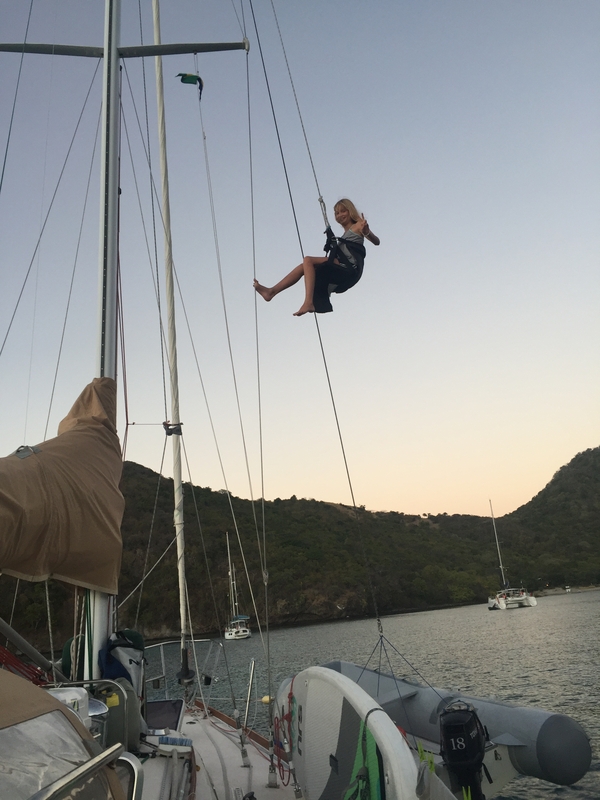 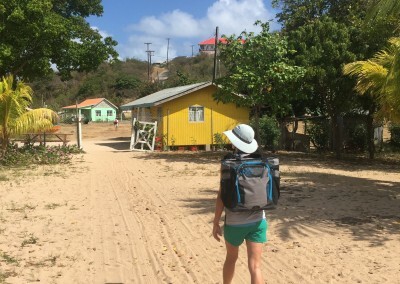 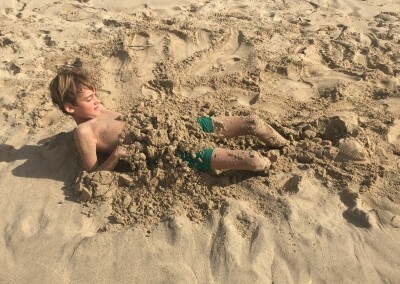 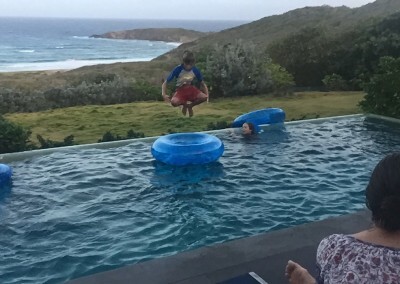 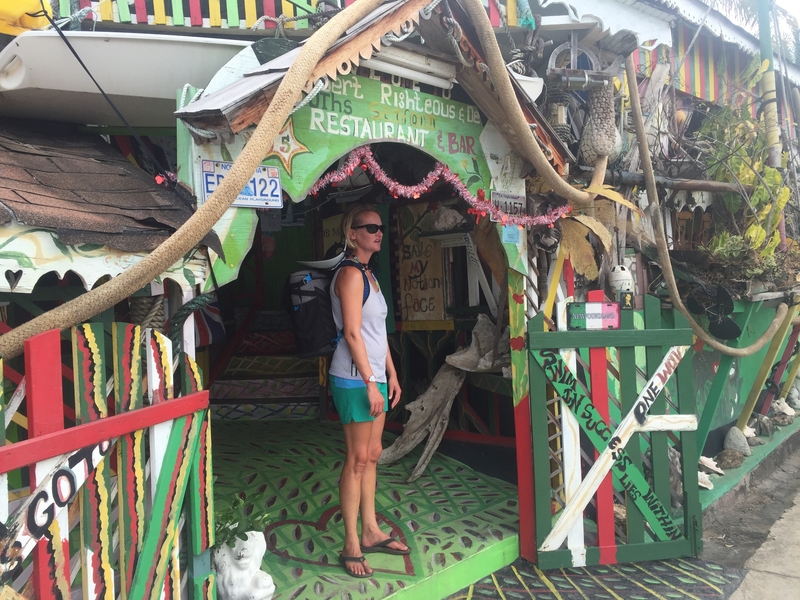 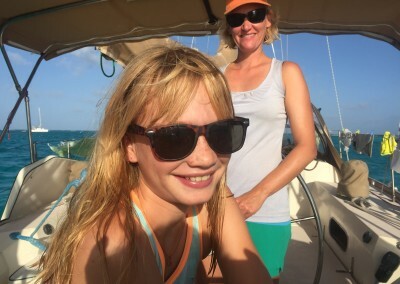 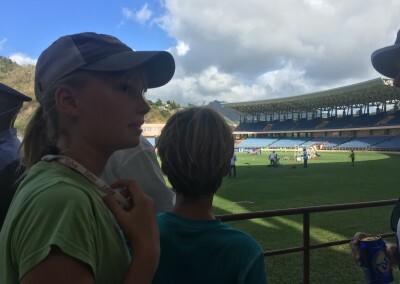 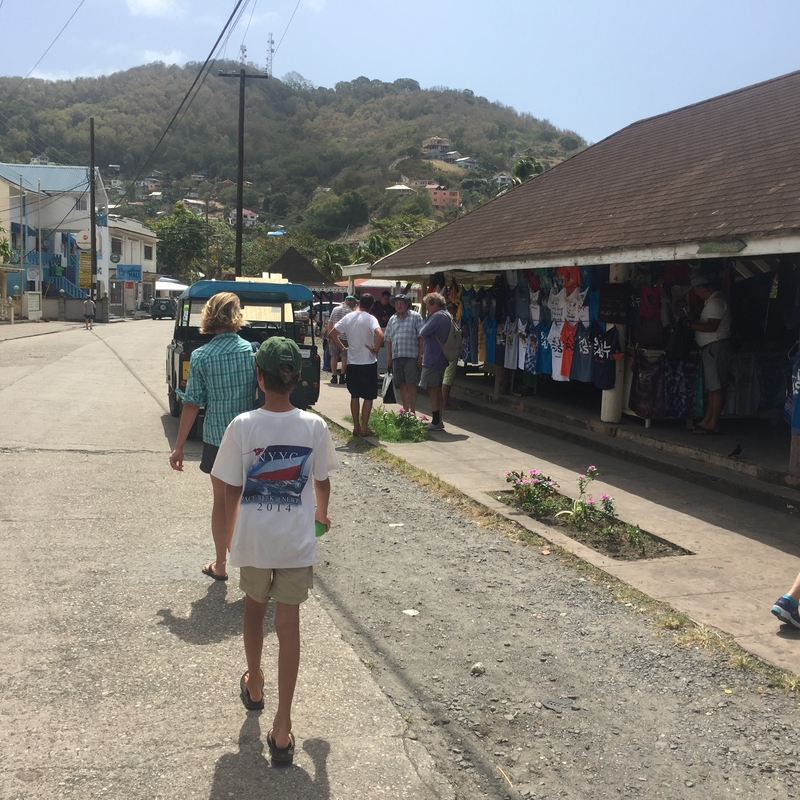 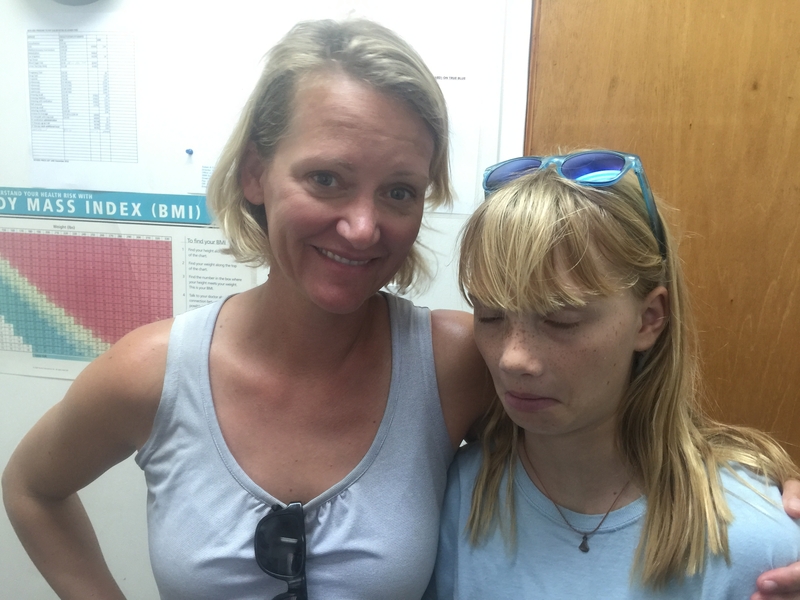 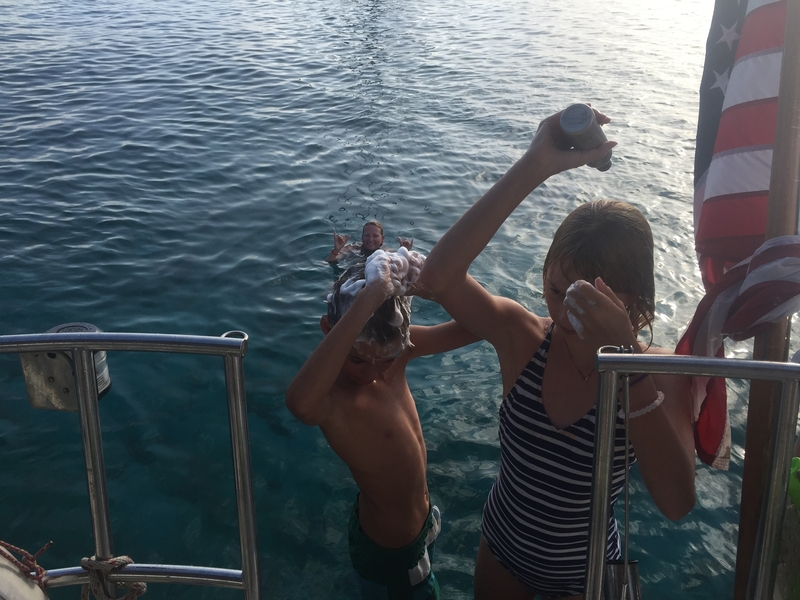 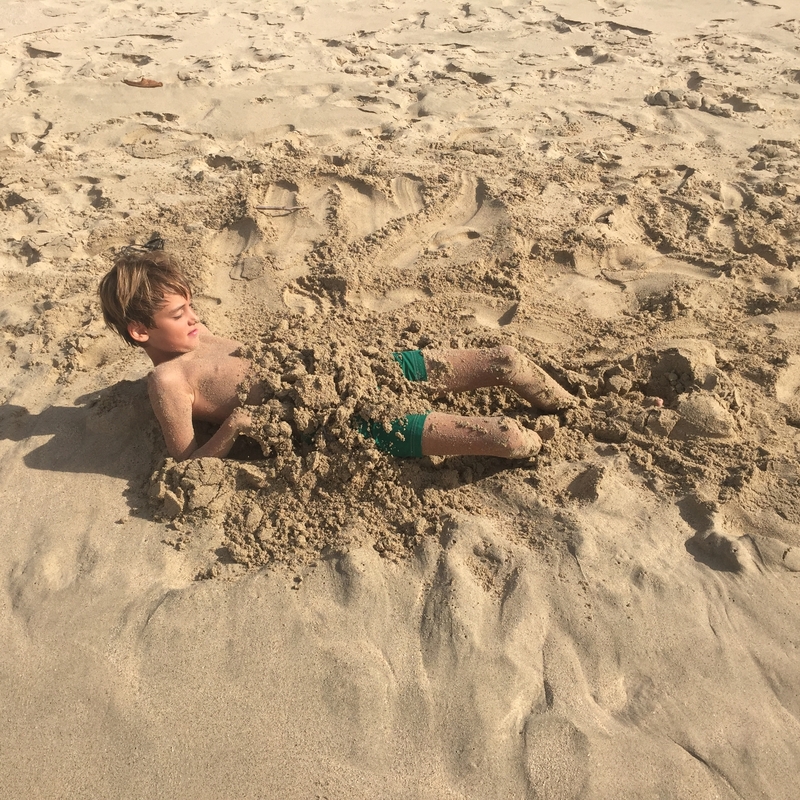 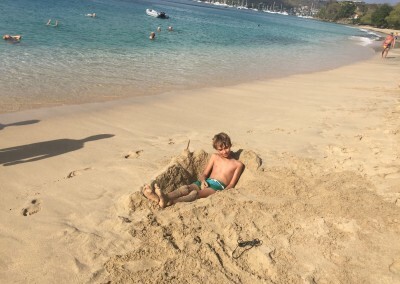 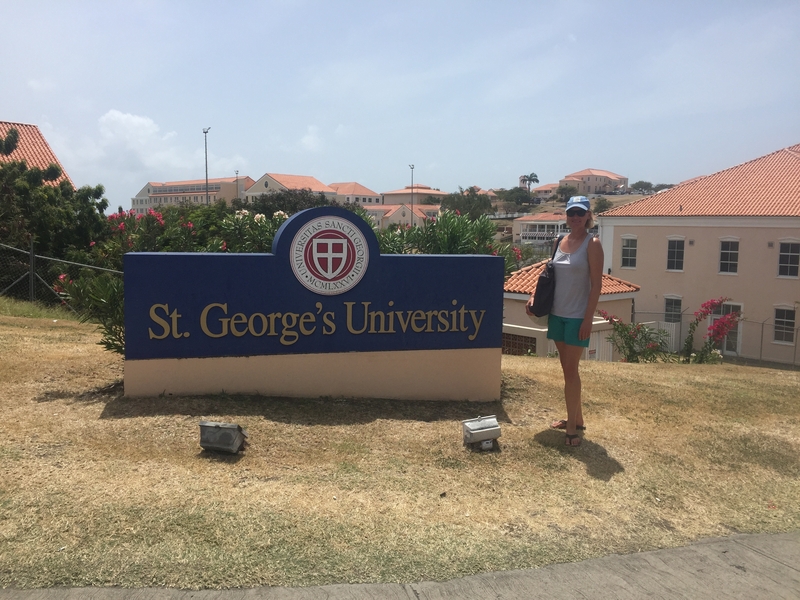 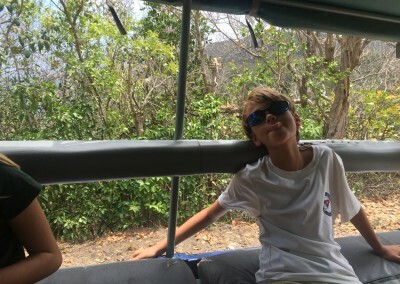 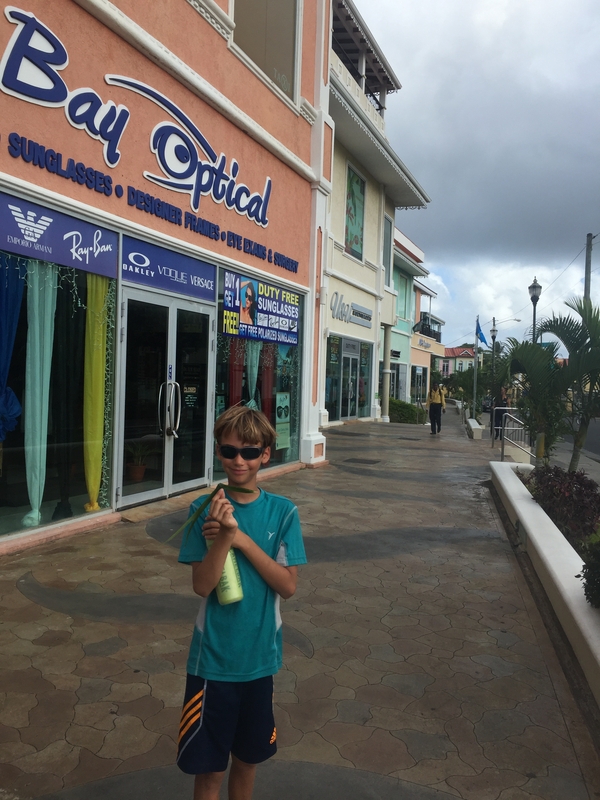 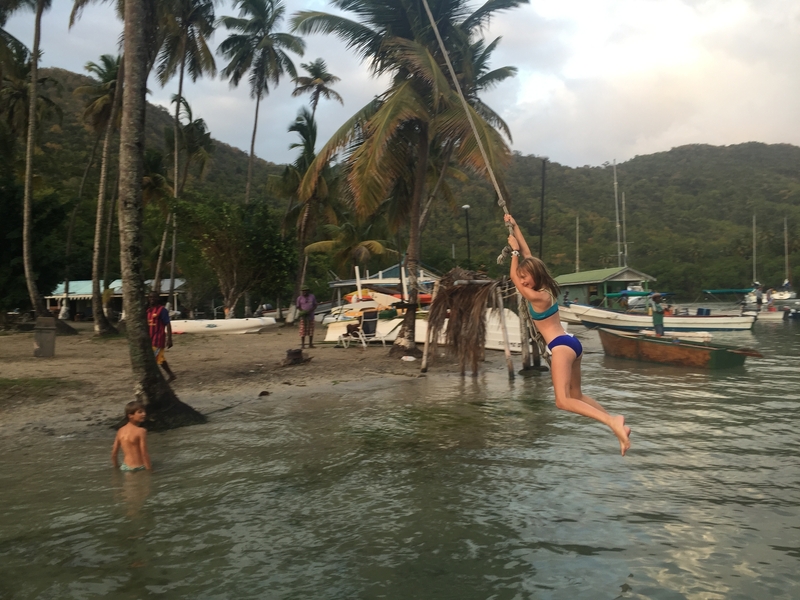 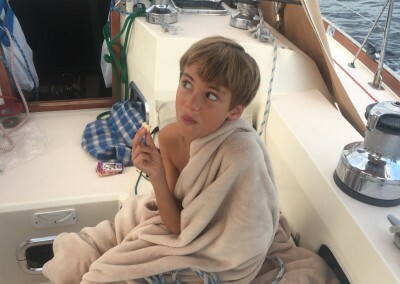 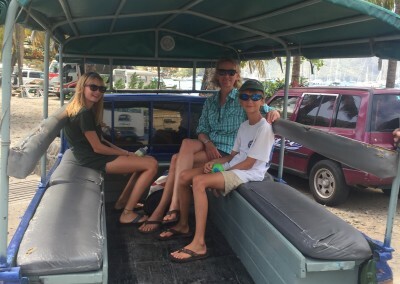 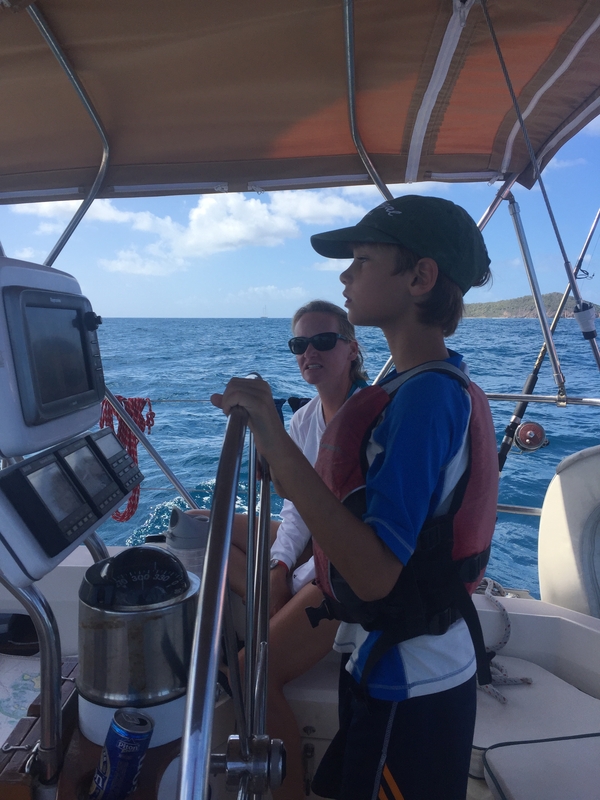 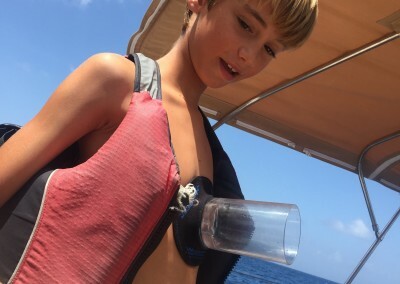 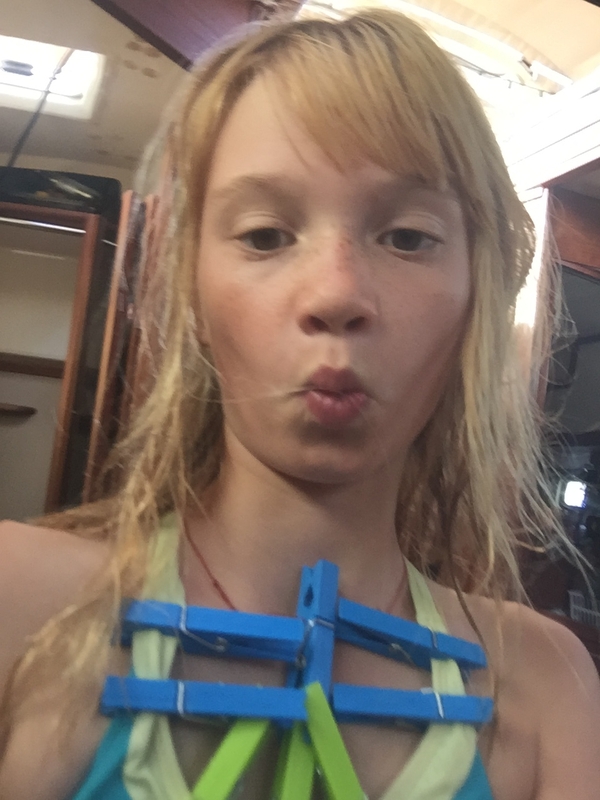 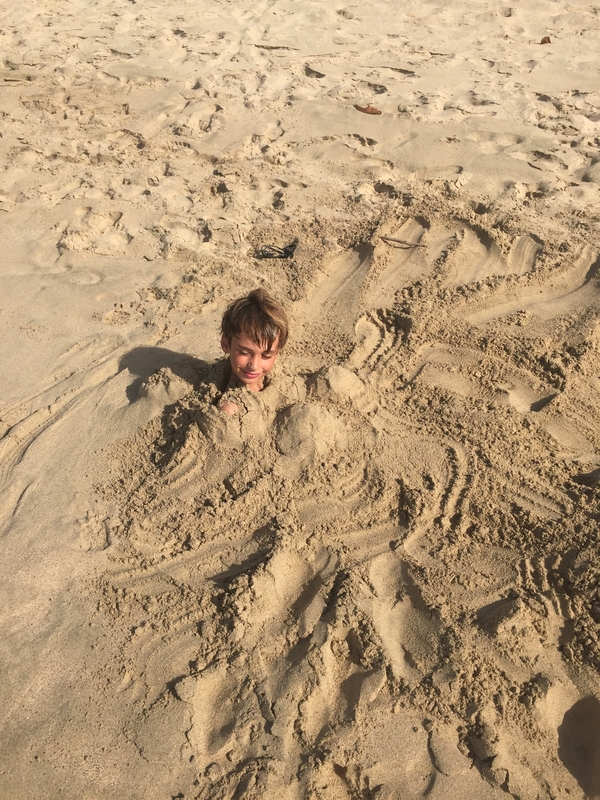 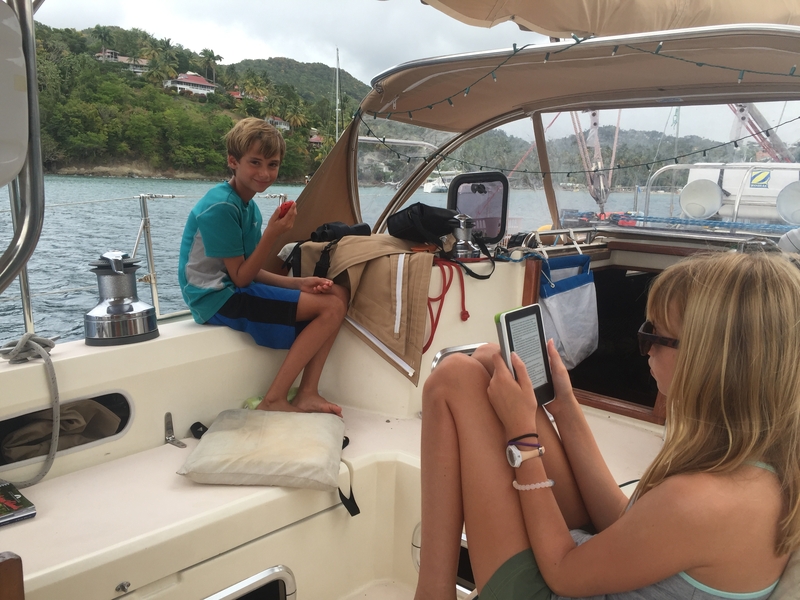 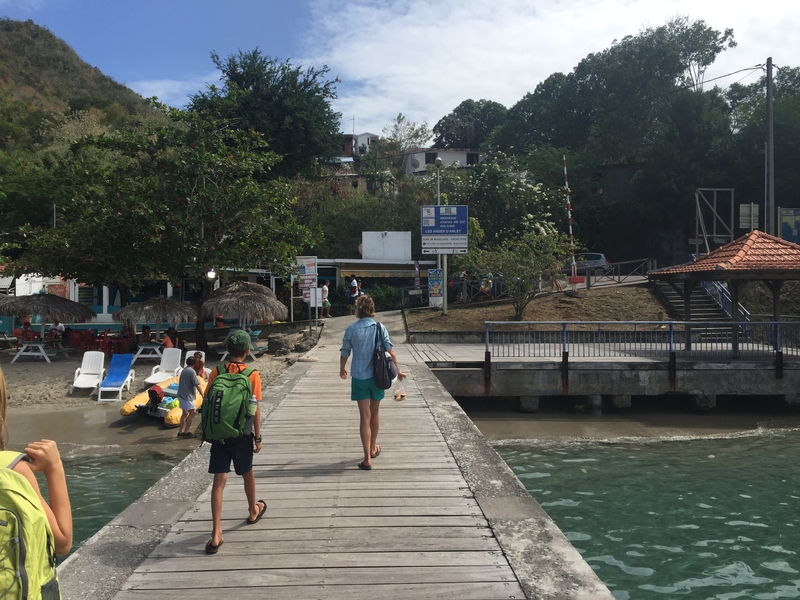 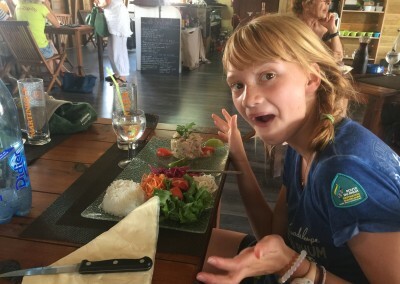 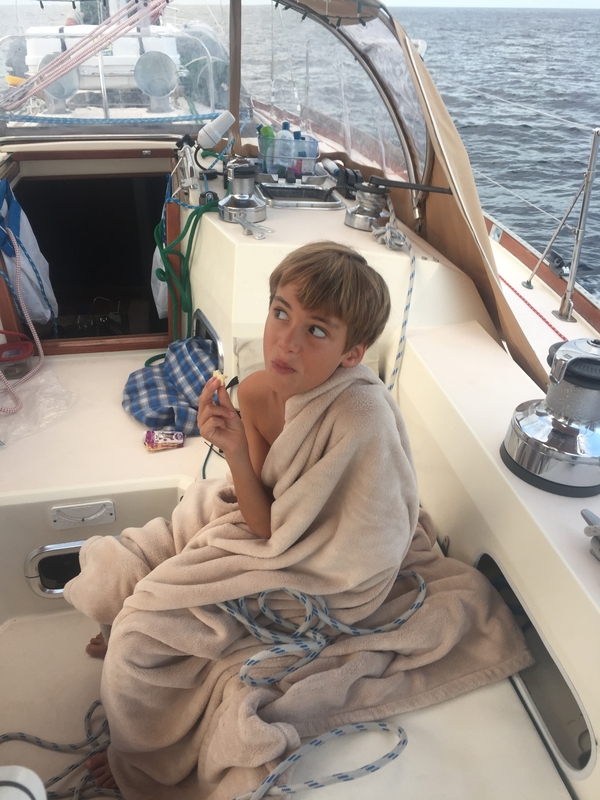 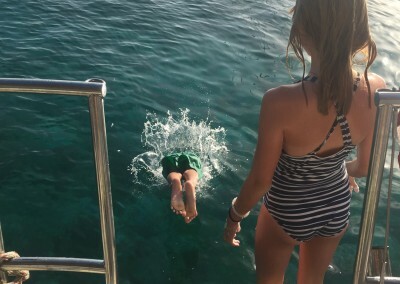 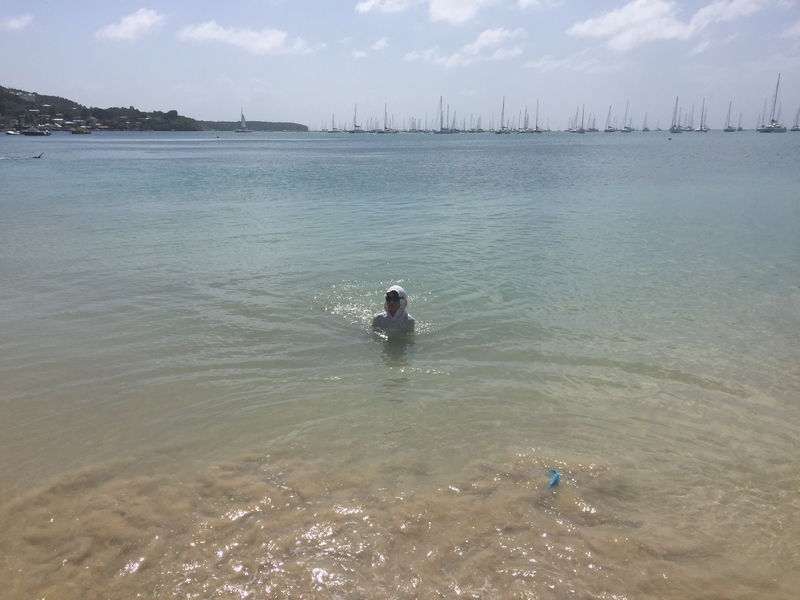 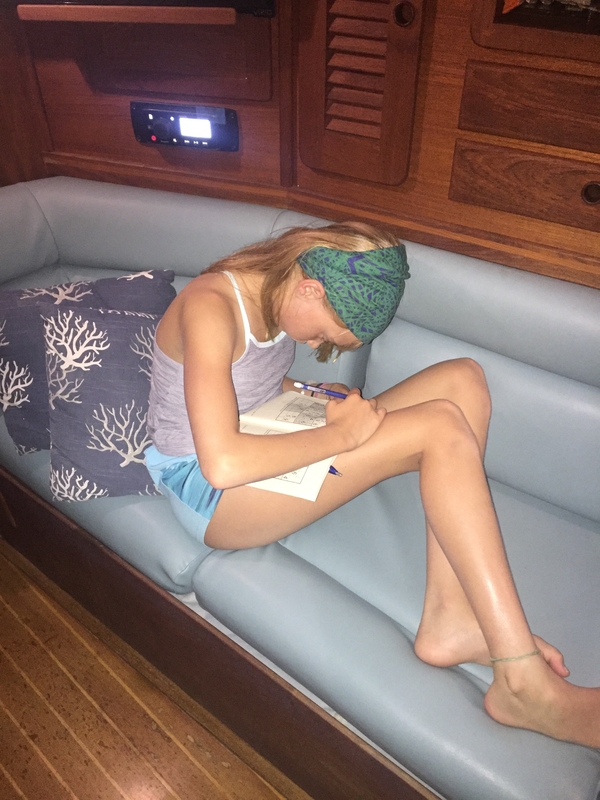 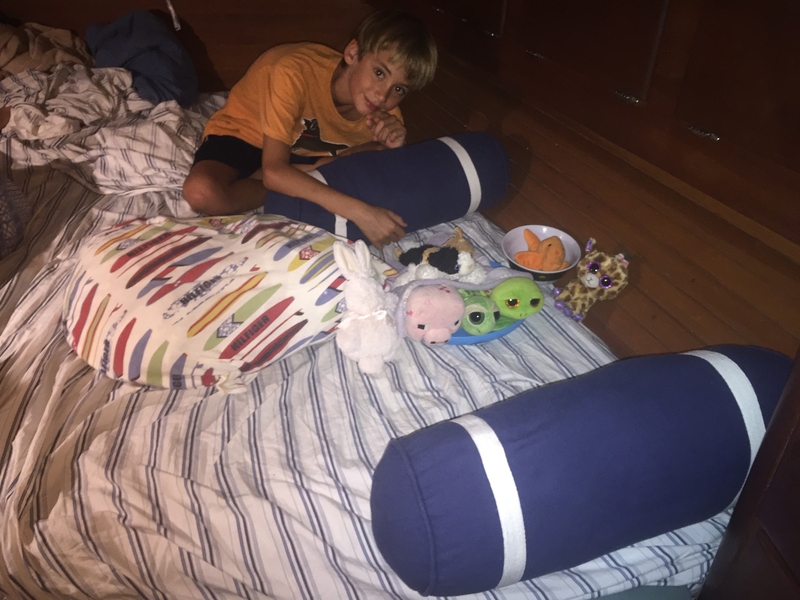 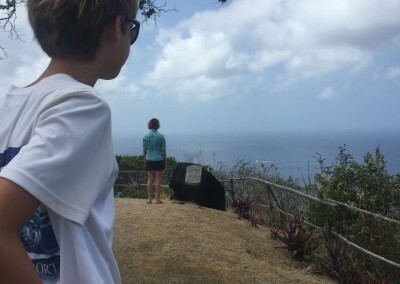 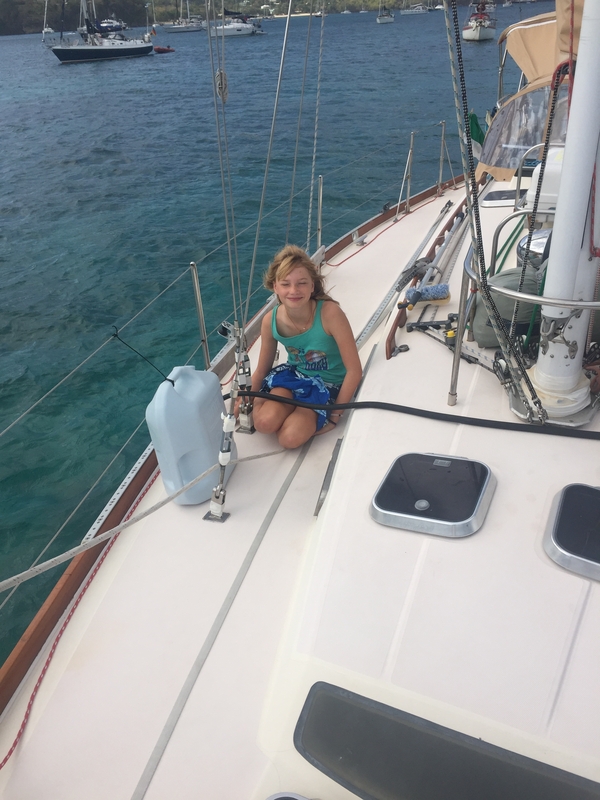 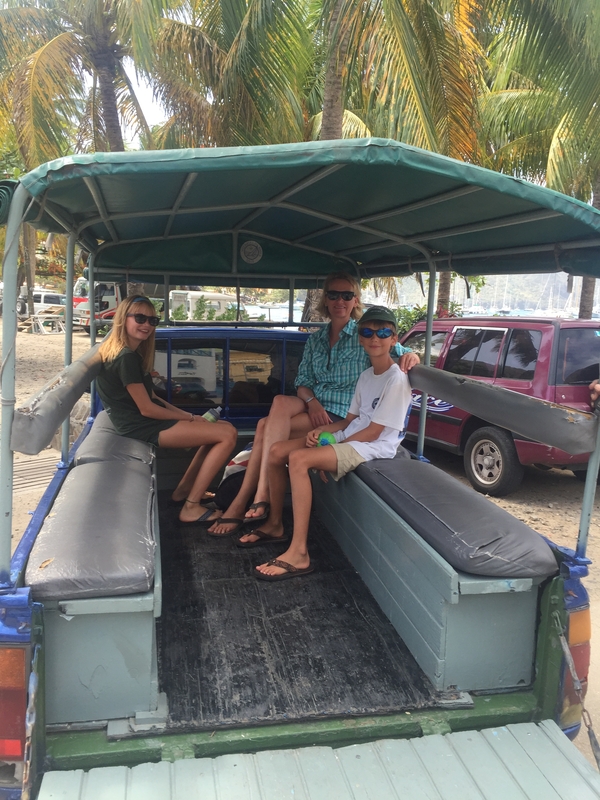 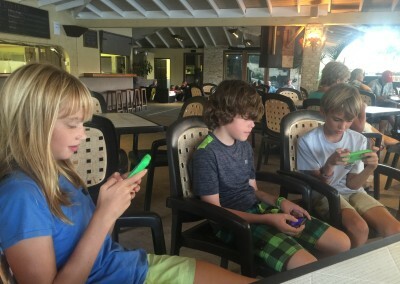 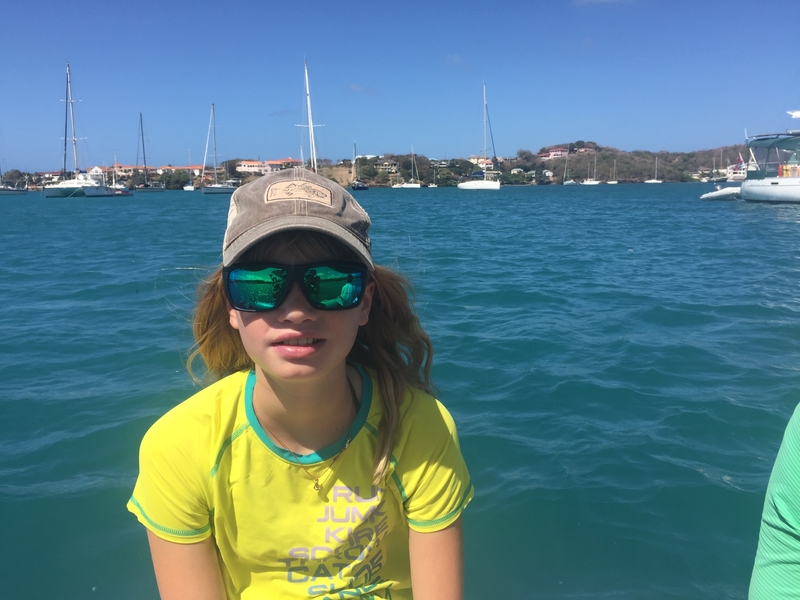 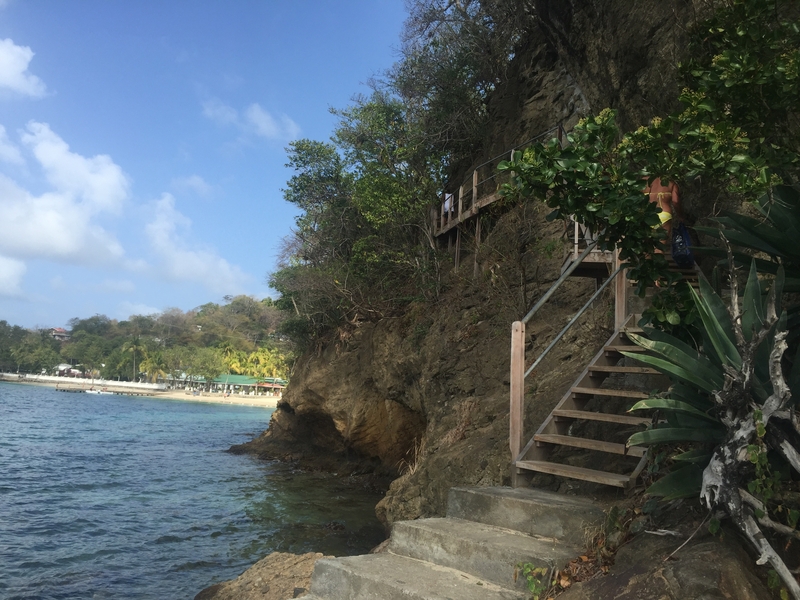 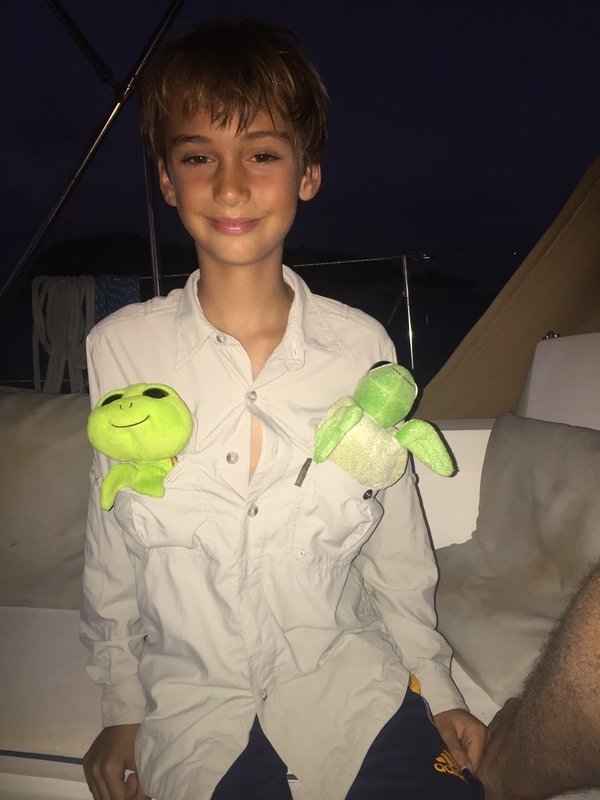 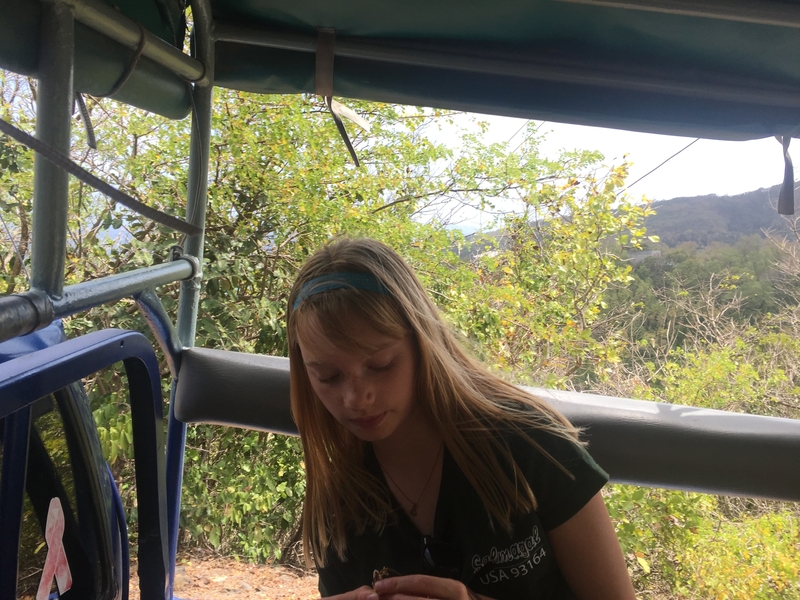 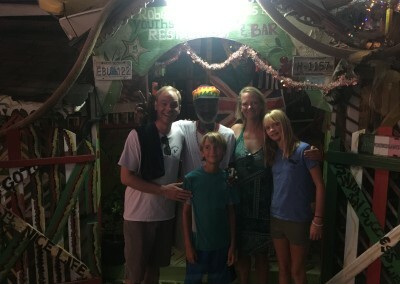 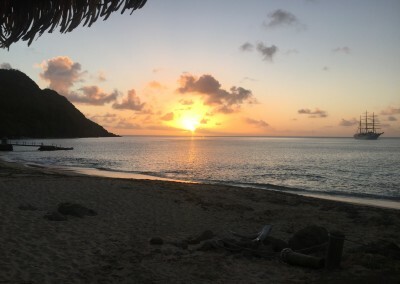 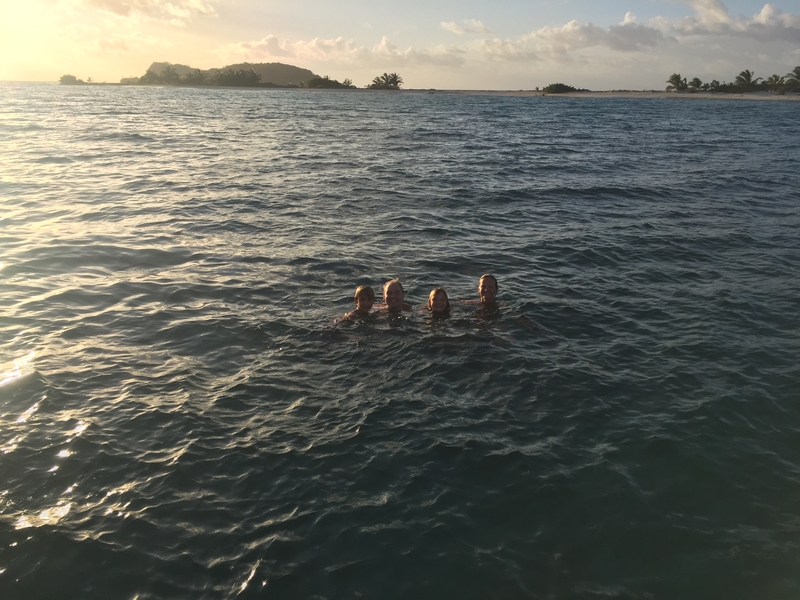 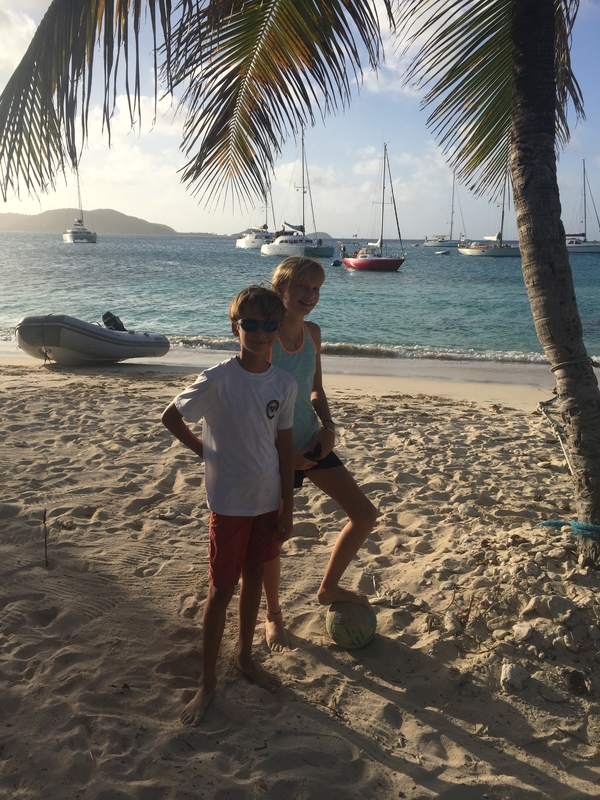 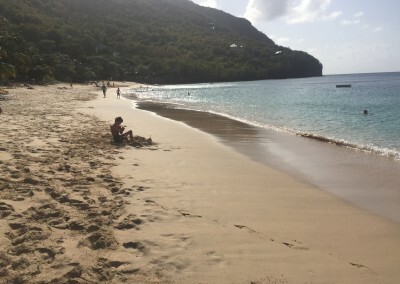 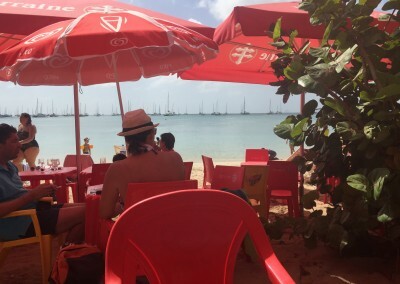 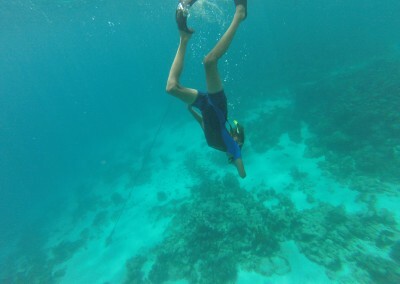 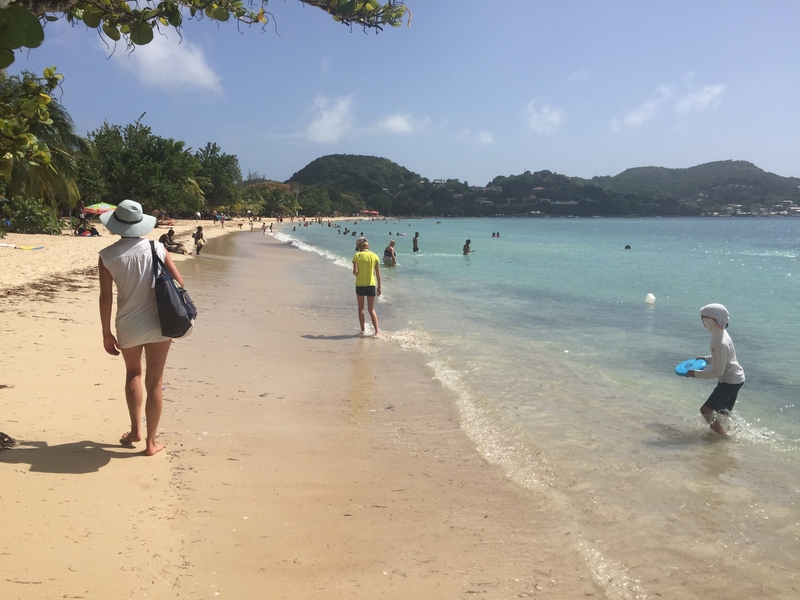 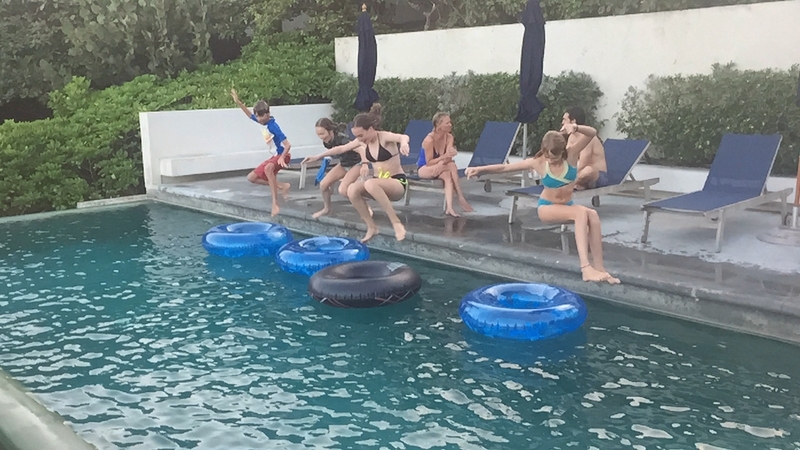 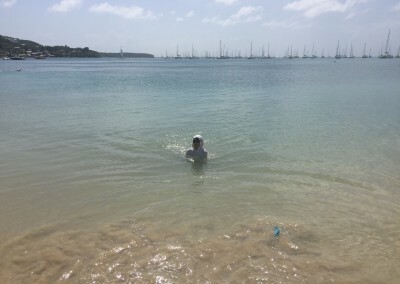 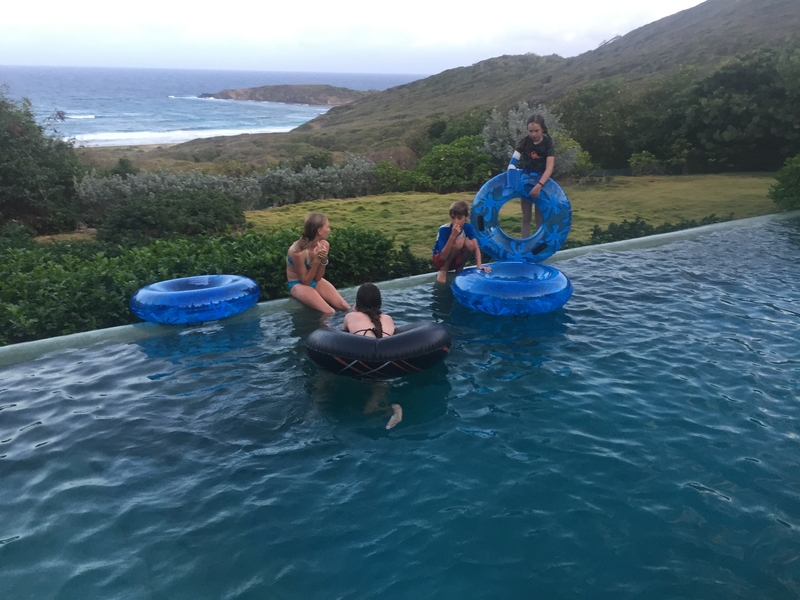 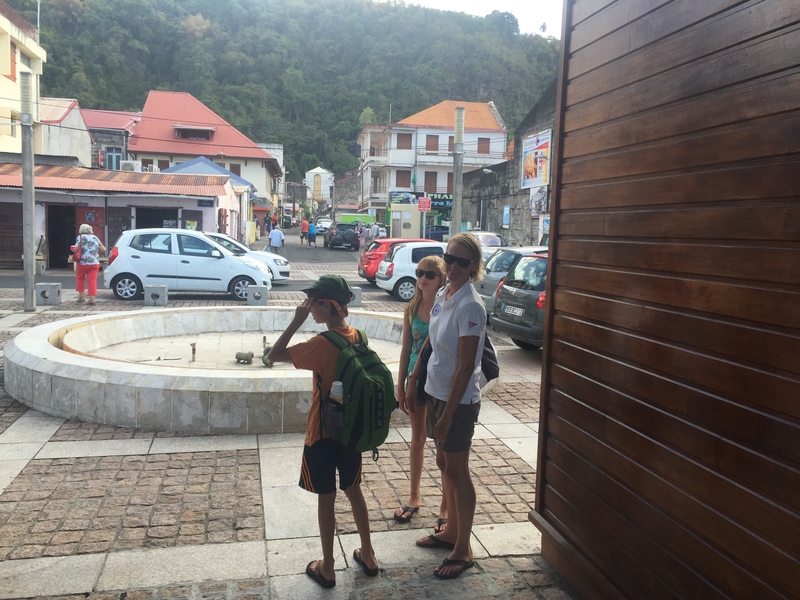 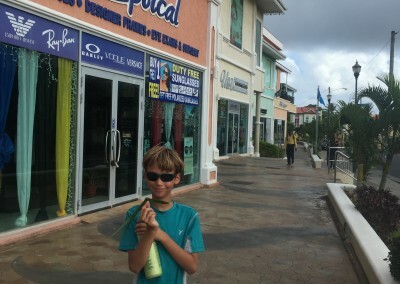 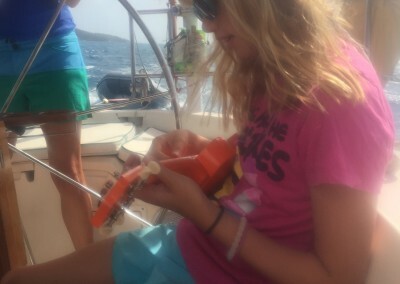 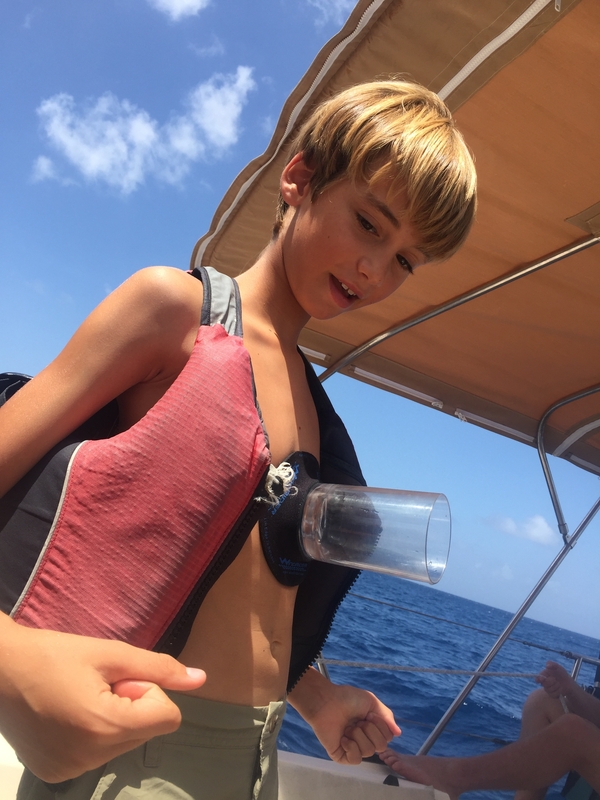 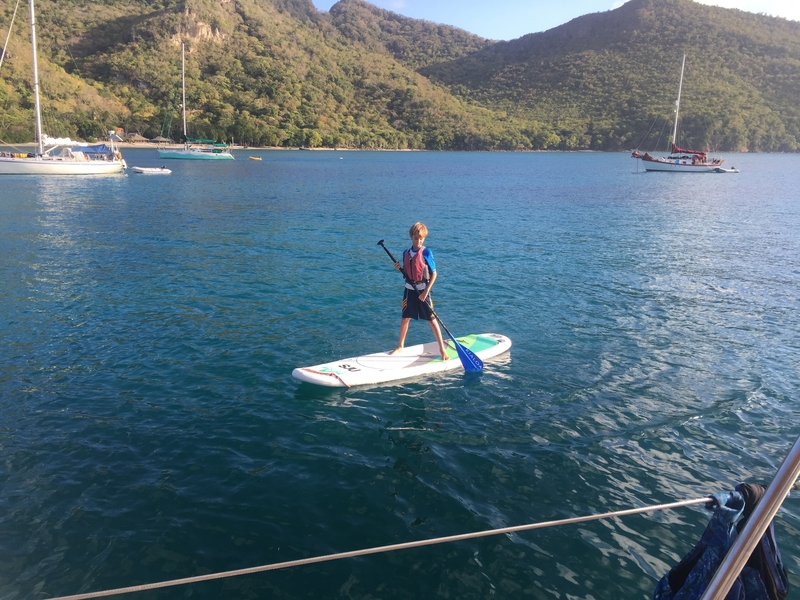 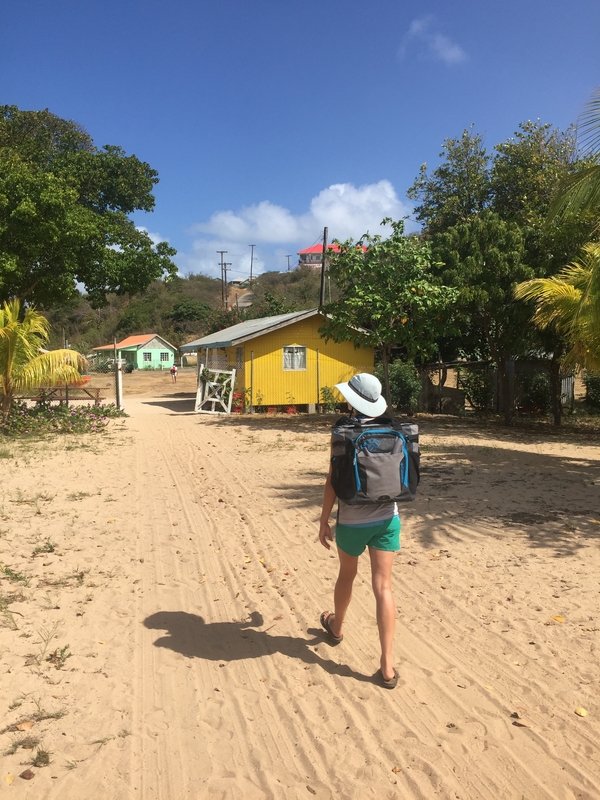 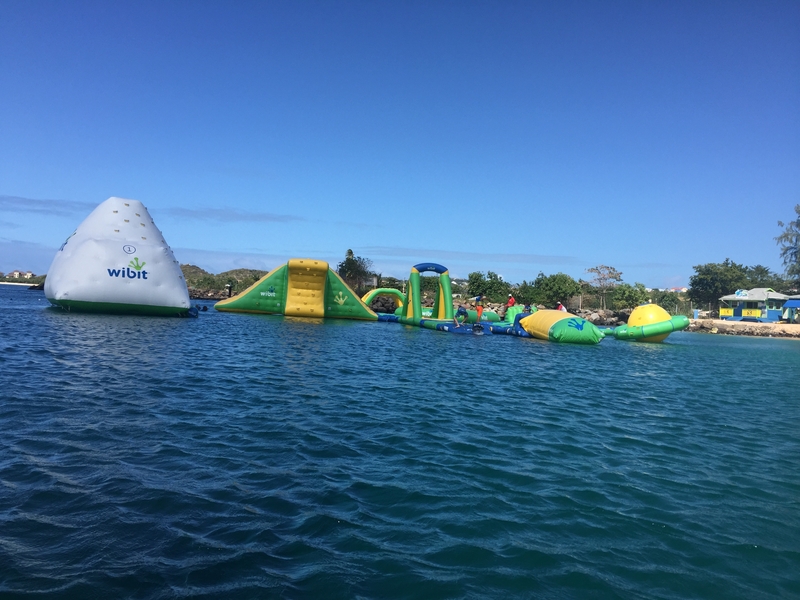 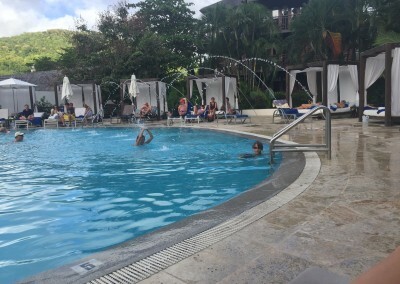 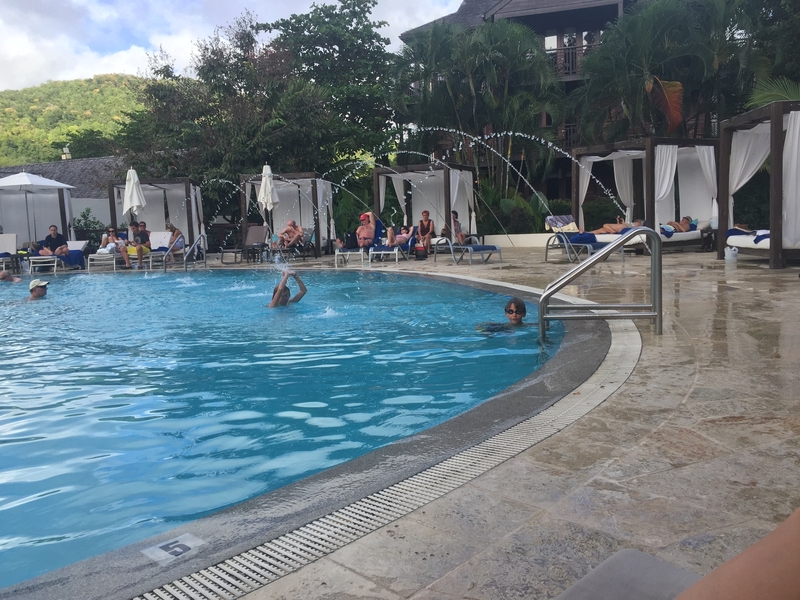 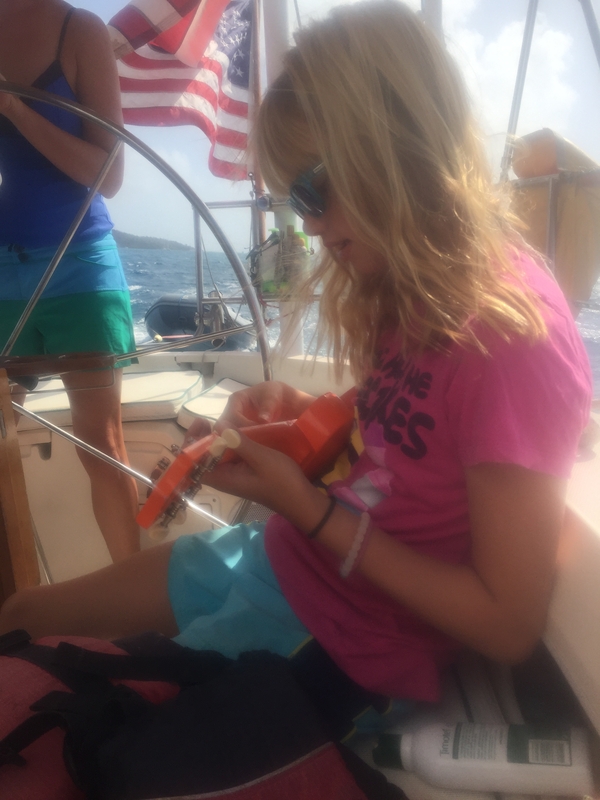 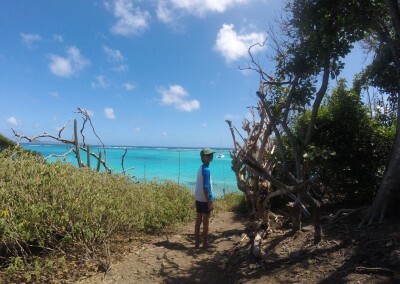 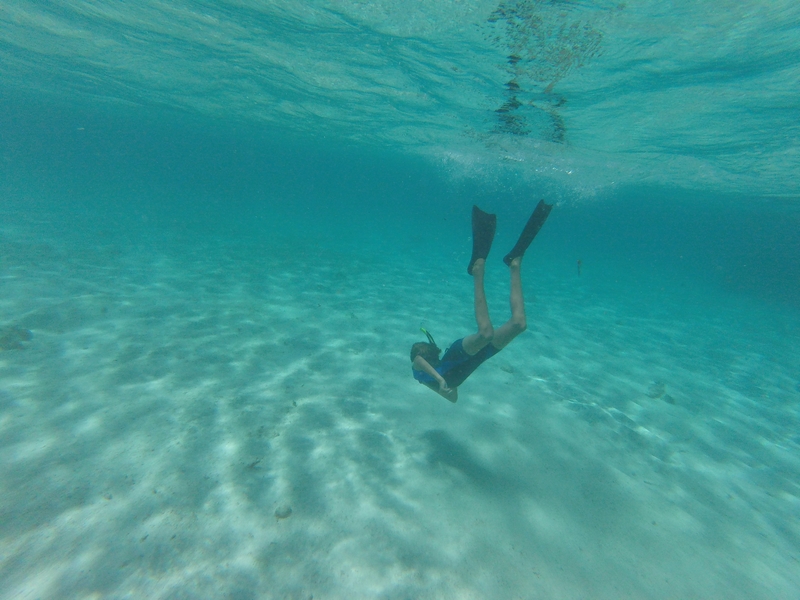 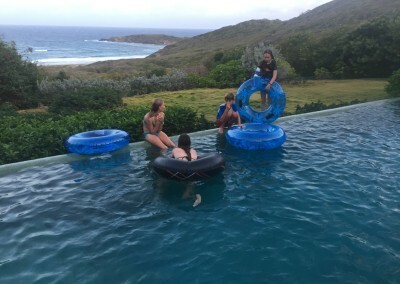 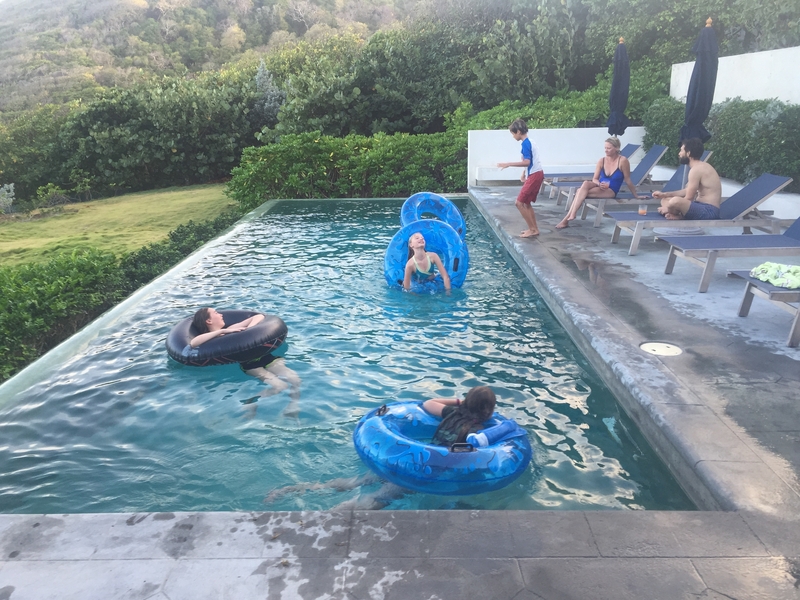 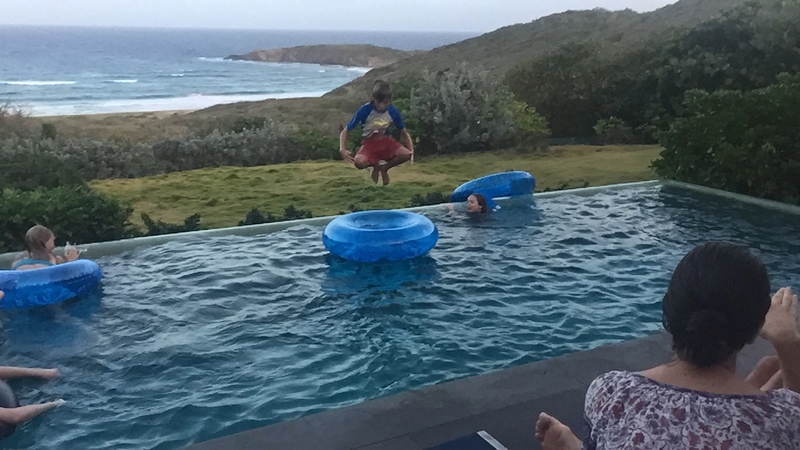 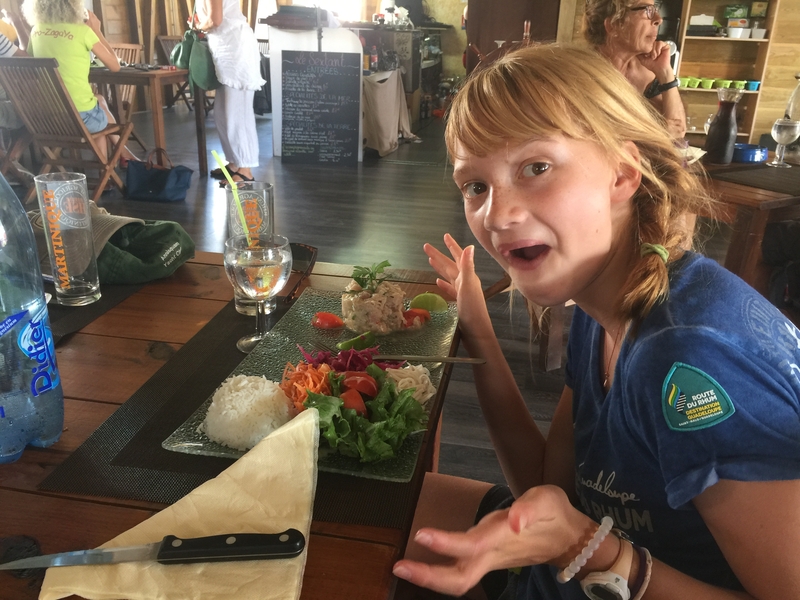 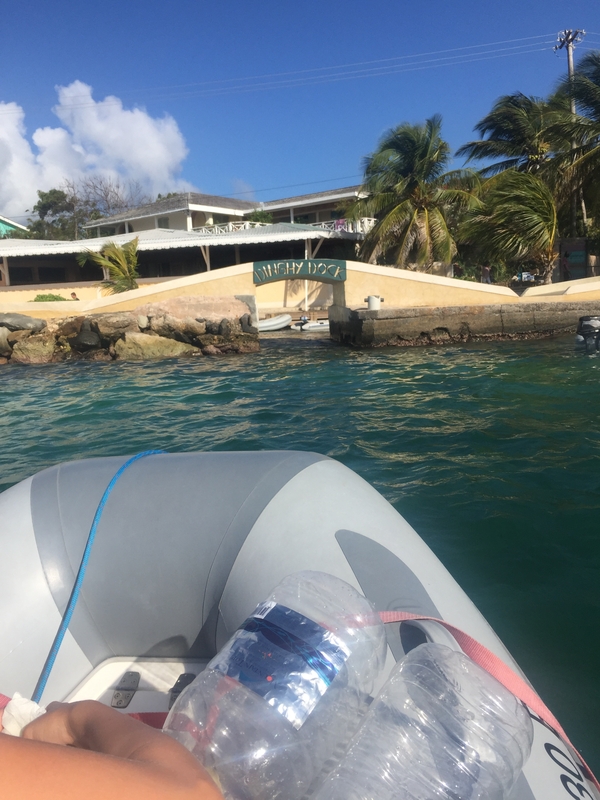 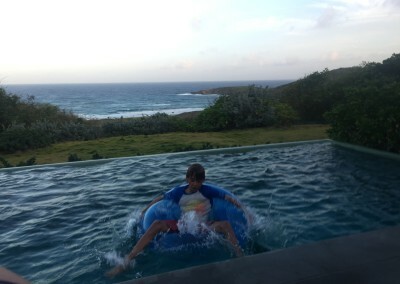 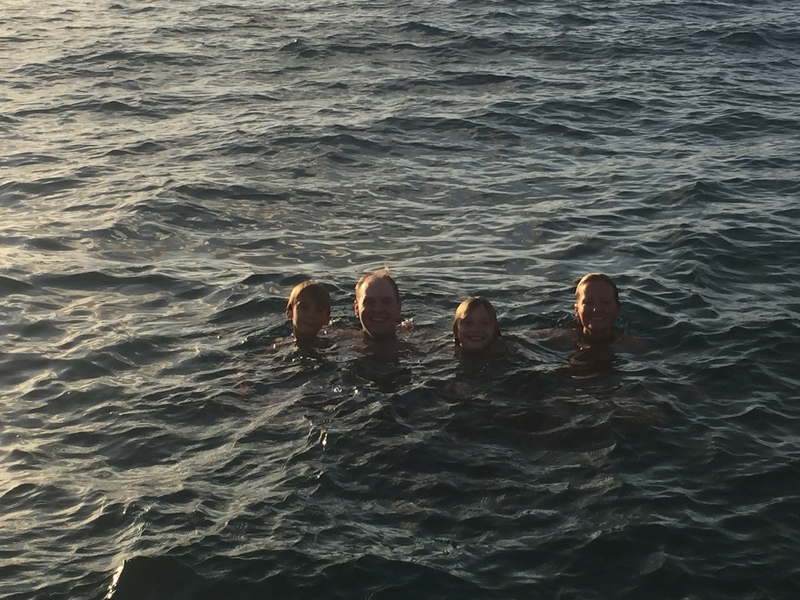 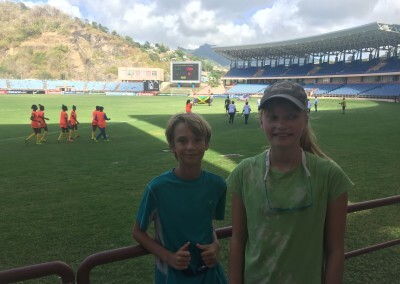 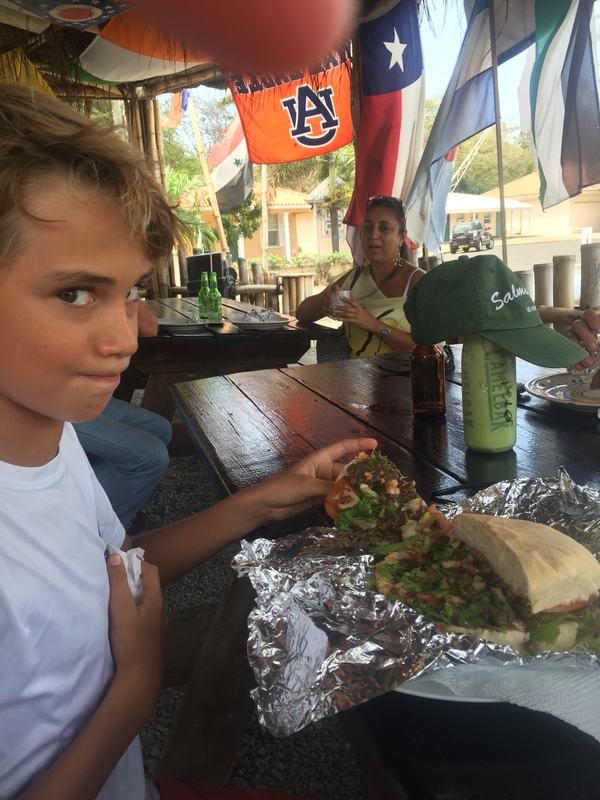 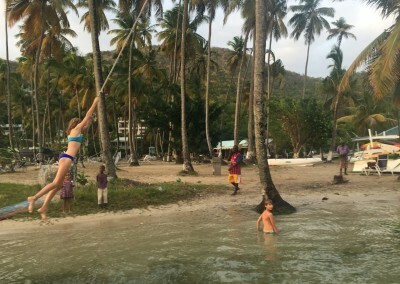 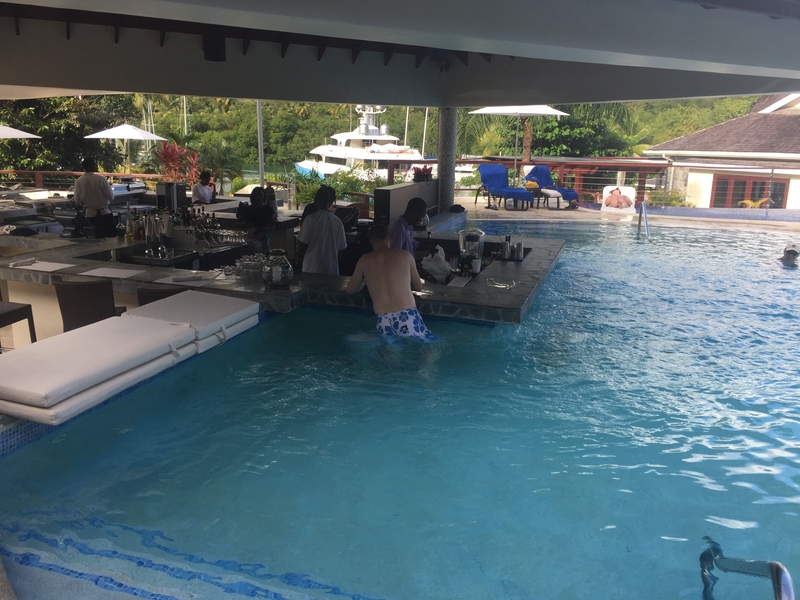 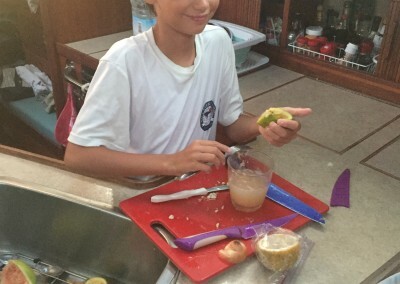 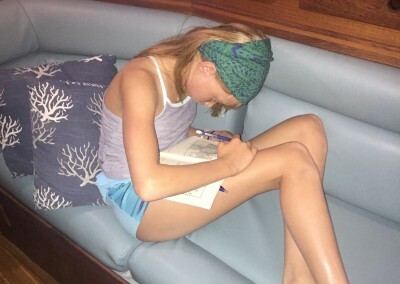 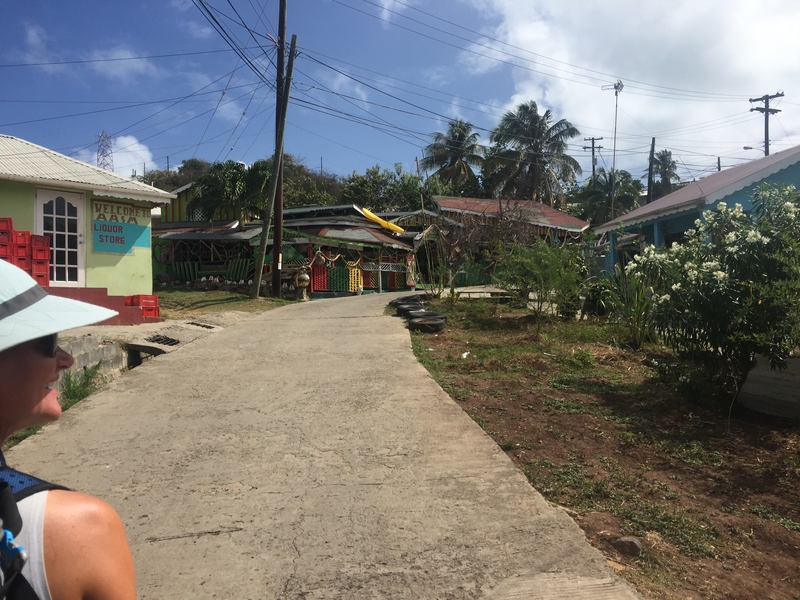 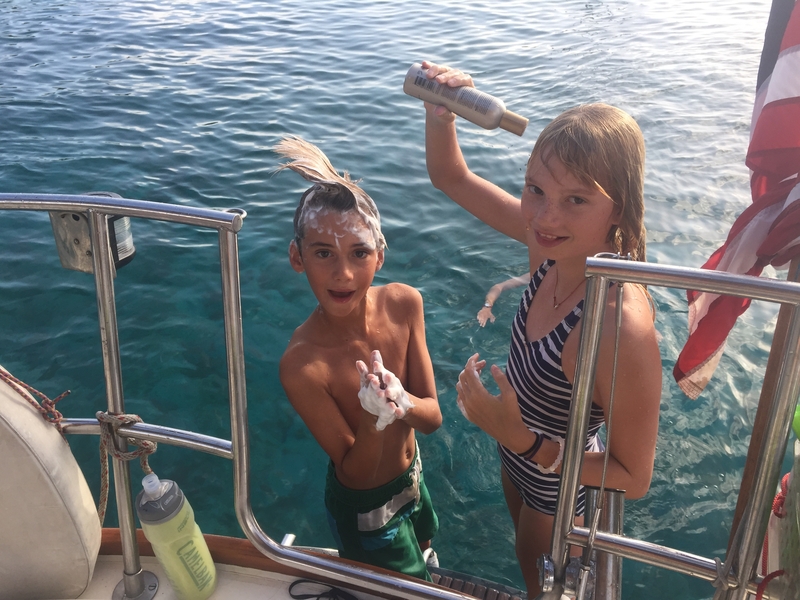 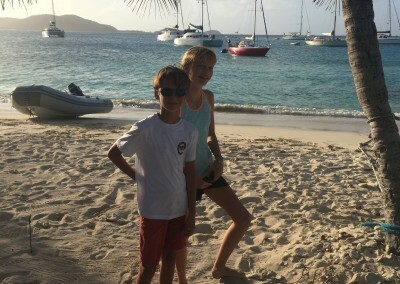 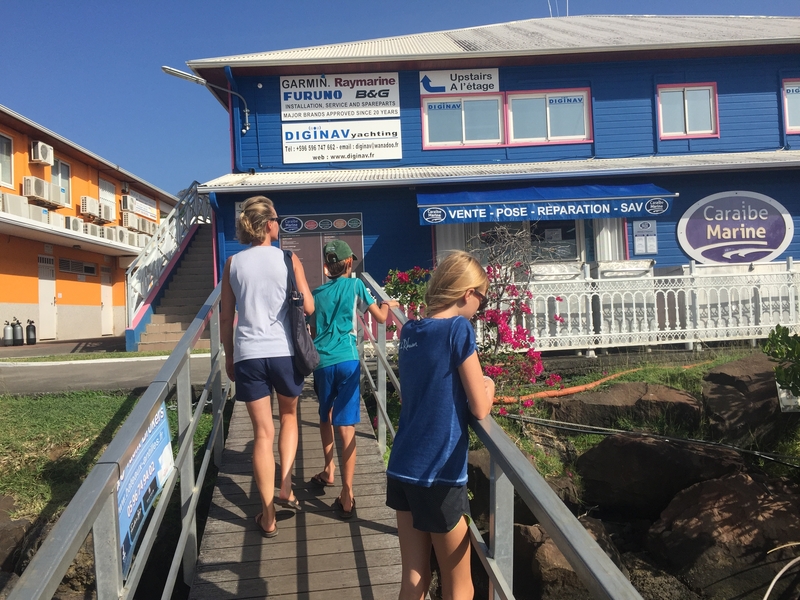 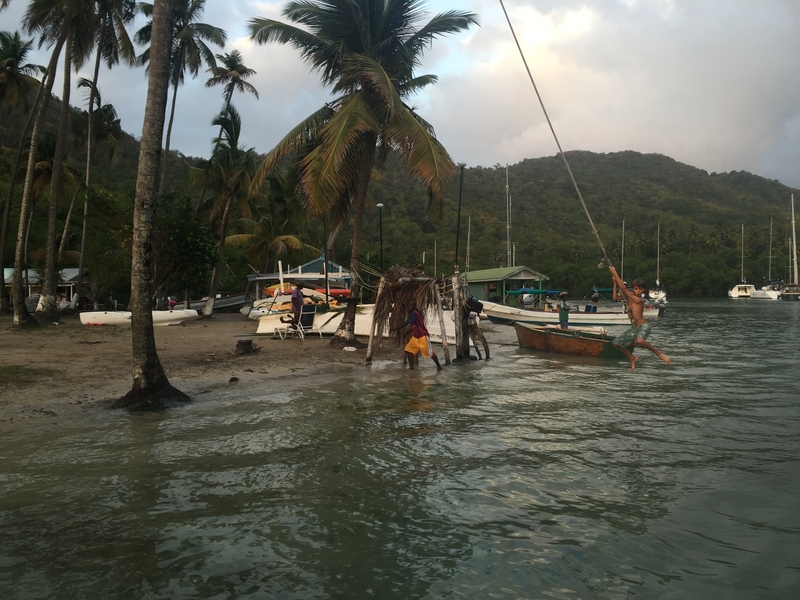 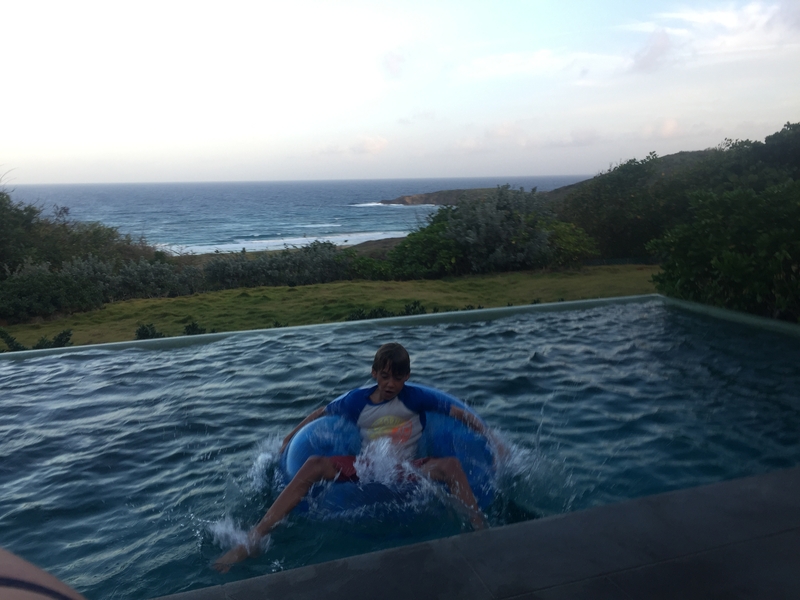 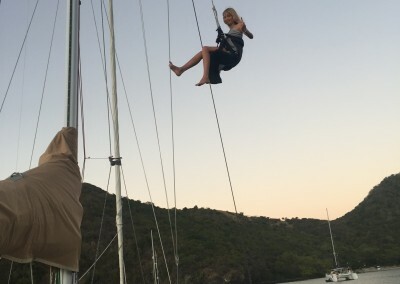 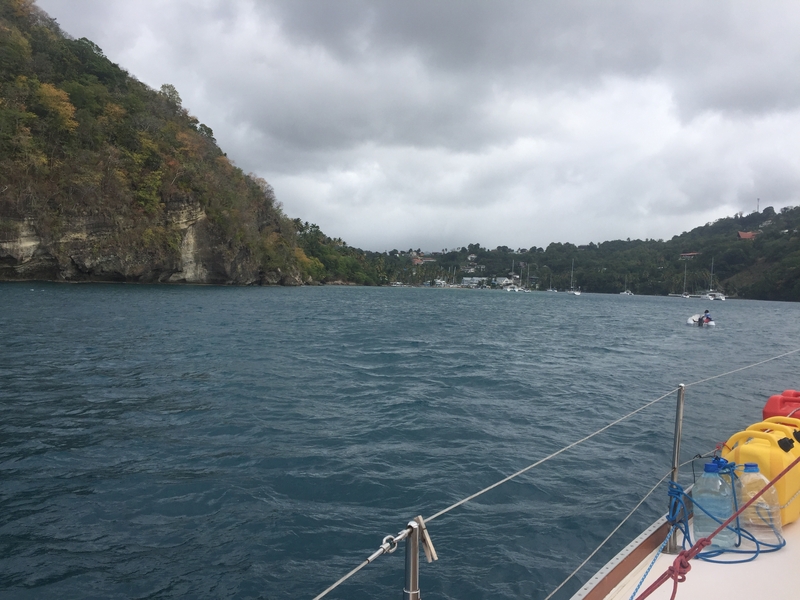 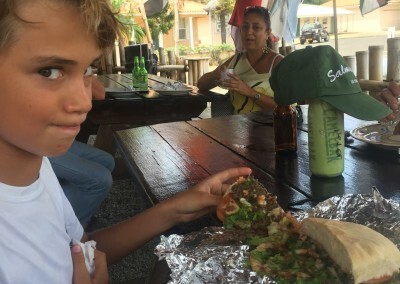 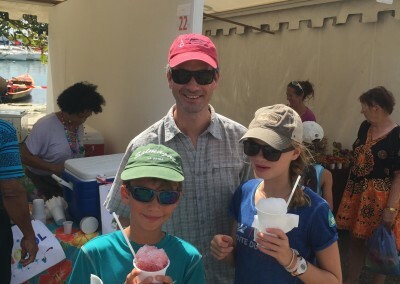 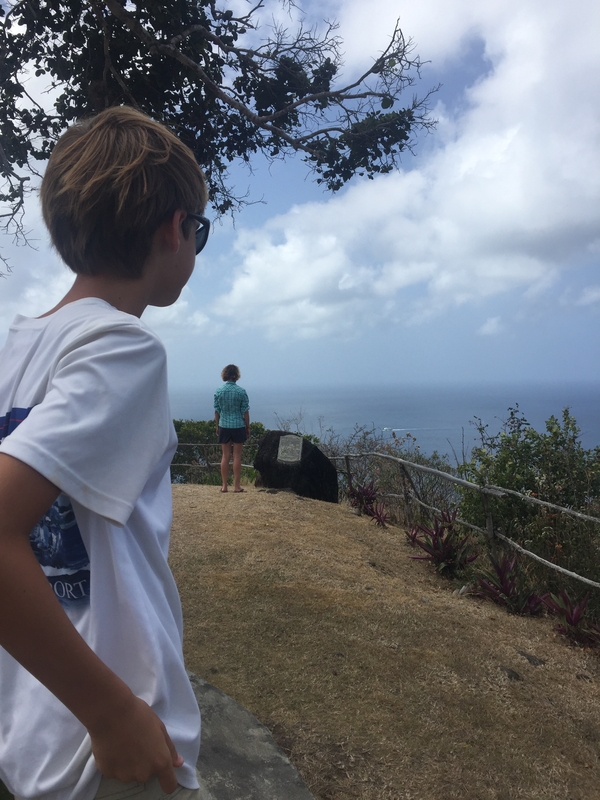 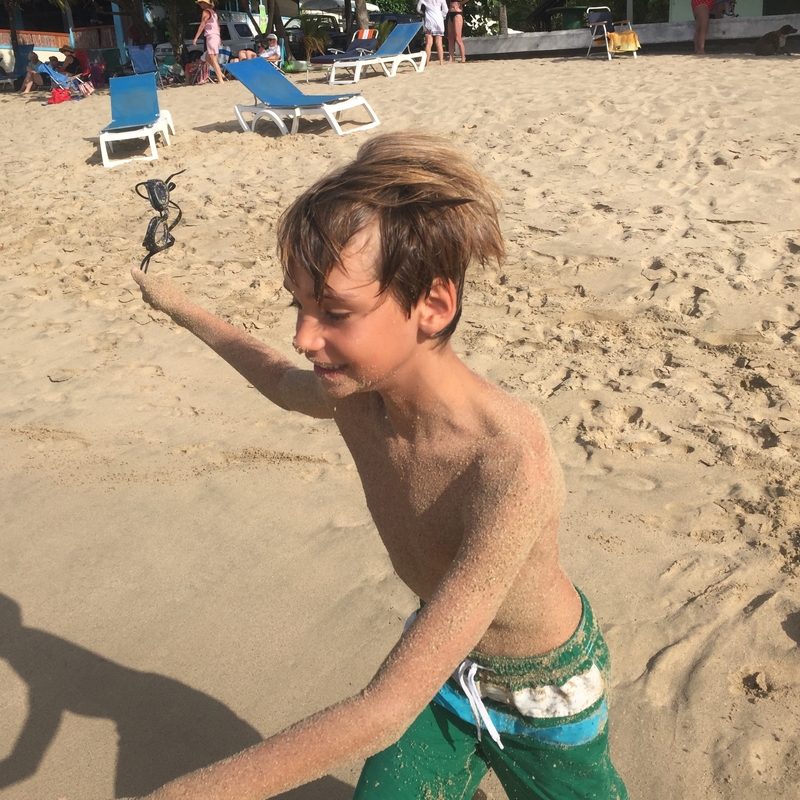 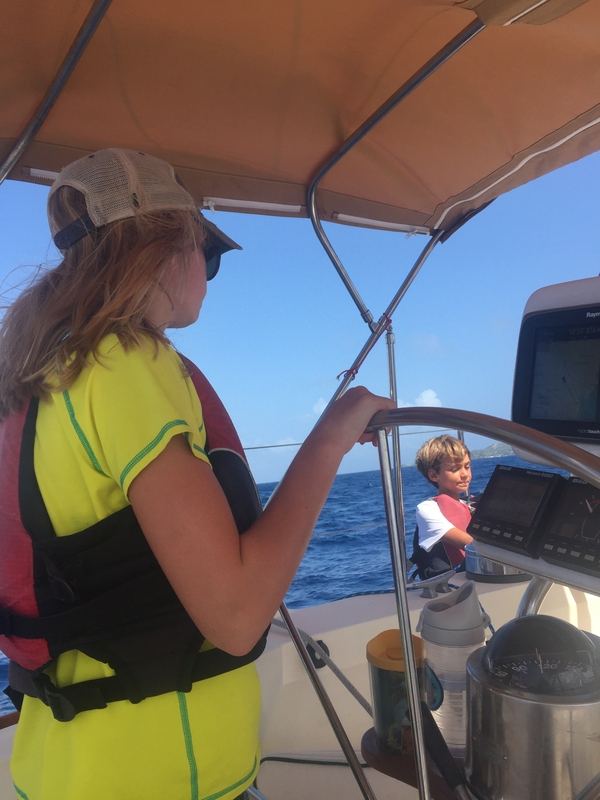 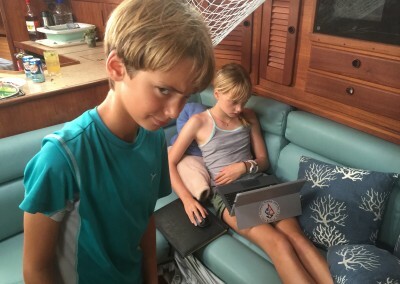 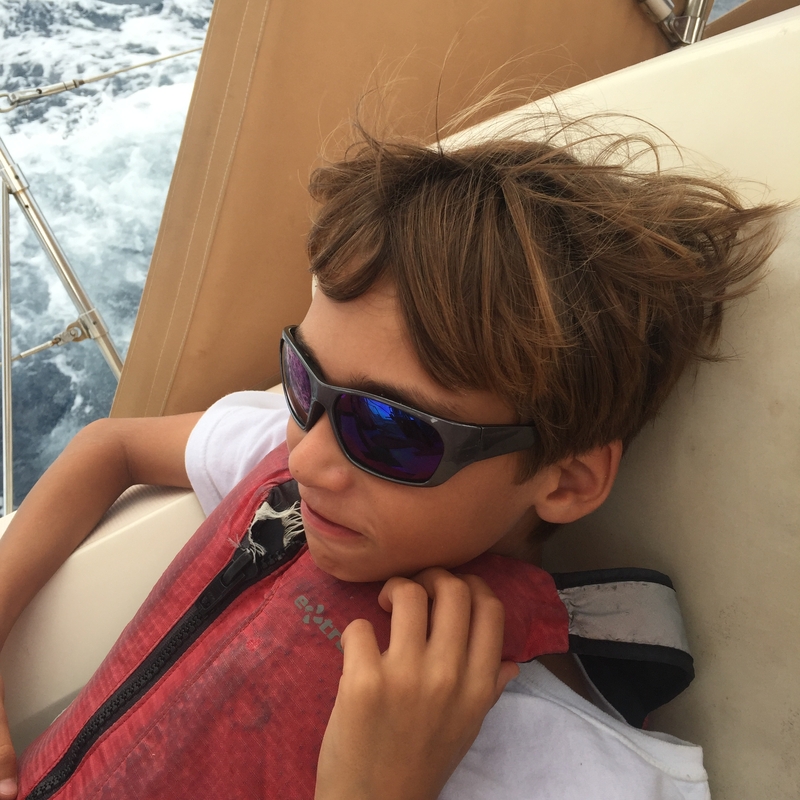 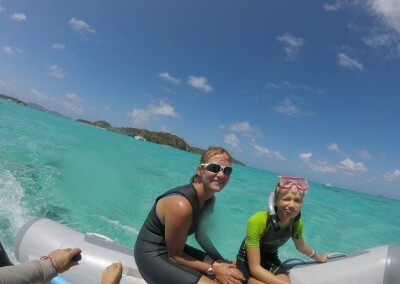 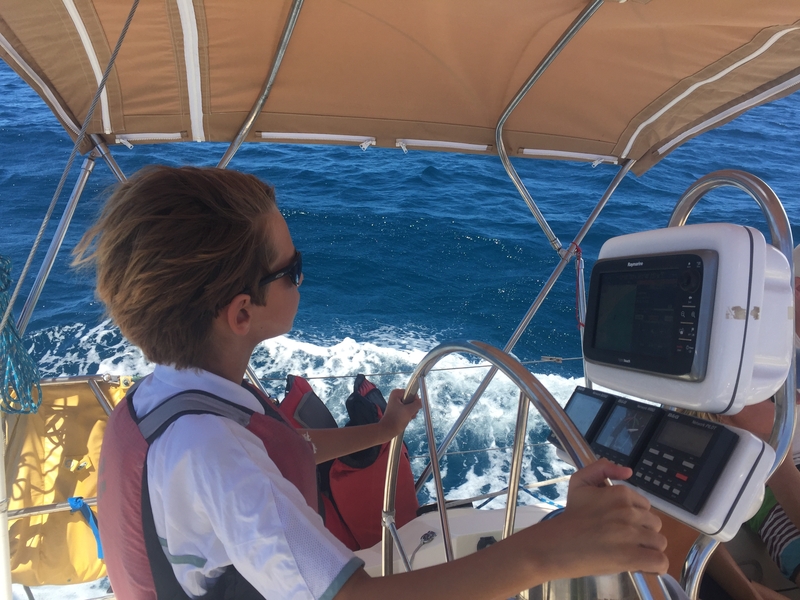 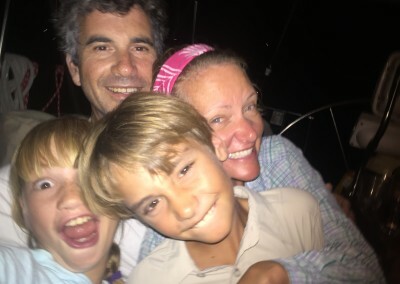 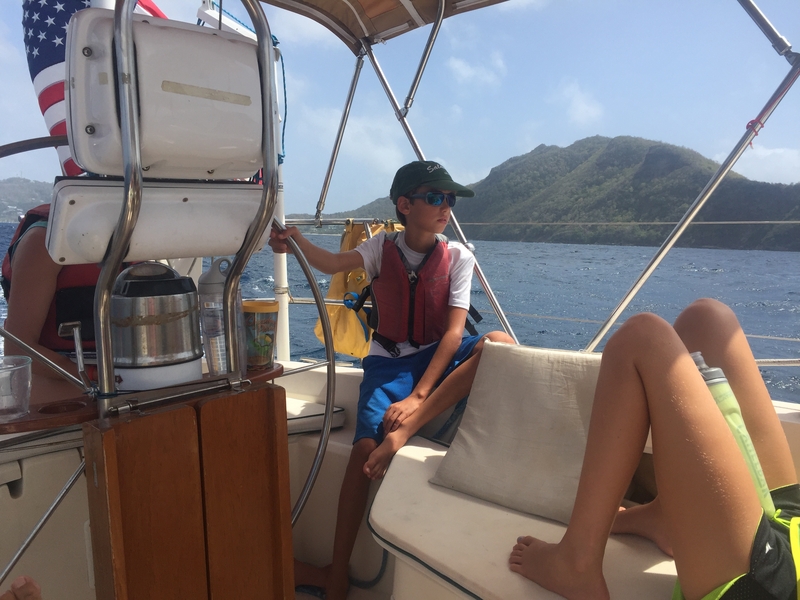 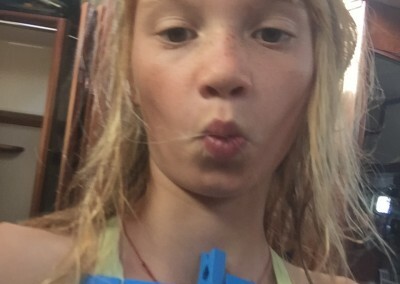 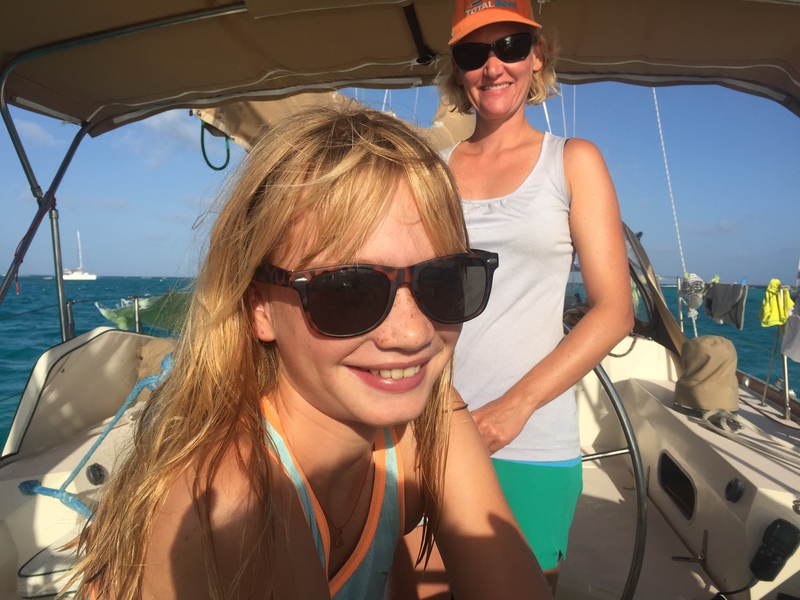 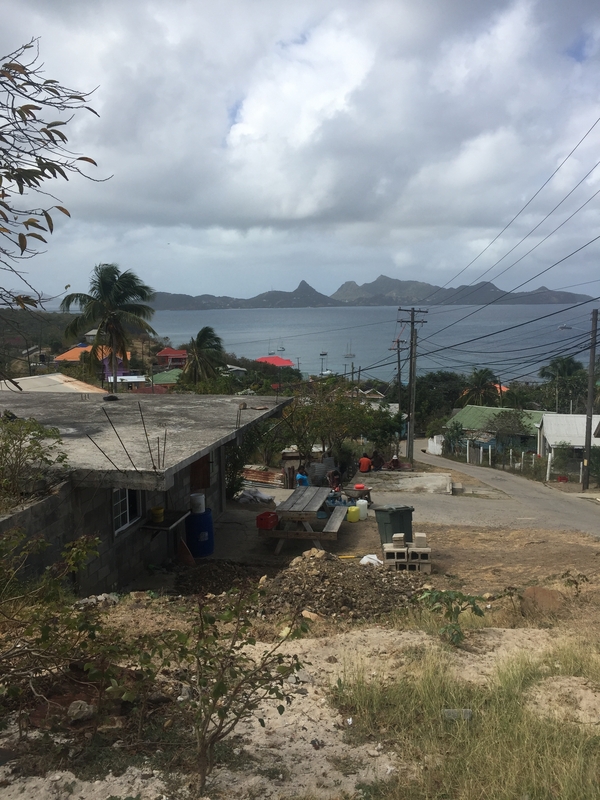 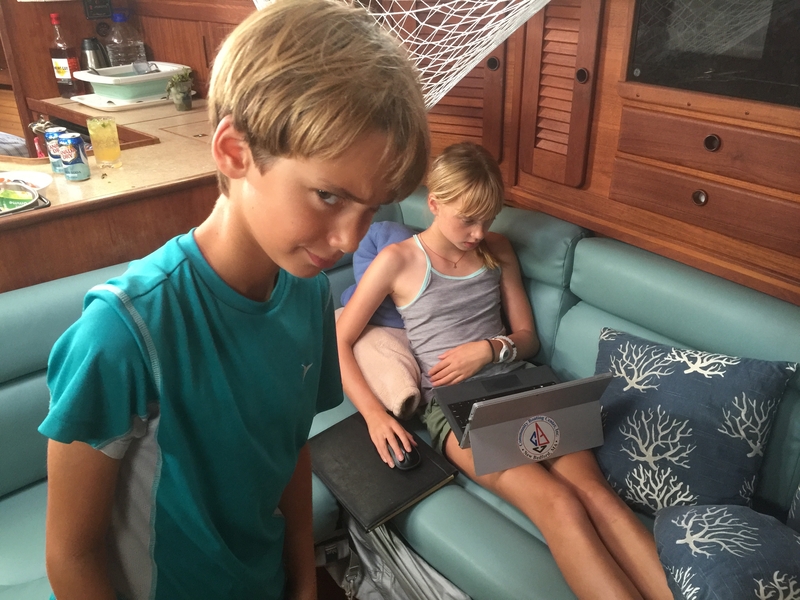 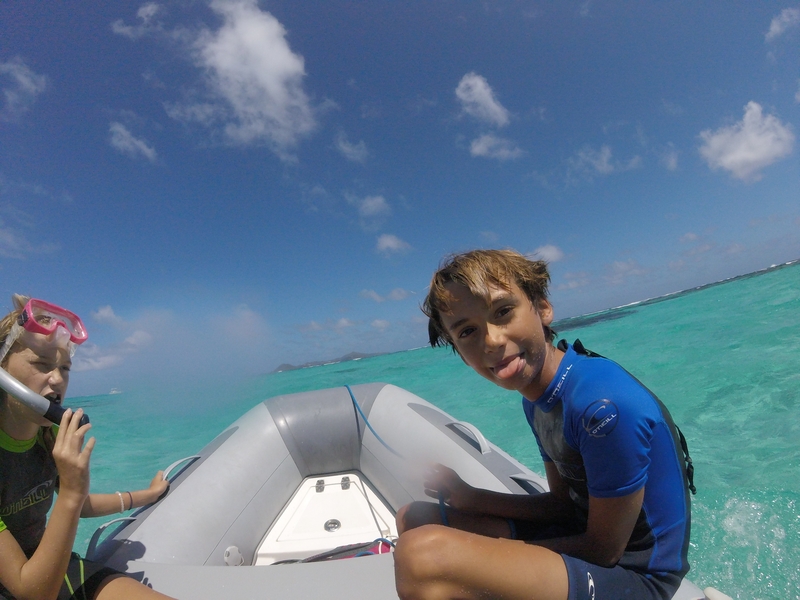 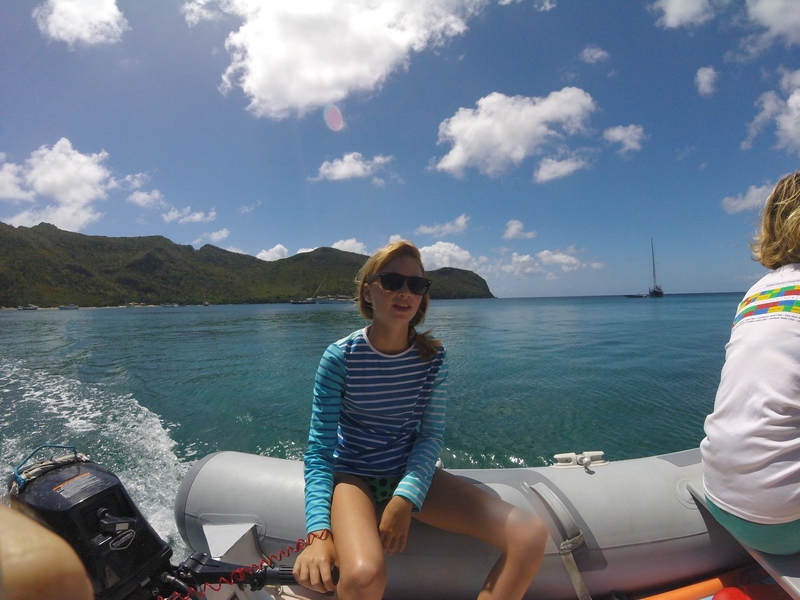 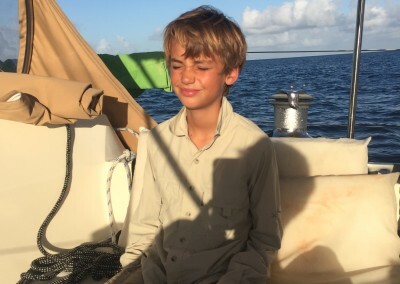 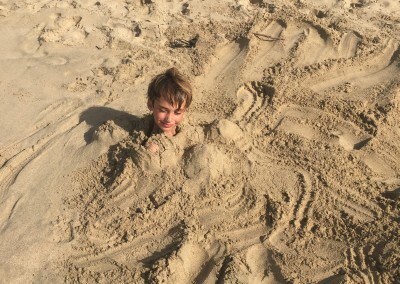 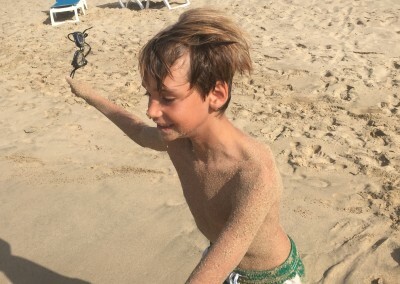 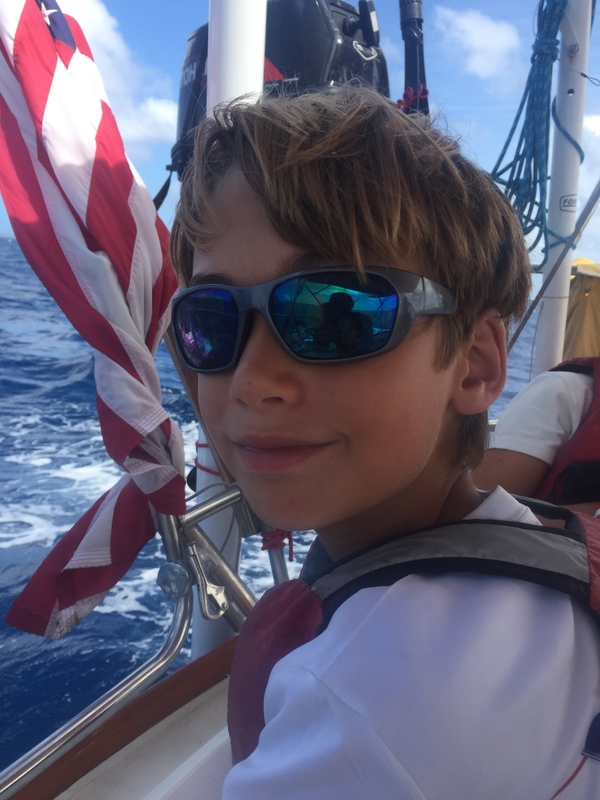 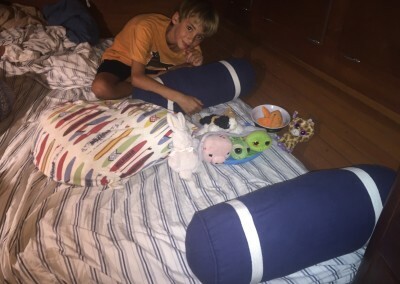 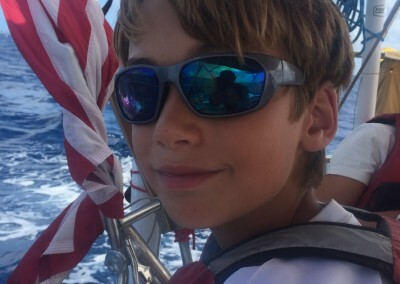 St Lucia, Rodney Bay and Marigot – blow up water parks, a trip to the dentist for Mira (don’t worry it was only a loose tooth), swinging from an amazing rope swing over the water, and meeting a look alike Sabre from Cohasset. 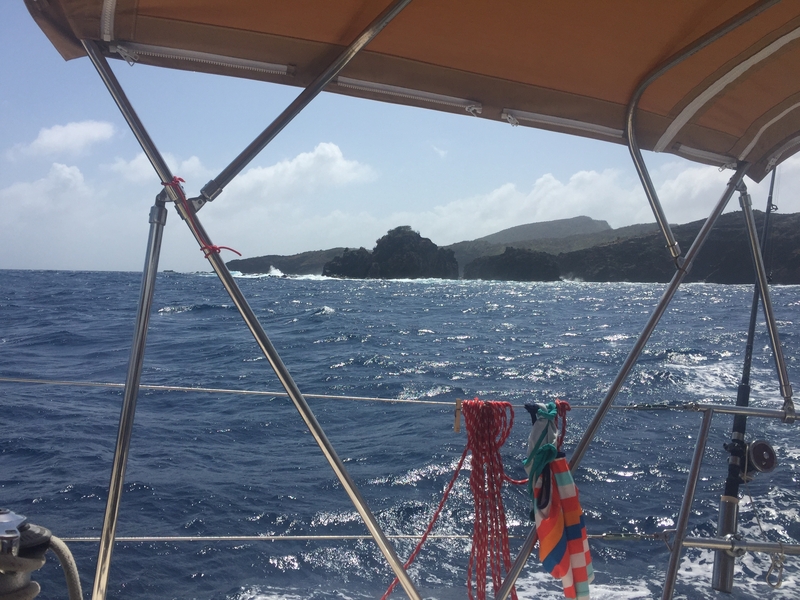 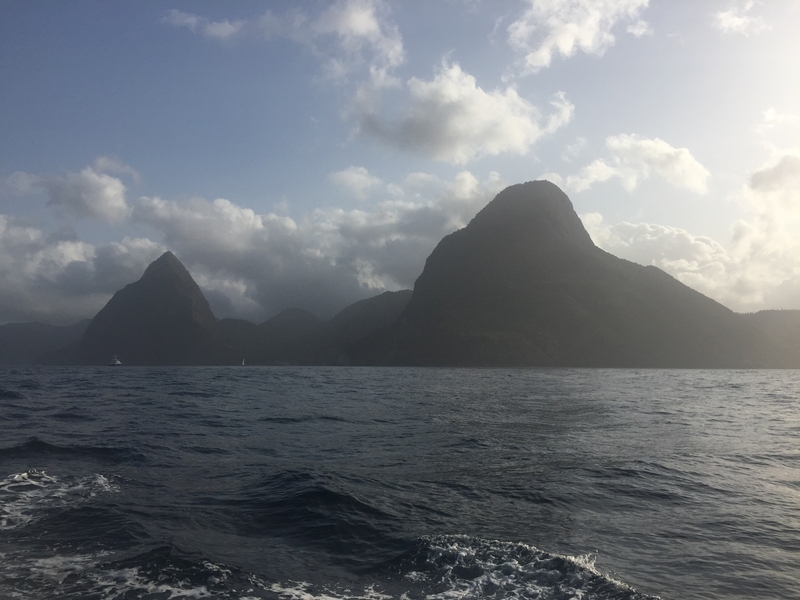 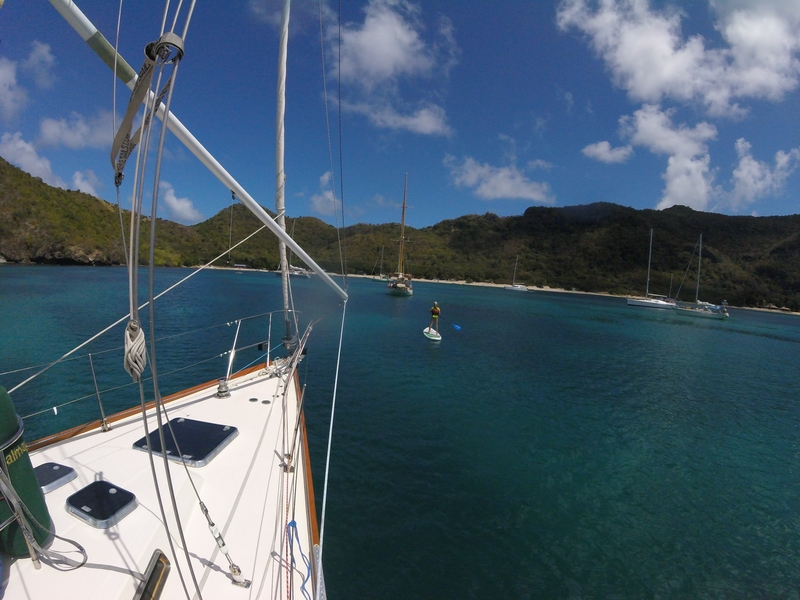 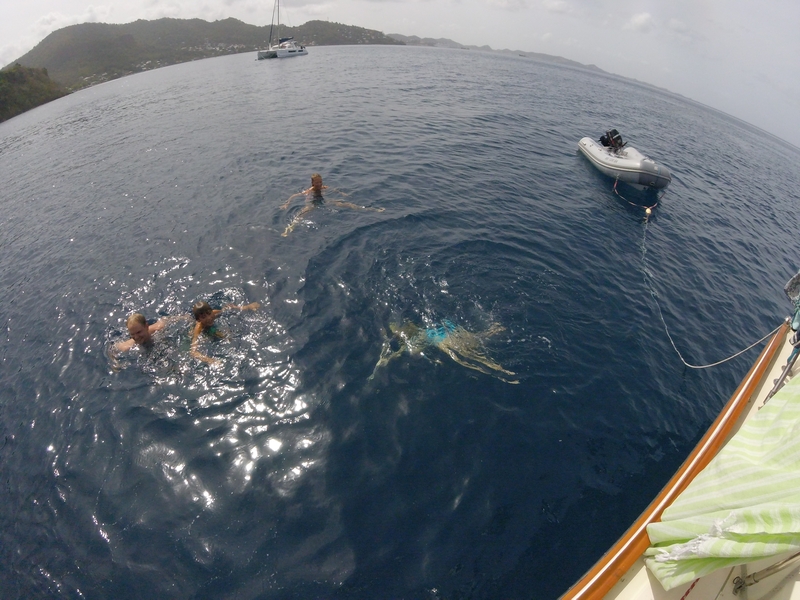 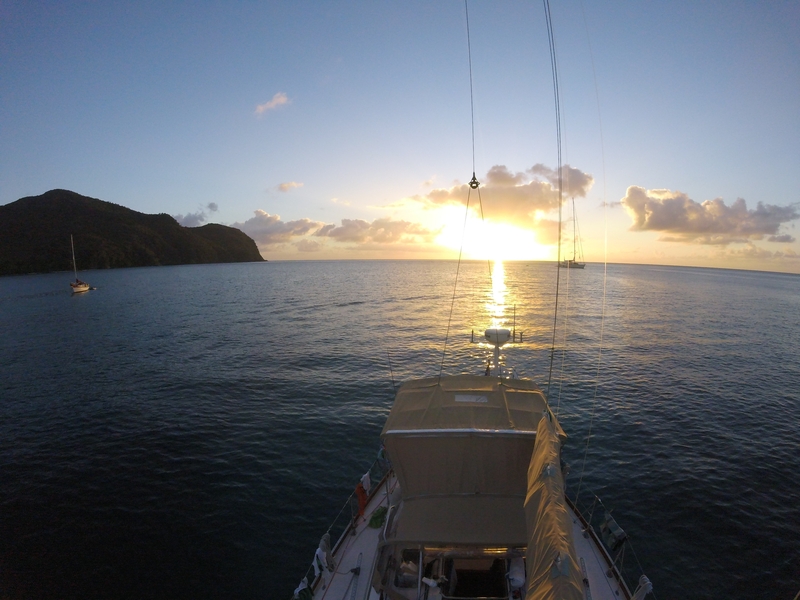 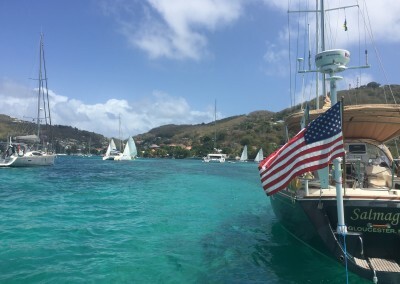 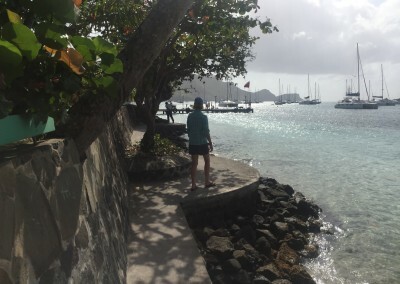 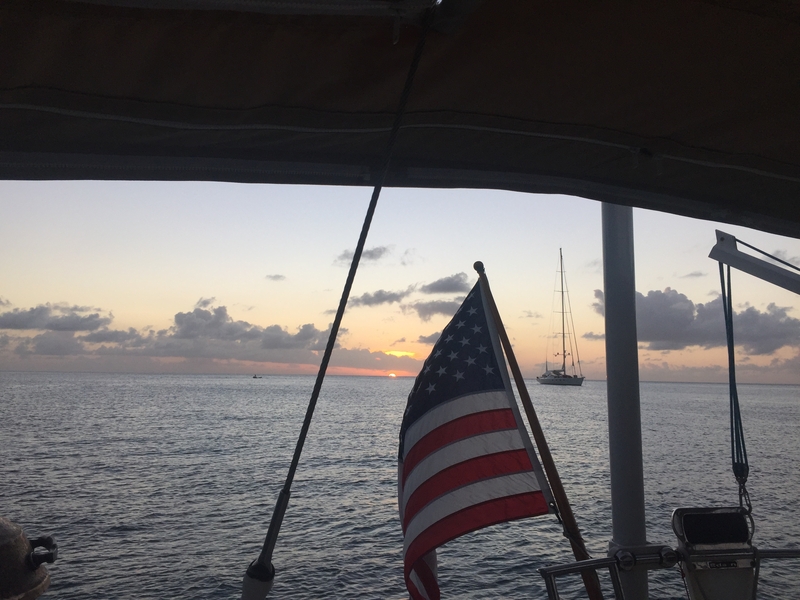 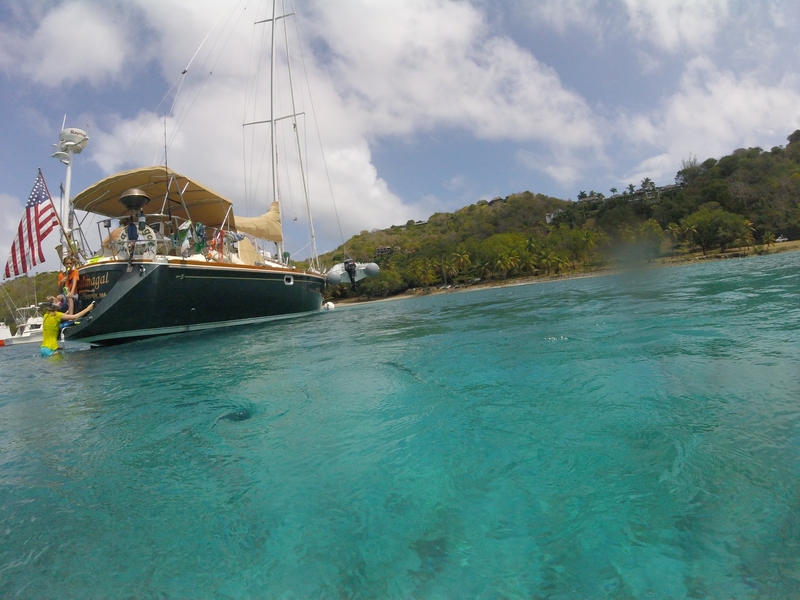 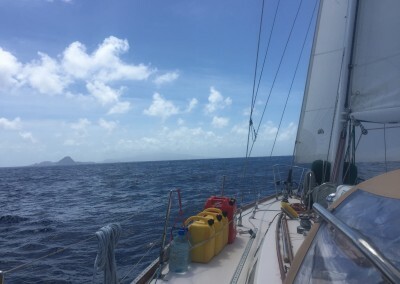 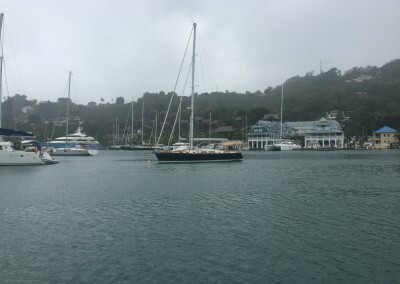 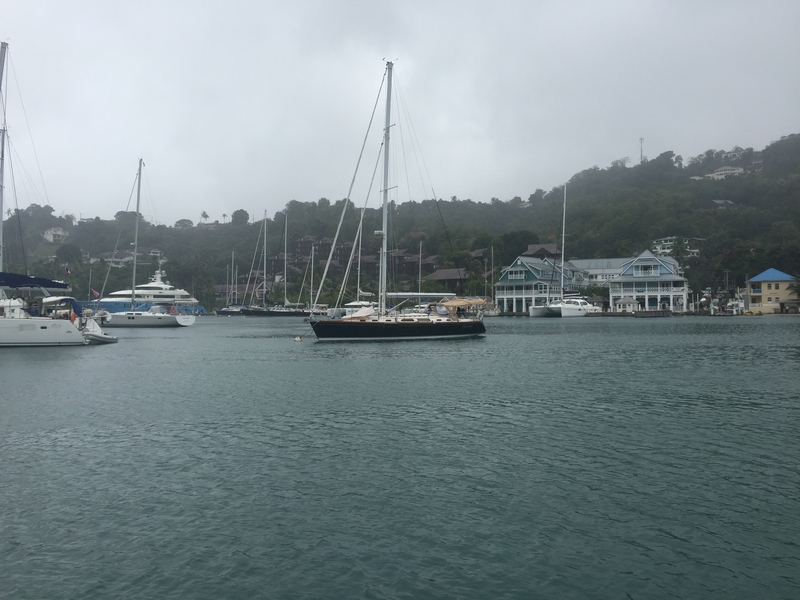 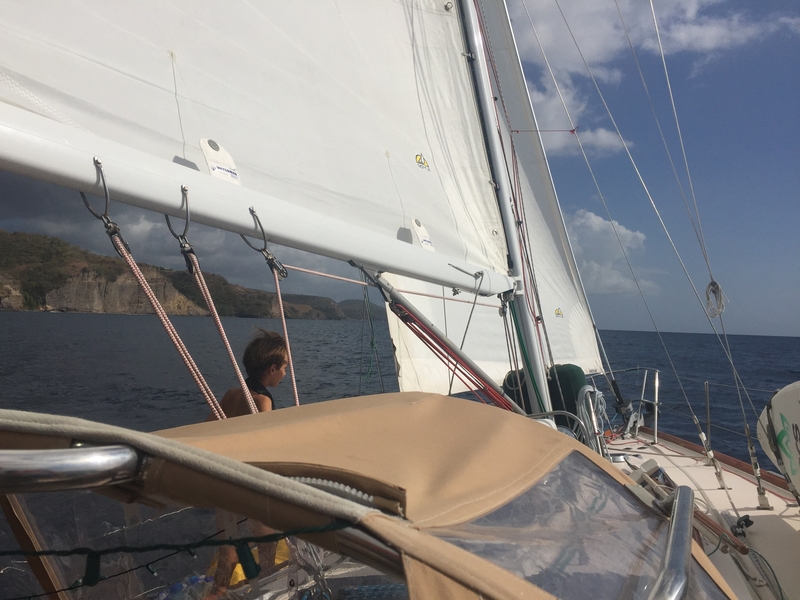 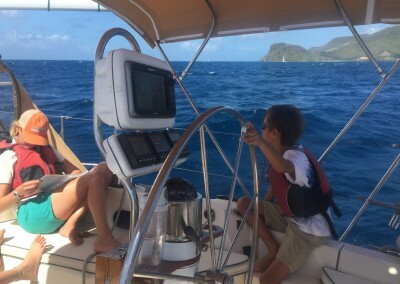 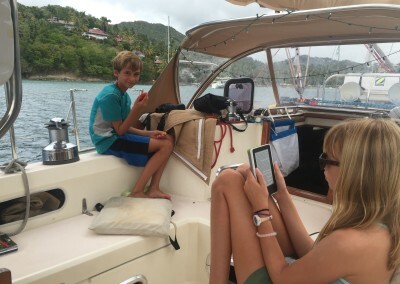 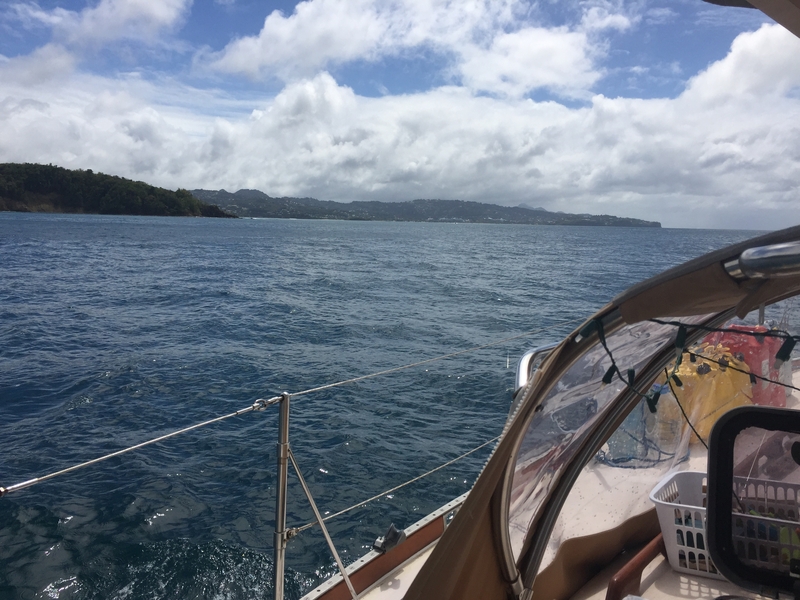 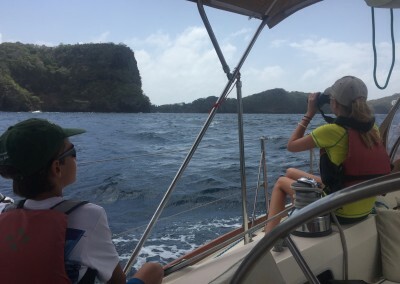 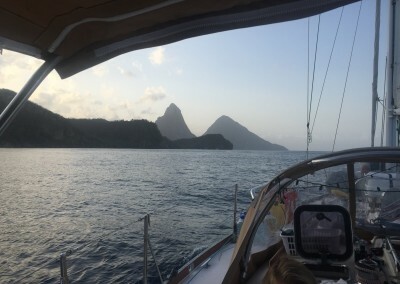 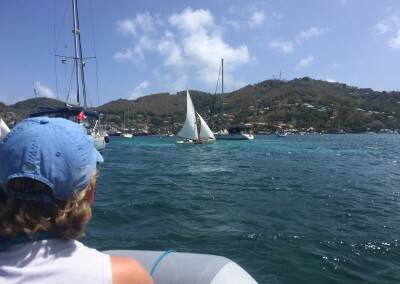 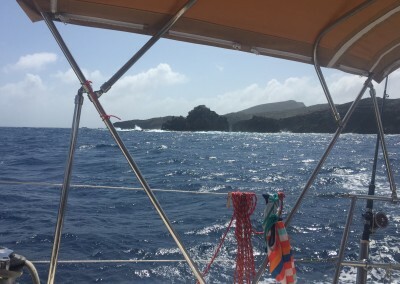 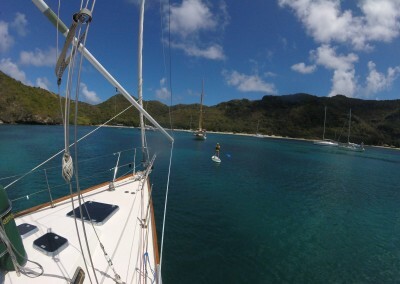 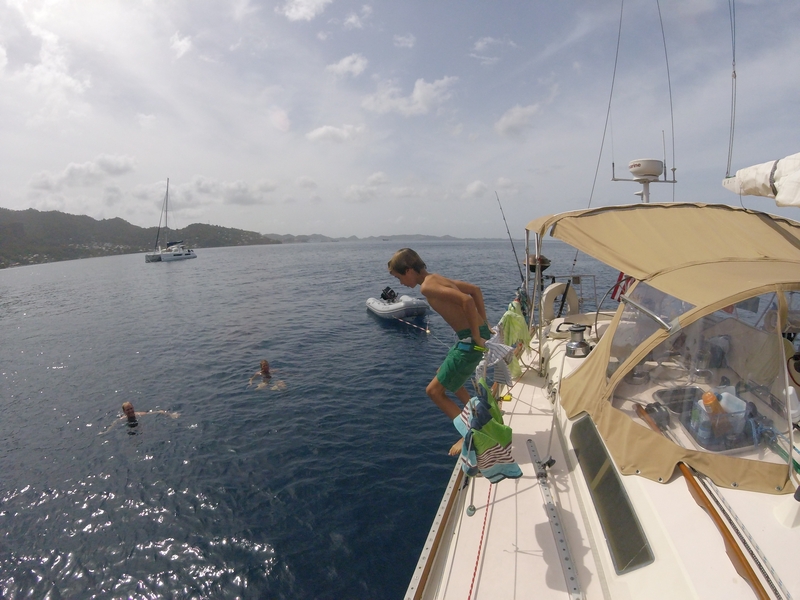 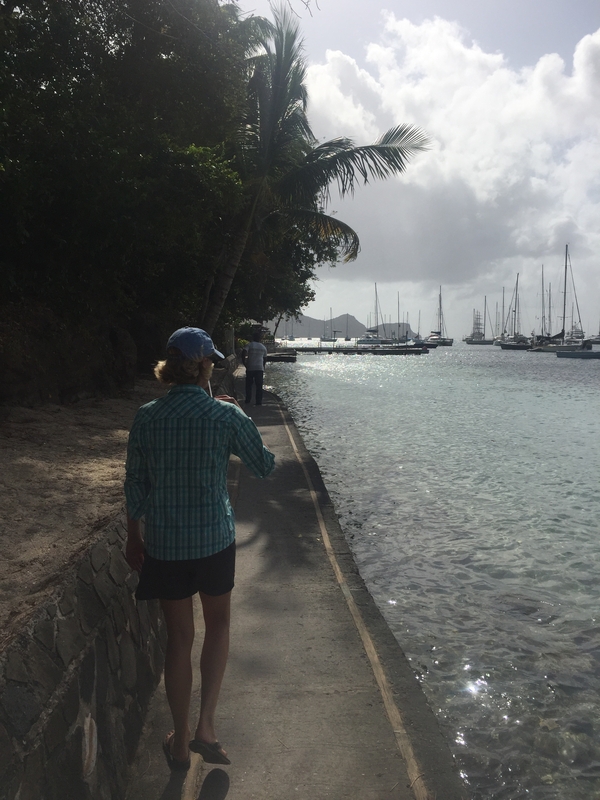 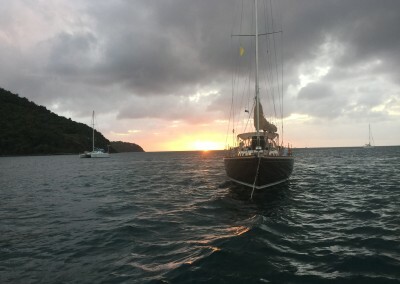 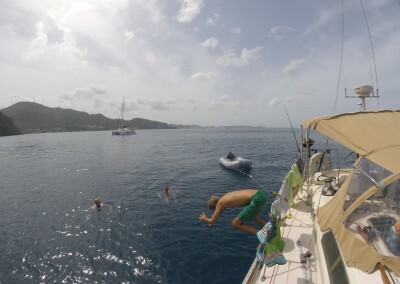 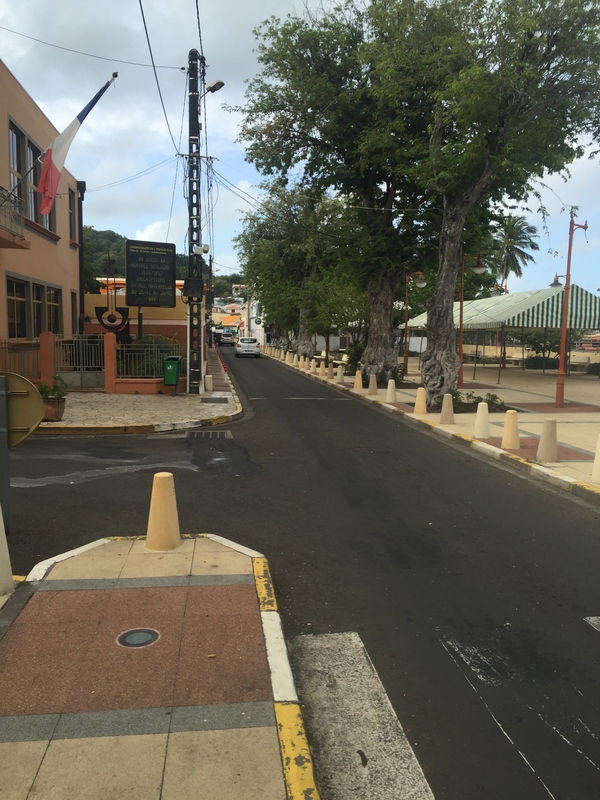 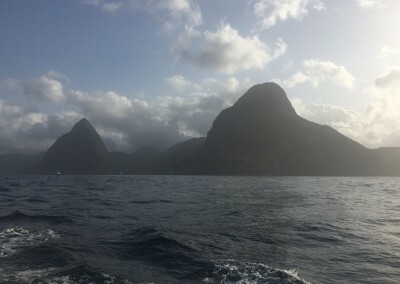 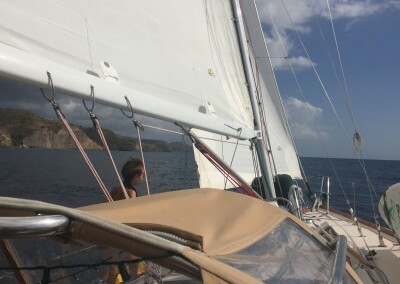 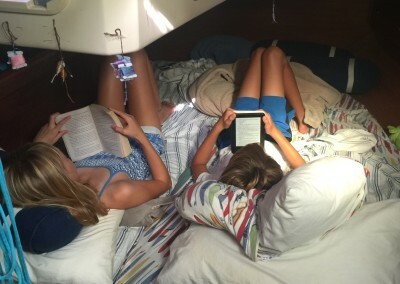 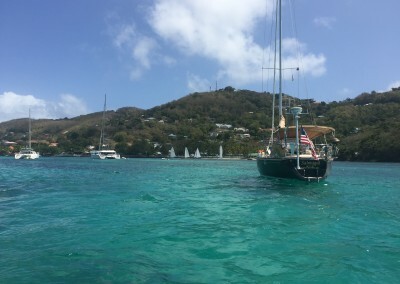 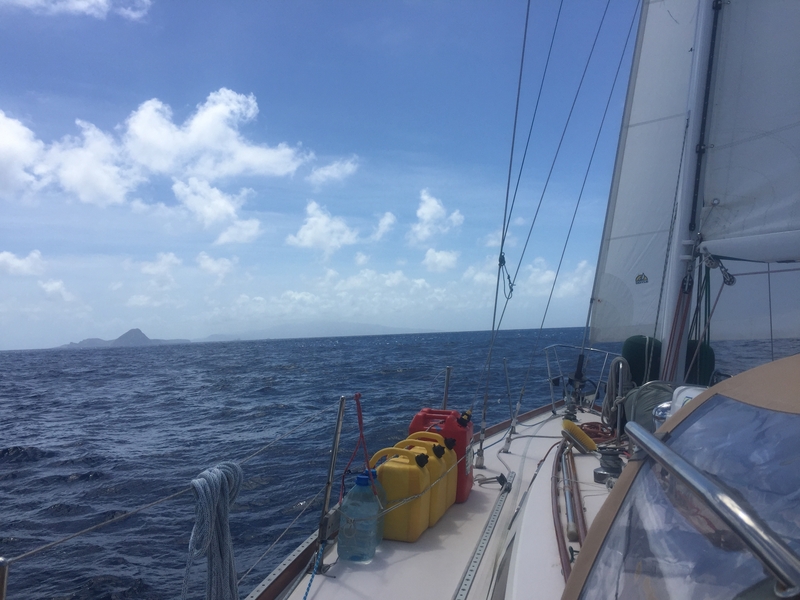 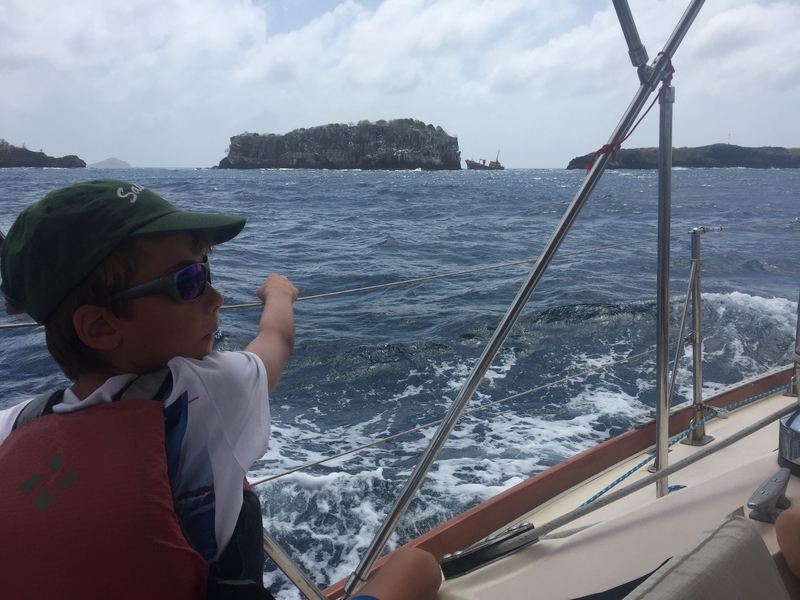 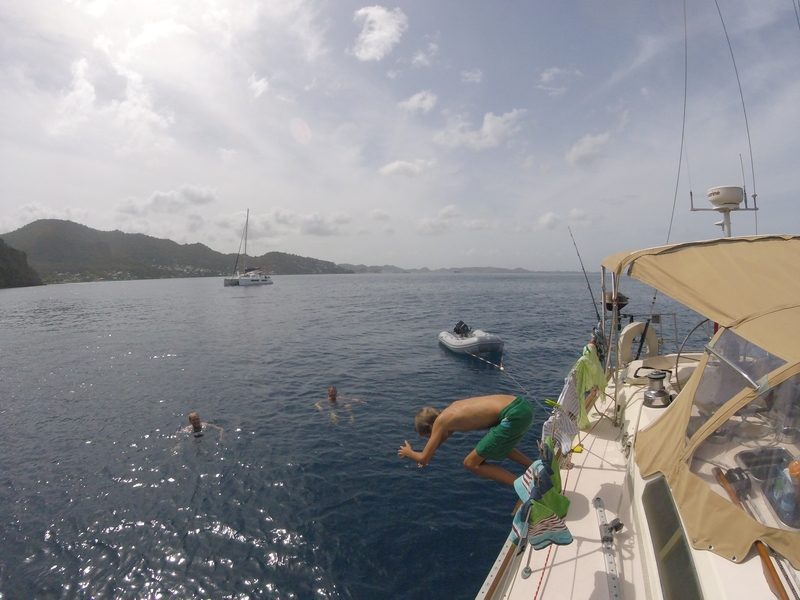 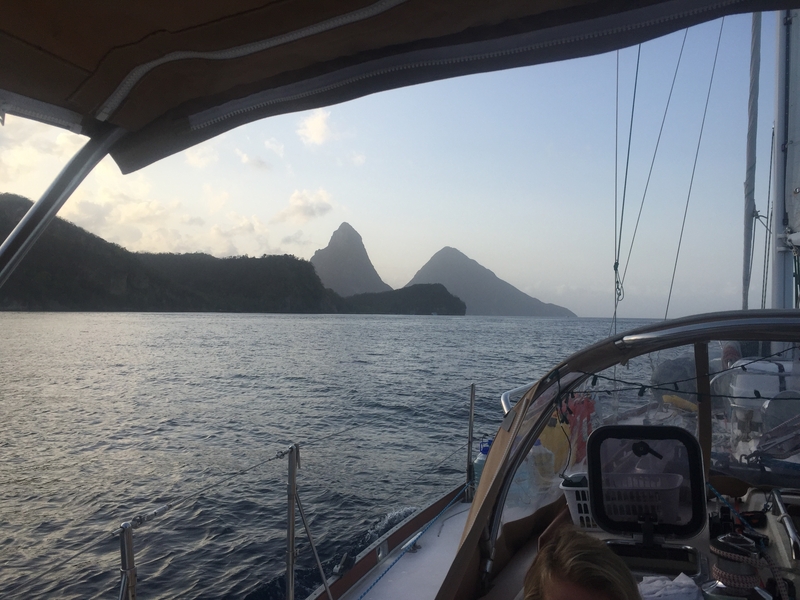 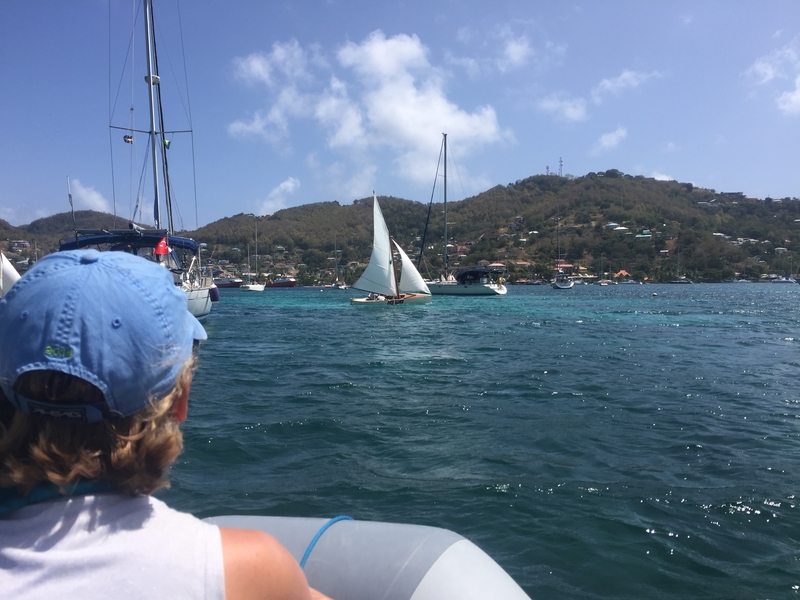 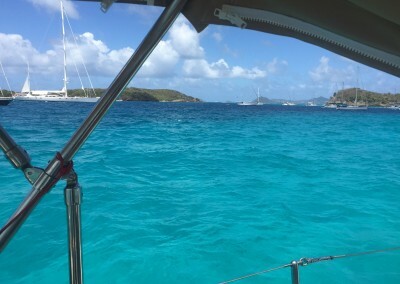 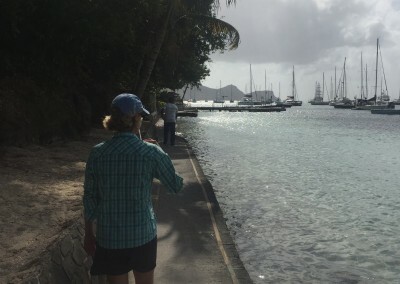 From St Lucia we skipped St Vincent and sailed directly to Bequia, part of St Vincent and the Grenadines. 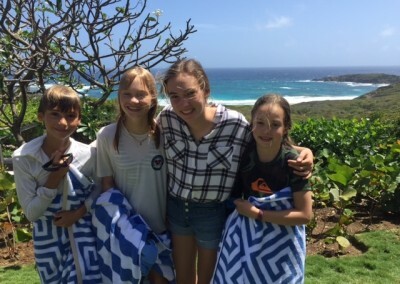 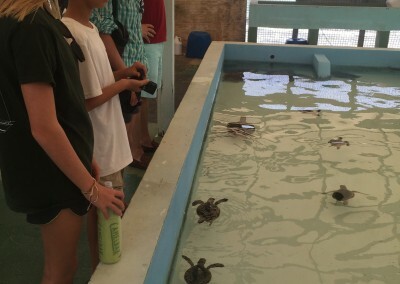 Turtle Sanctuary on Bequia, beautiful beaches around, a wonderful day getting to meet some new friends – Jesse, Annice, Selah, Teal and Sarah and Craig who had us to their house on Mustique for a day of exploring, body surfing, and playing – amazing hospitality and we couldn’t thank them enough – and best part, Mira finally found other girls to play with! 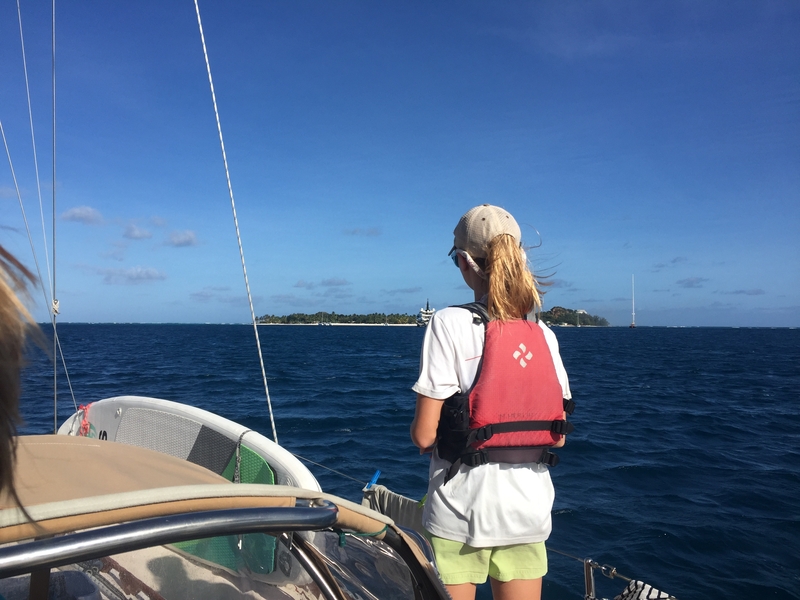 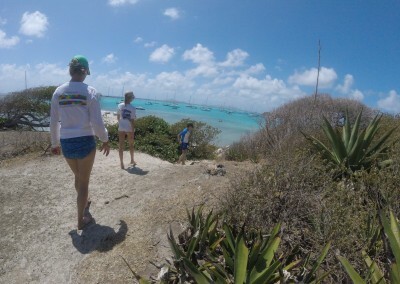 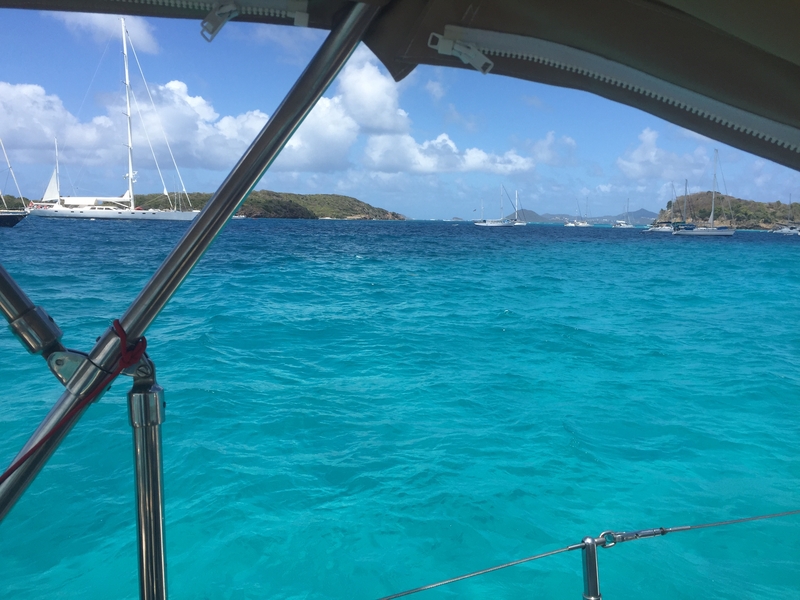 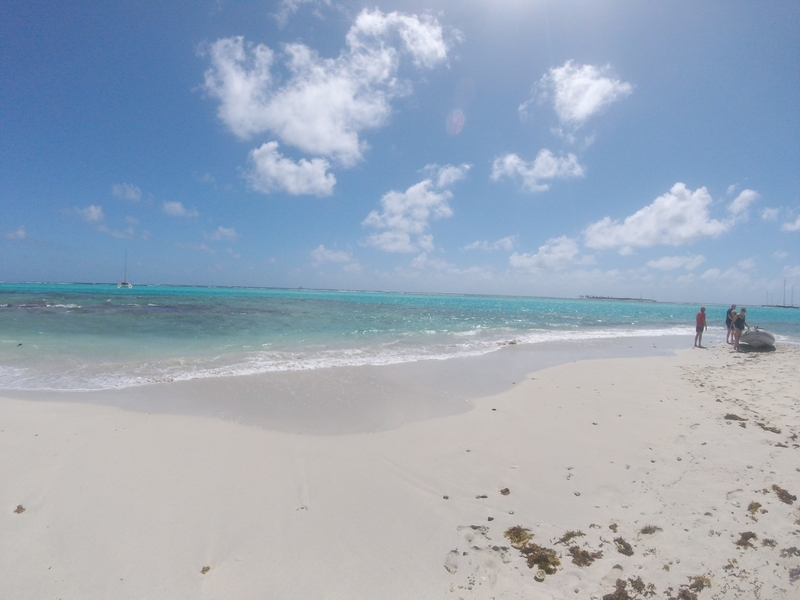 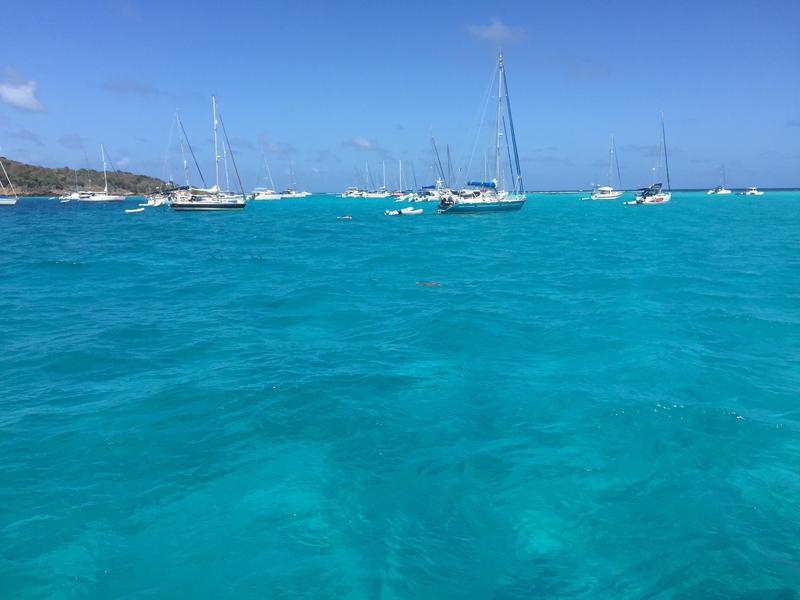 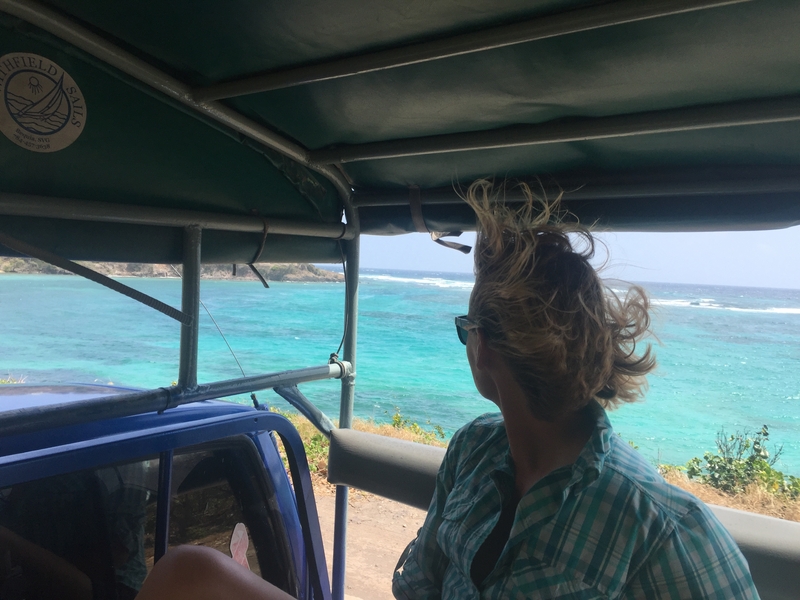 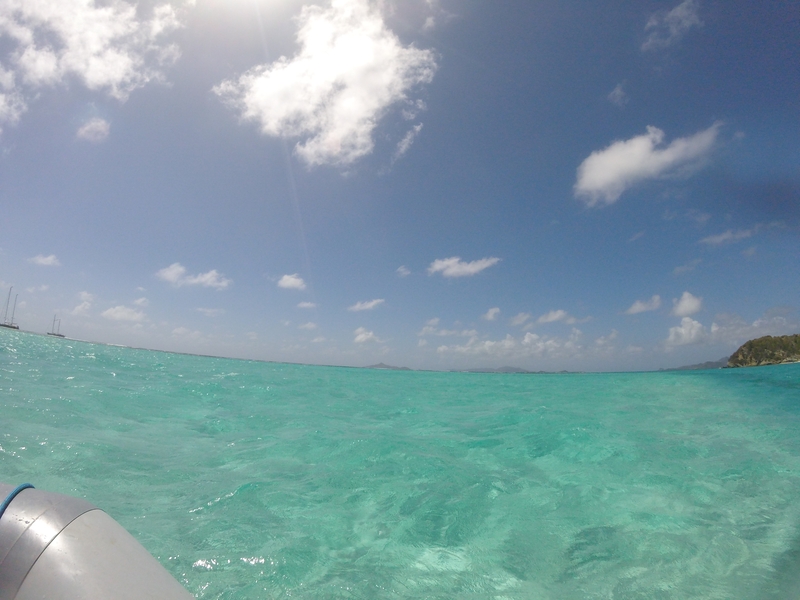 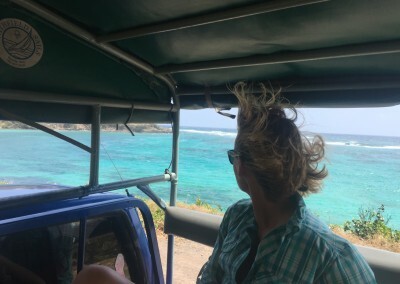 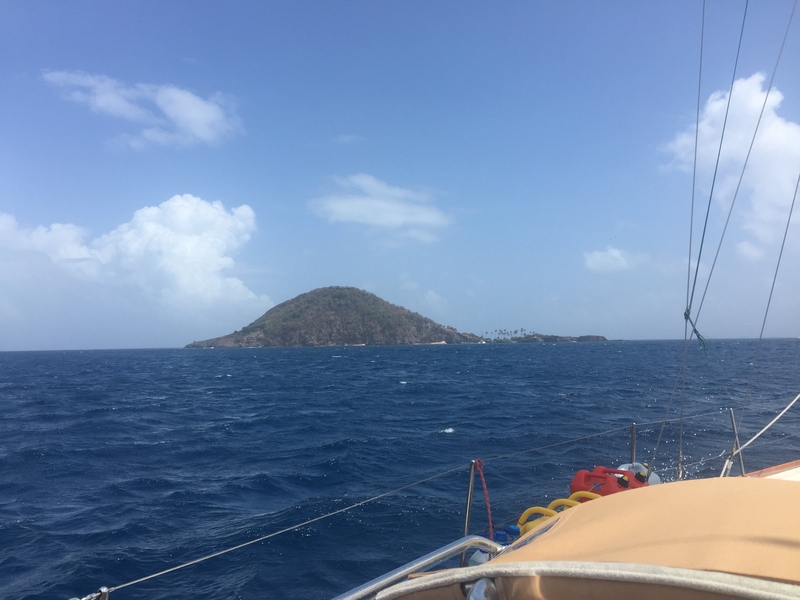 We bounced our way through the Grenadines hitting the Tobago Cays, Mayreau, and Union Island before sending it down to Prickly Bay in Grenada. 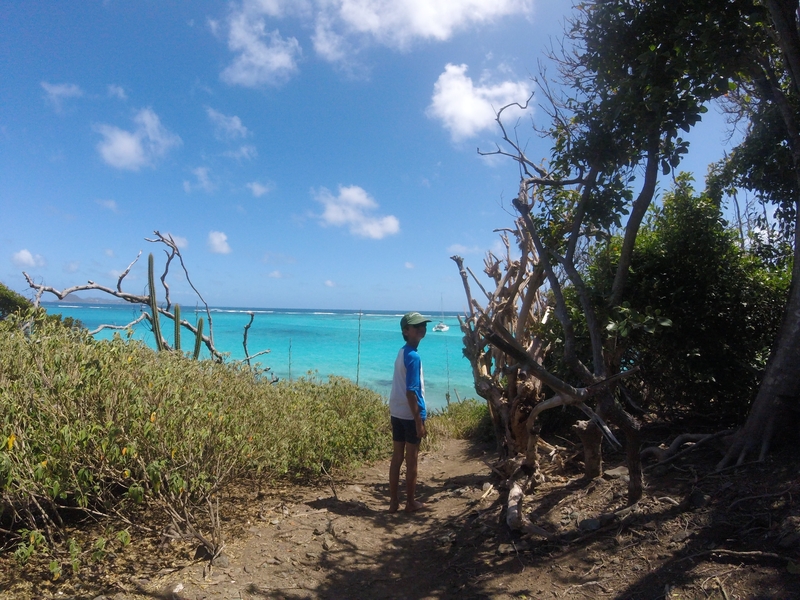 Absolutely beautiful places. 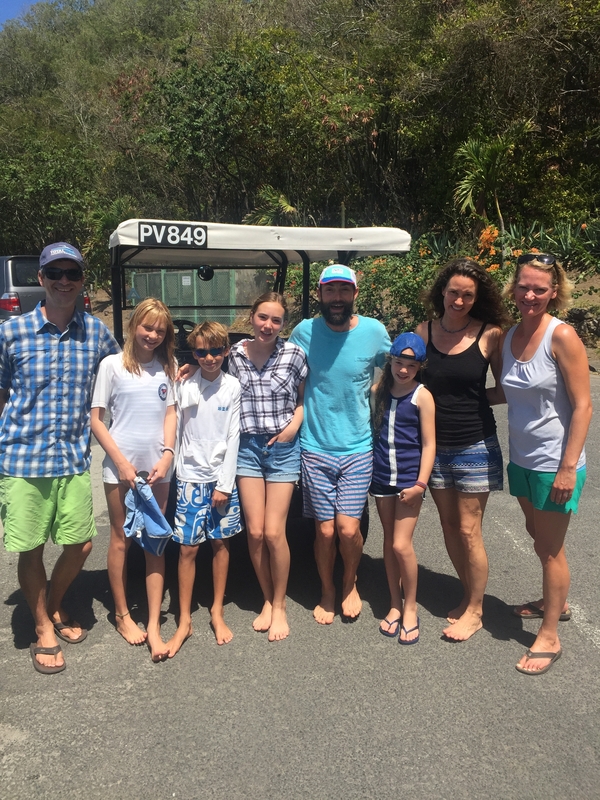 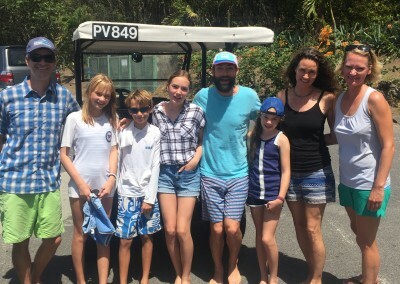 Grenada – Once down in Grenada we were able to catching up with old friends (The Penny Lane crew – Peter, Anna, and Sam (11) and Millport 2 crew – Donal, Sarah, Ted(13), and Robert (9) who we last saw in the British Virgin Islands) and meeting new friends – (Tika, from Australia, Greer, Russell, Kai (12), and Jayia (8) – Mira from Germany / Canada, Feliz (11) and Nia (8) Talk about an epic play session on the beach – US, English, Irish, German / Canadian – too much fun! 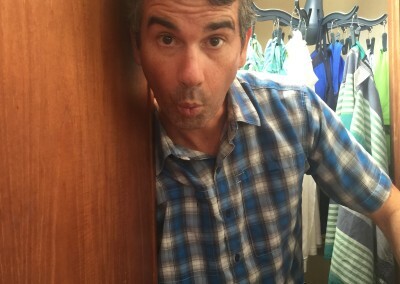 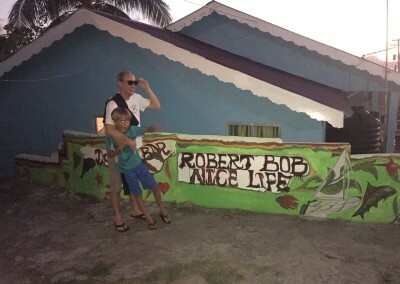 Uncle Rob came to visit! 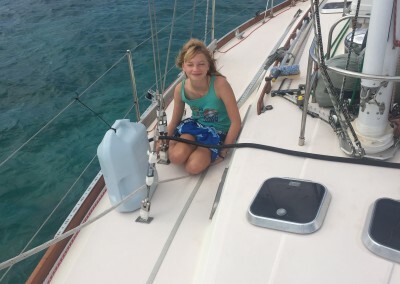 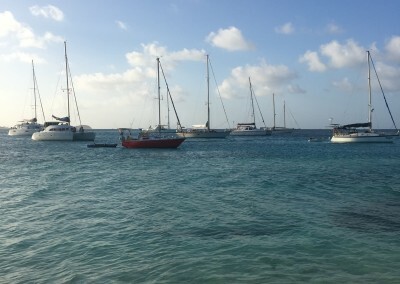 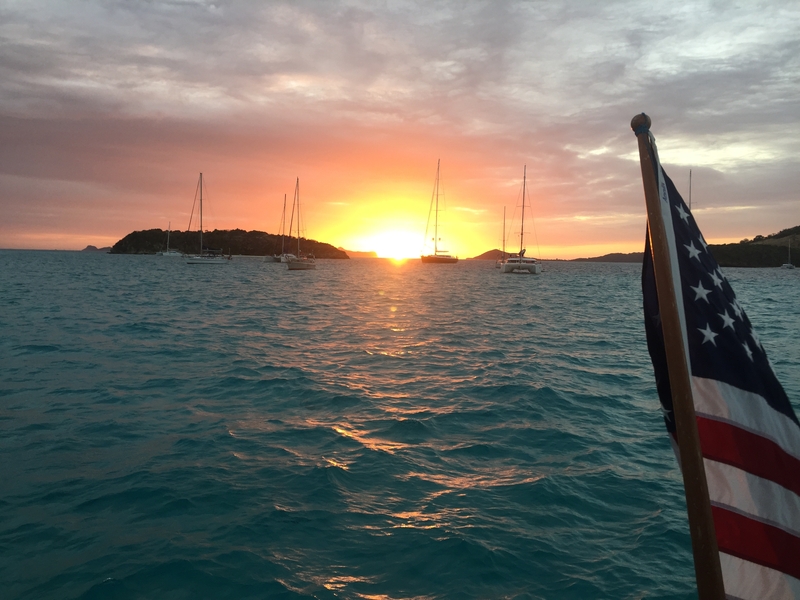 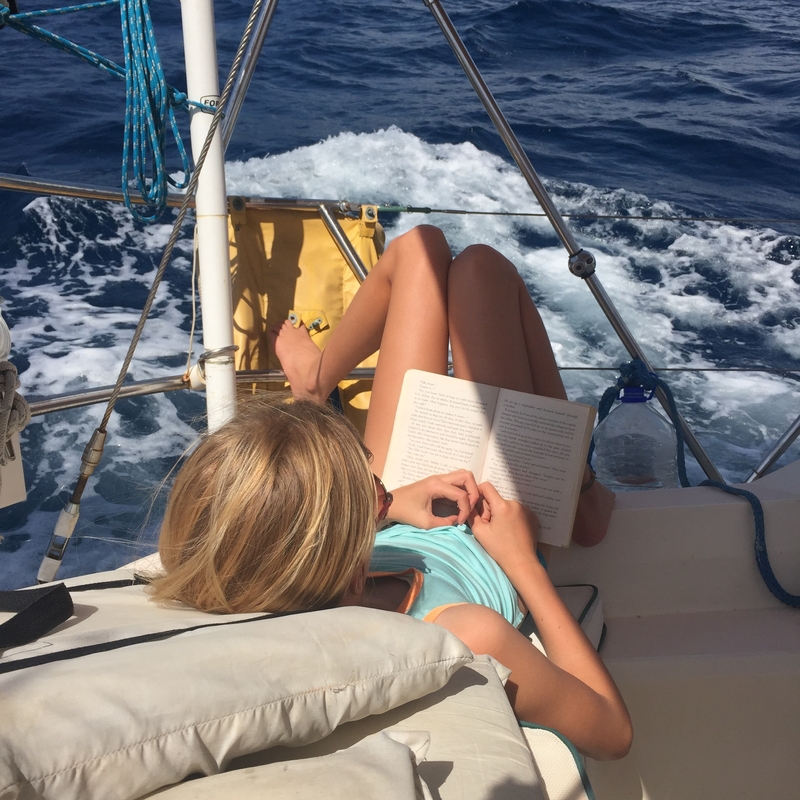 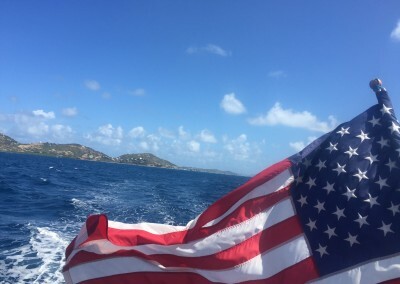 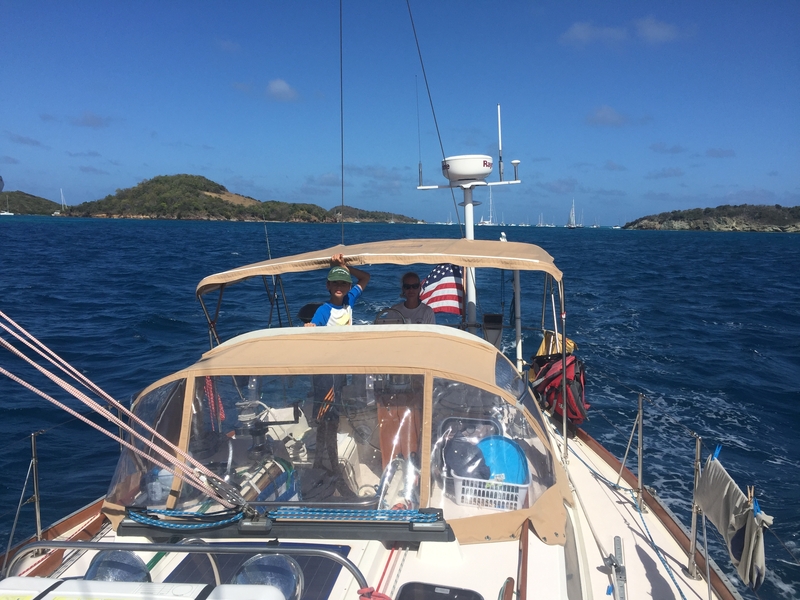 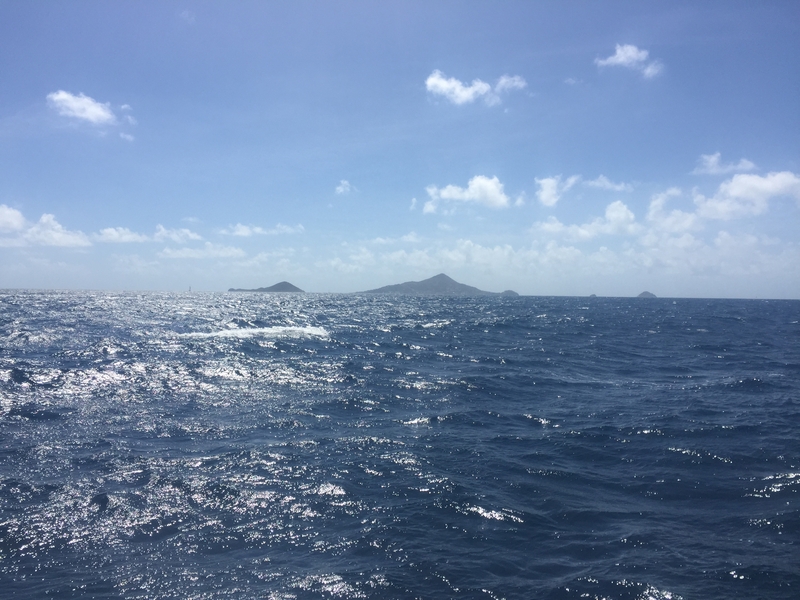 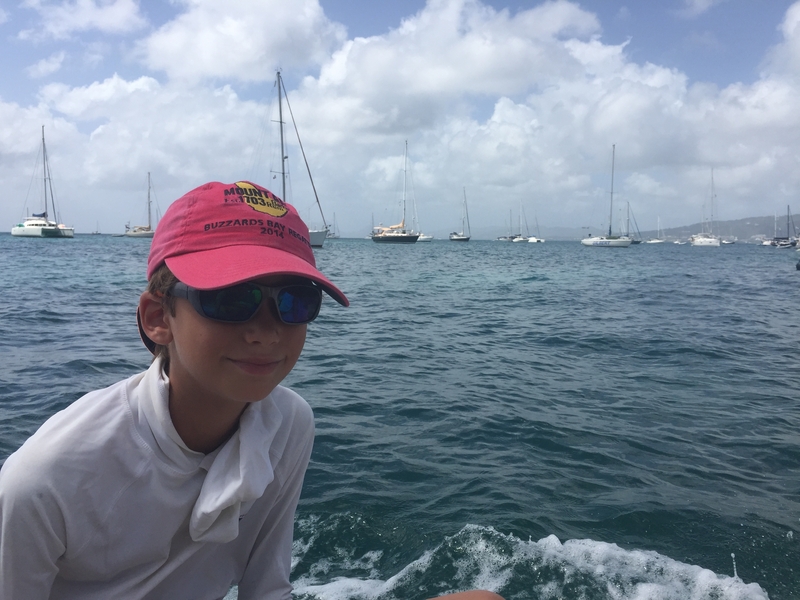 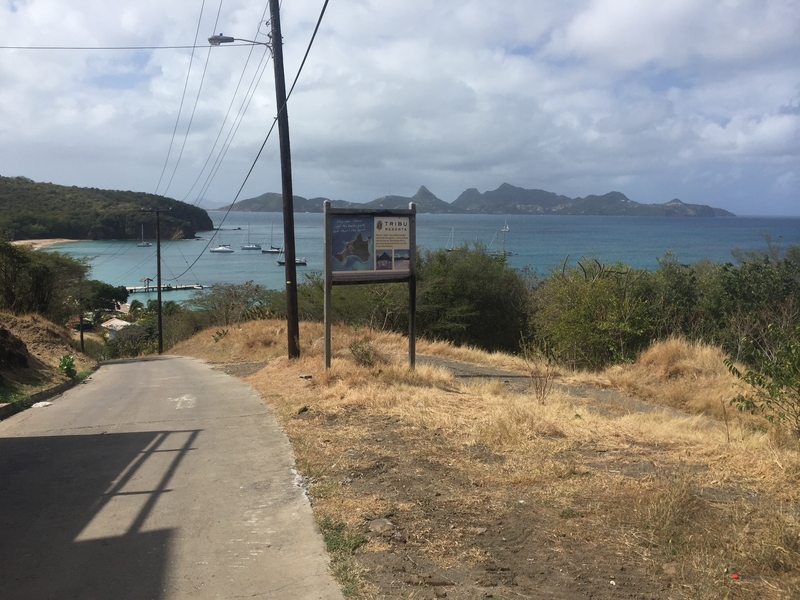 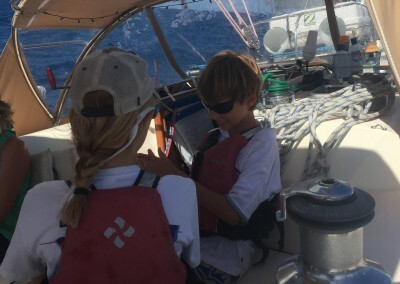 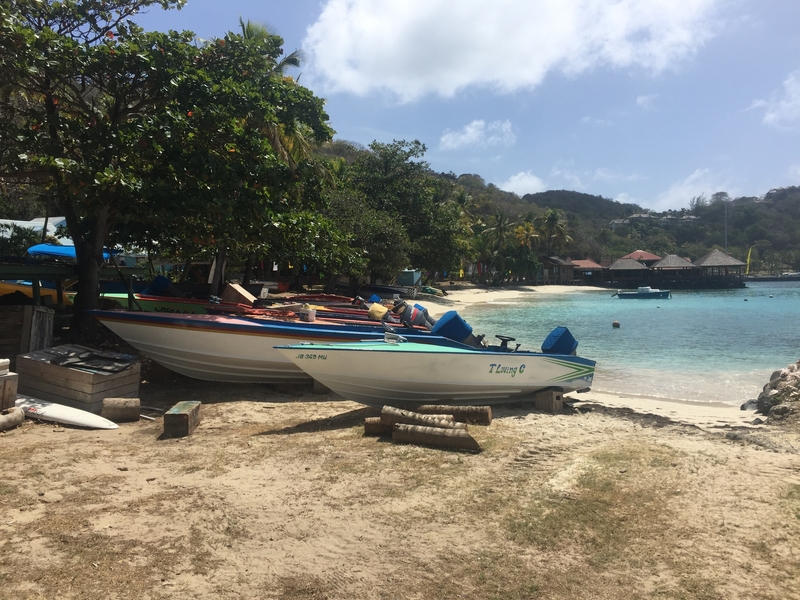 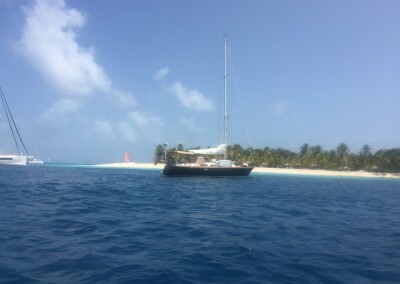 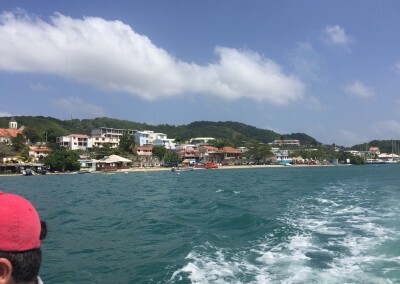 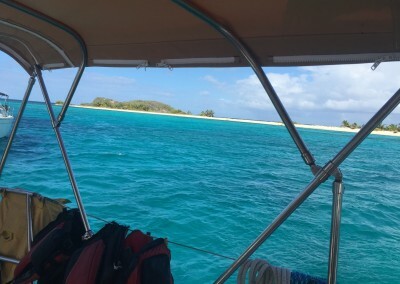 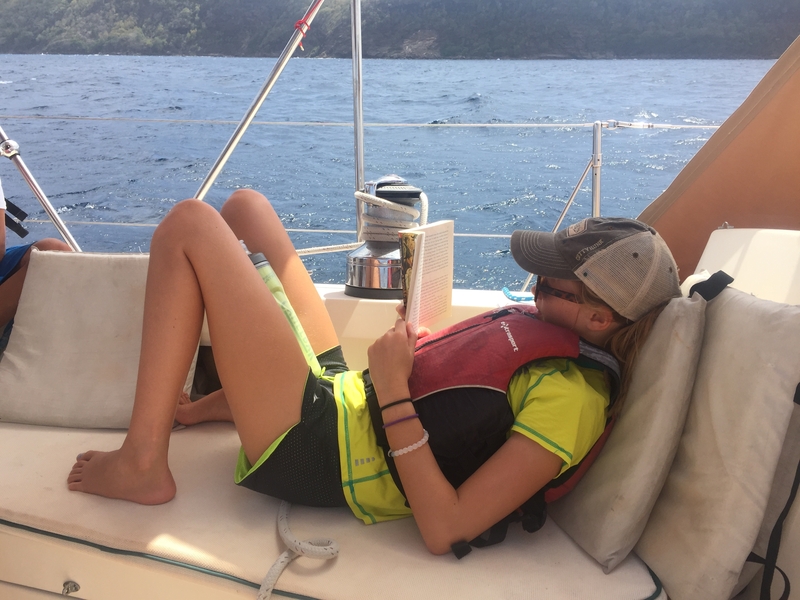 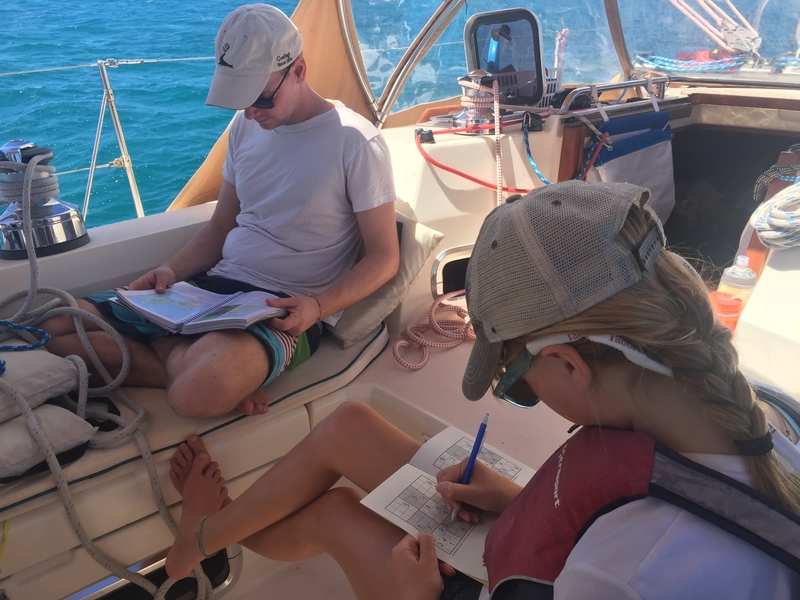 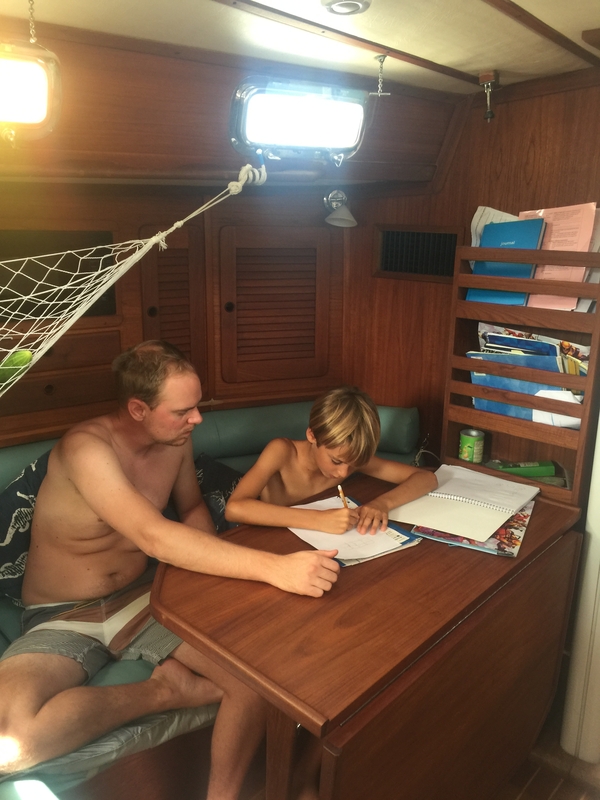 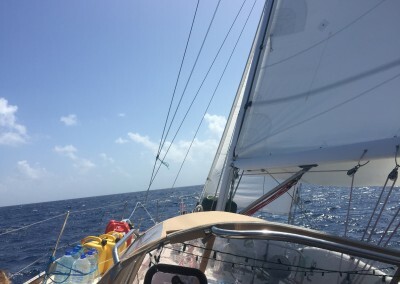 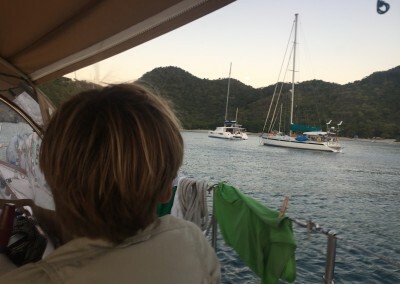 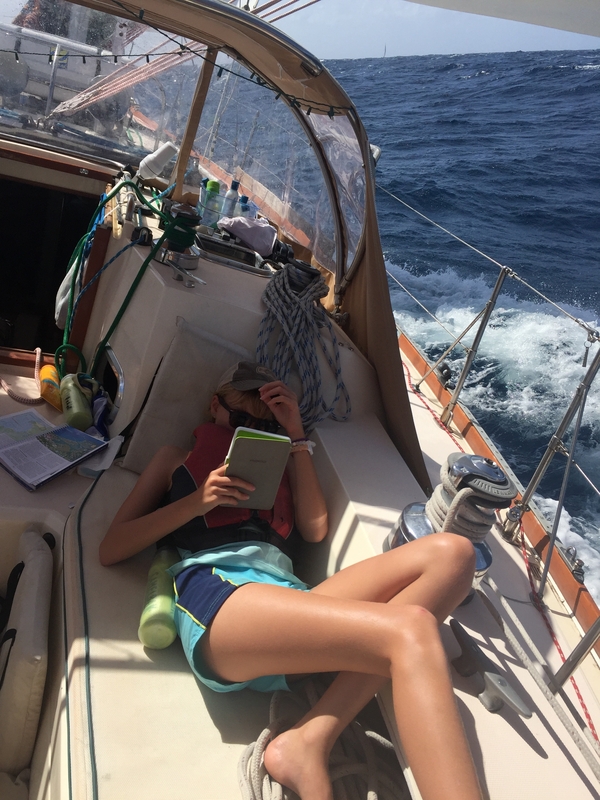 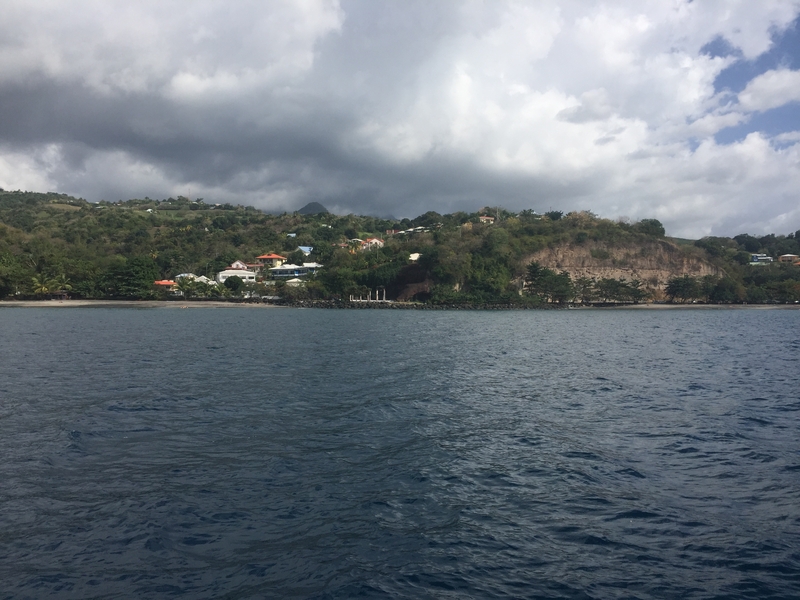 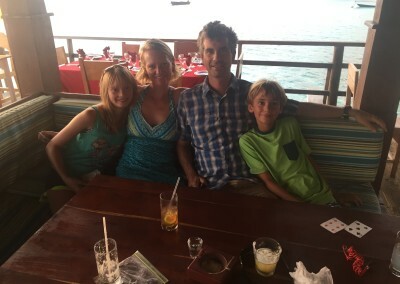 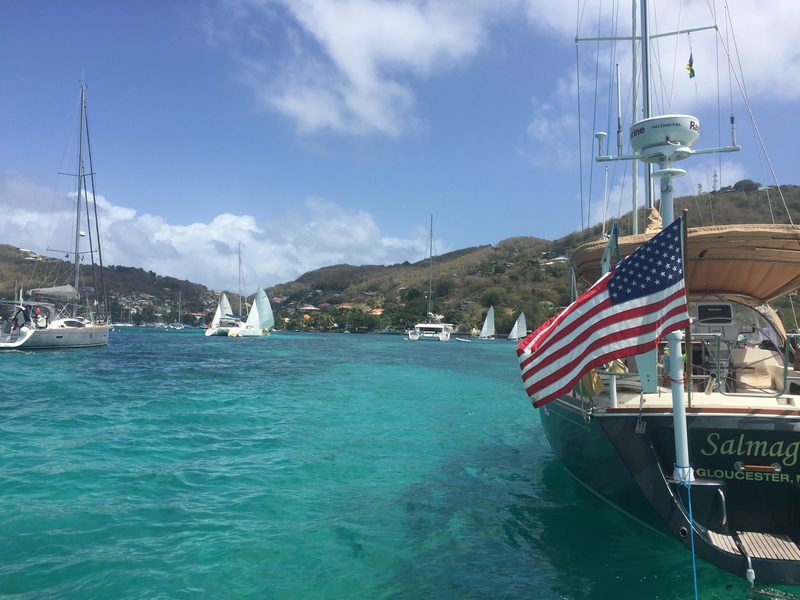 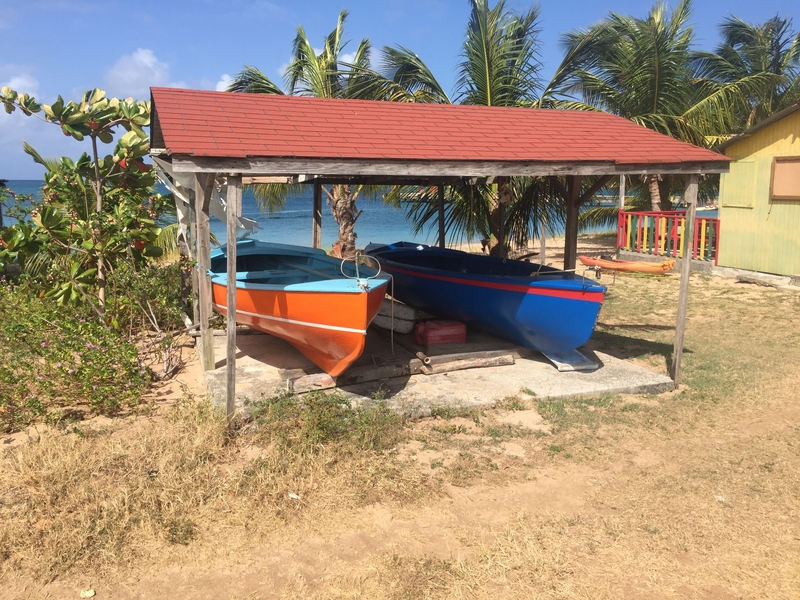 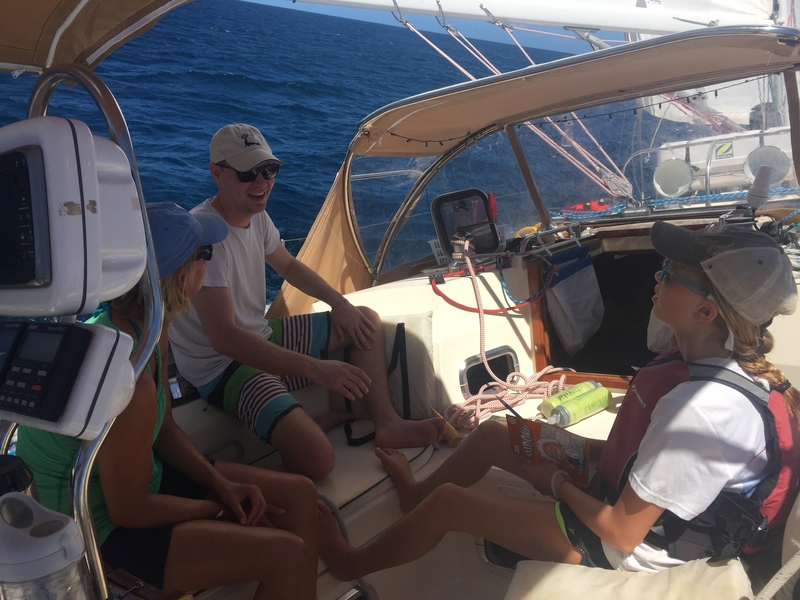 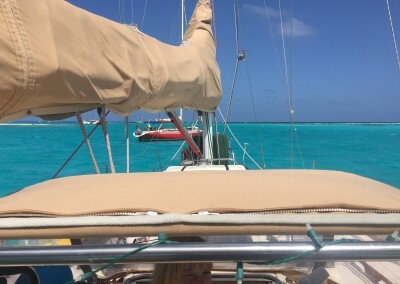 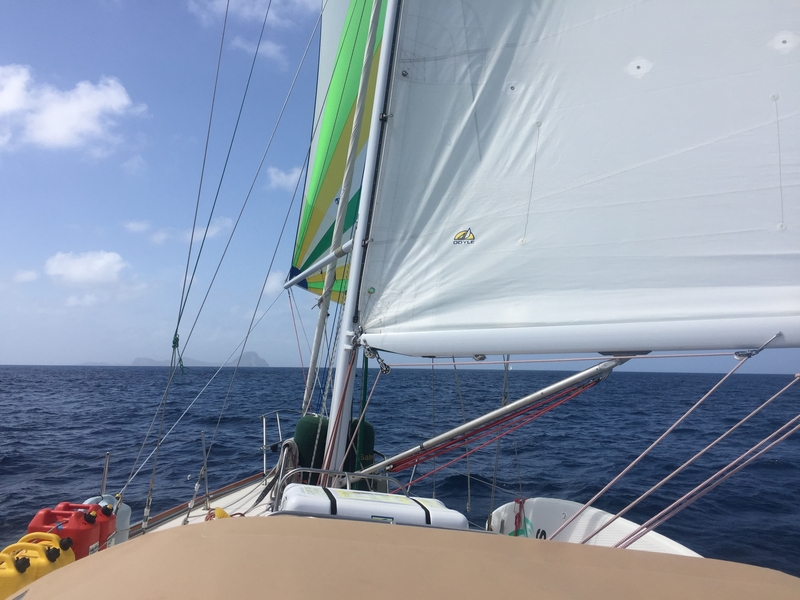 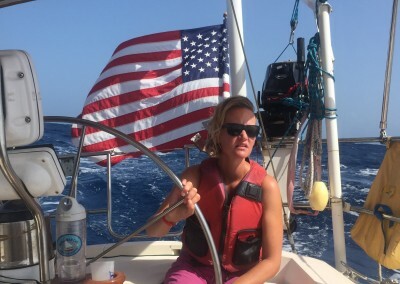 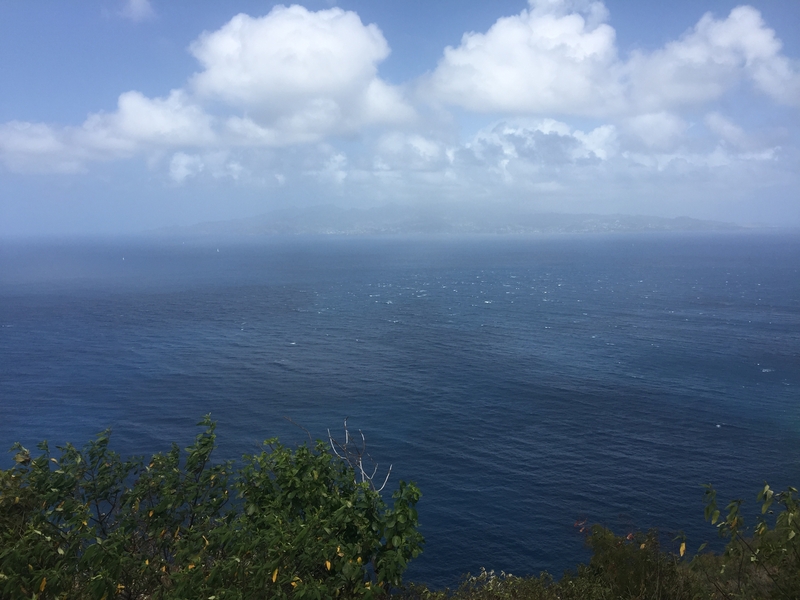 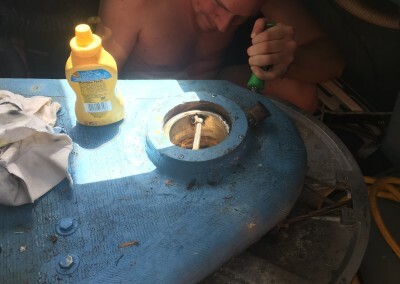 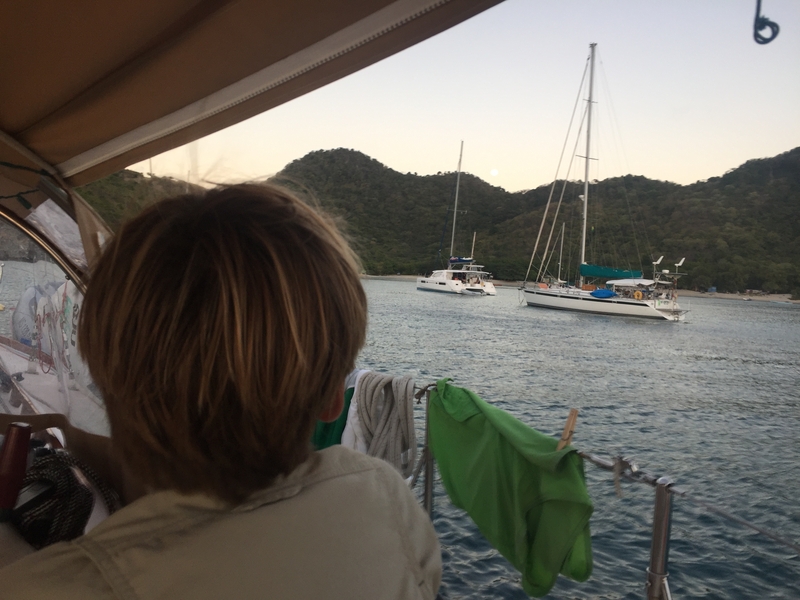 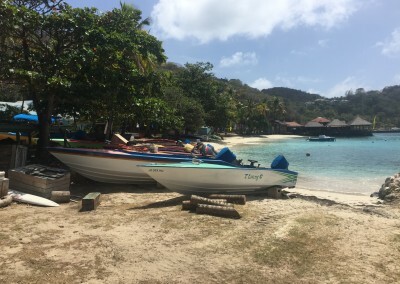 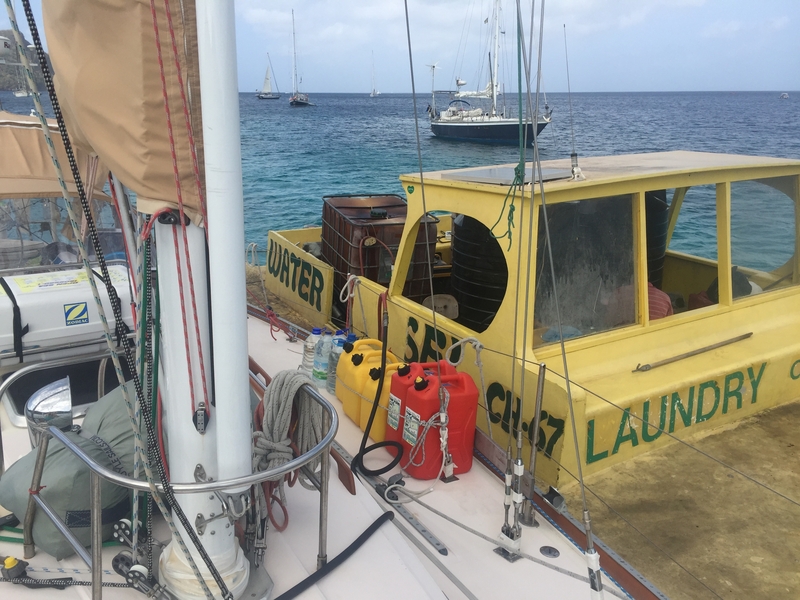 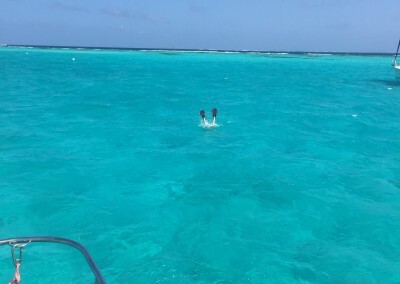 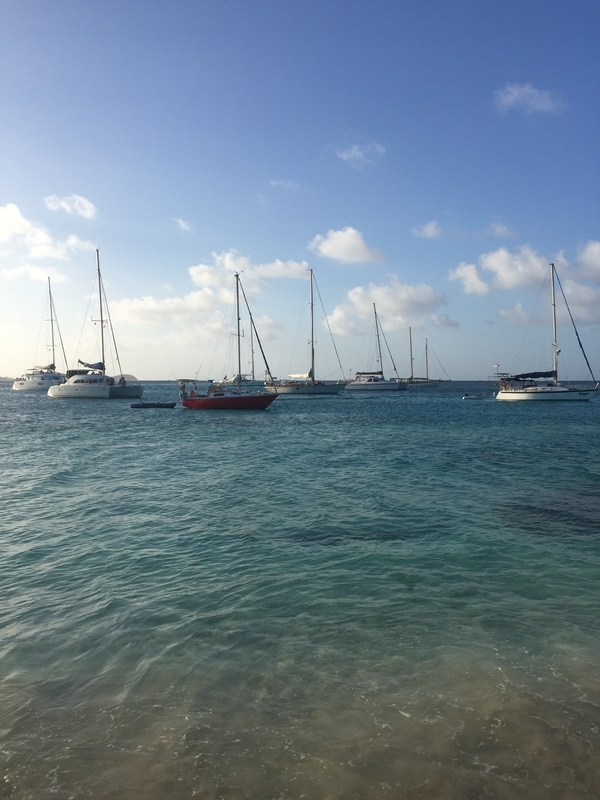 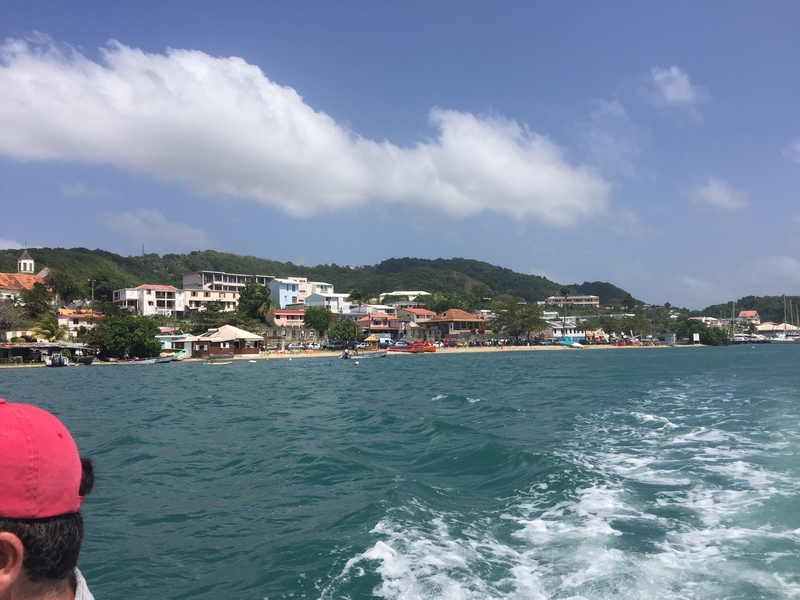 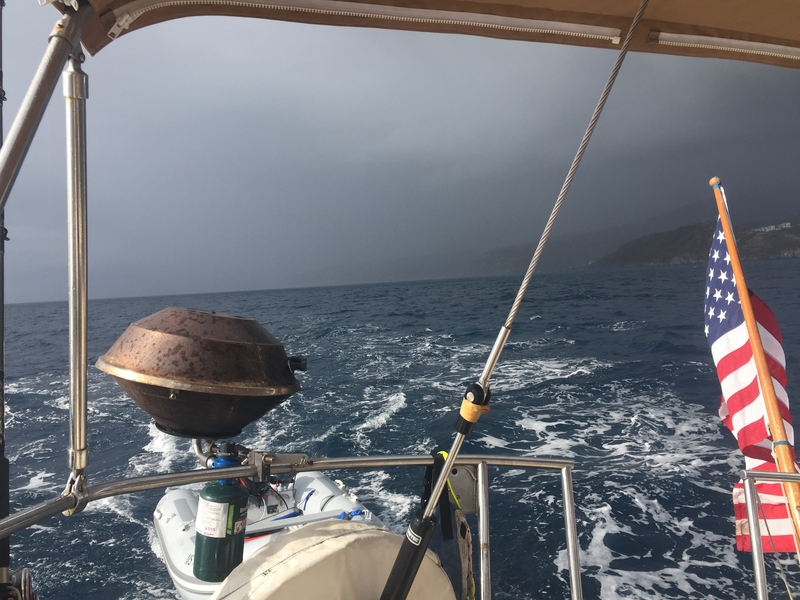 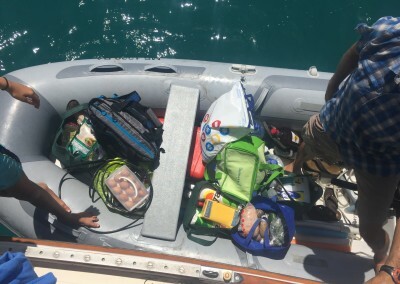 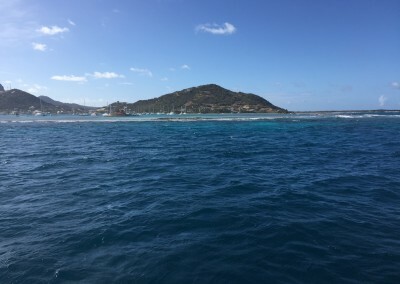 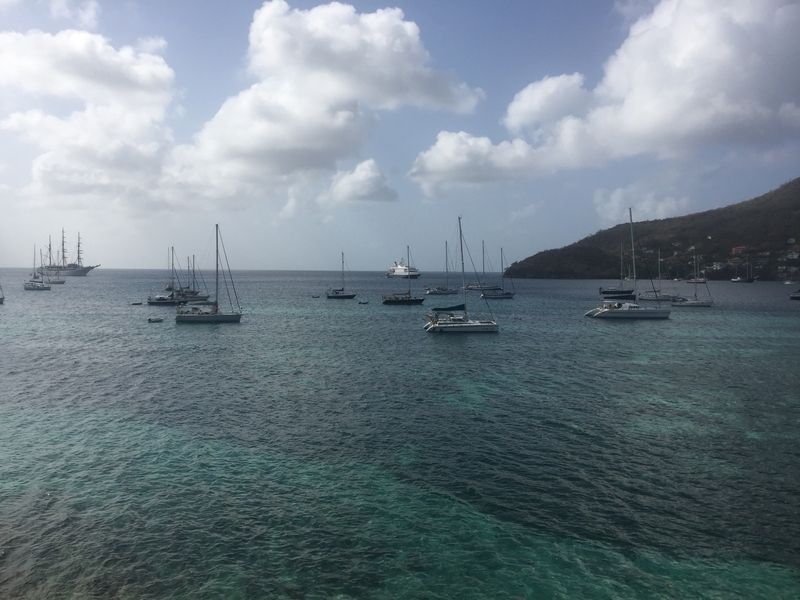 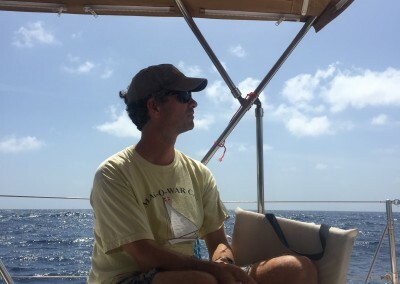 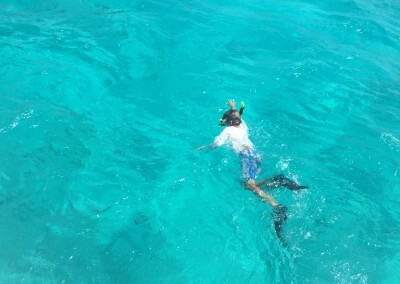 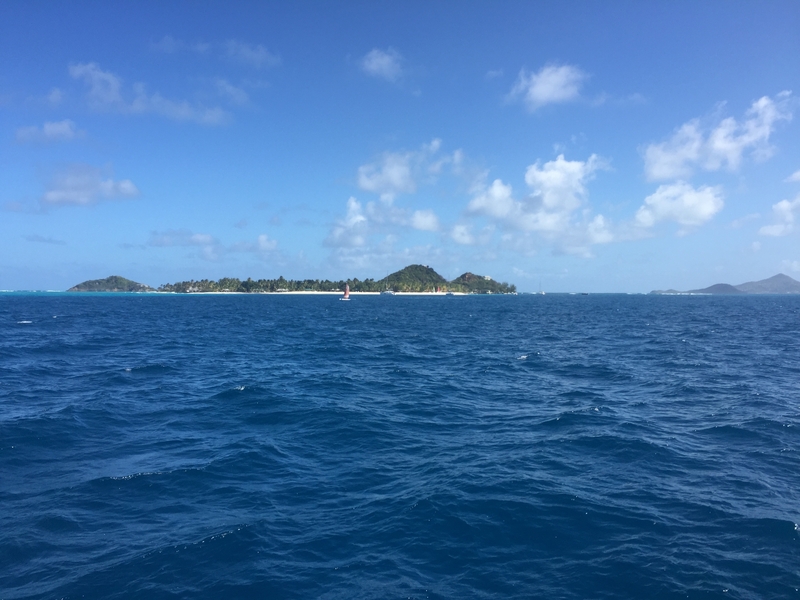 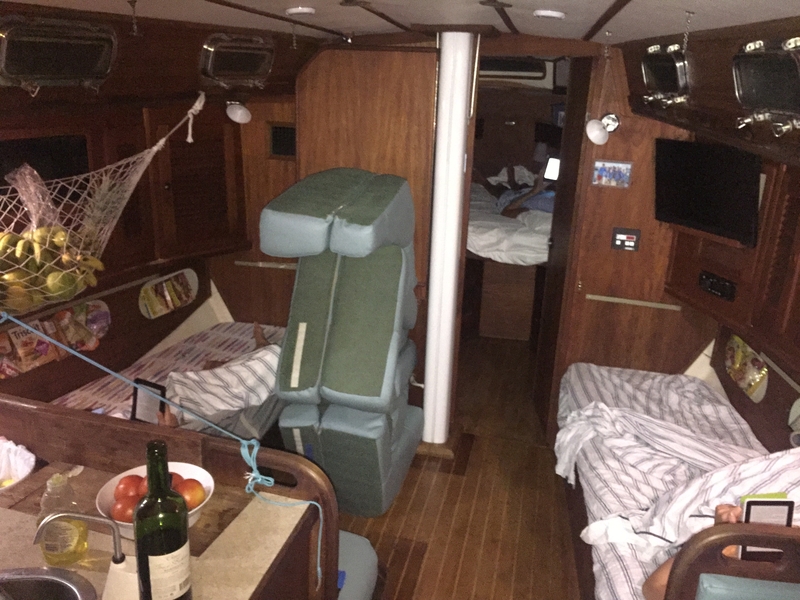 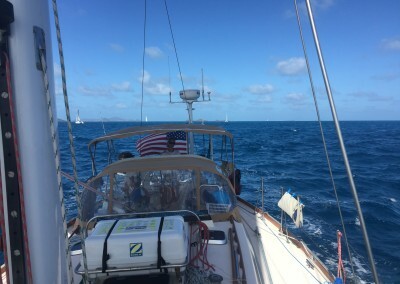 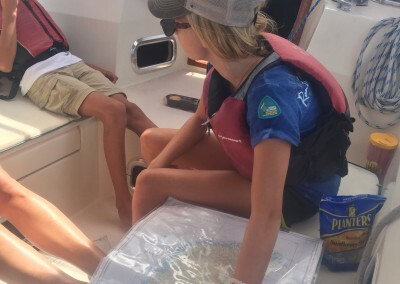 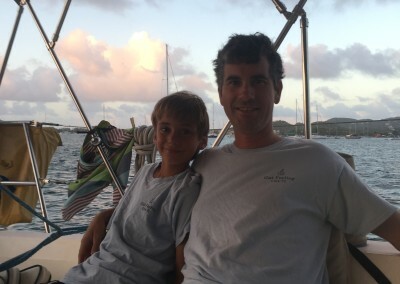 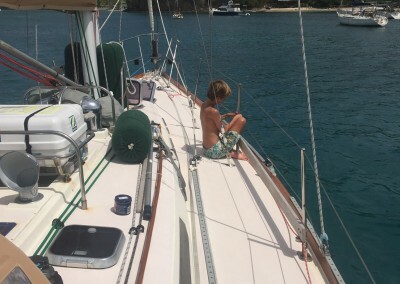 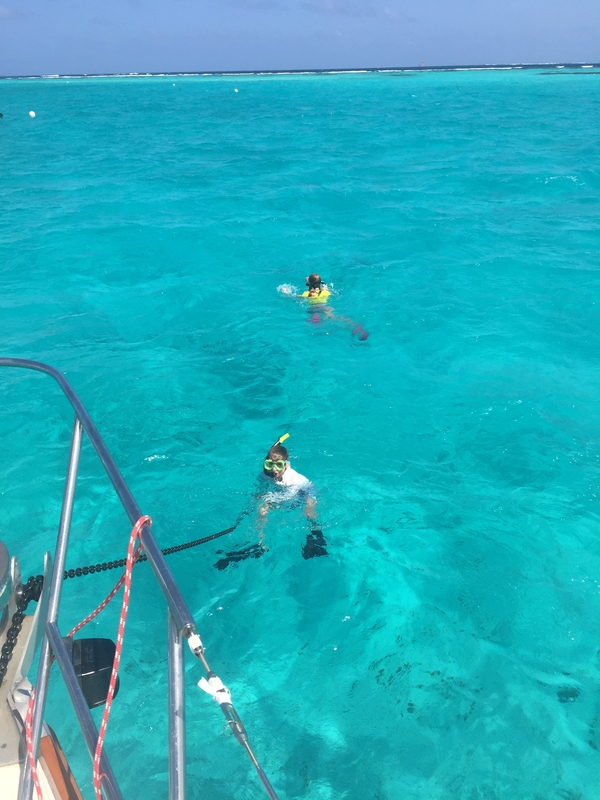 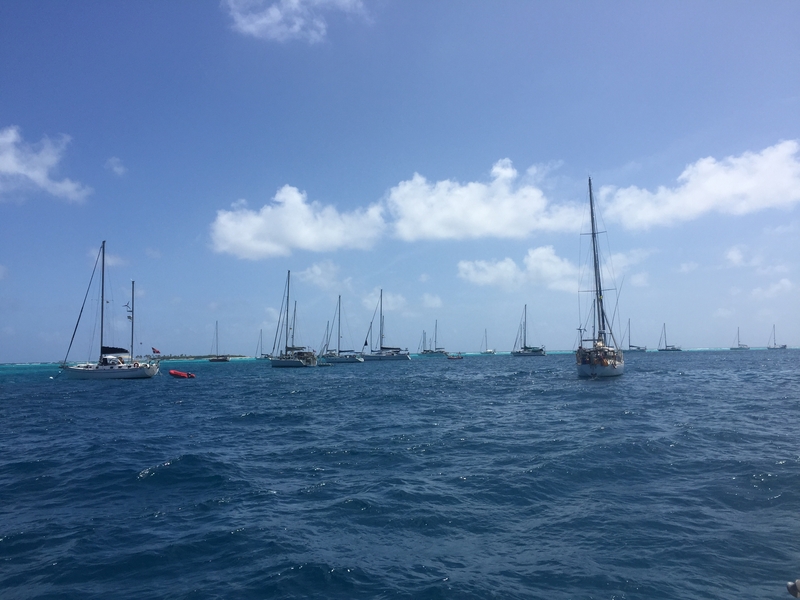 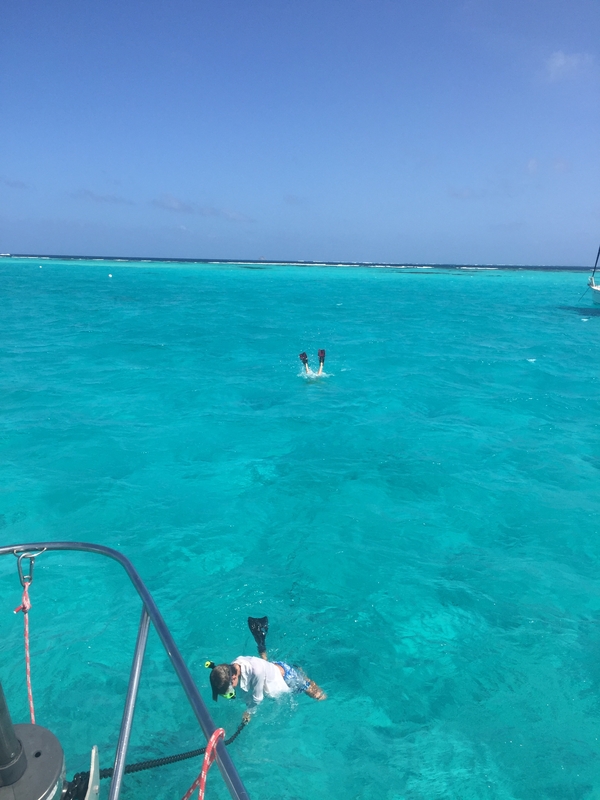 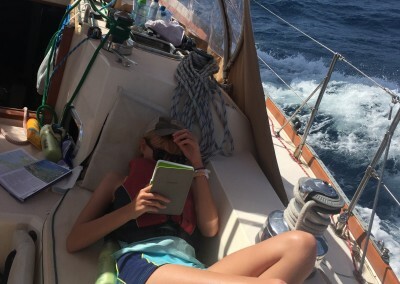 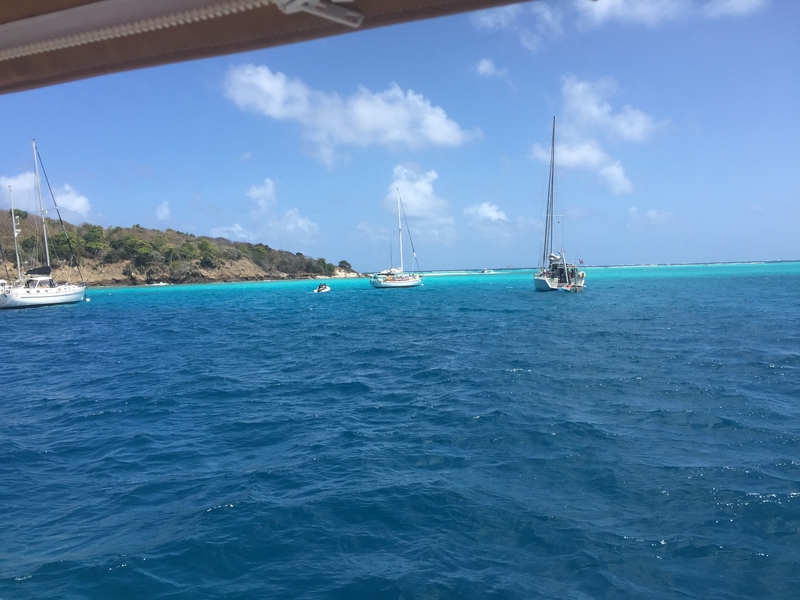 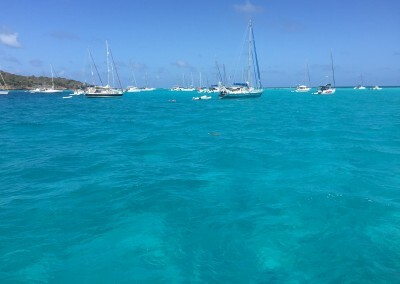 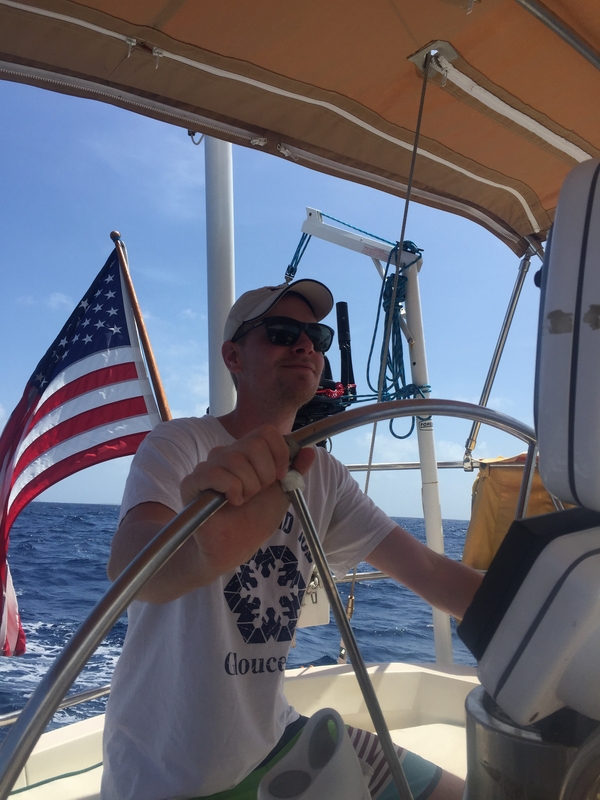 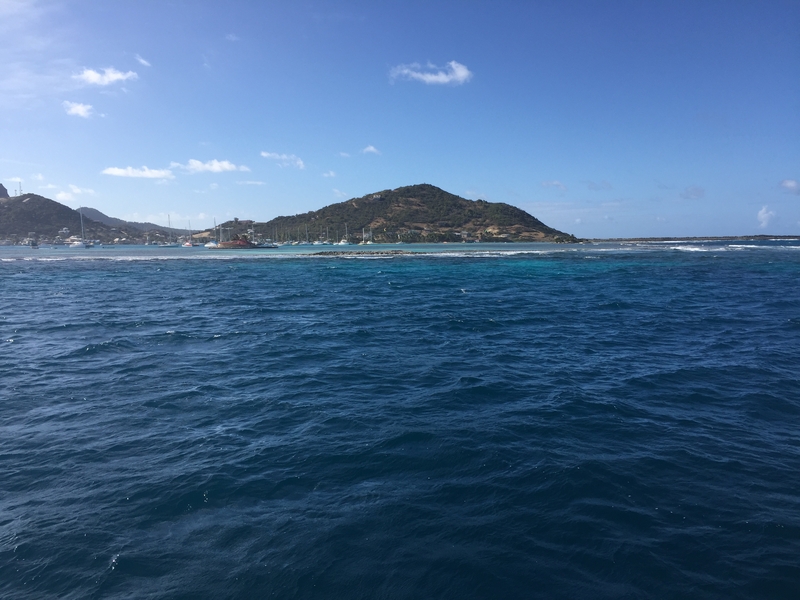 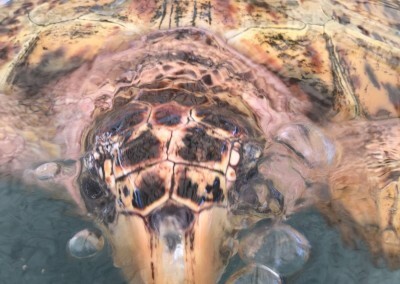 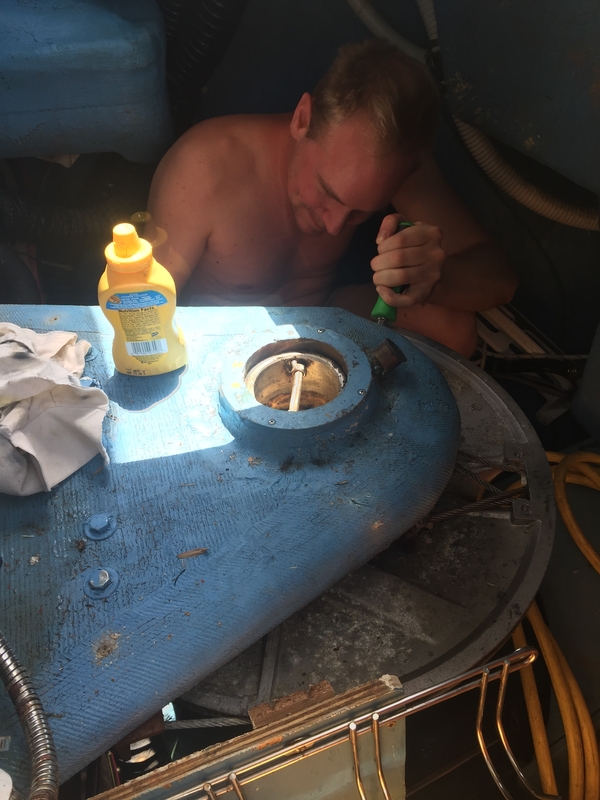 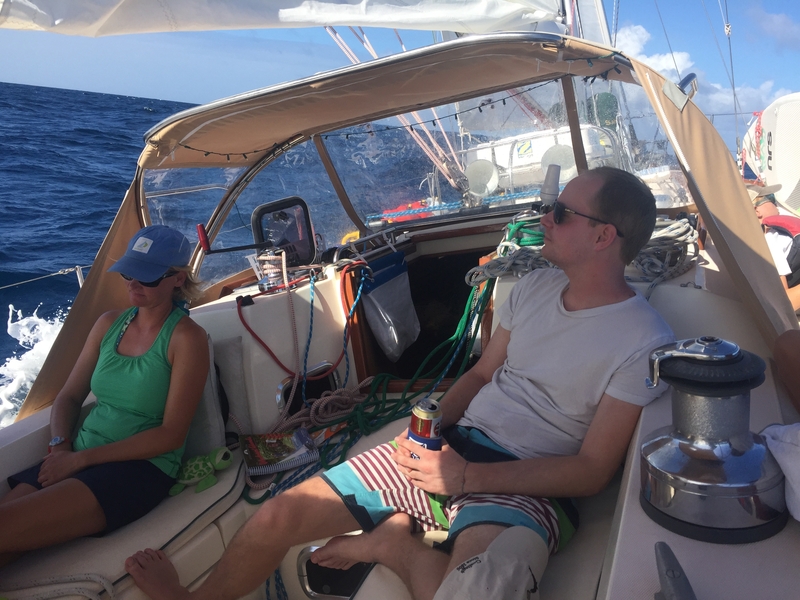 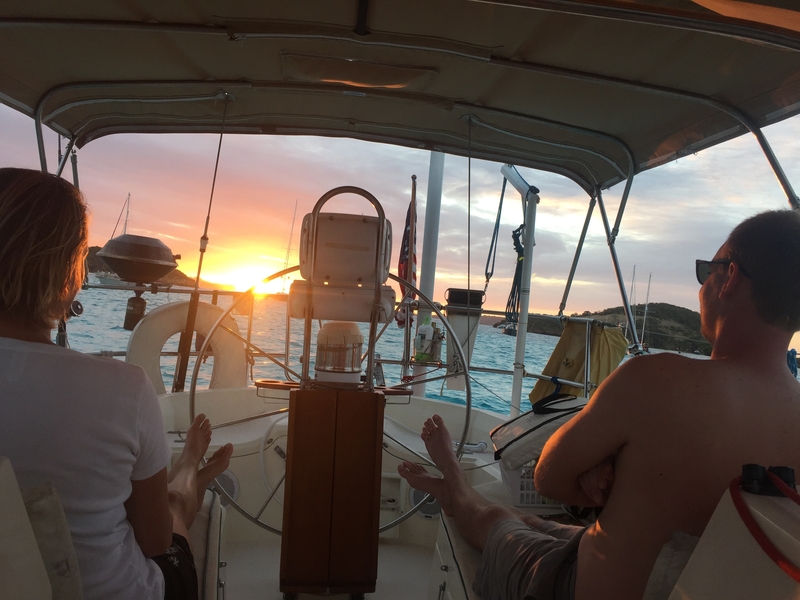 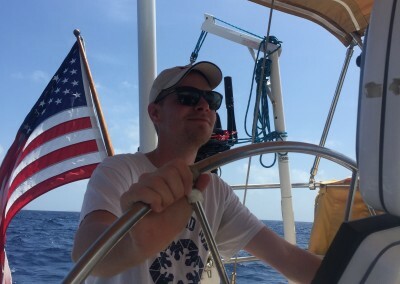 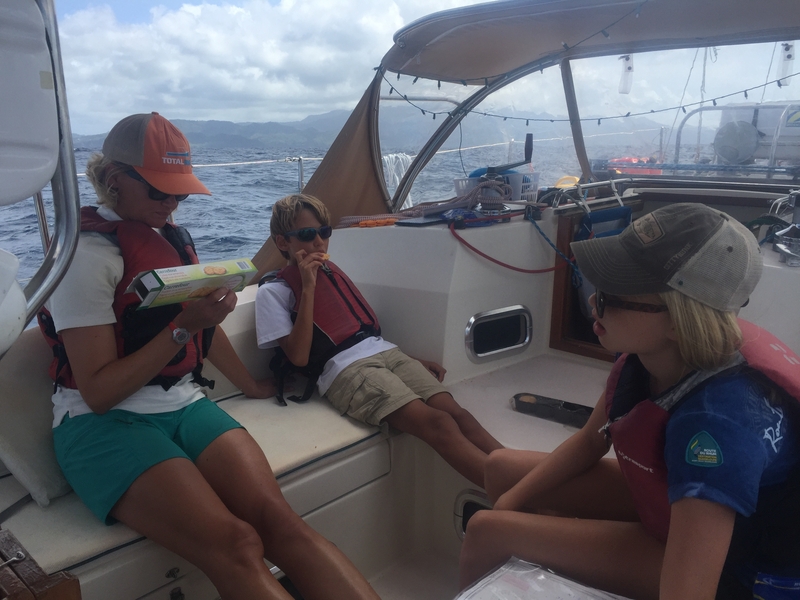 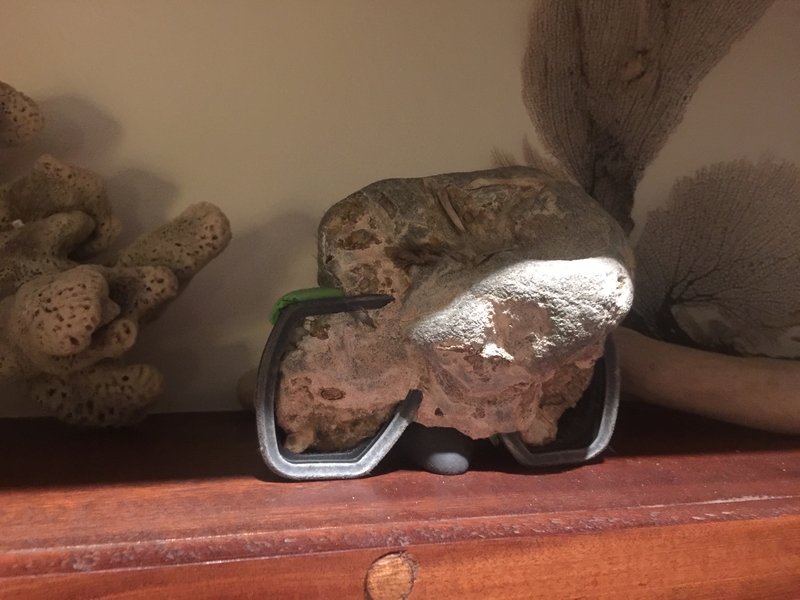 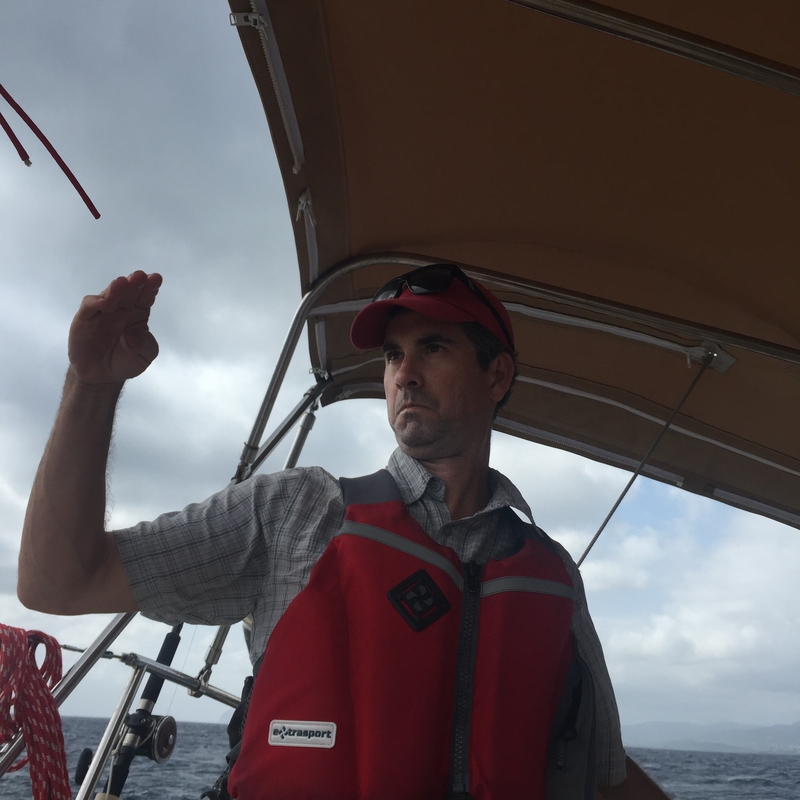 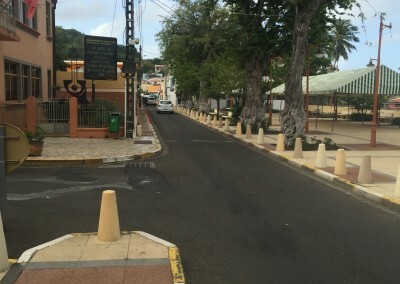 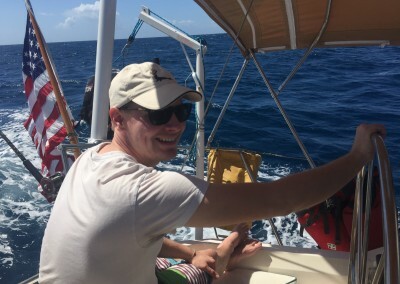 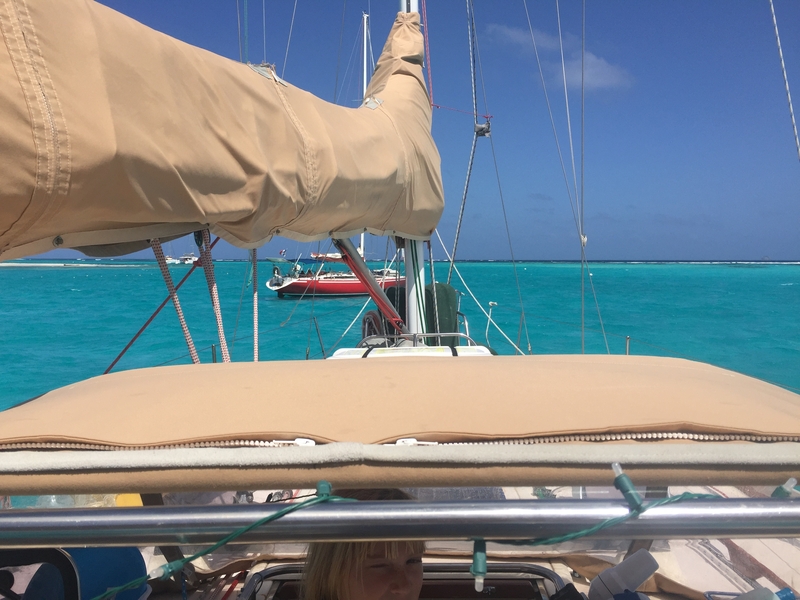 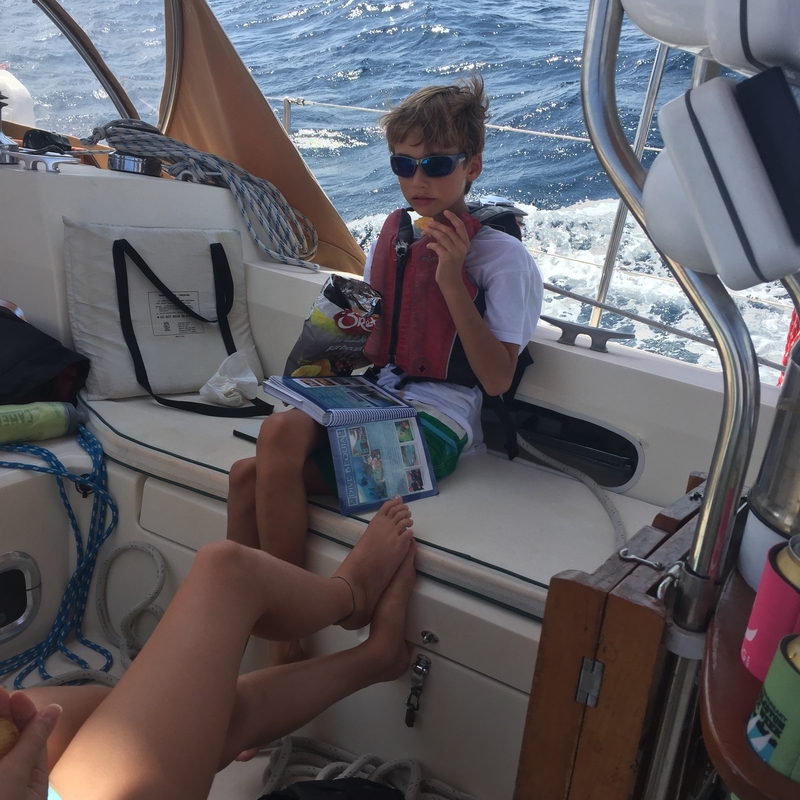 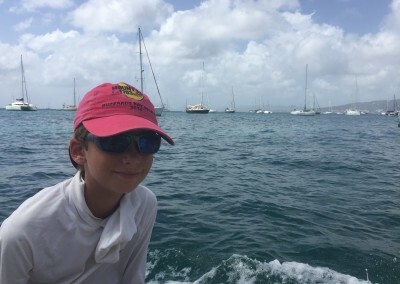 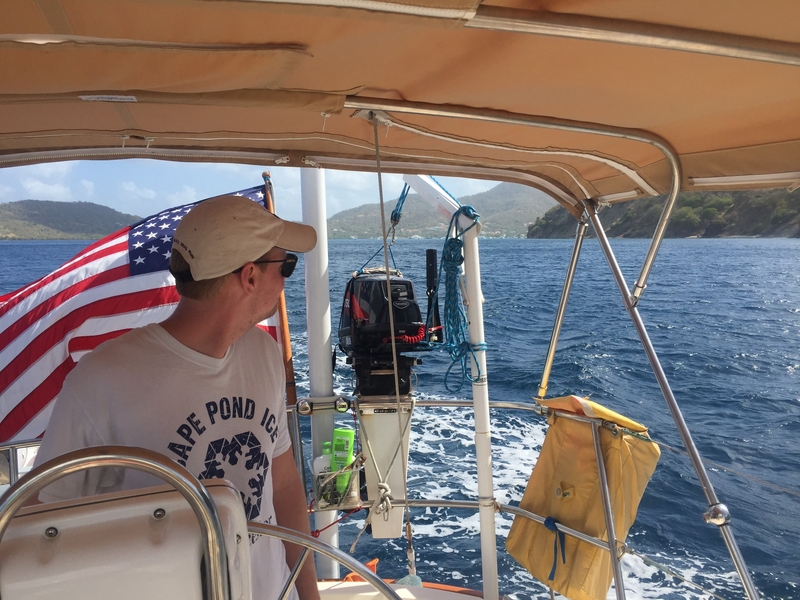 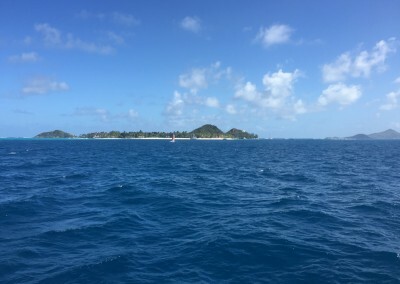 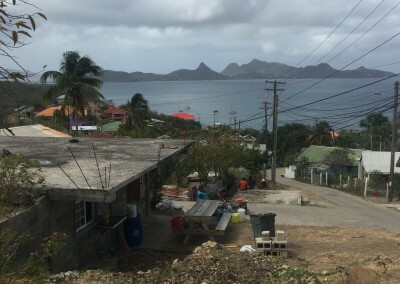 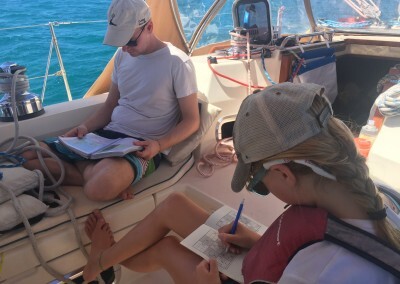 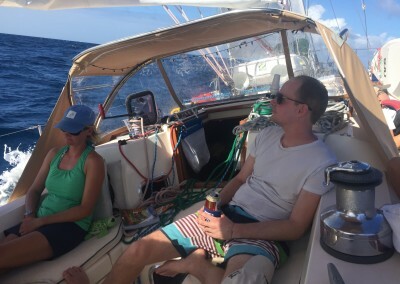 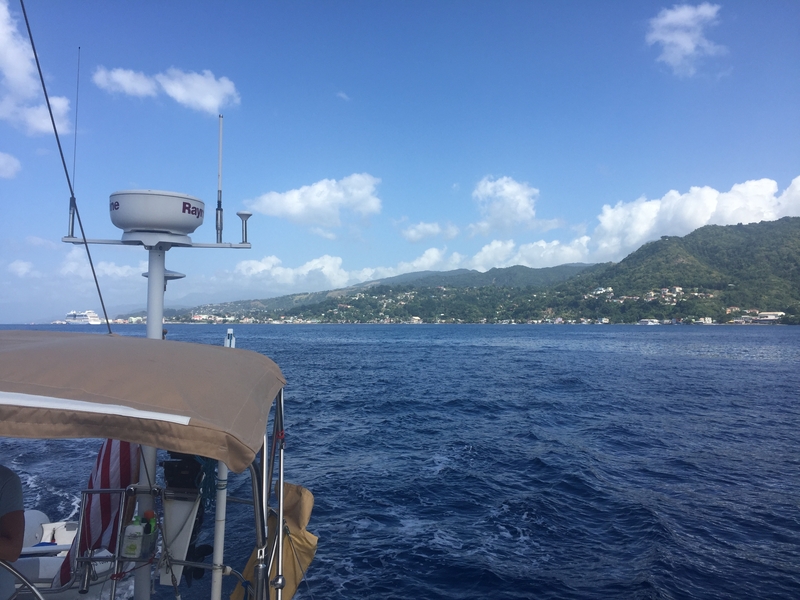 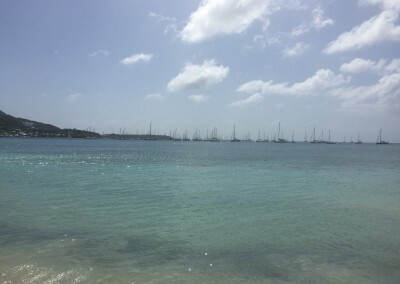 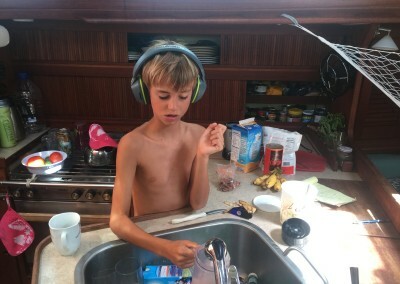 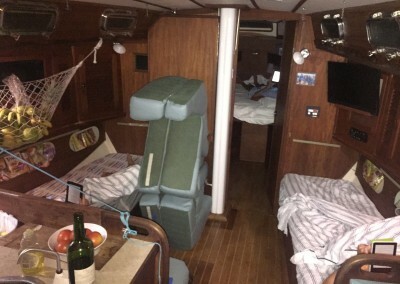 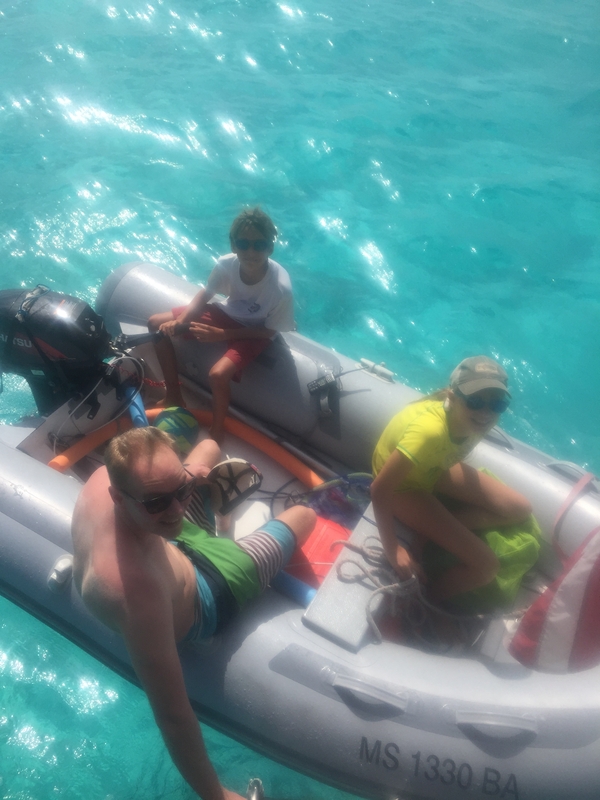 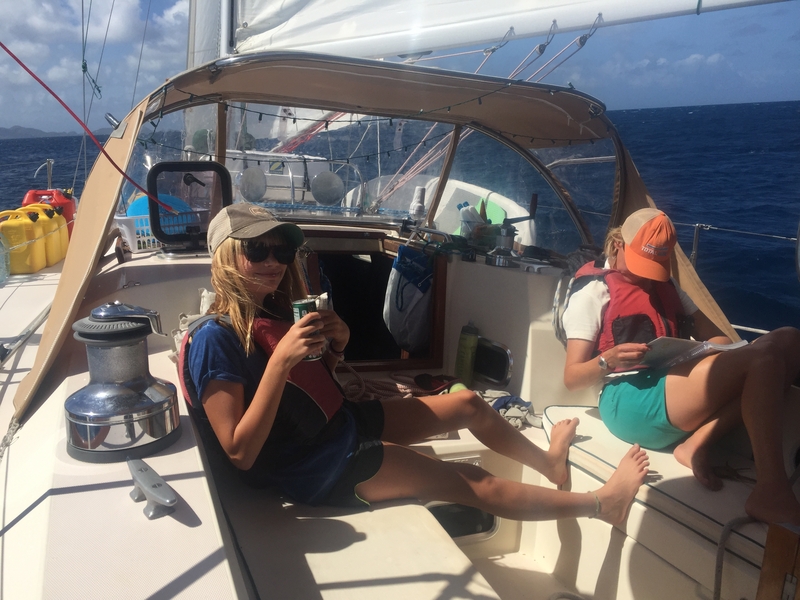 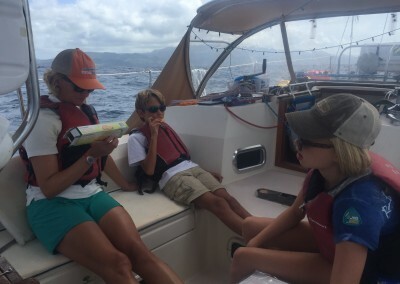 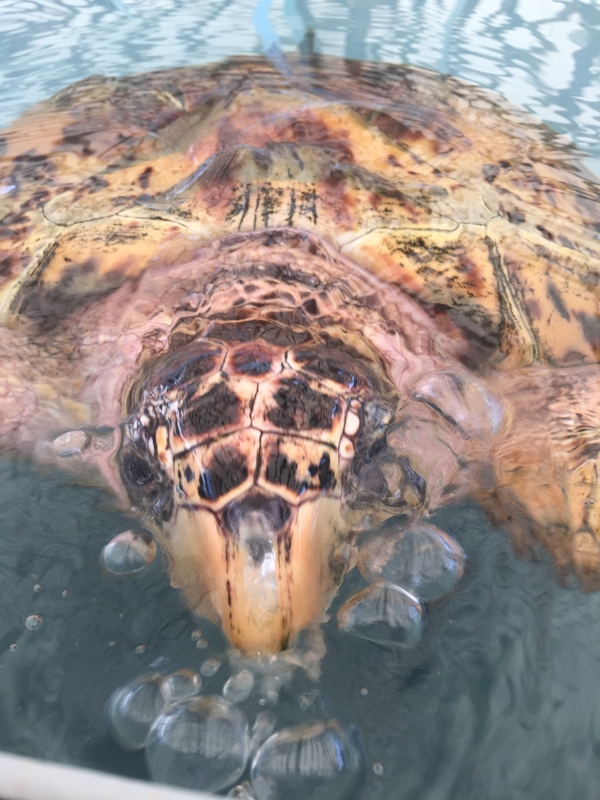 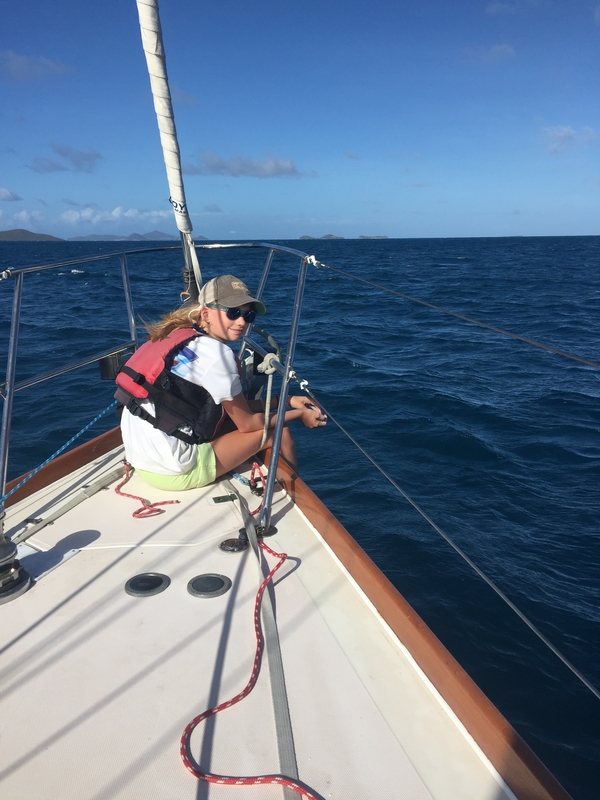 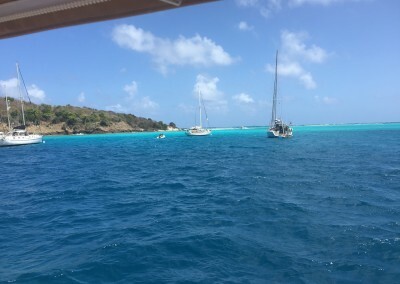 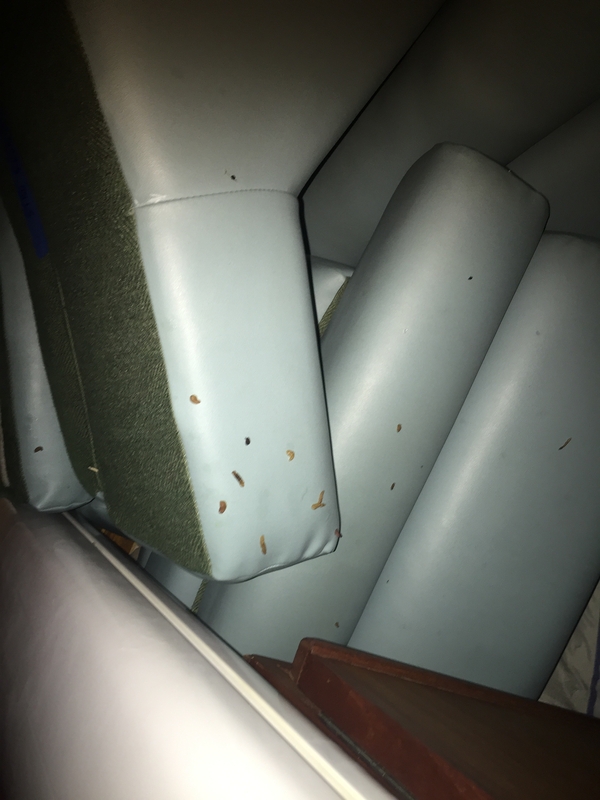 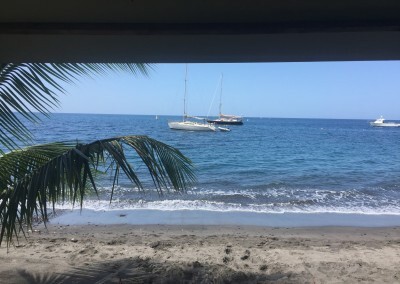 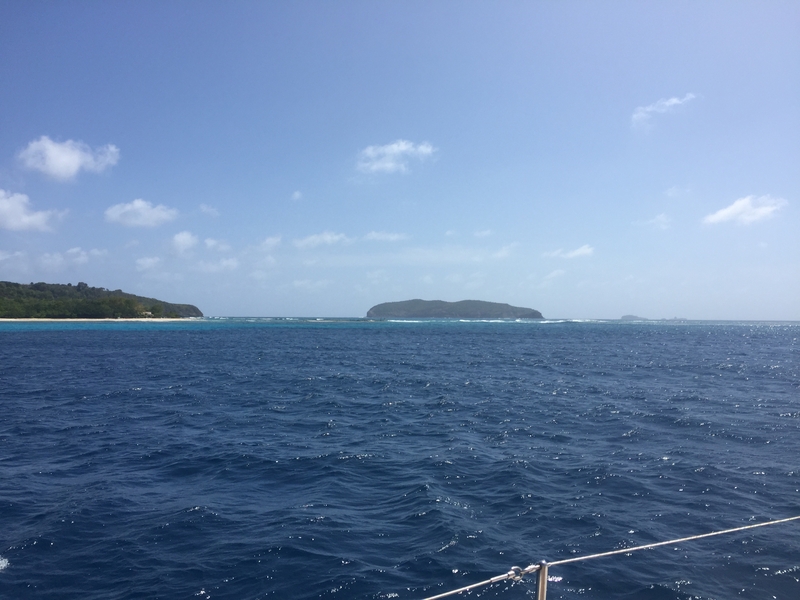 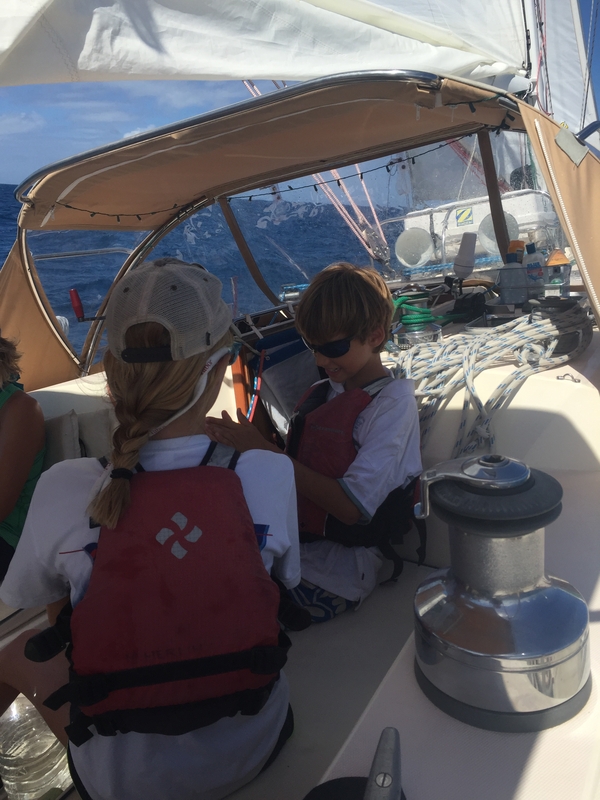 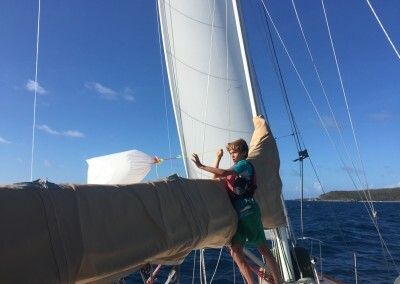 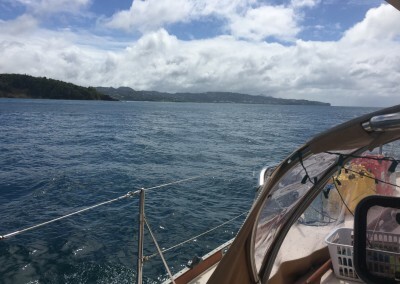 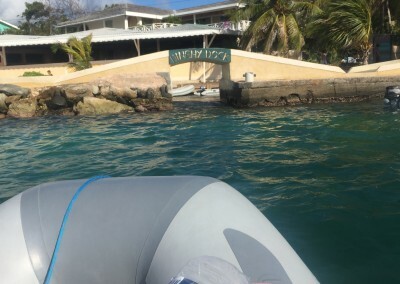 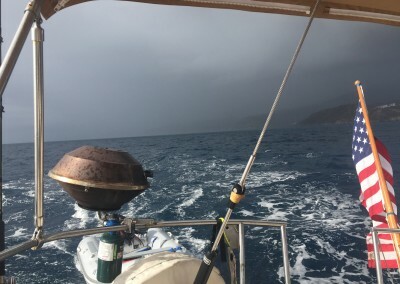 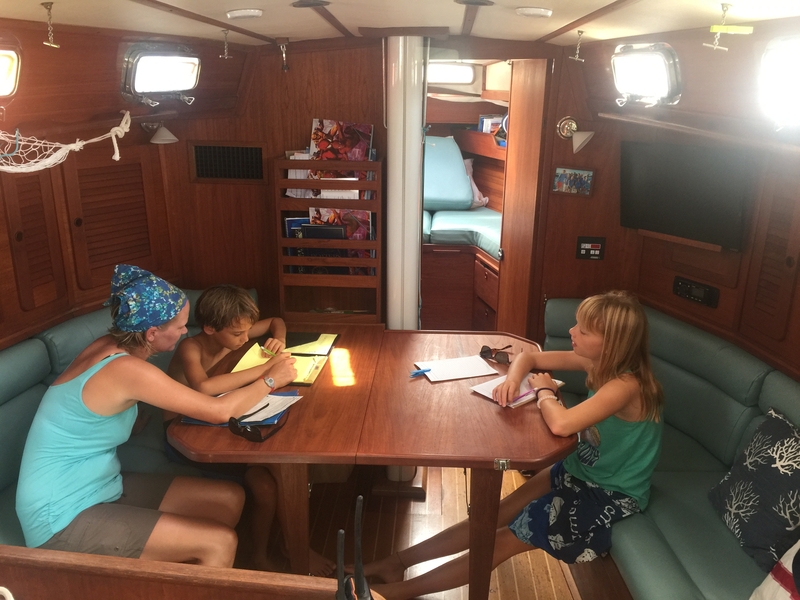 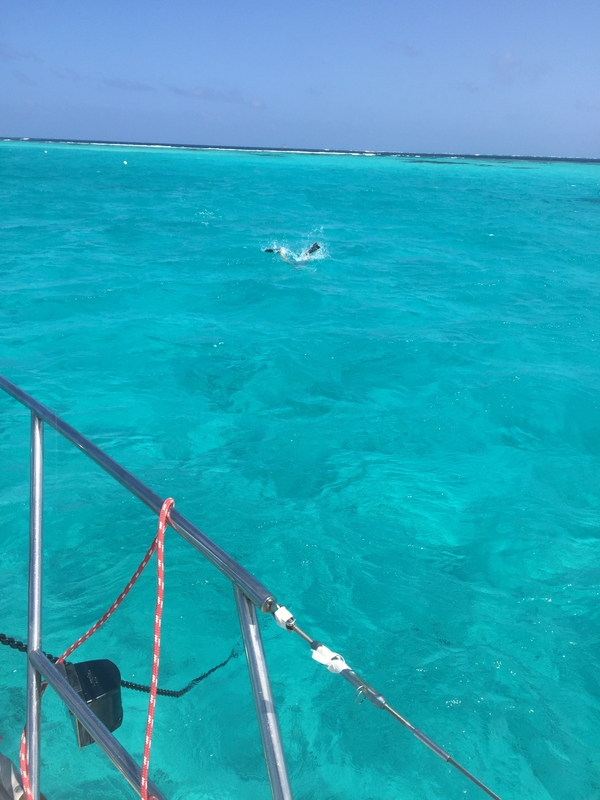 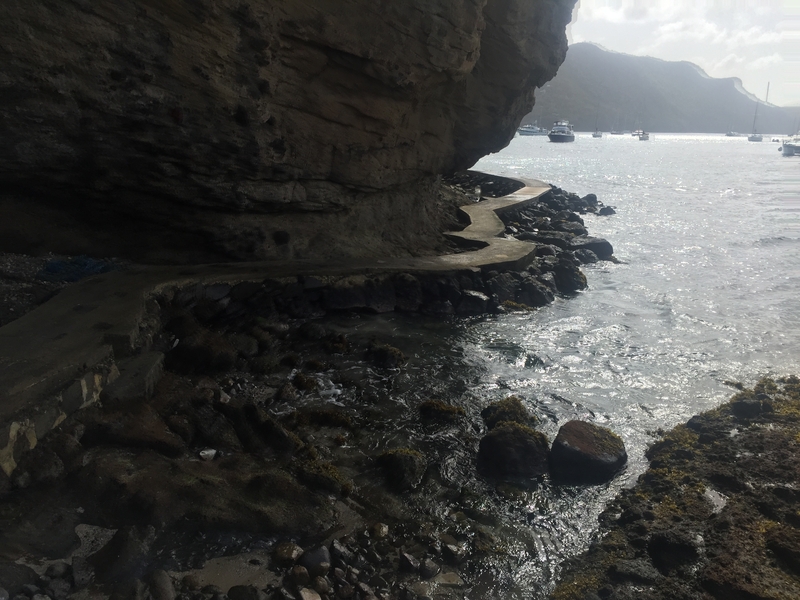 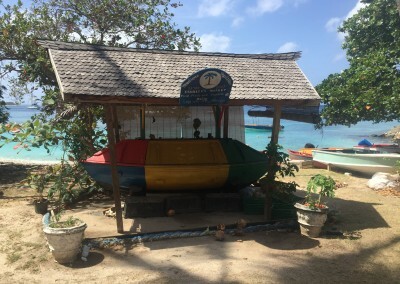 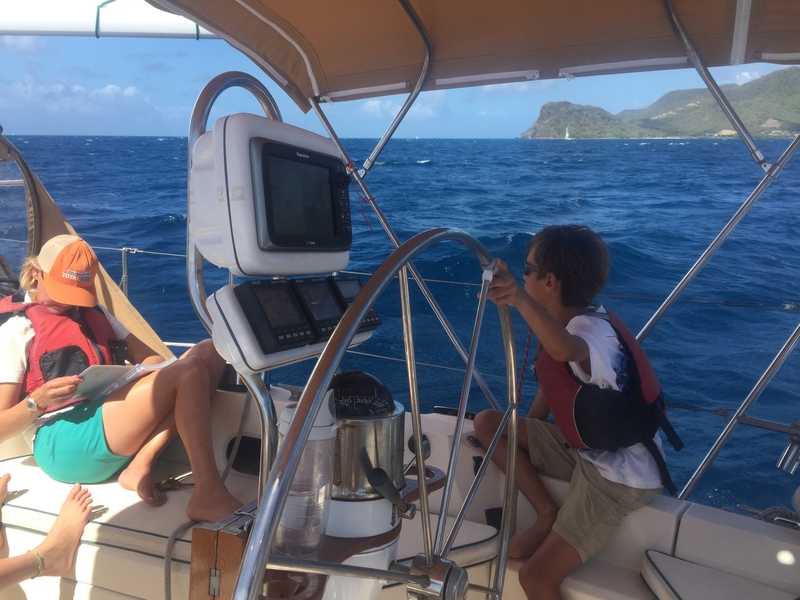 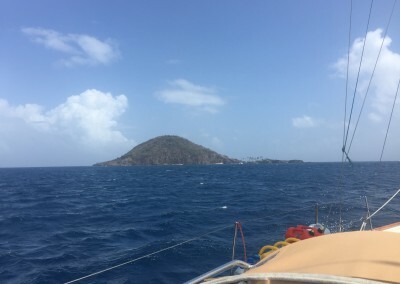 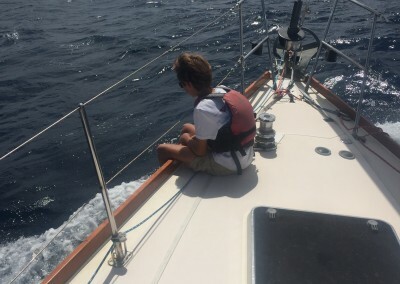 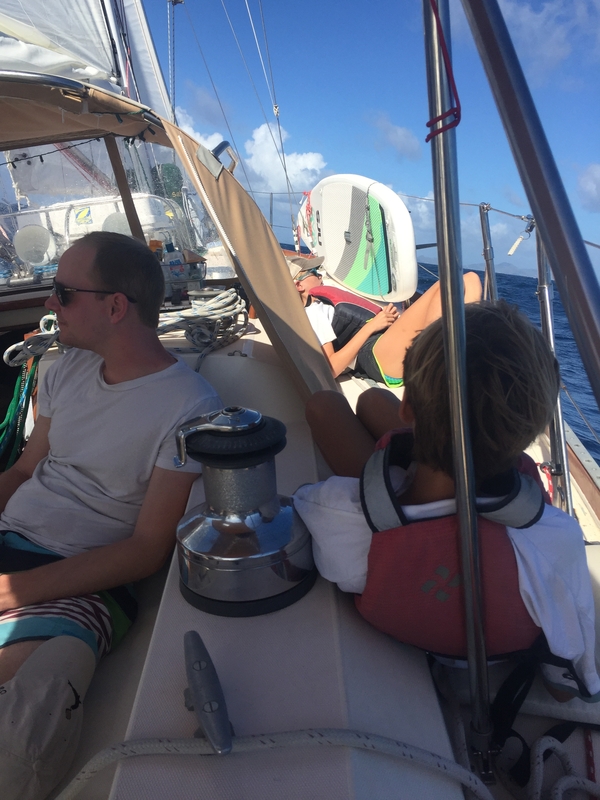 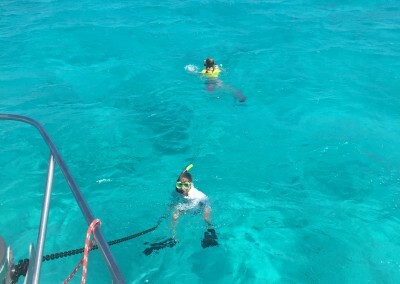 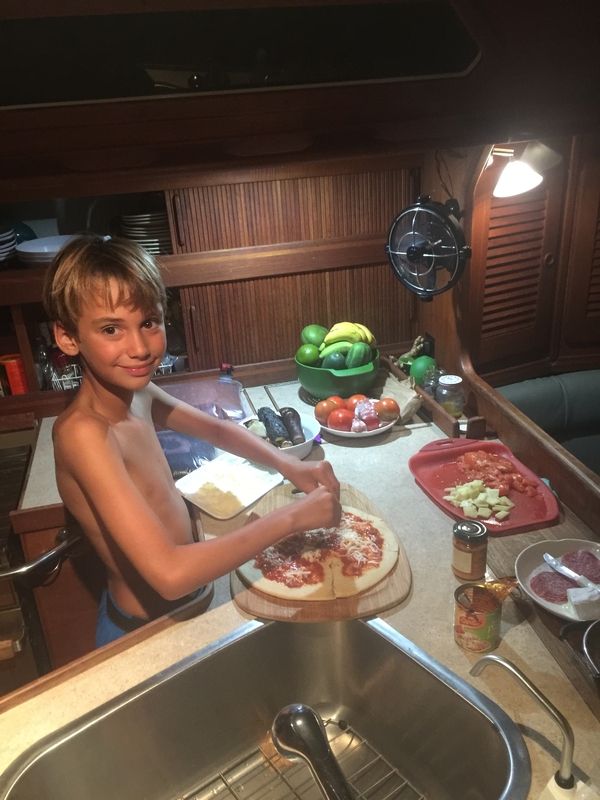 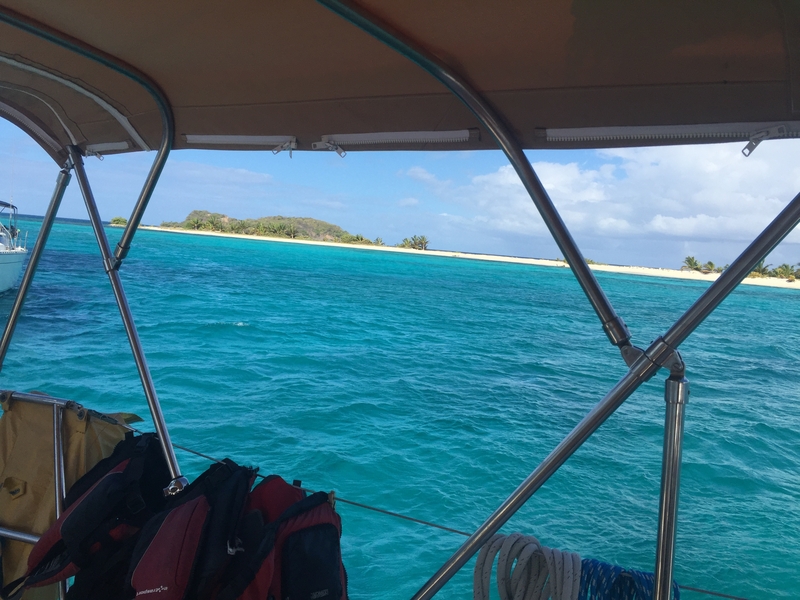 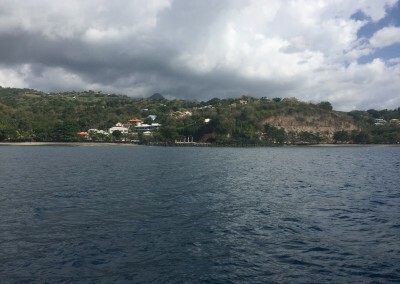 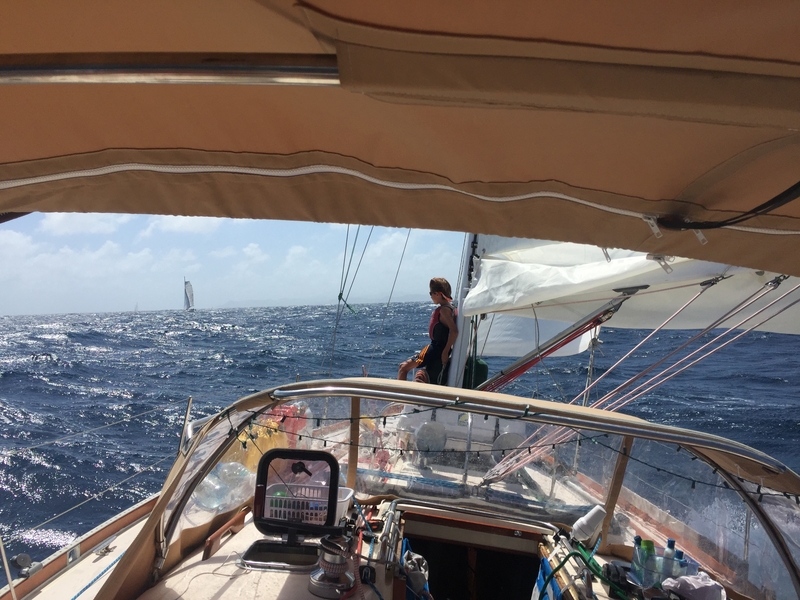 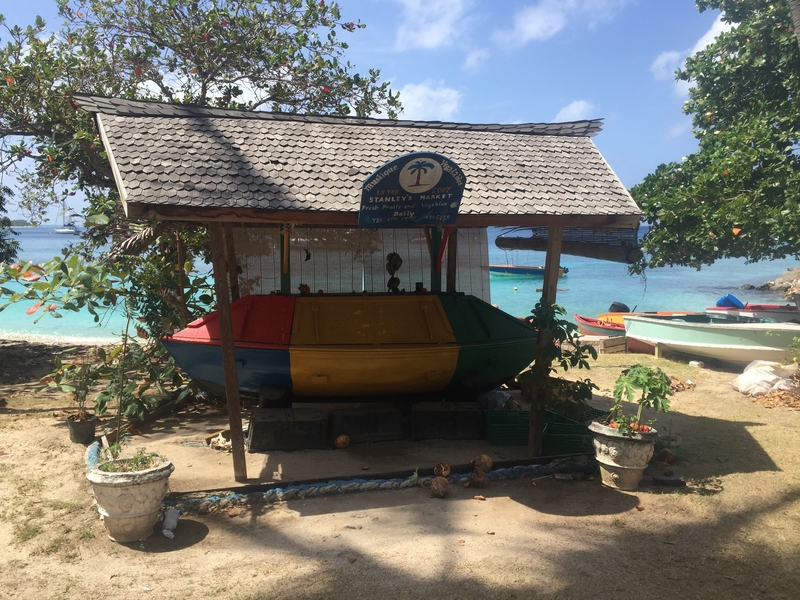 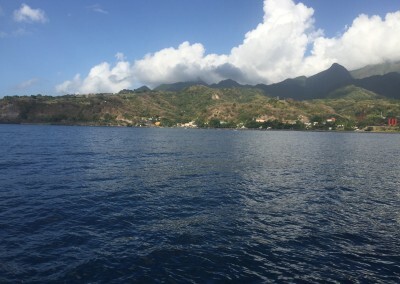 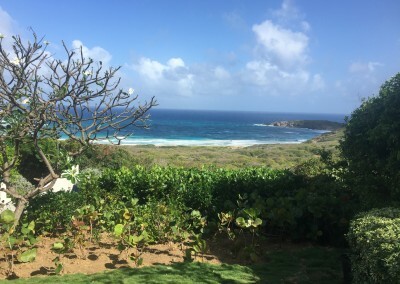 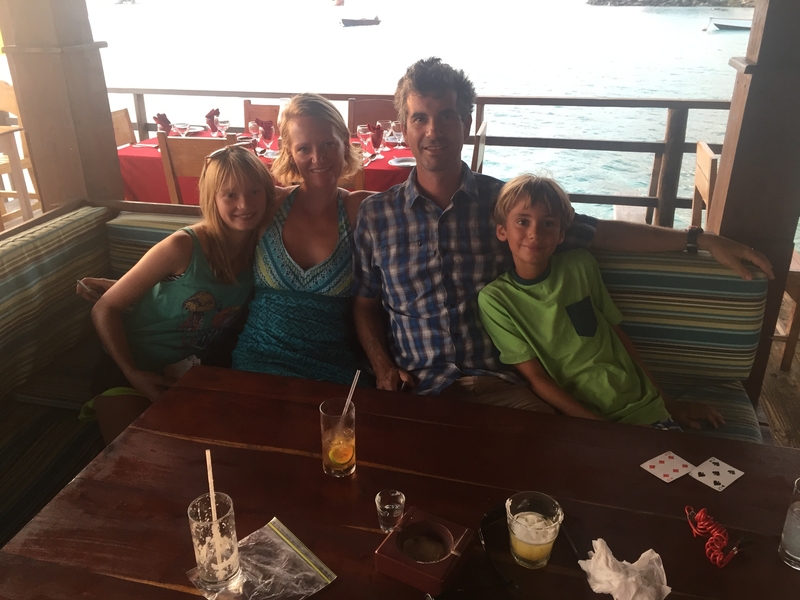 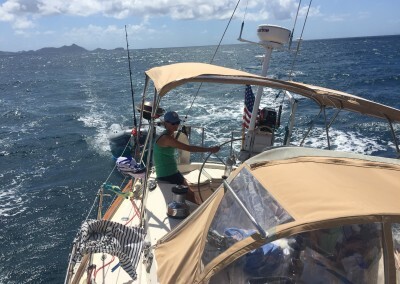 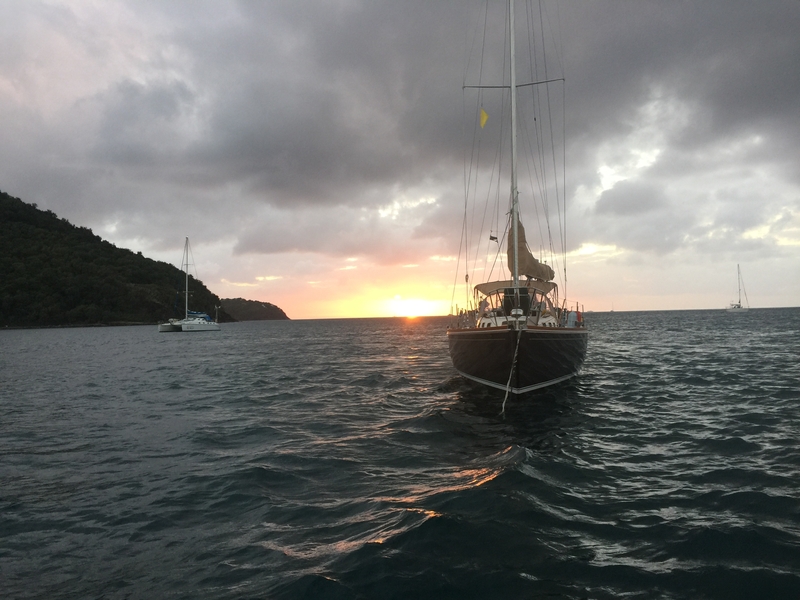 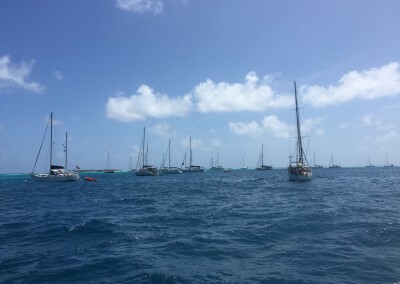 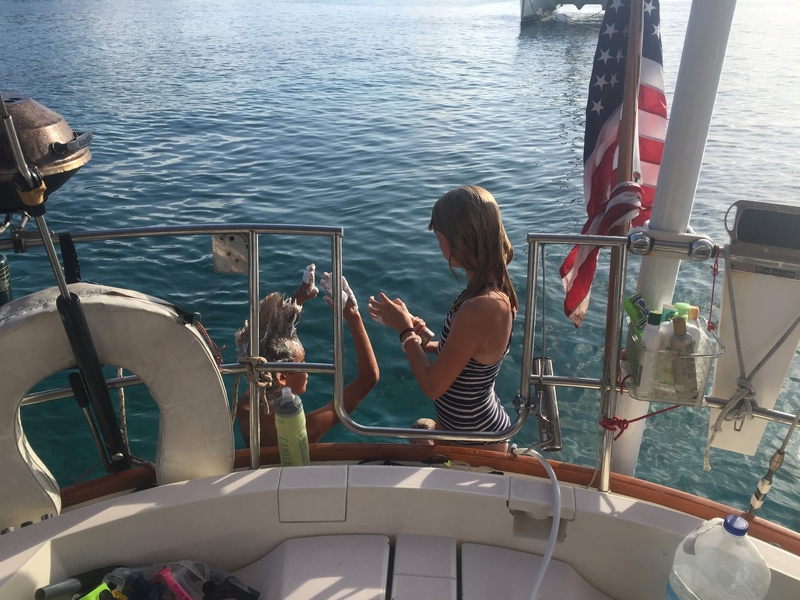 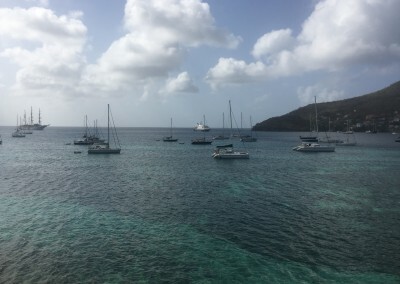 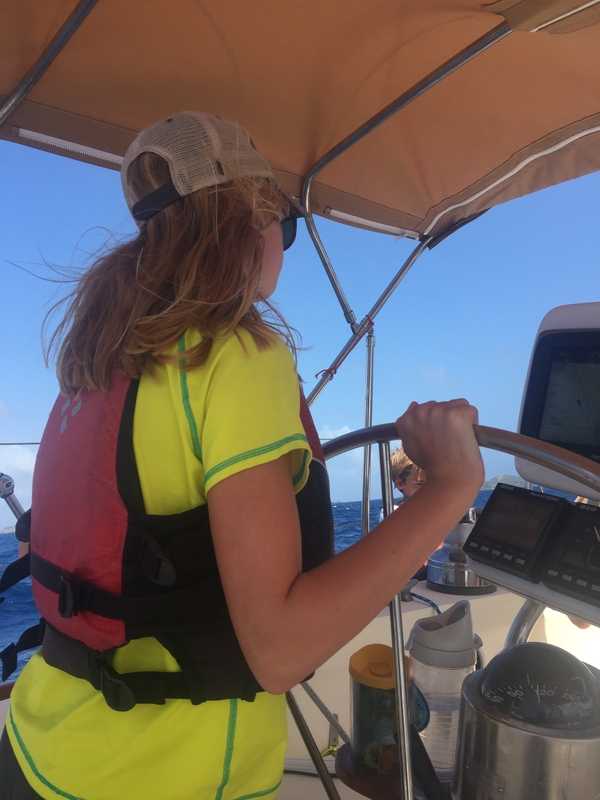 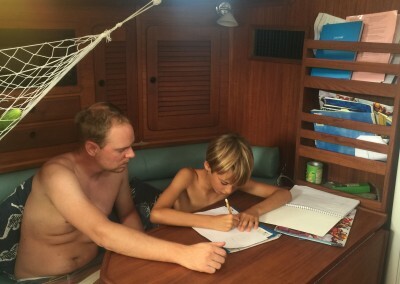 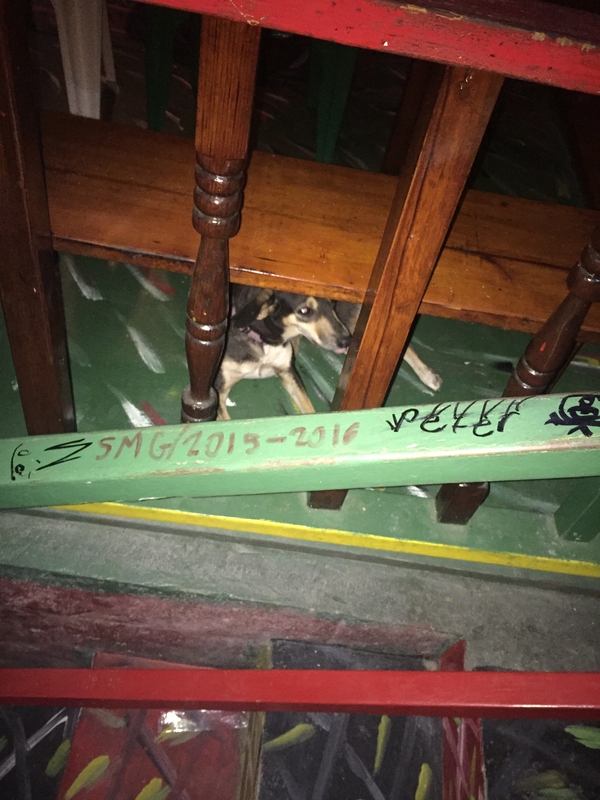 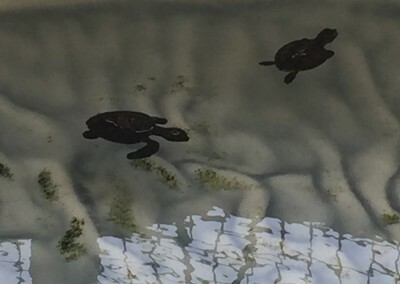 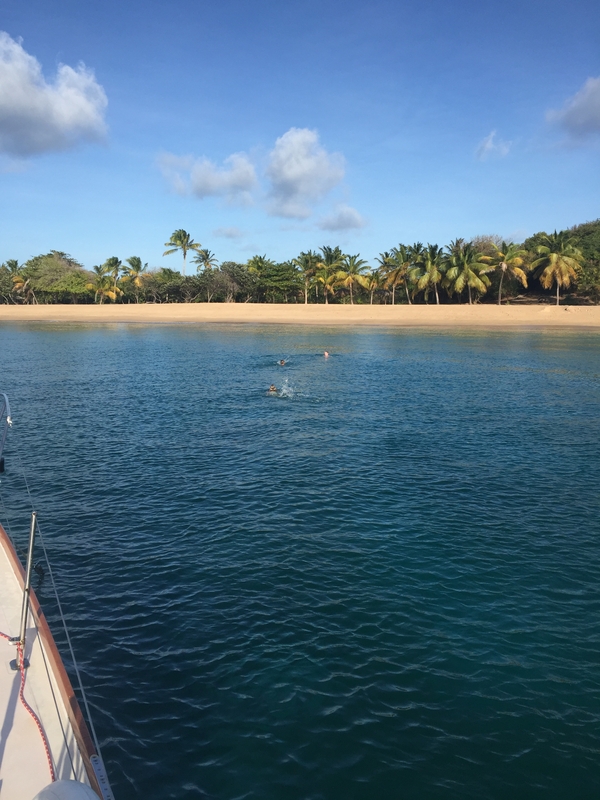 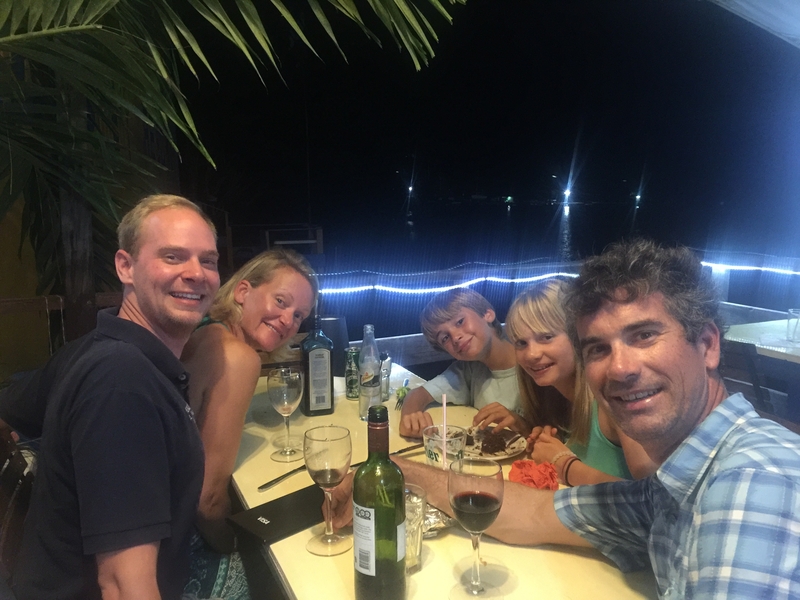 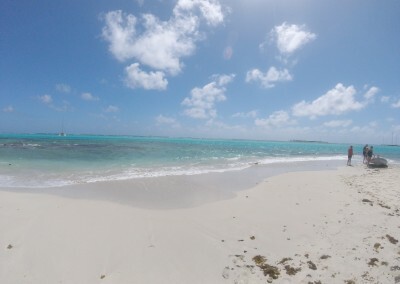 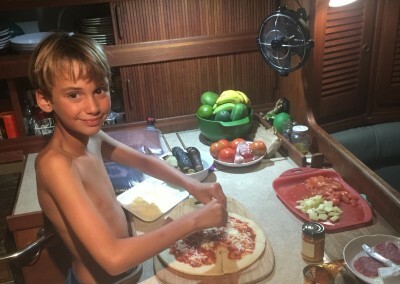 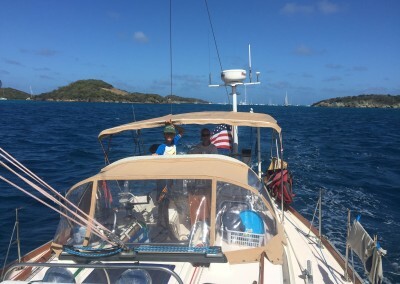 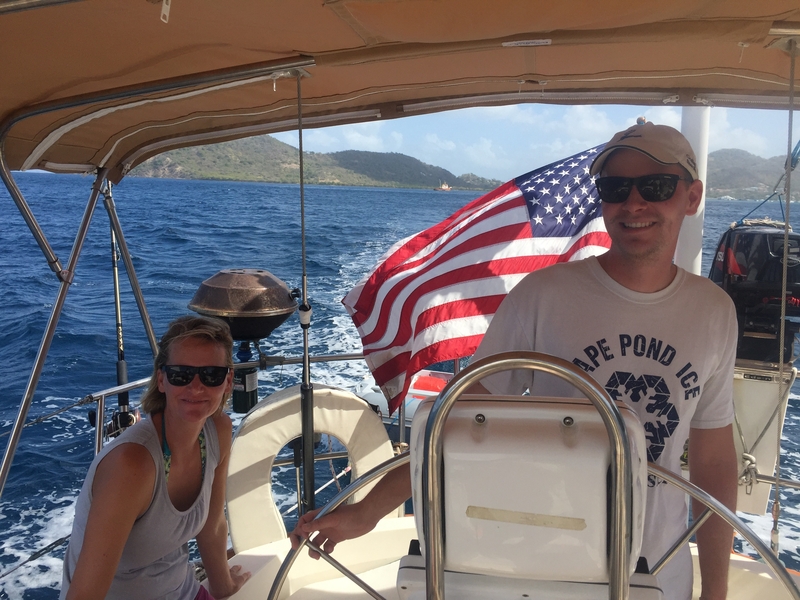 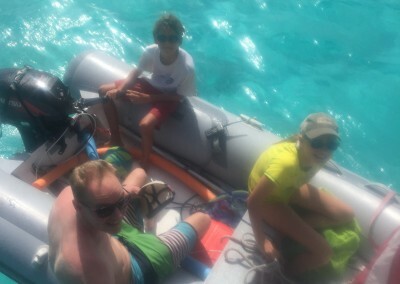 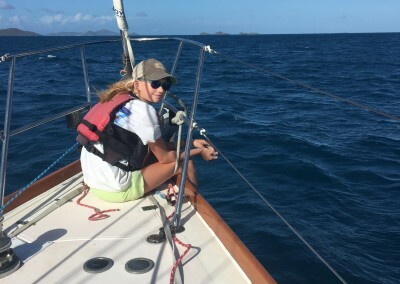 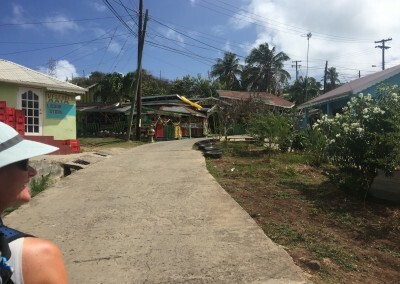 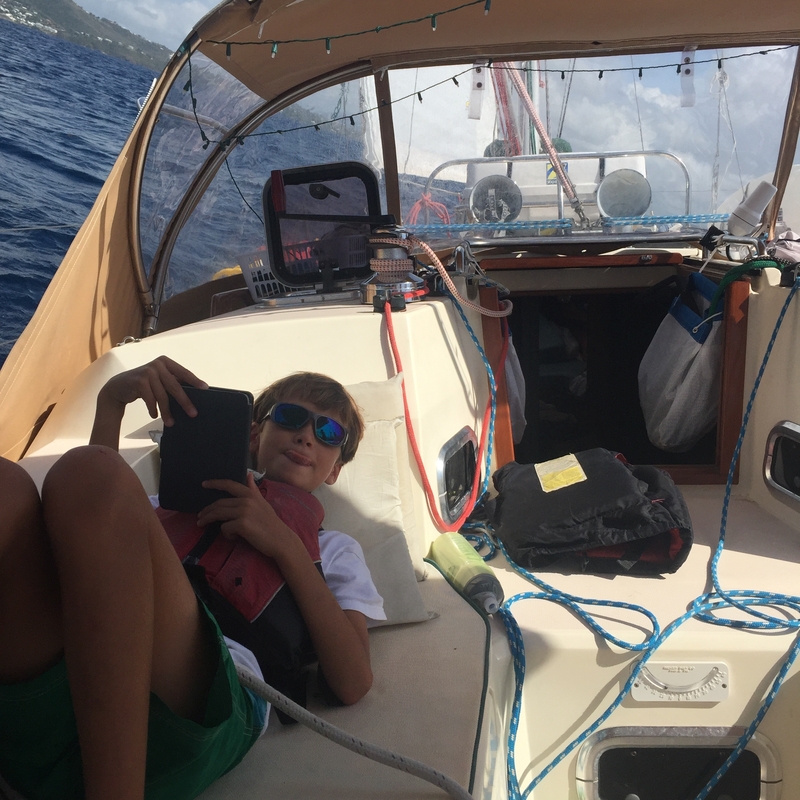 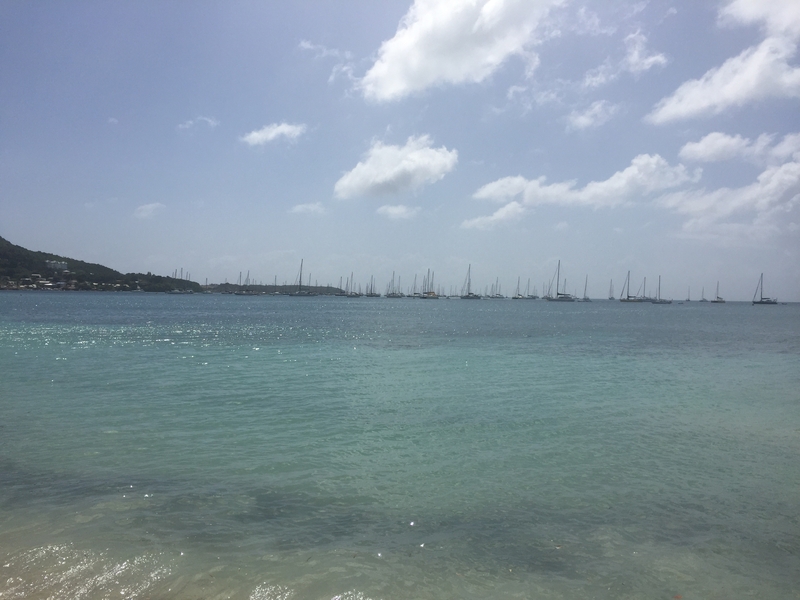 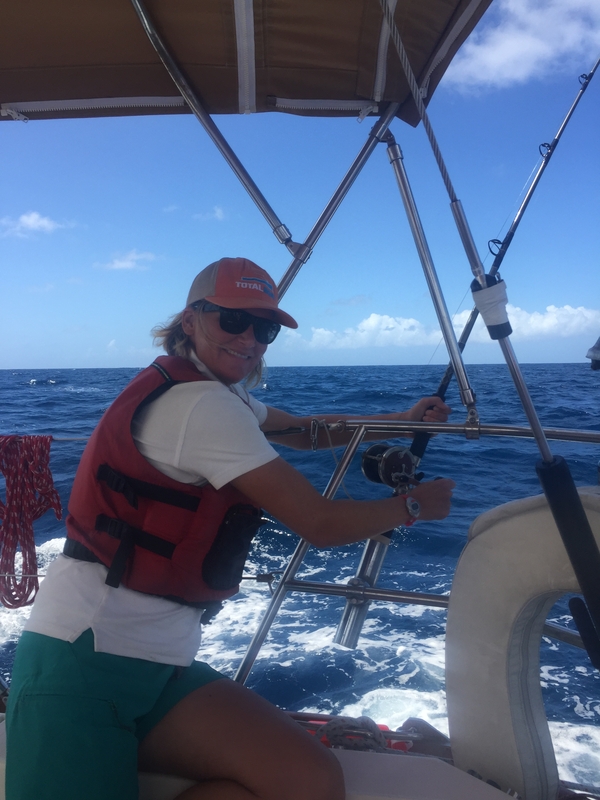 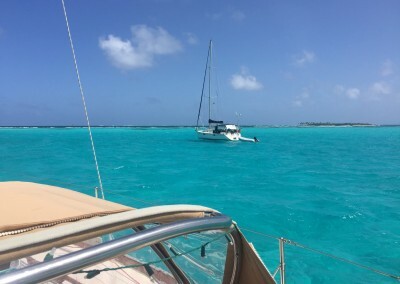 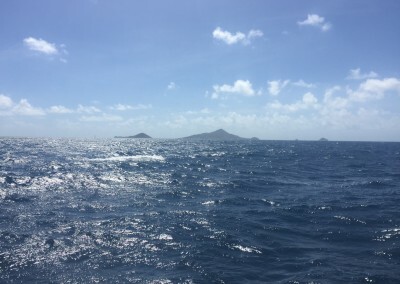 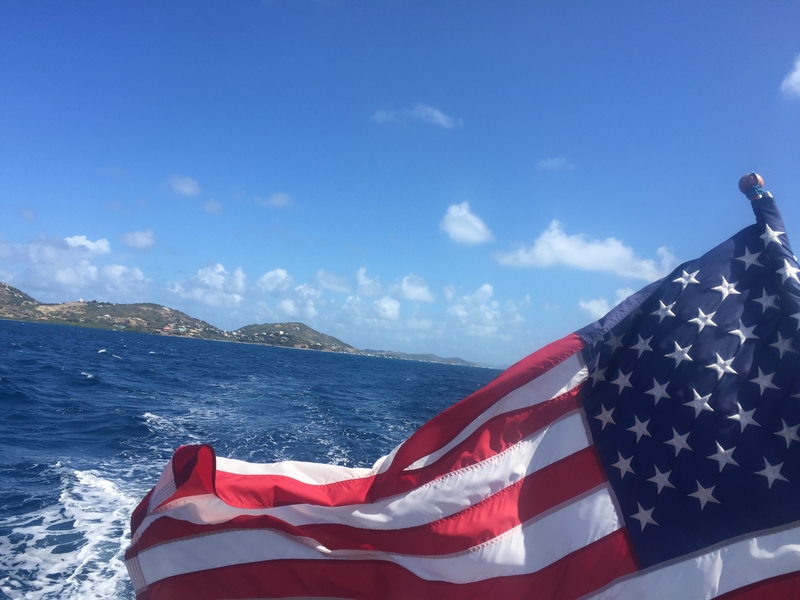 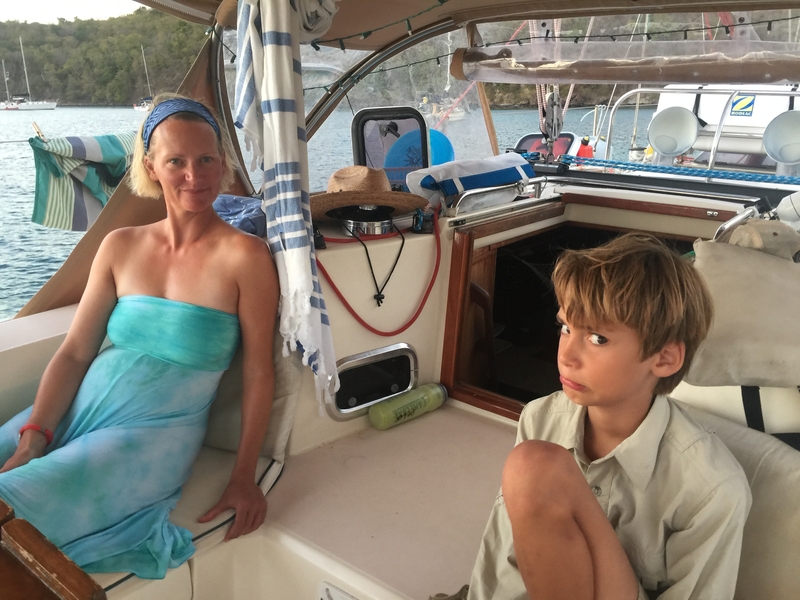 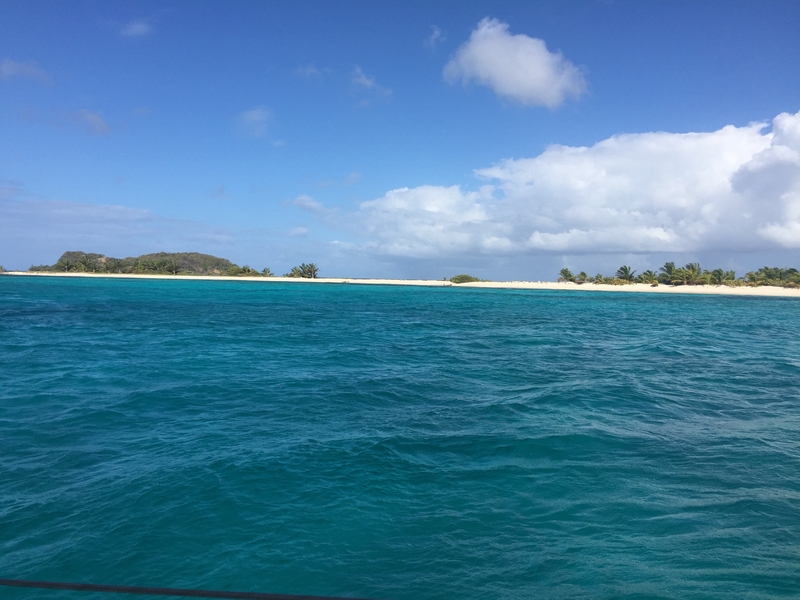 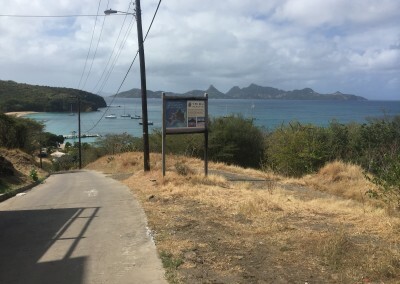 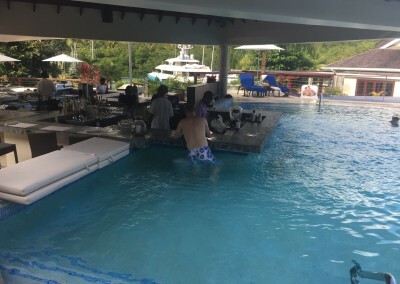 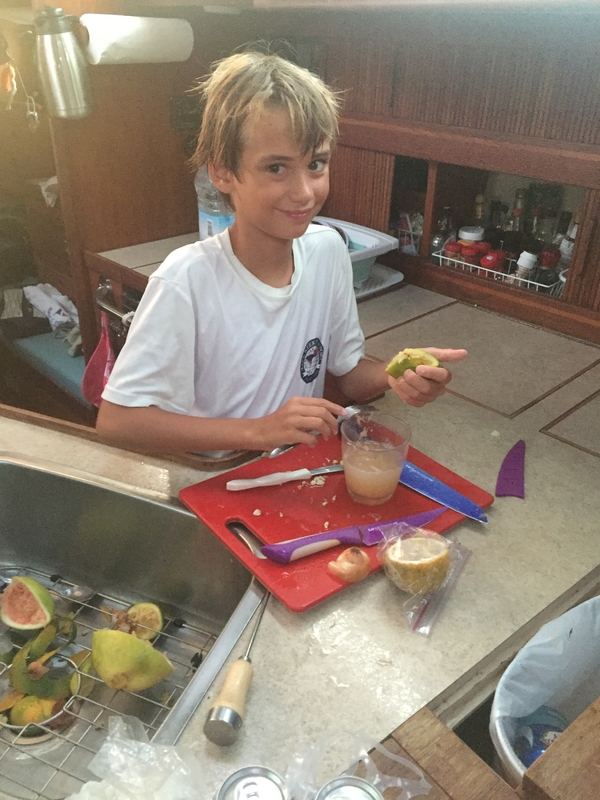 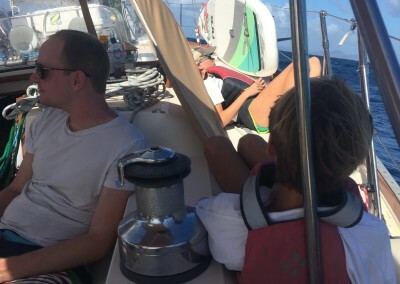 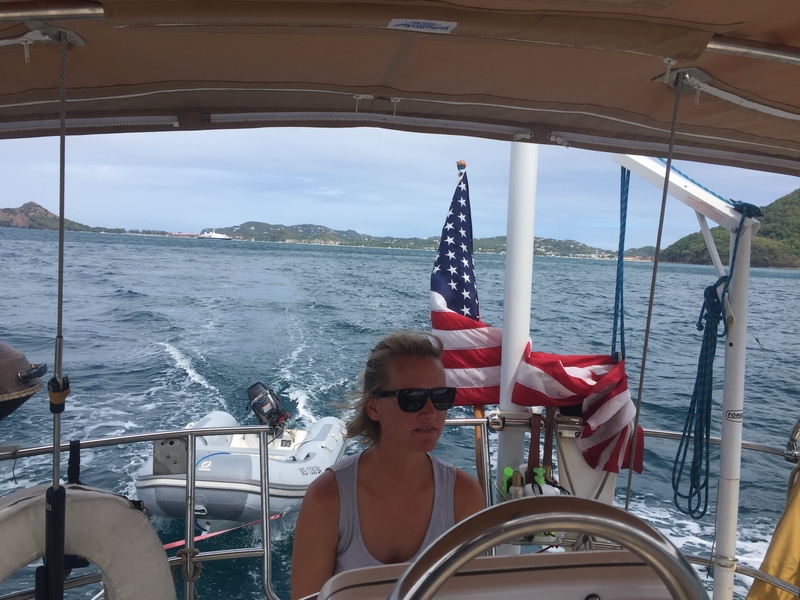 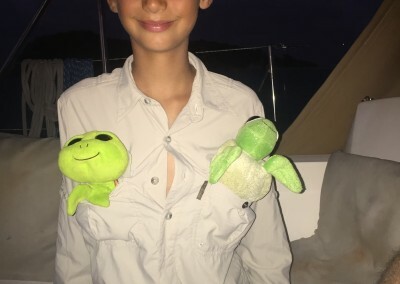 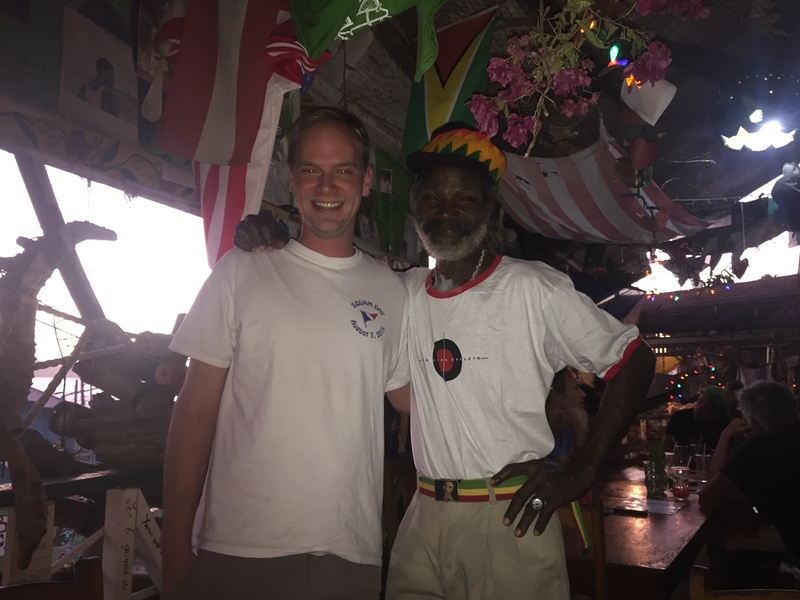 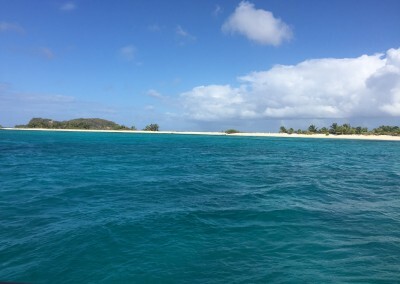 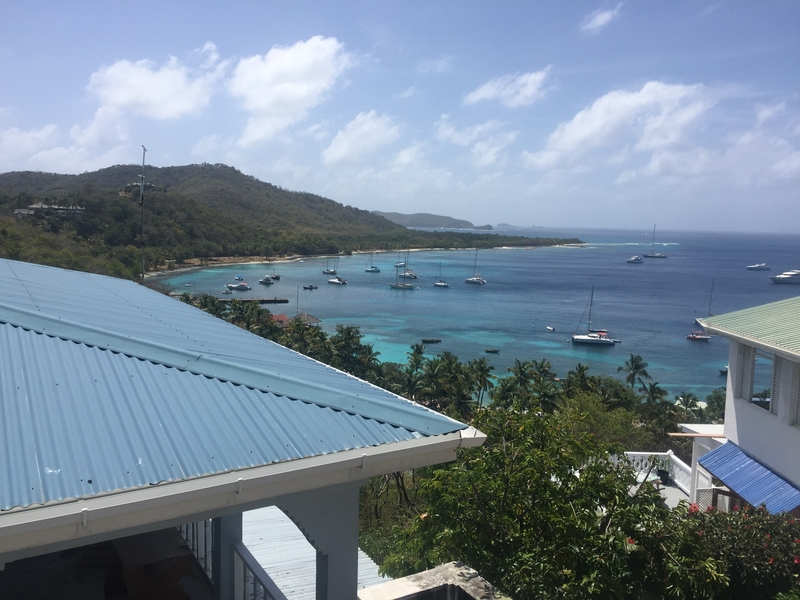 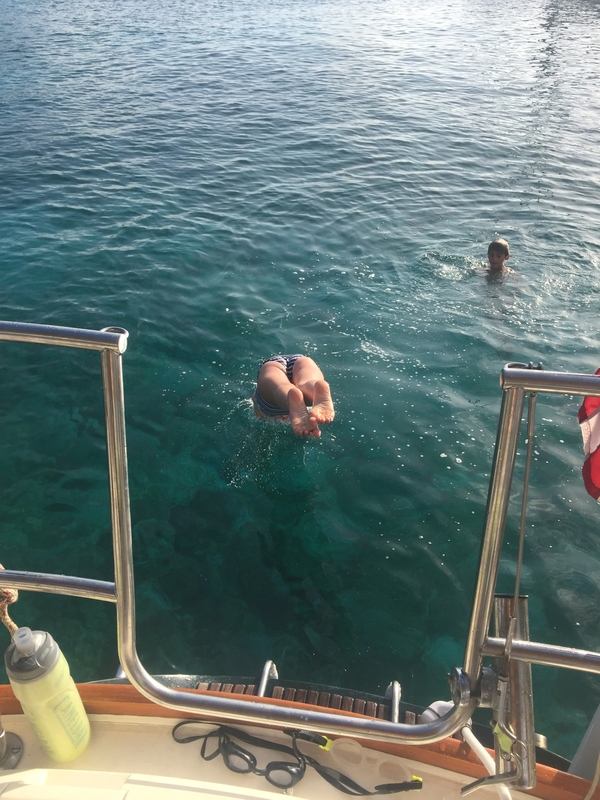 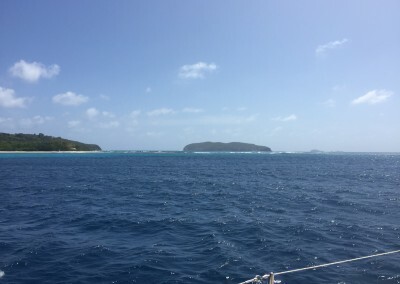 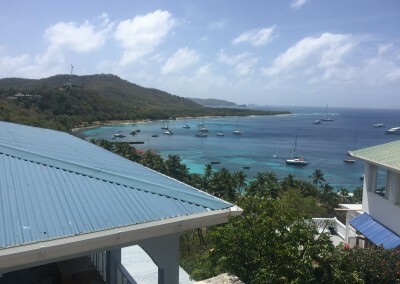 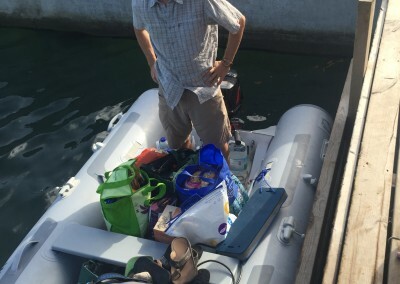 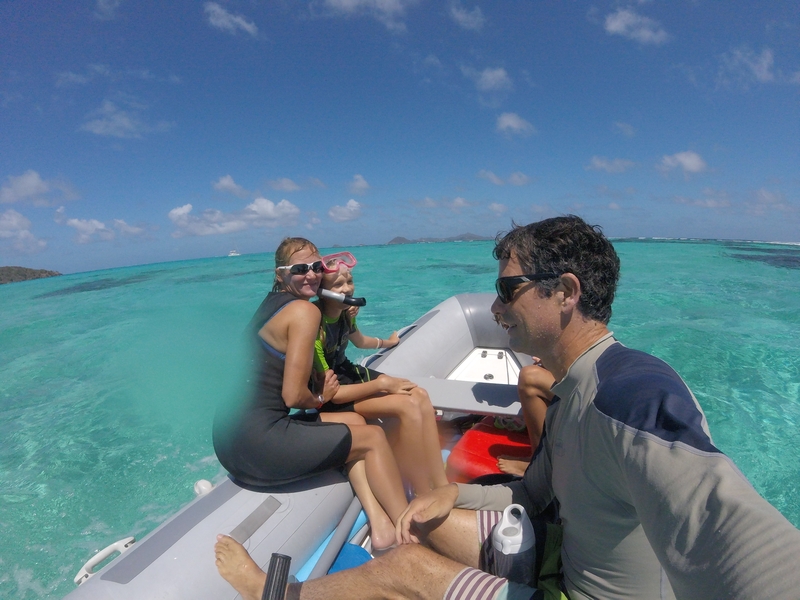 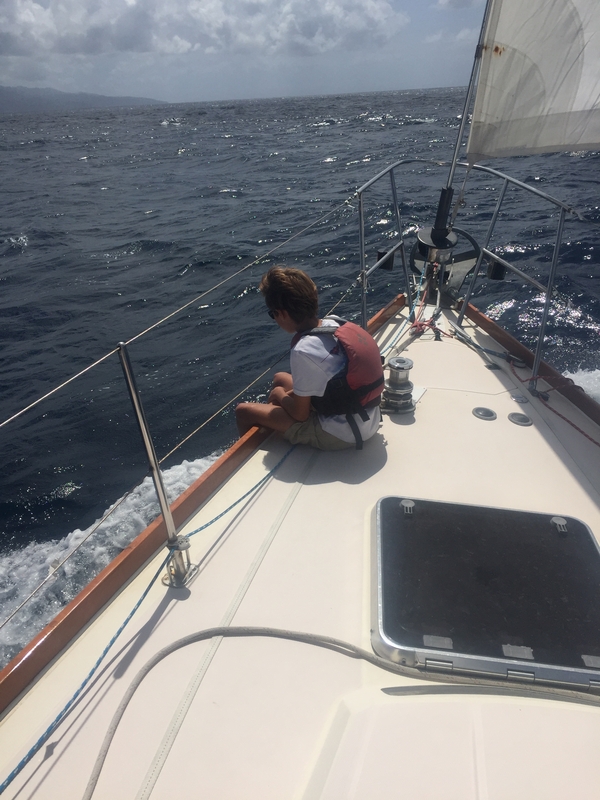 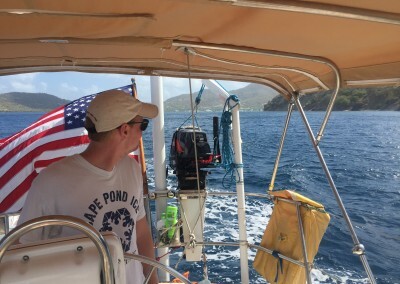 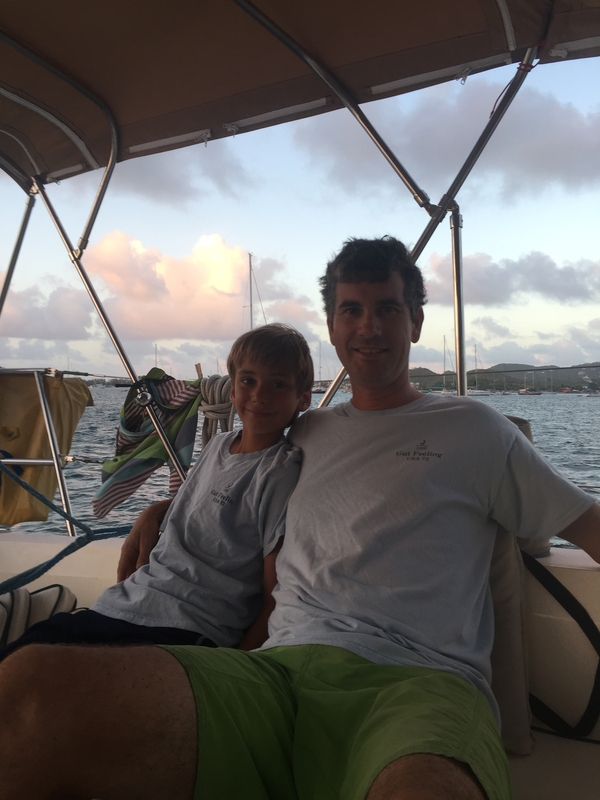 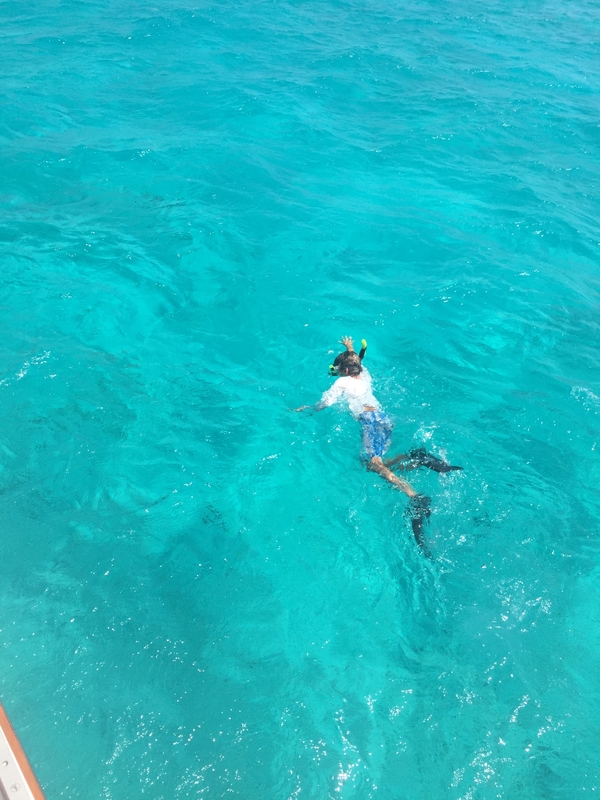 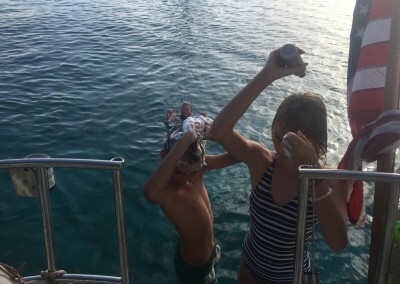 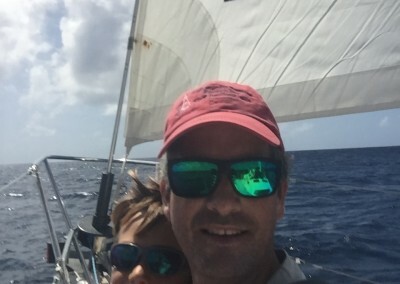 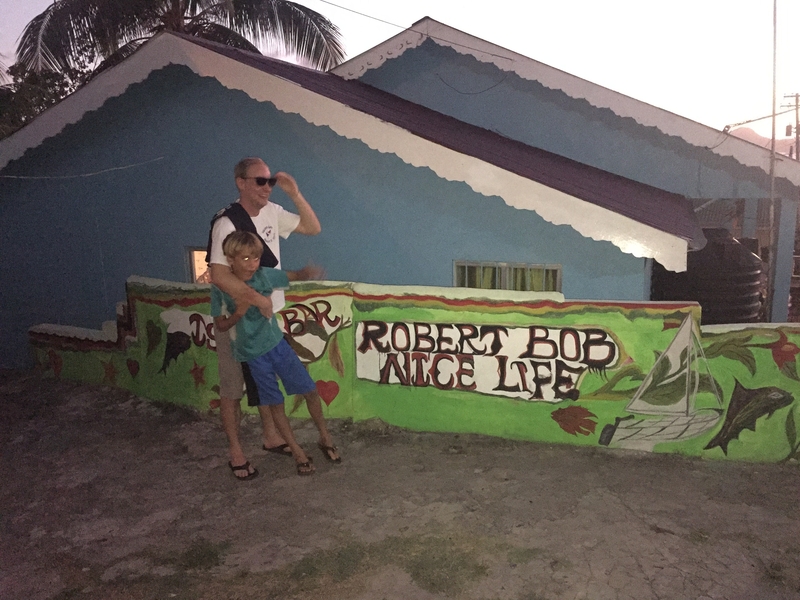 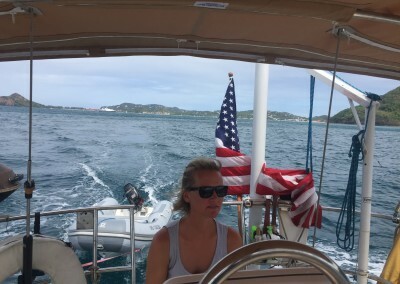 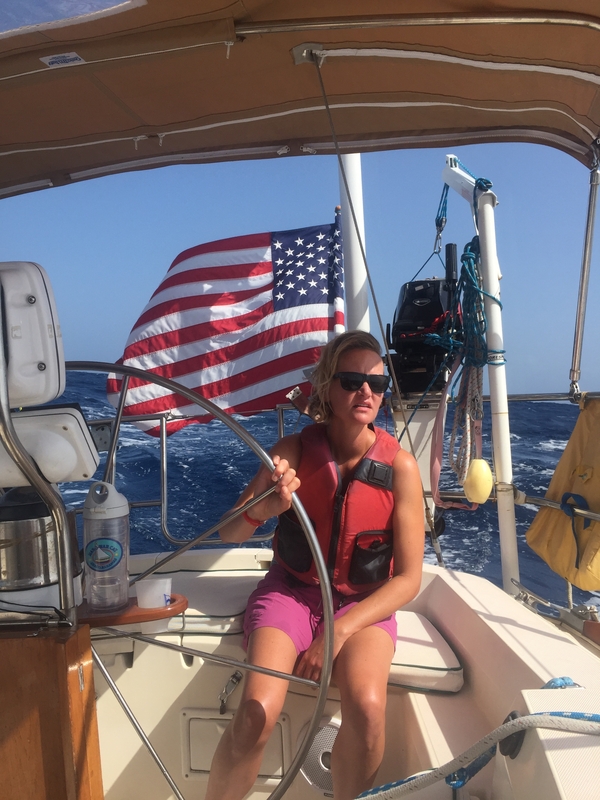 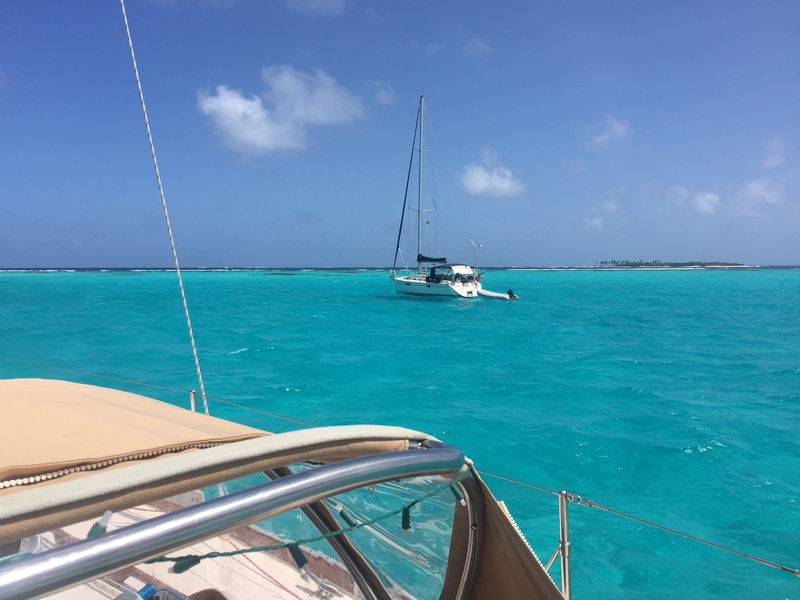 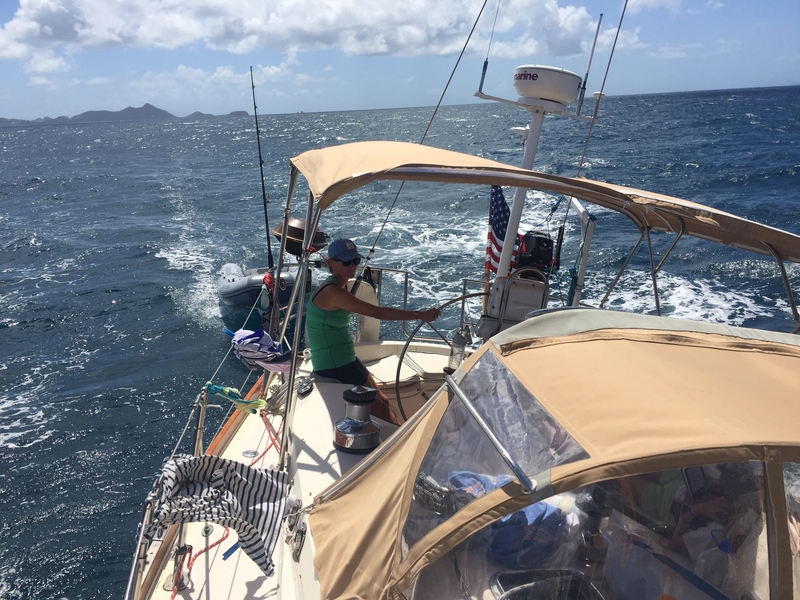 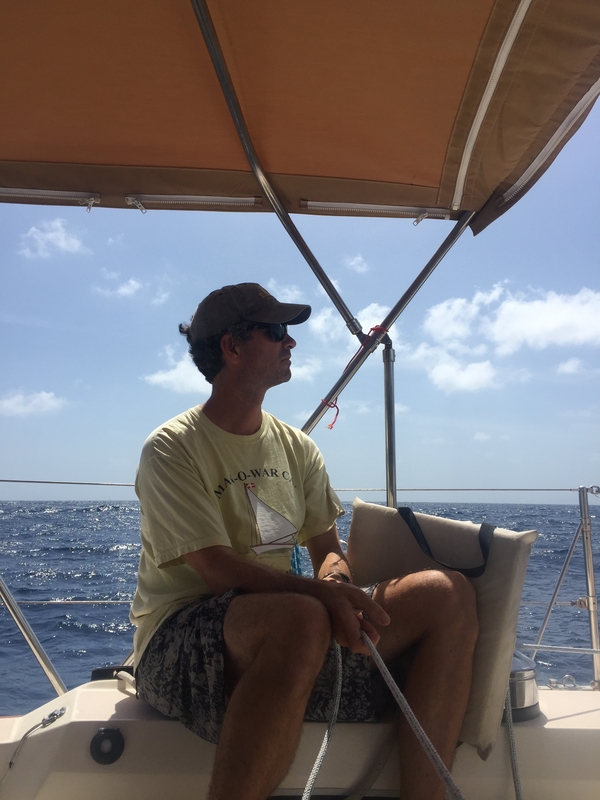 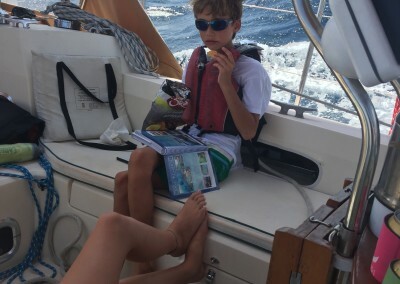 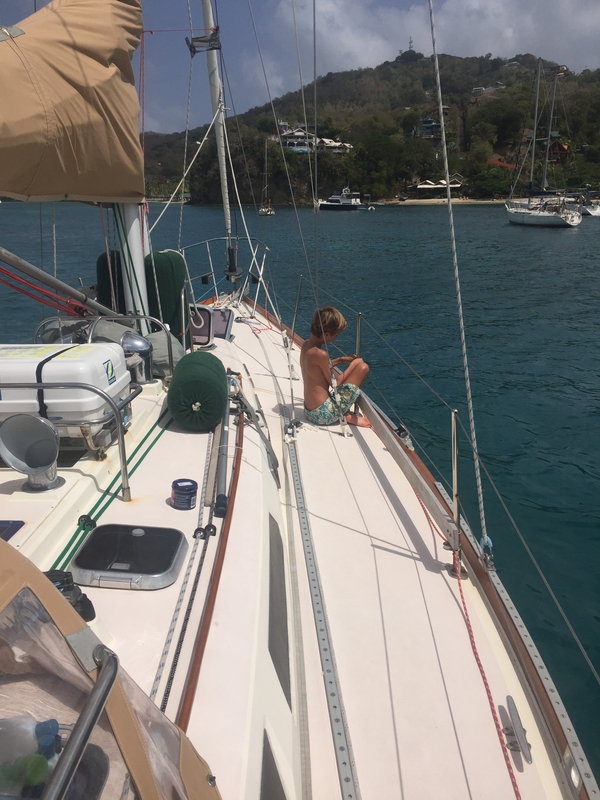 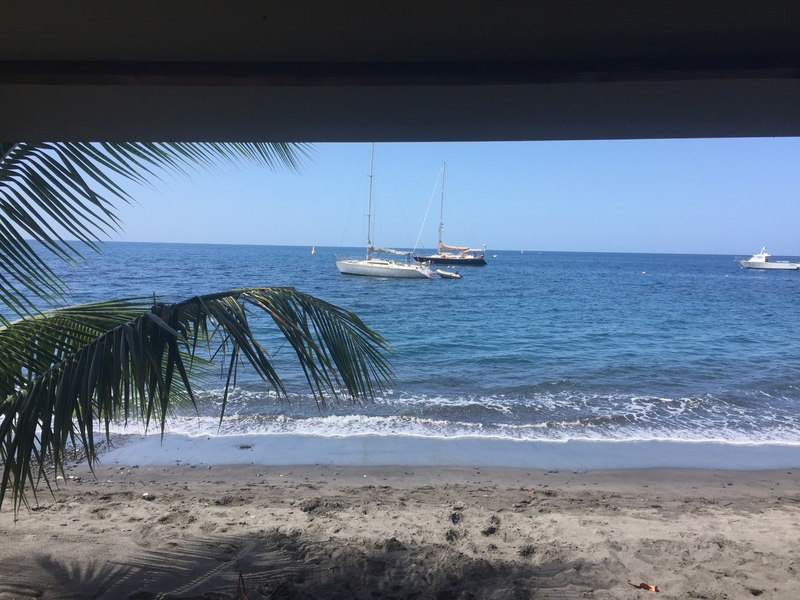 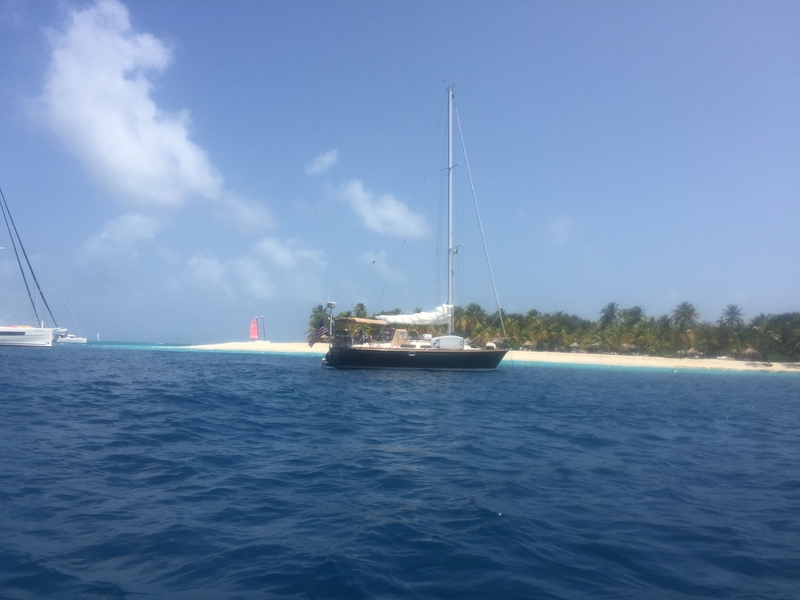 – Rob flew in and out of Grenada, we sailed up to the Tobago Cays and back stopping at Sandy Island and Mayreau on our way and Union and Carriacou on our way back. 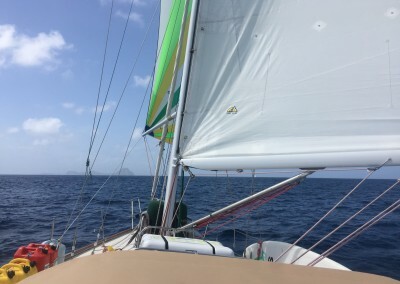 It was amazing to go back up the island chain on starboard tack again, we hadn’t been on Starboard since December! Rob was a great guest and he helped get our loose steering cable fixed, and got the entire crew trained on some key chords on our Ukulele. 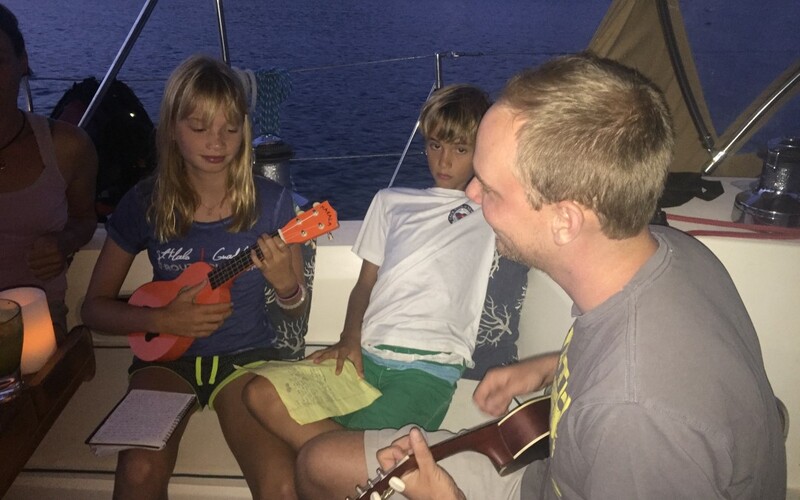 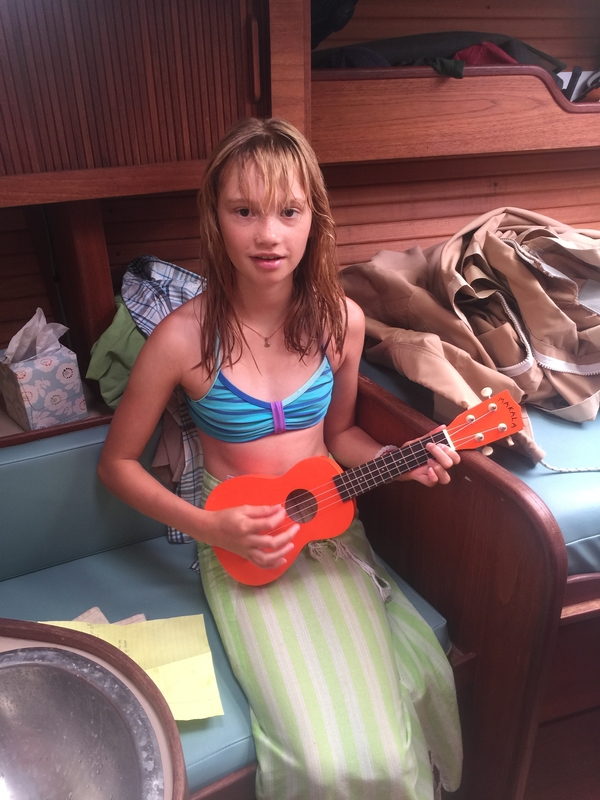 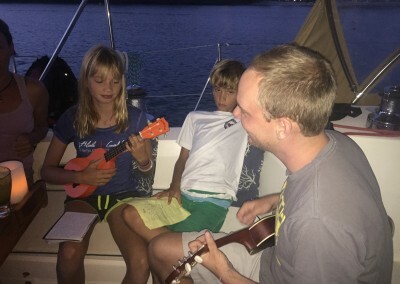 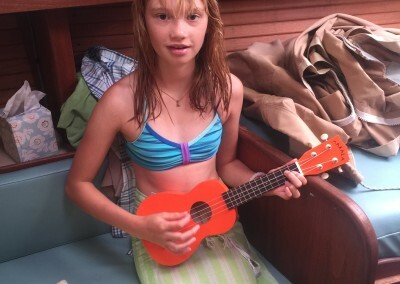 Rob taught us a wonderful song from Disney / Pixars short film Lava, and we had an epic Jam session on board. 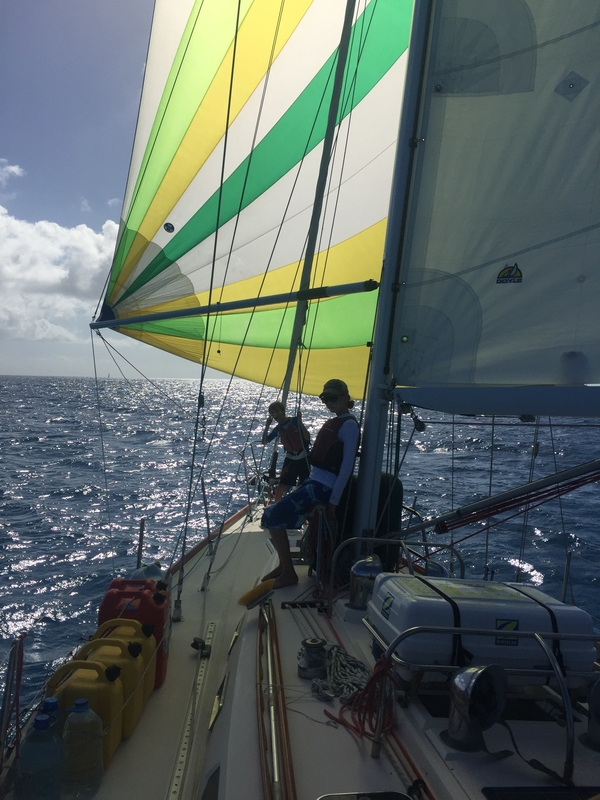 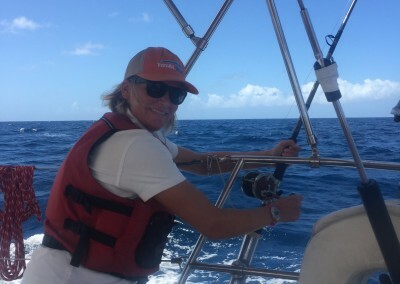 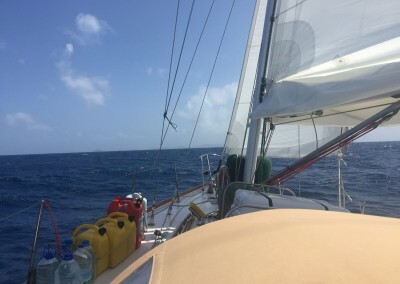 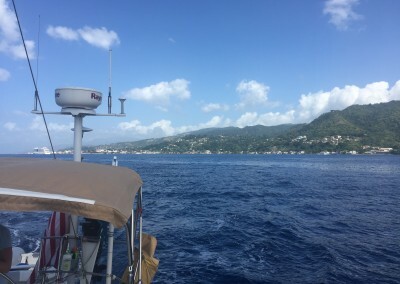 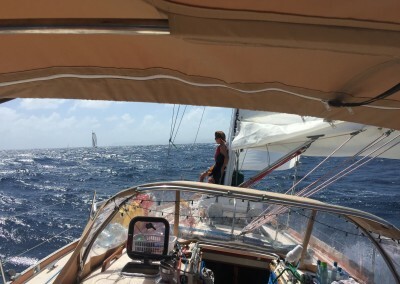 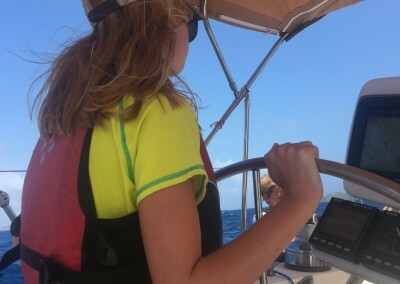 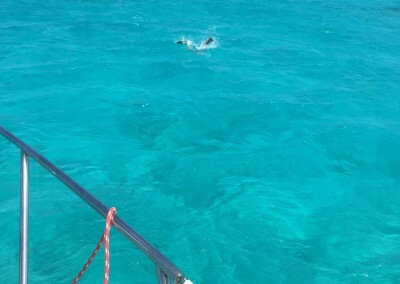 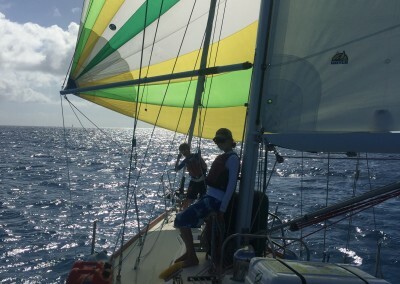 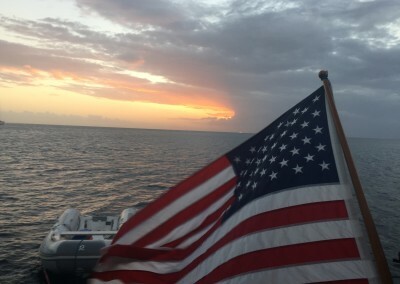 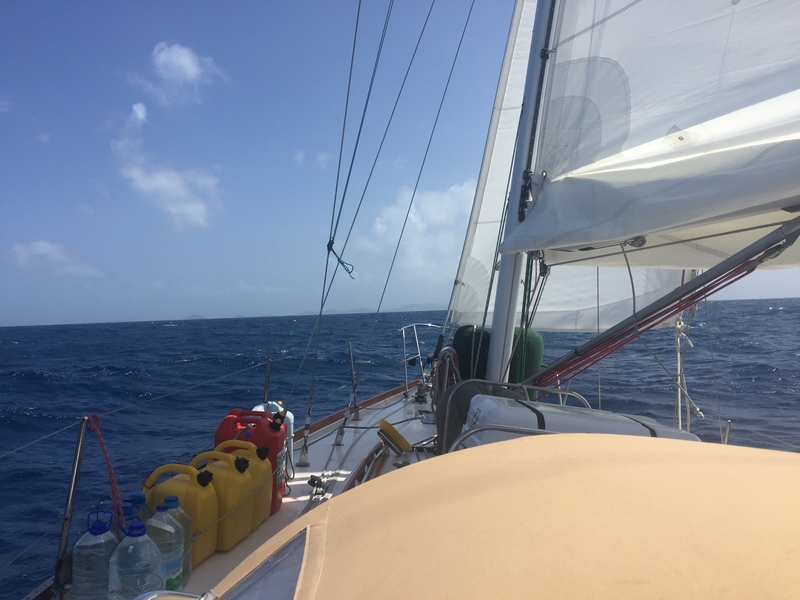 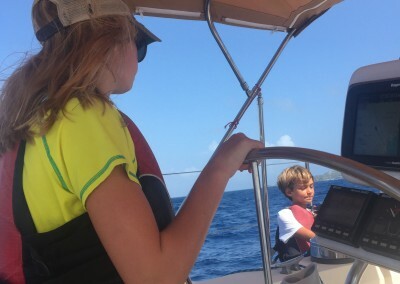 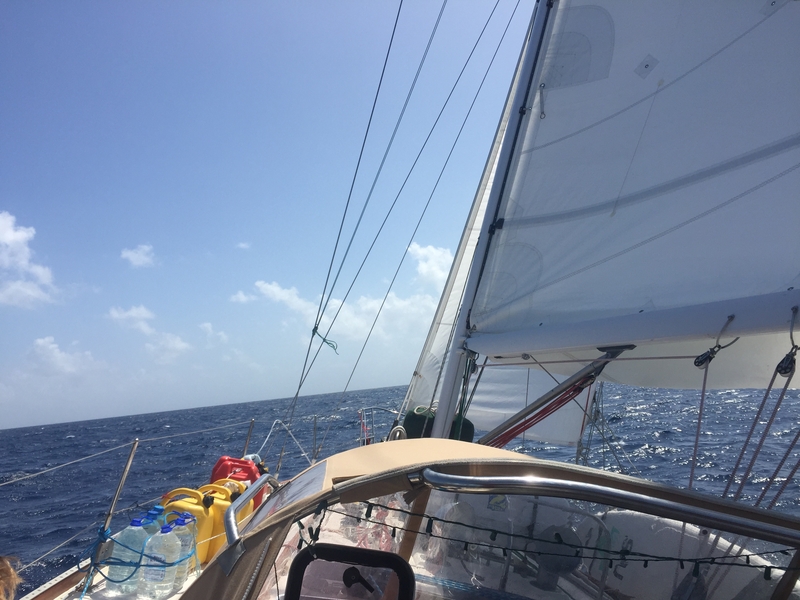 On the way back to Grenada we had wonderful 5 hour spinnaker reach, absolutely beautiful. 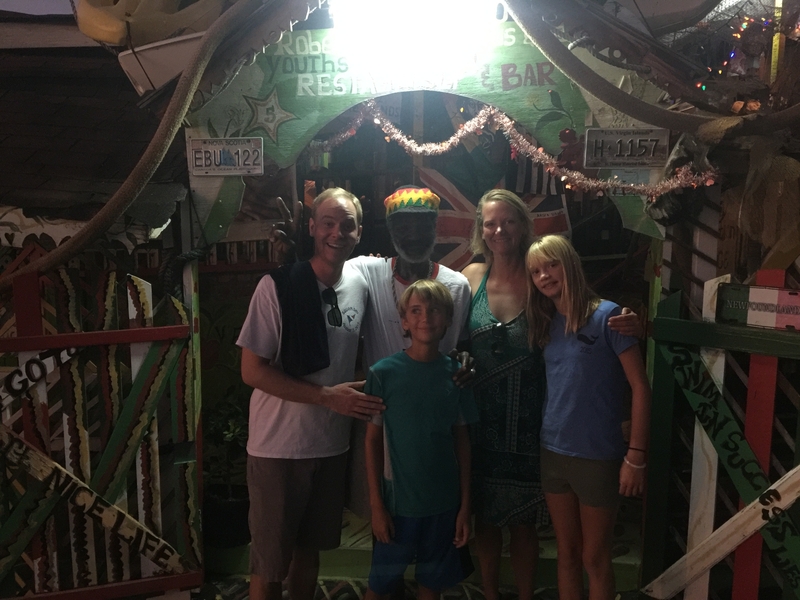 Back in Grenada, we sadly saw Rob fly home, but at the same time were anxiously waiting for our next adventure with Team Herlihy. 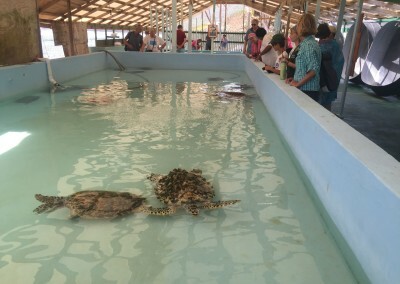 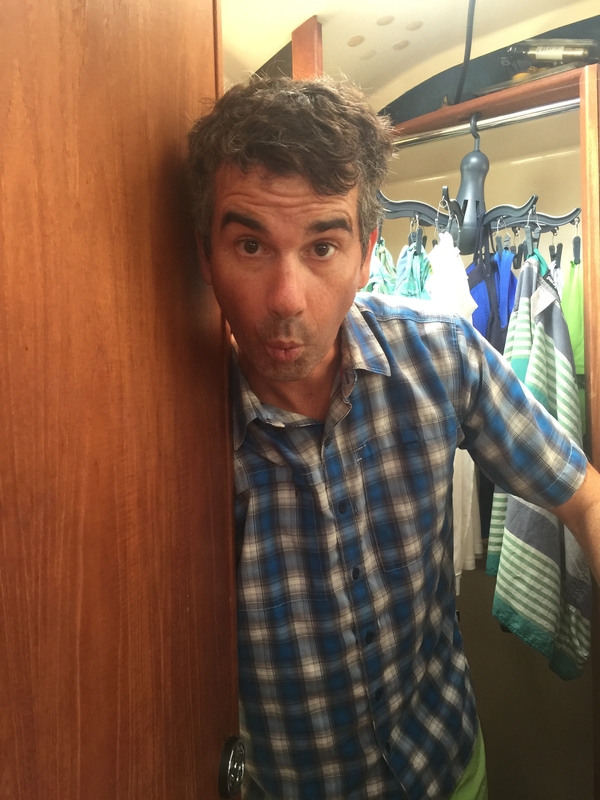 Ted and Judy, Dan, Alice, Charles, and Will all arrive Sunday for a 10 day adventure. 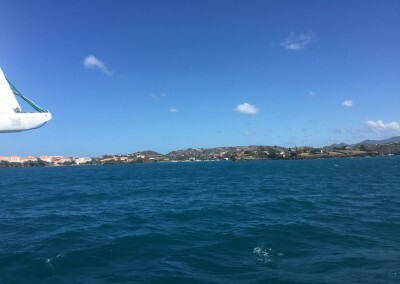 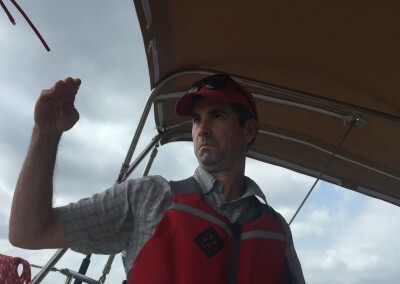 They have a charter boat and we will be doing some cruising. 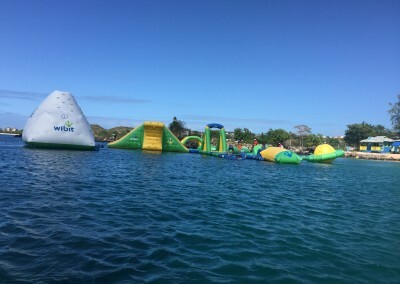 We can’t wait!!! 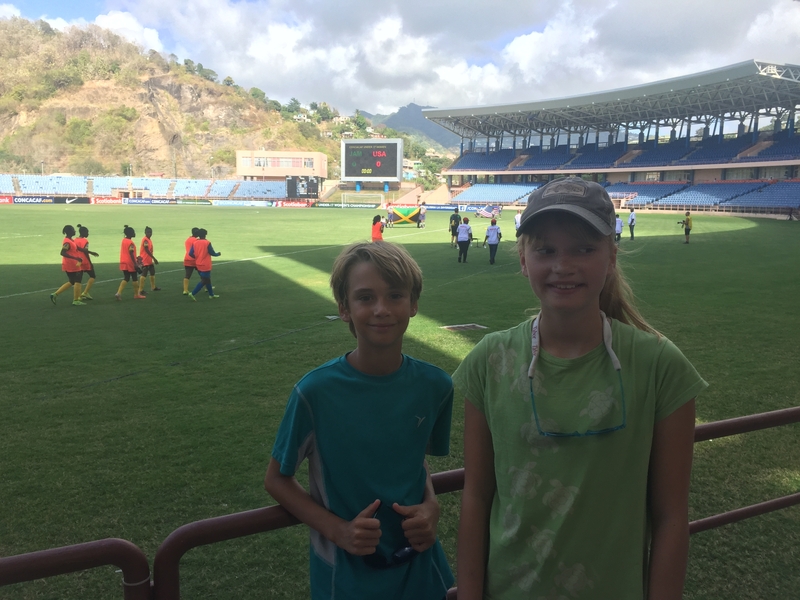 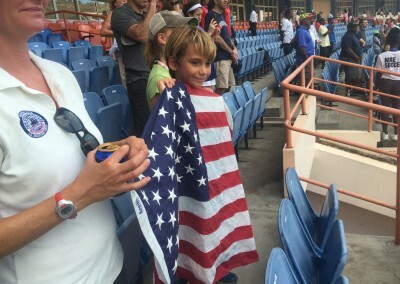 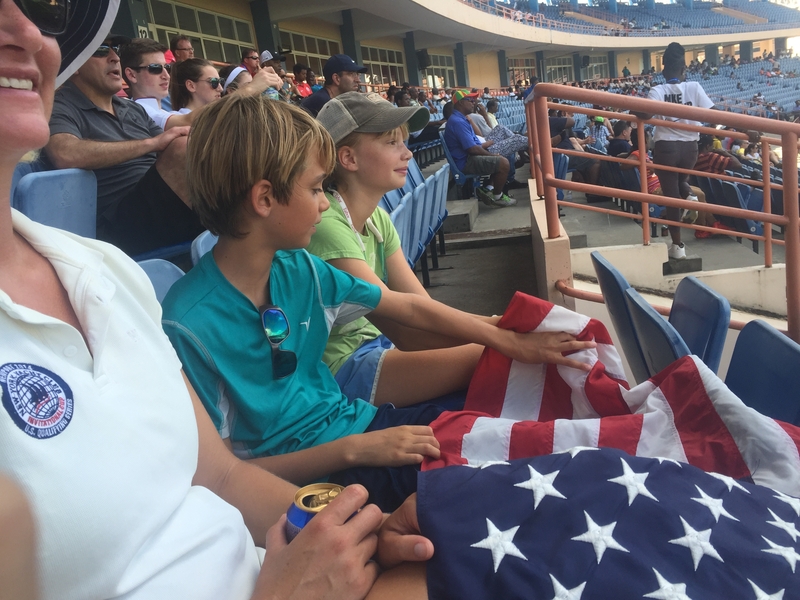 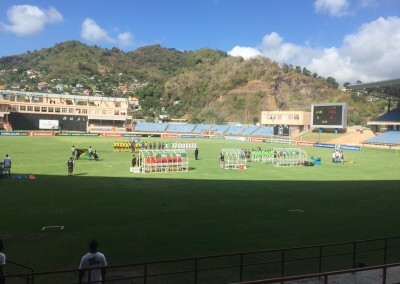 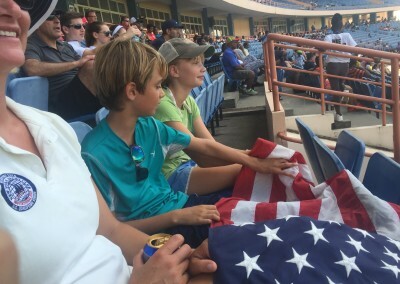 Yesterday, we explored the city of St George’s via the local $1 bus (which was an adventure in itself) and went into their national stadium to cheer on the US Women’s U17 soccer team play Jamiaca in the CONCACAF U17 Champs- Pretty fun to be close to the field holding up our US flag as the US team beat Jamaica 8 -1 – the kids couldn’t have been happier. 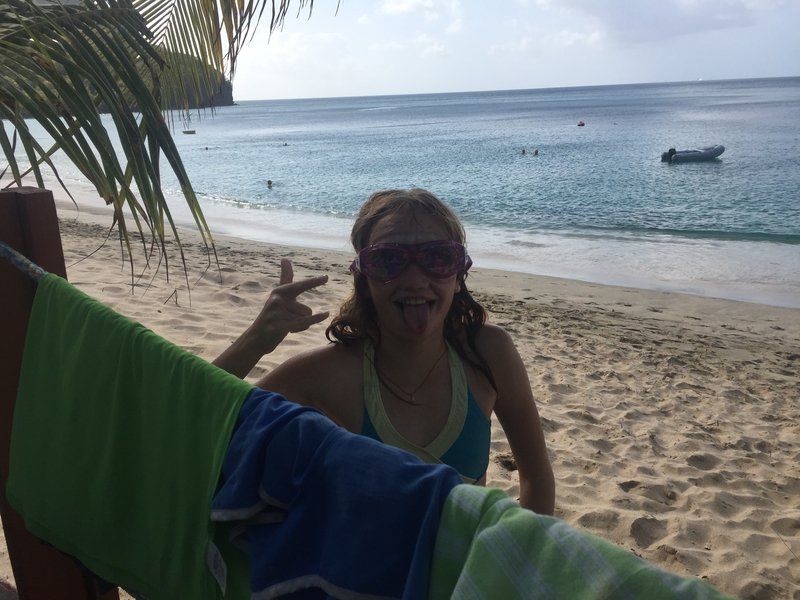 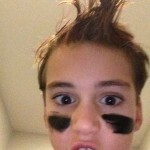 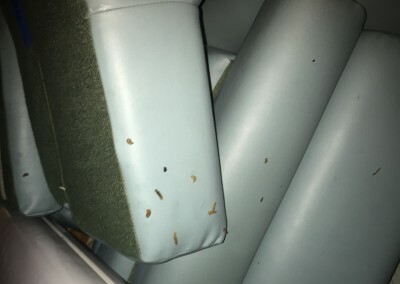 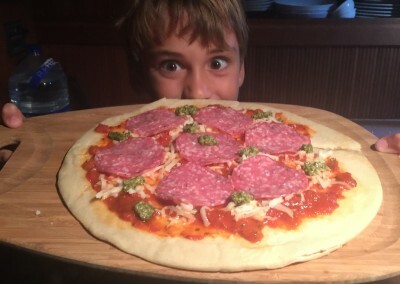 Check out some pics below! 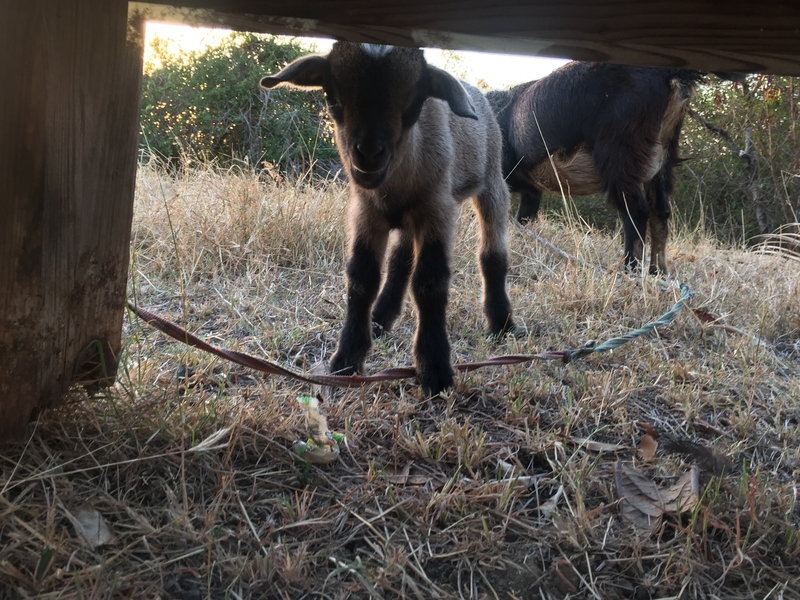 Baby Lamb, Mira wanted to keep it! 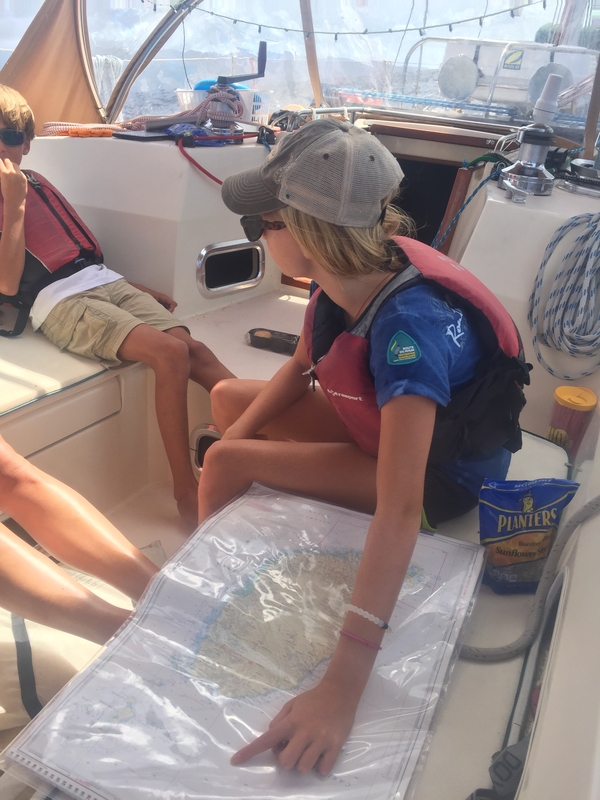 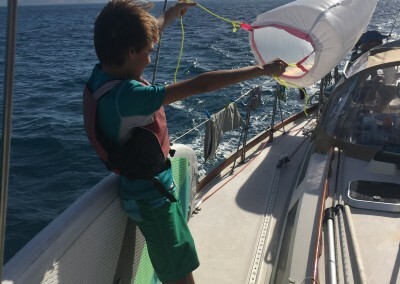 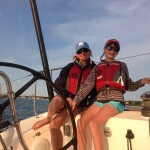 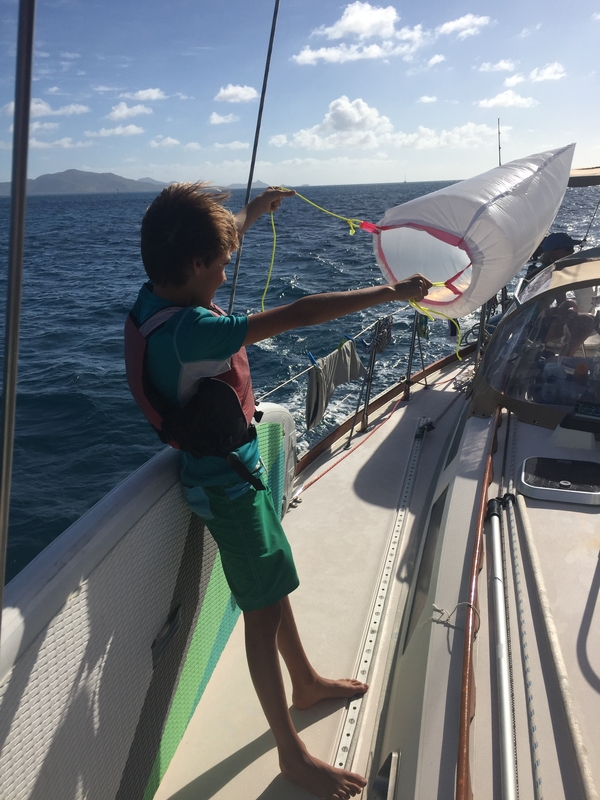 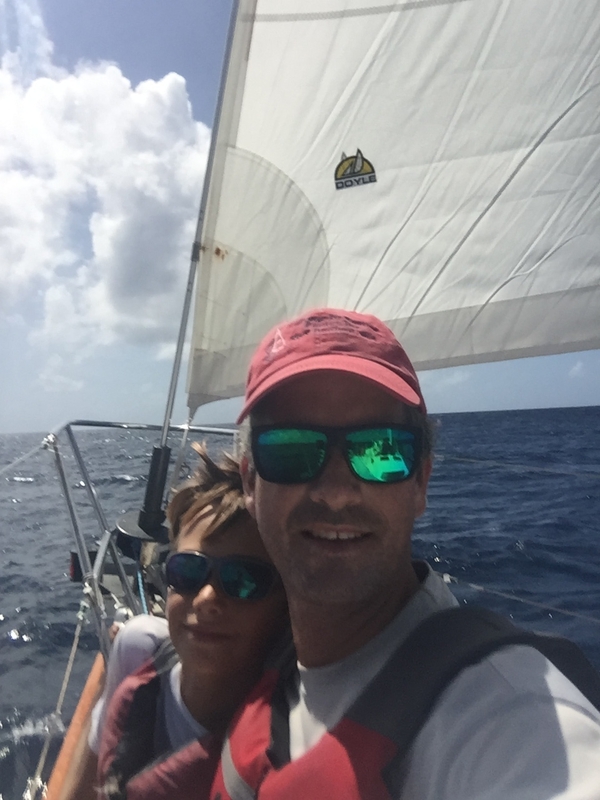 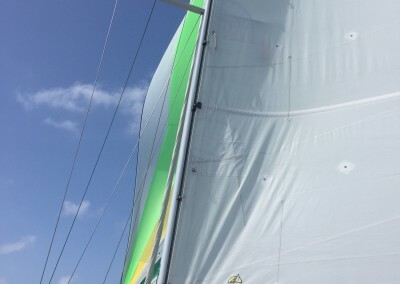 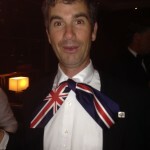 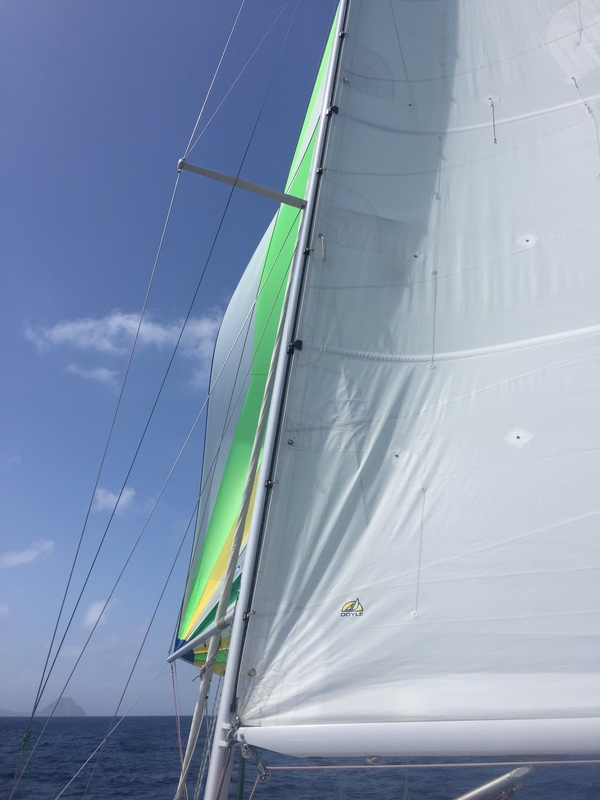 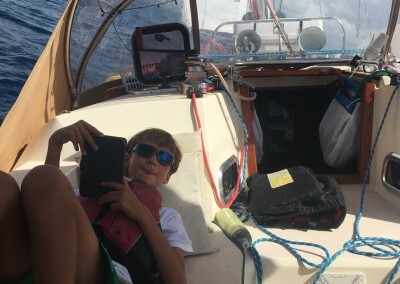 Sailing for over 1,000nm, first Spinnaker set! 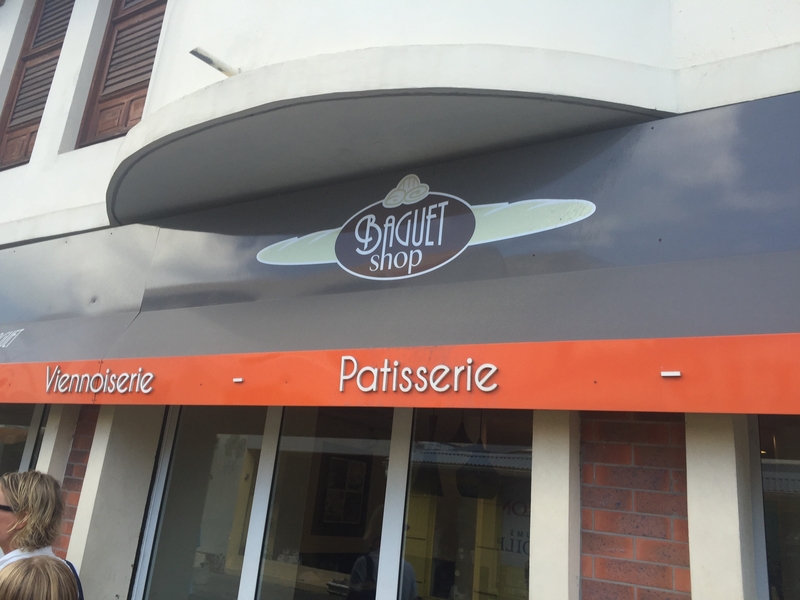 Be sure to check out Le Phare Bleu in Grenada. 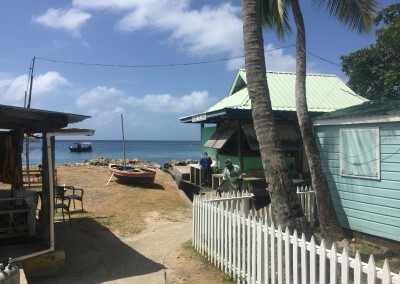 That’s where we stayed, and it is a fine spot, with great food. 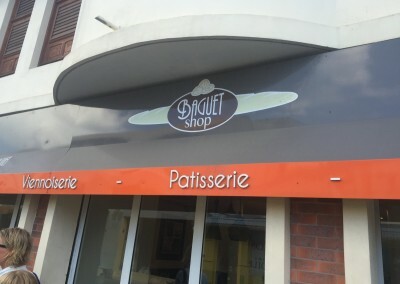 Looks like a great spot, we will be sure to check it out!